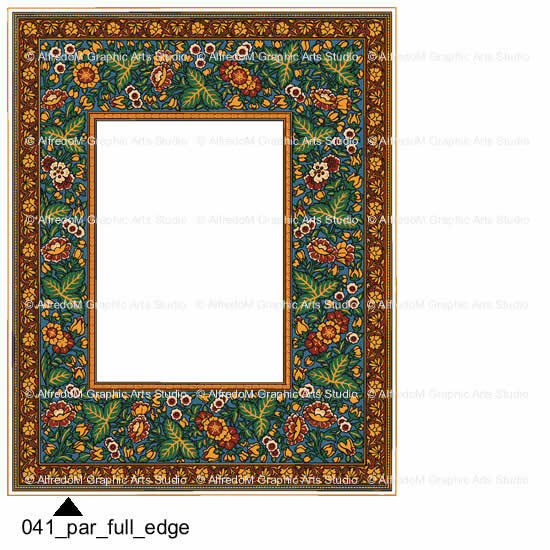 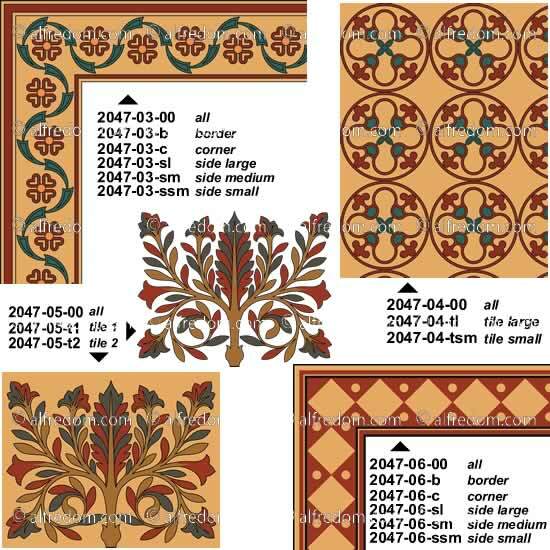 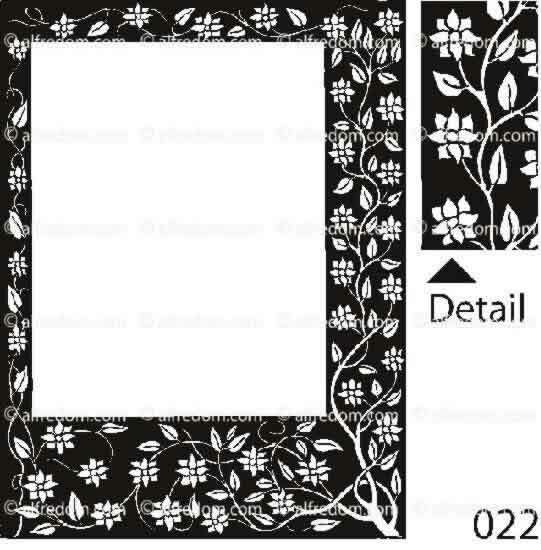 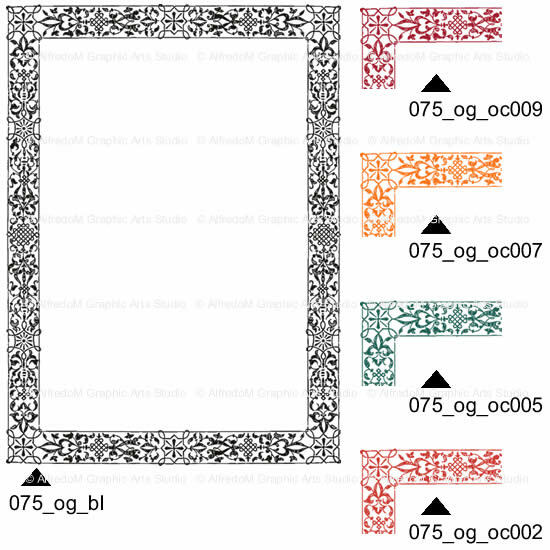 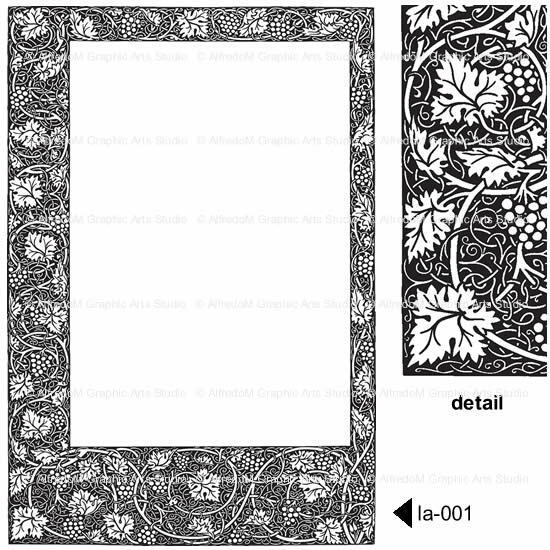 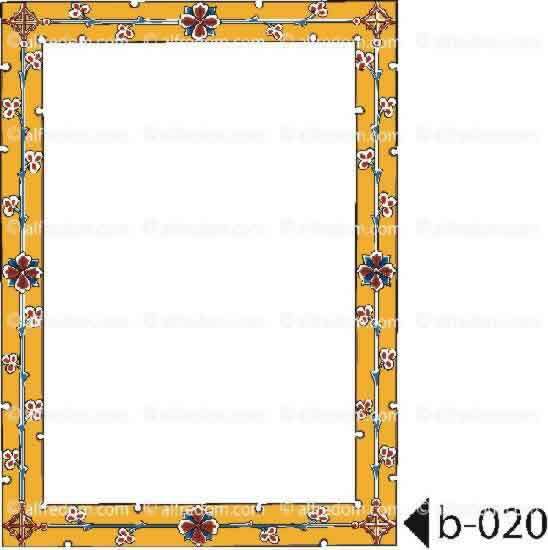 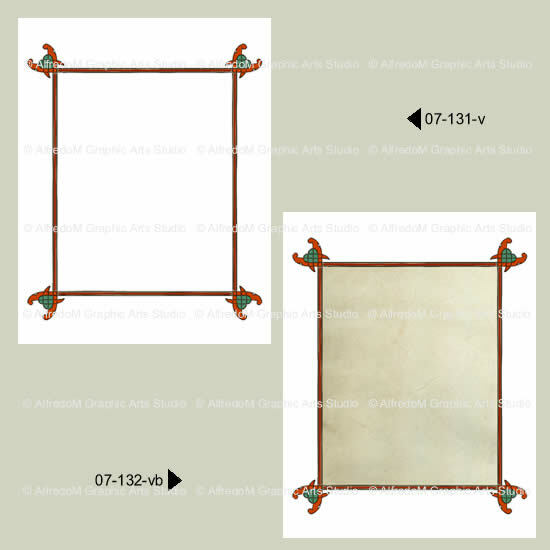 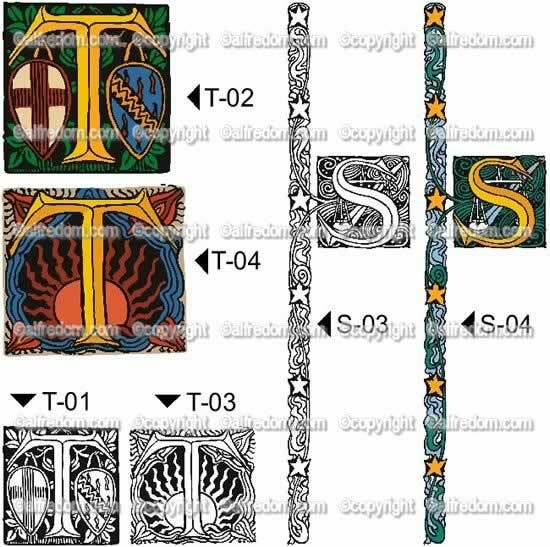 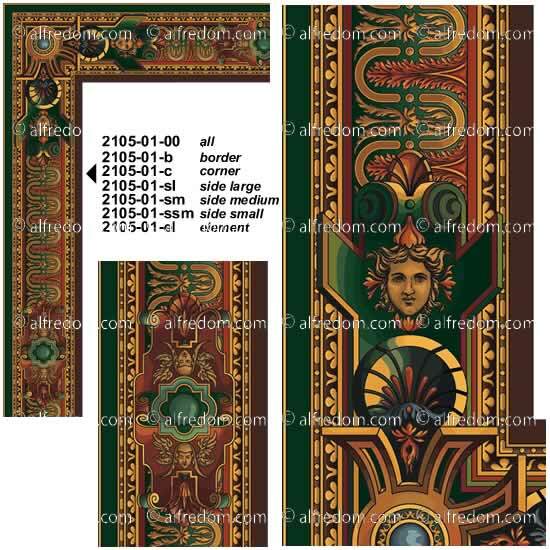 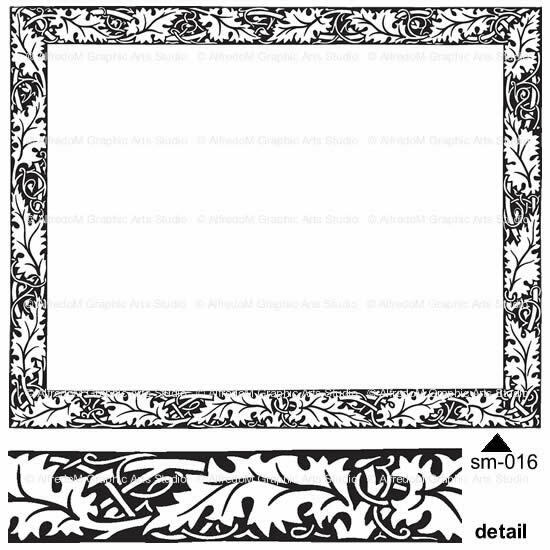 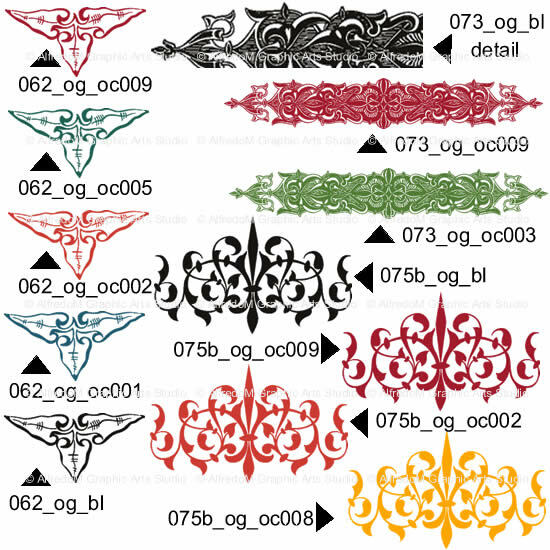 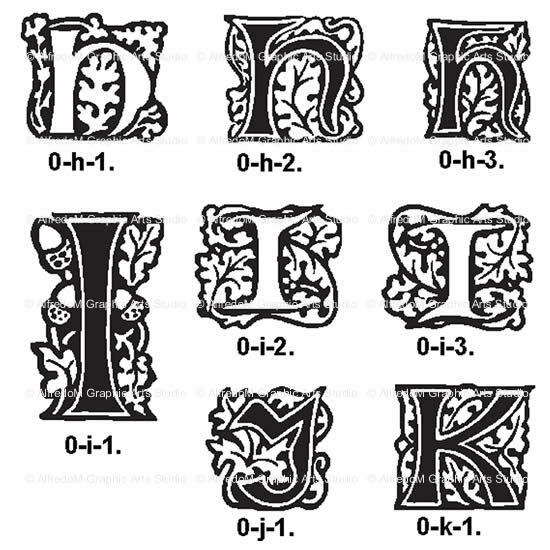 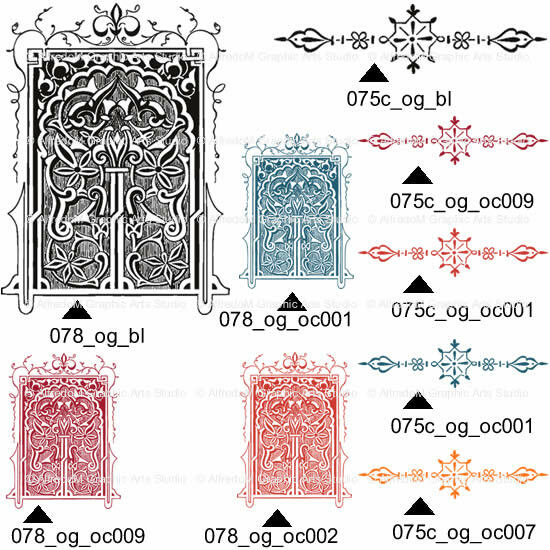 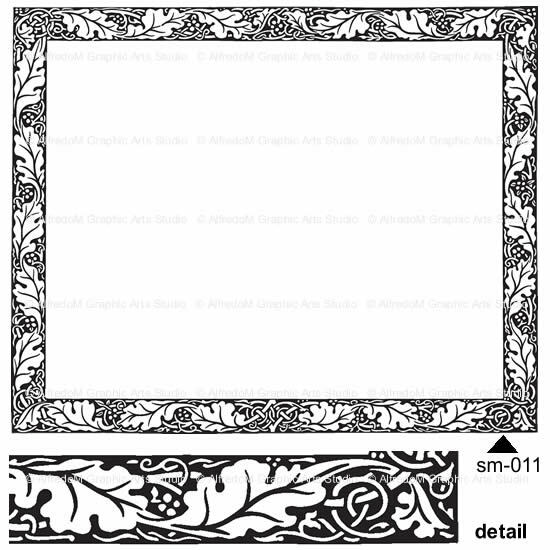 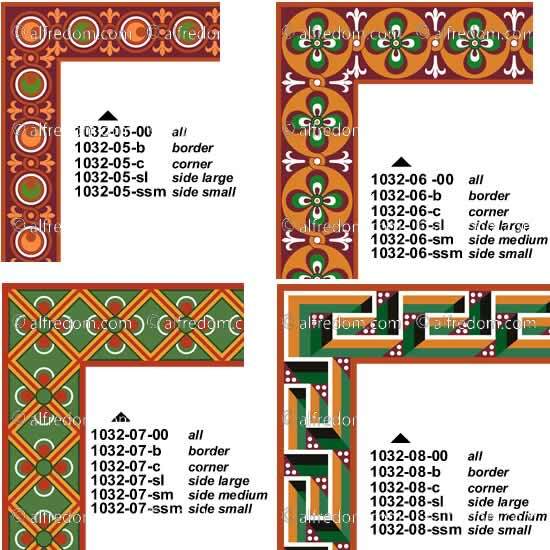 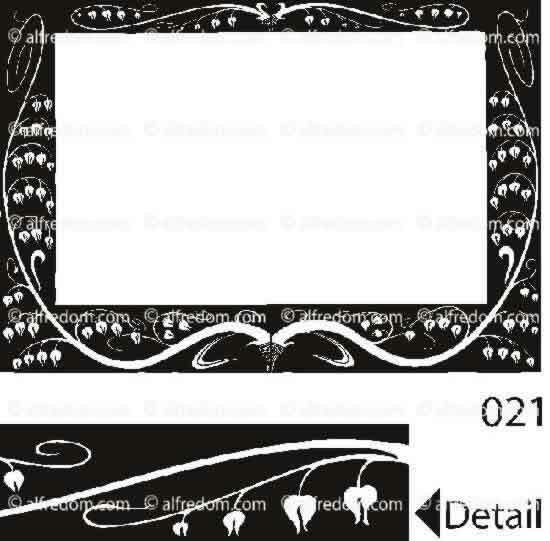 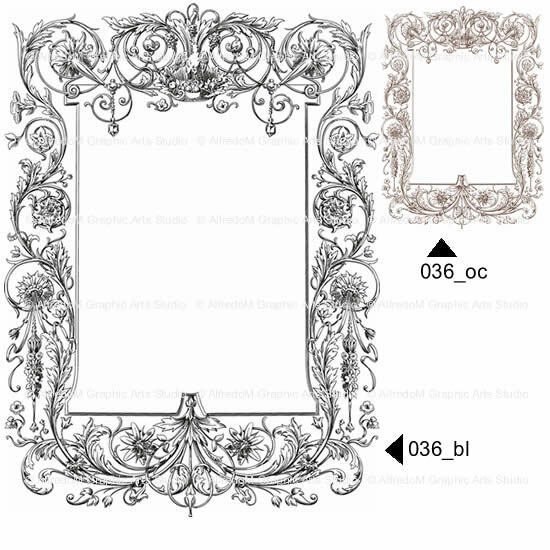 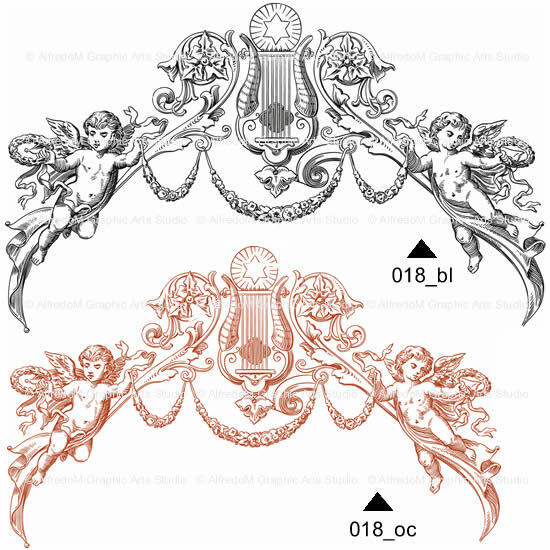 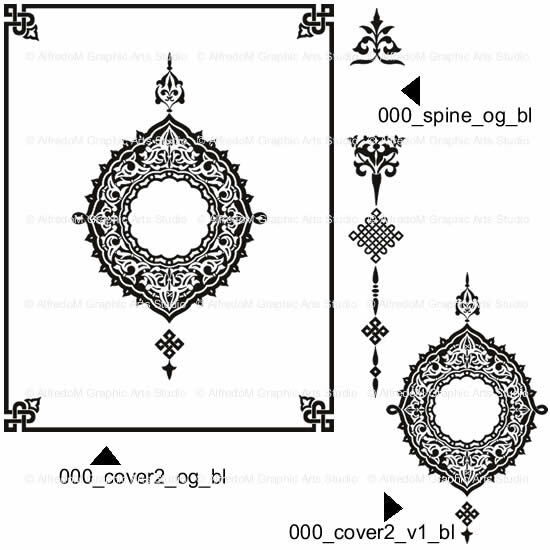 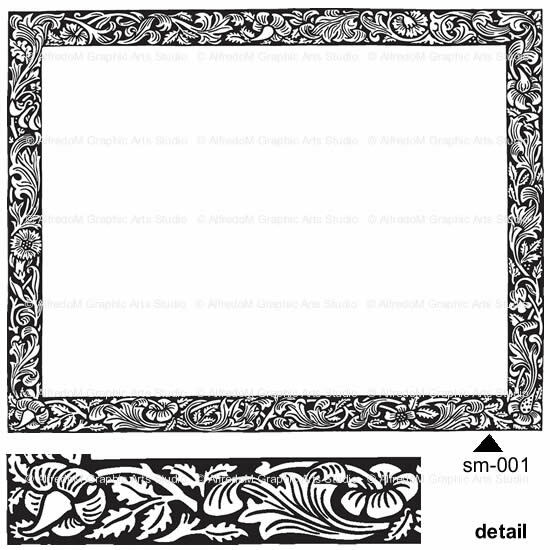 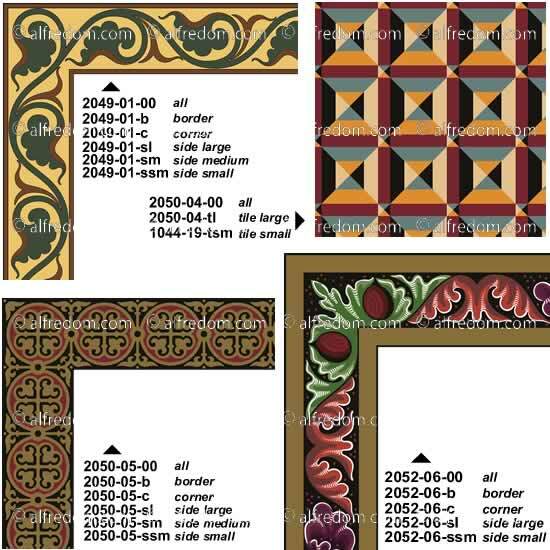 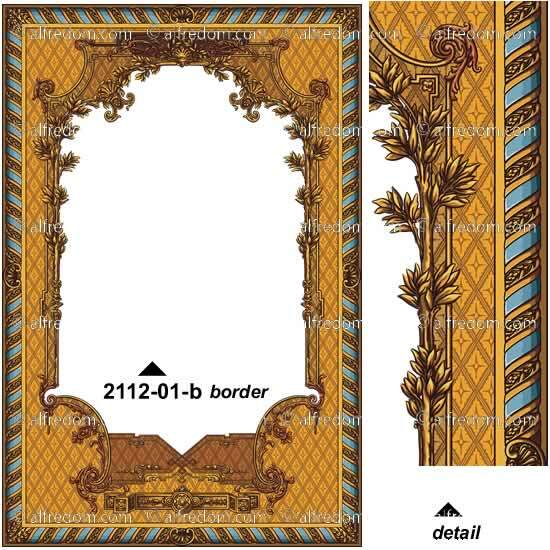 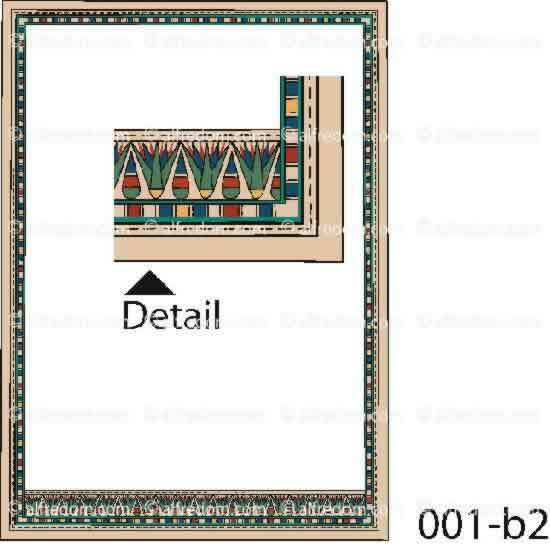 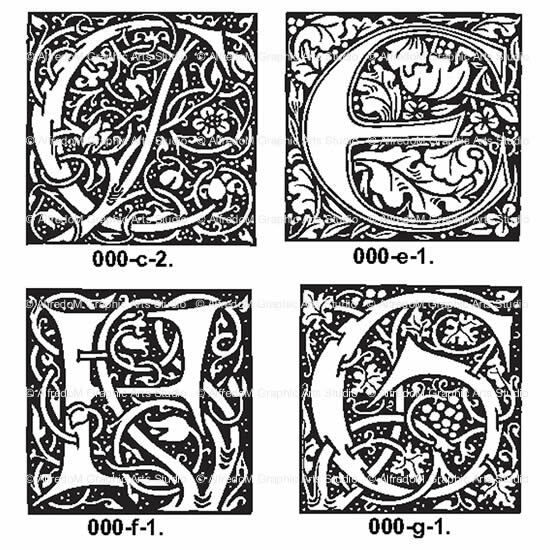 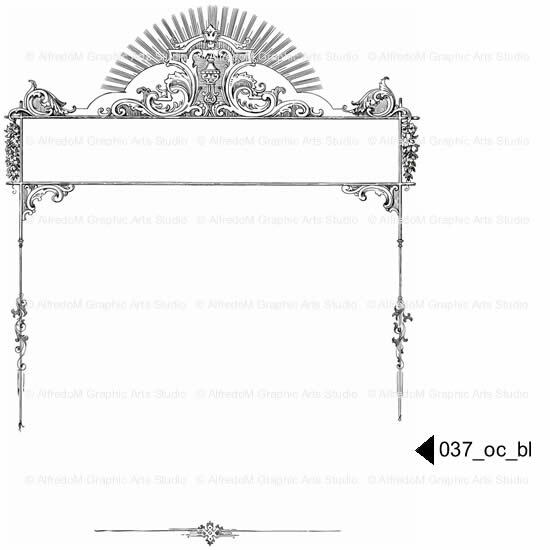 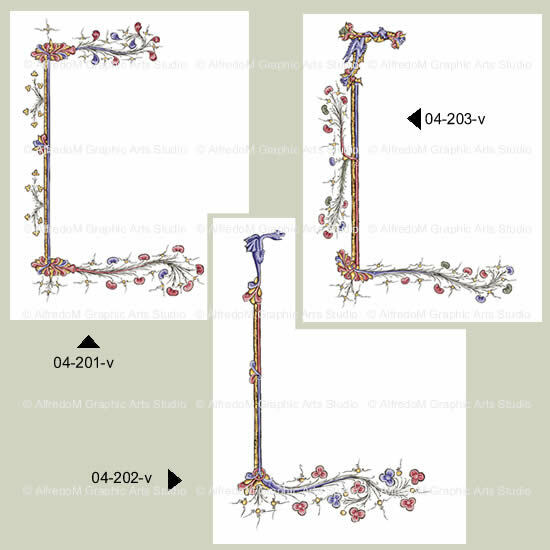 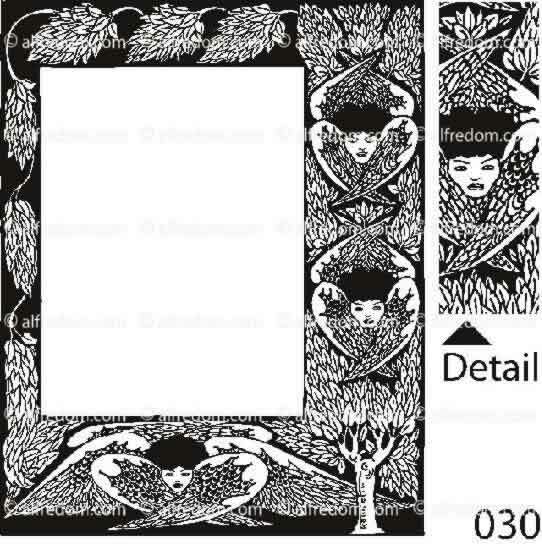 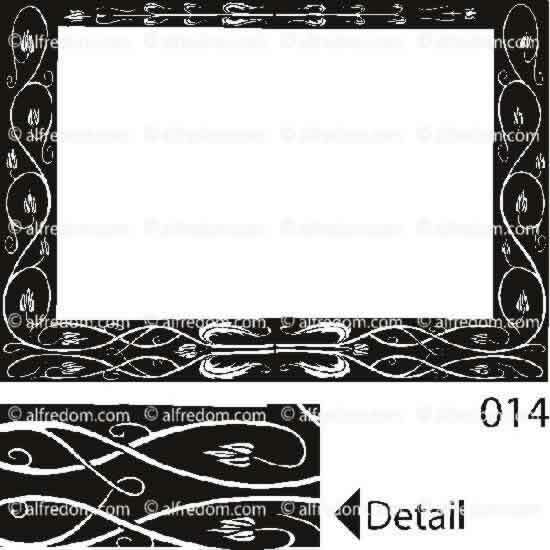 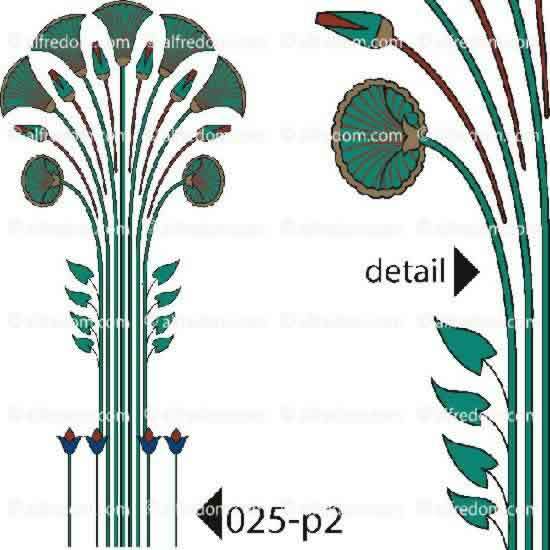 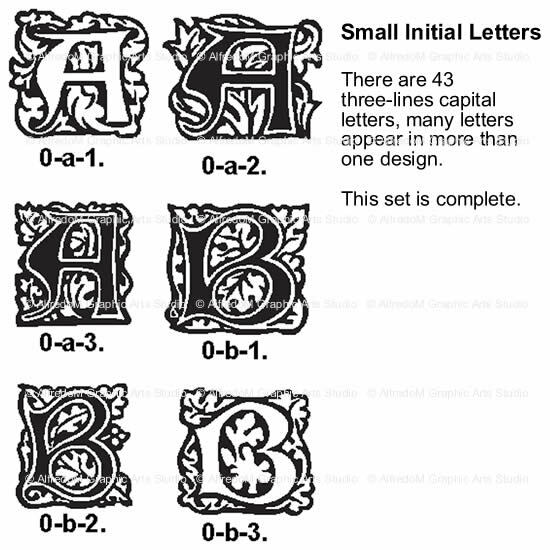 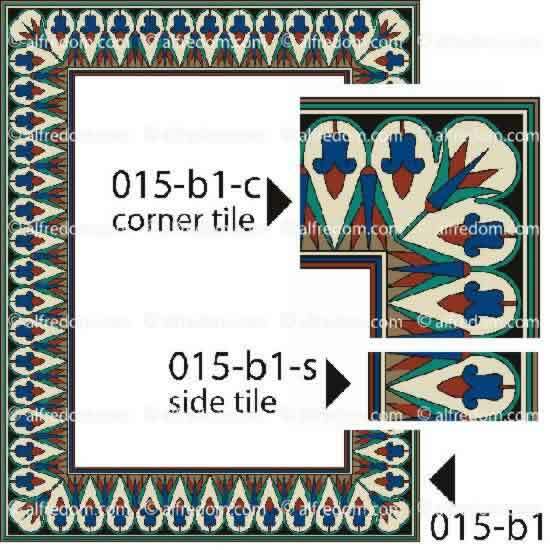 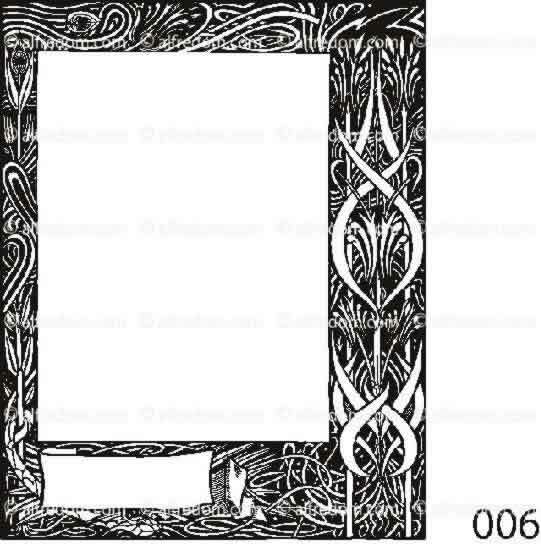 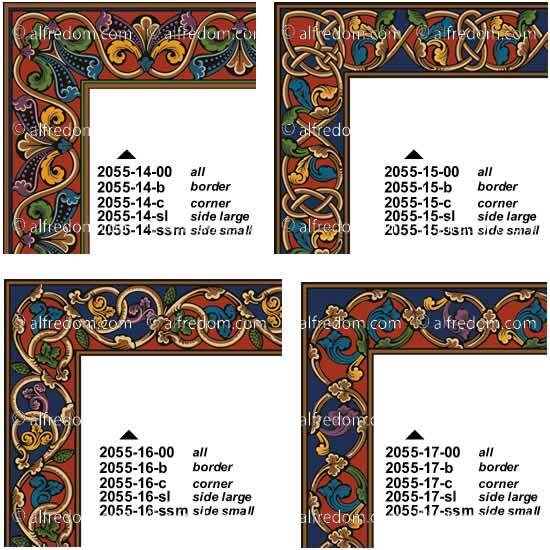 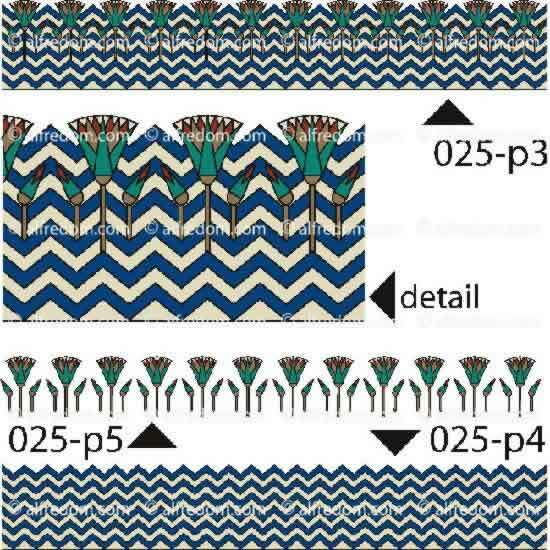 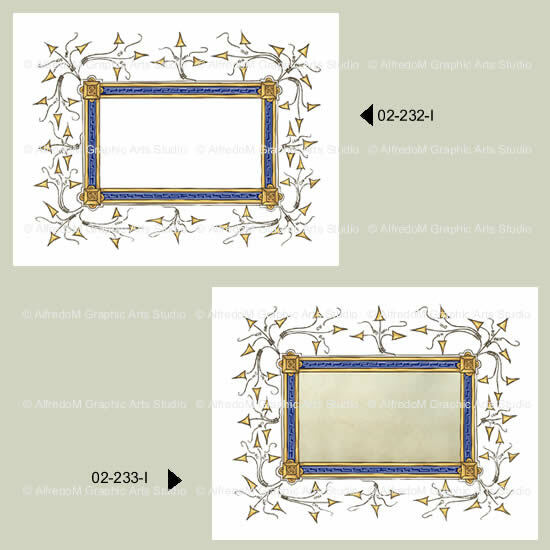 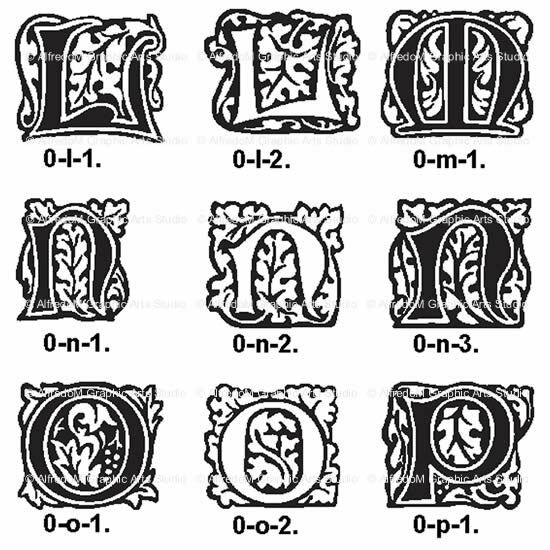 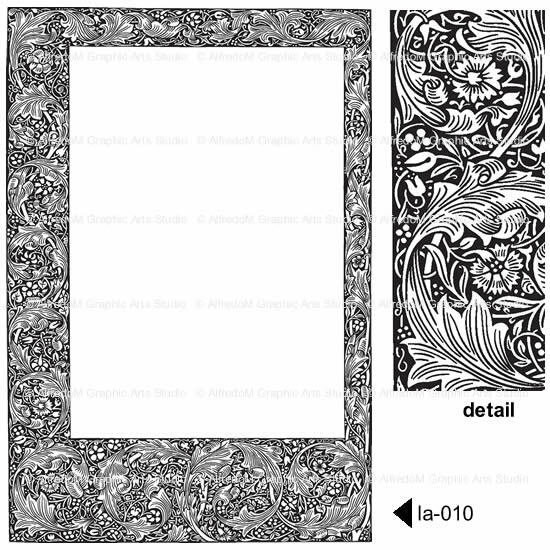 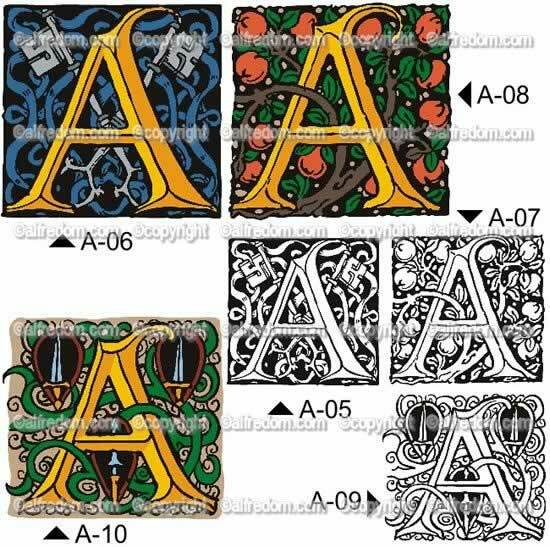 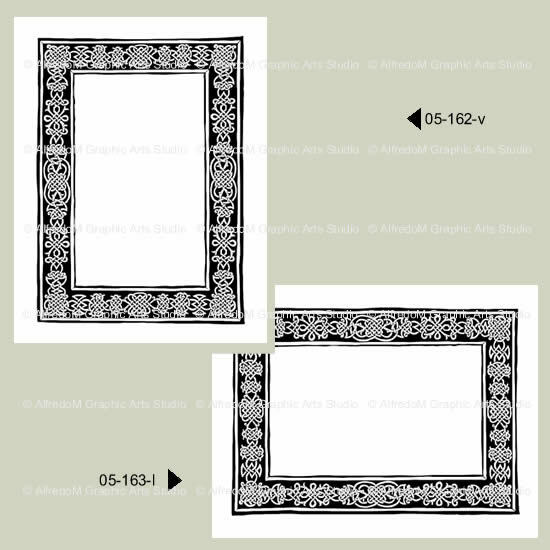 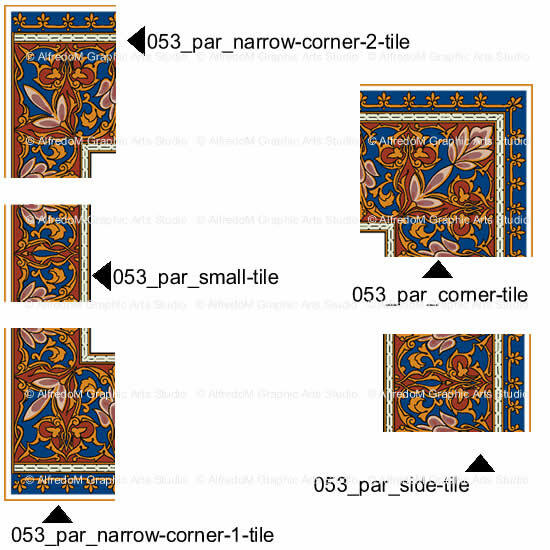 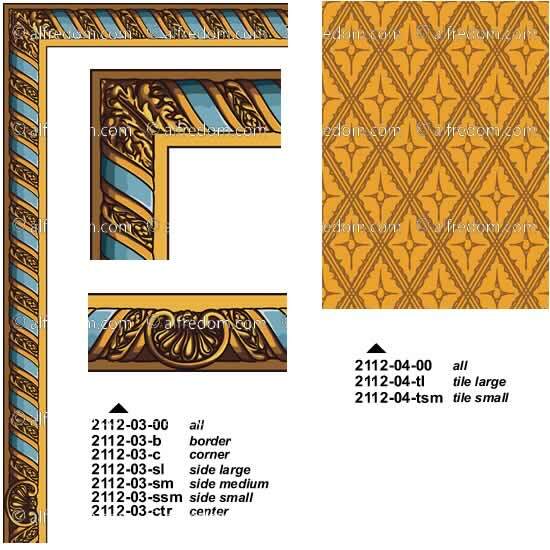 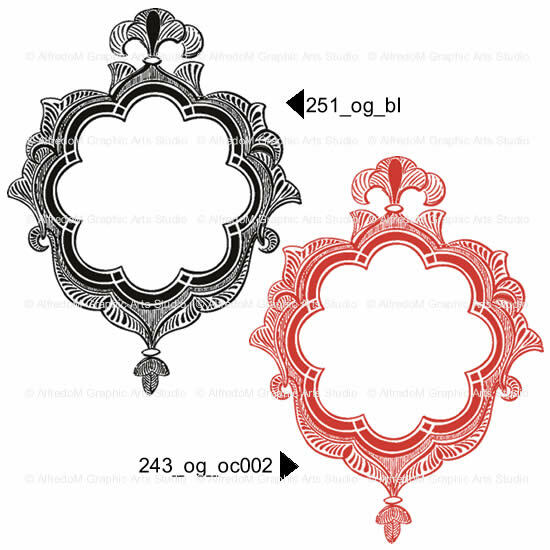 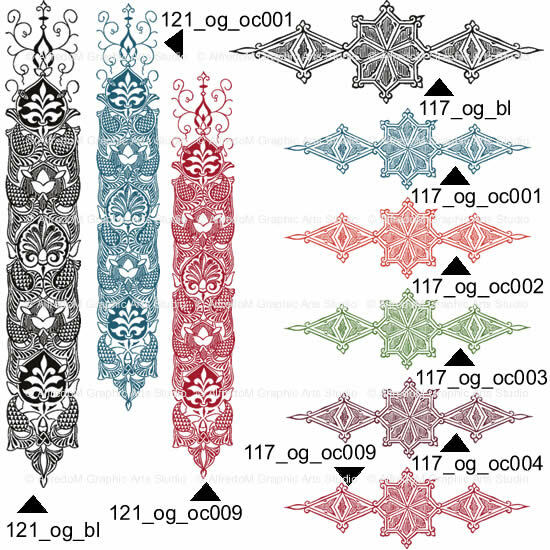 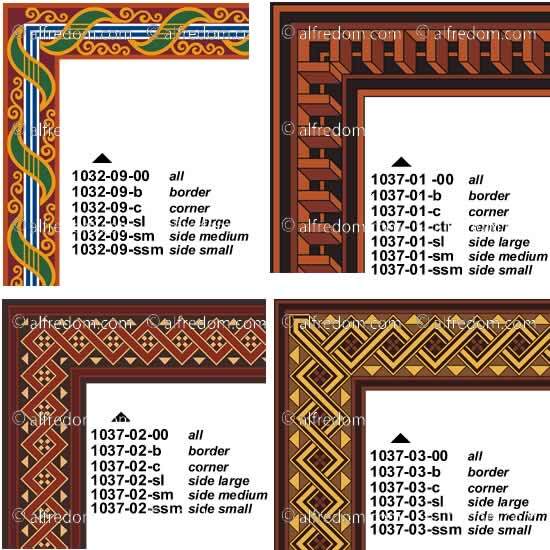 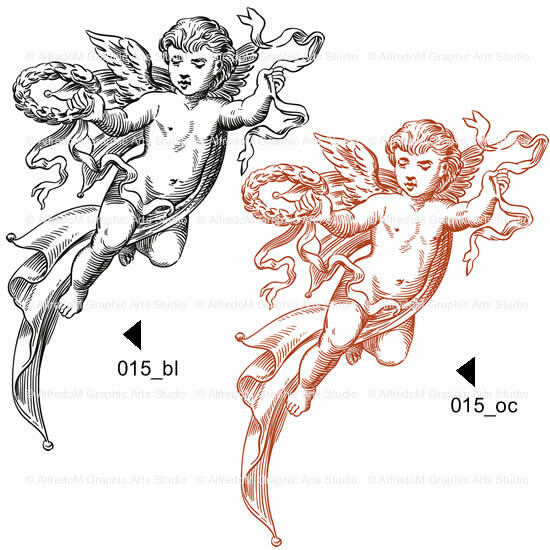 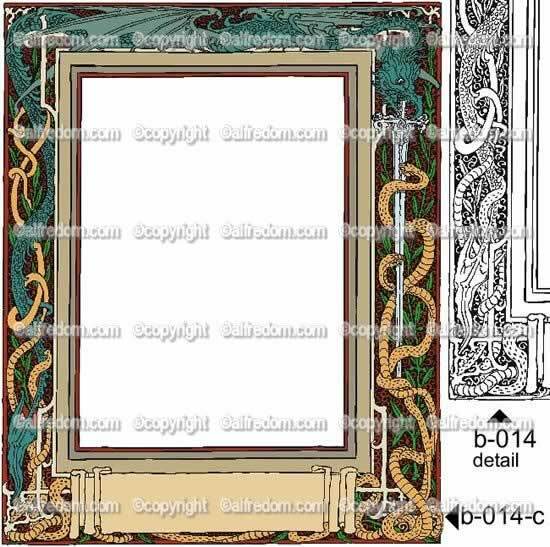 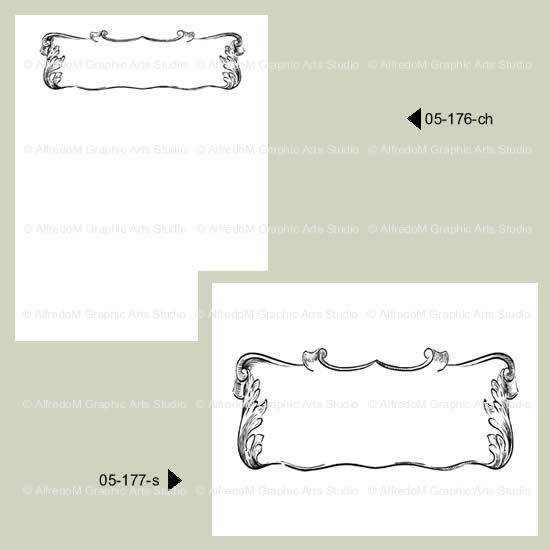 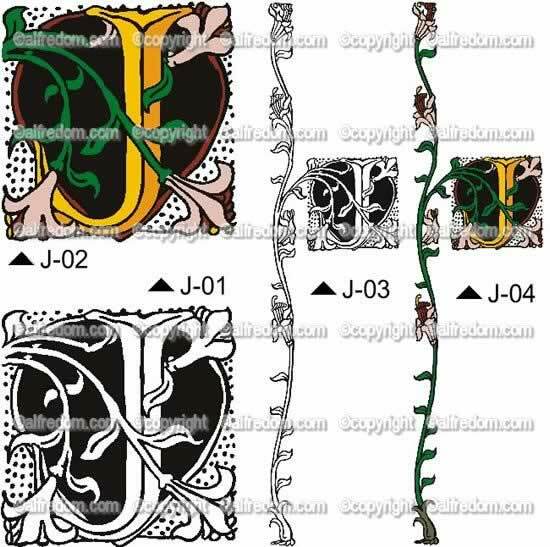 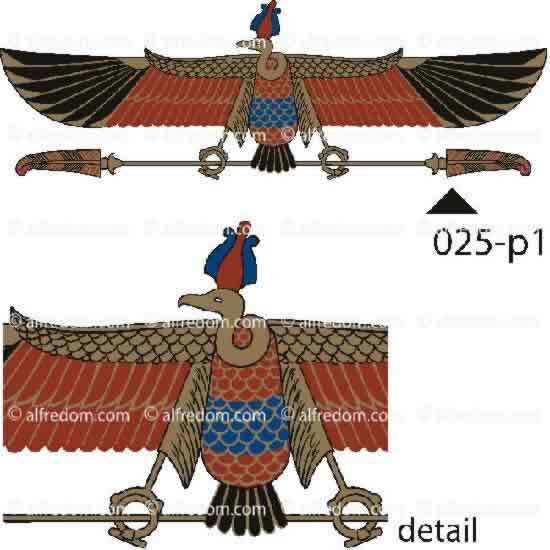 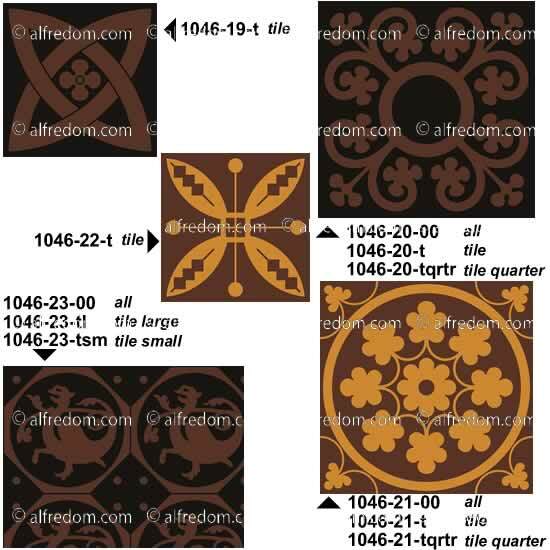 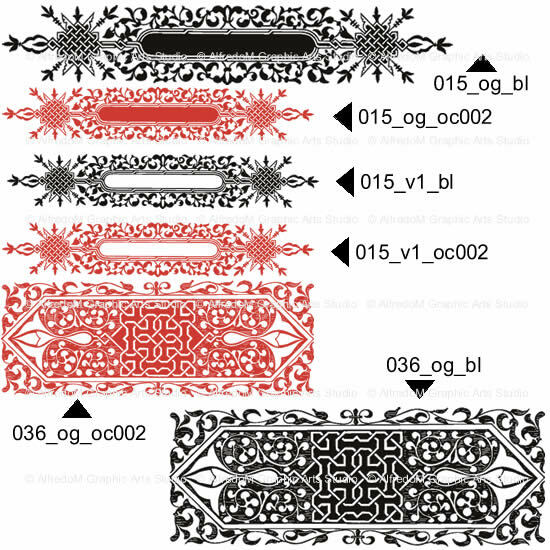 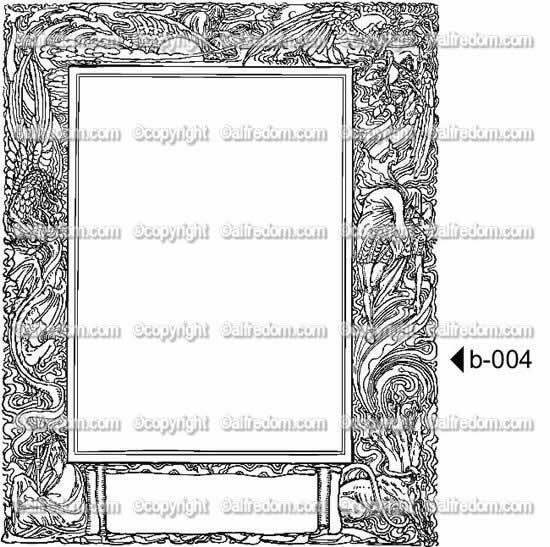 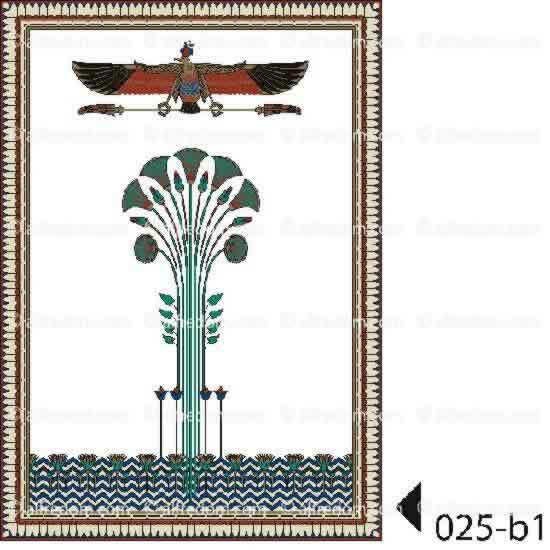 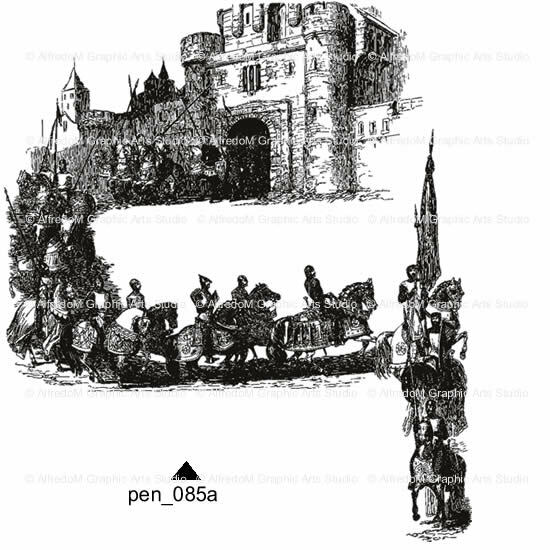 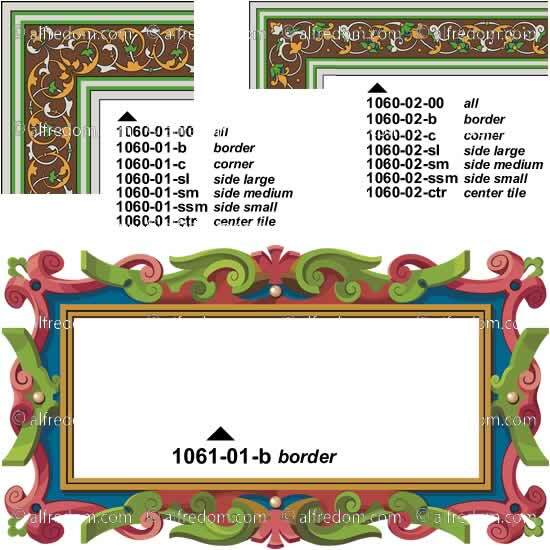 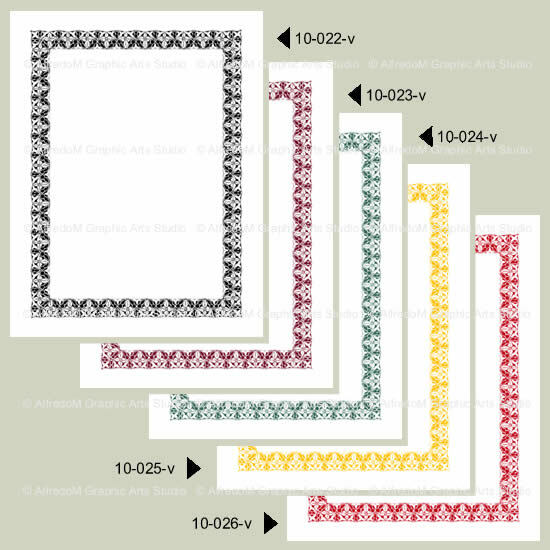 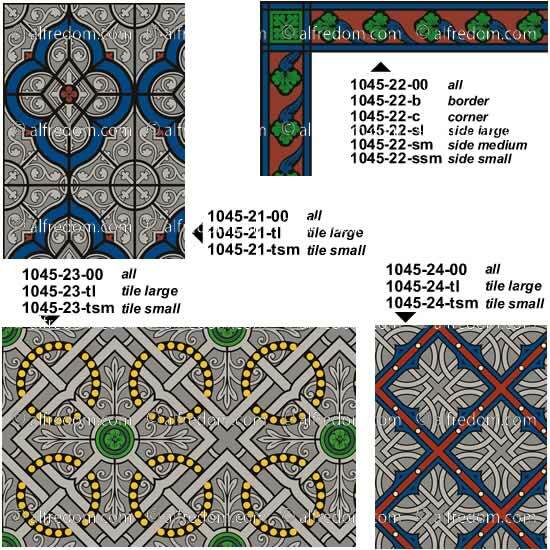 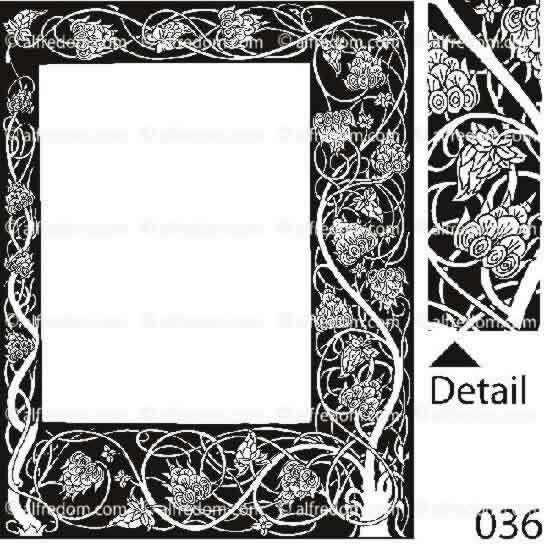 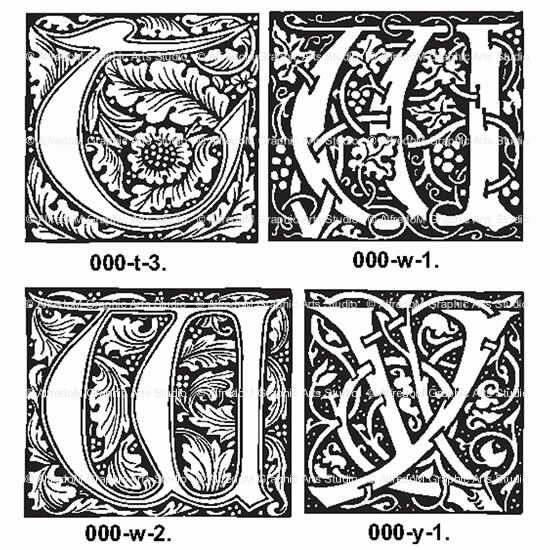 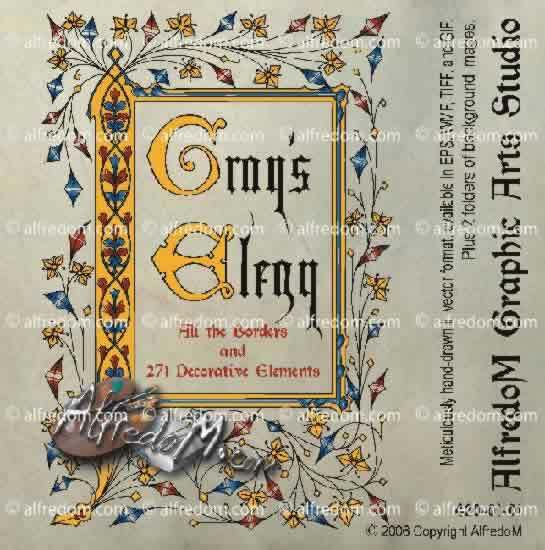 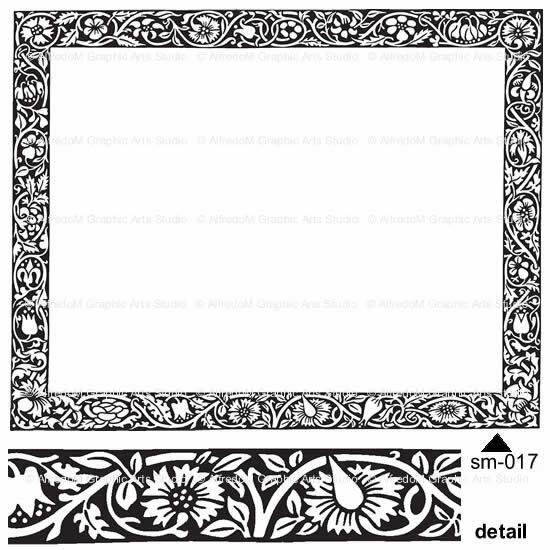 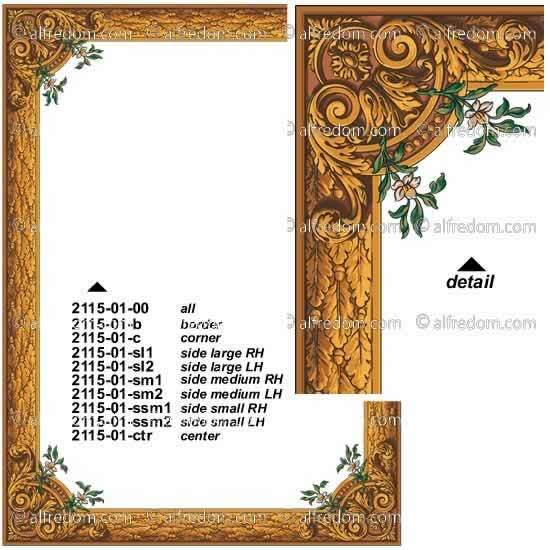 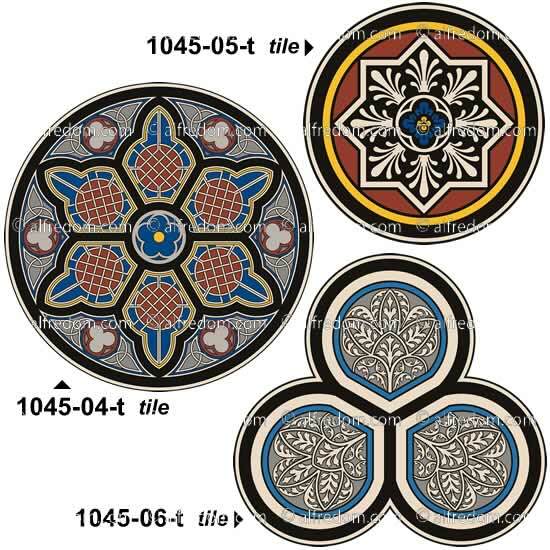 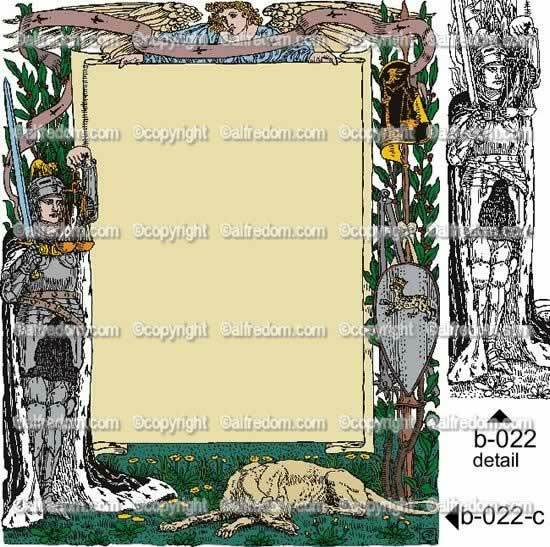 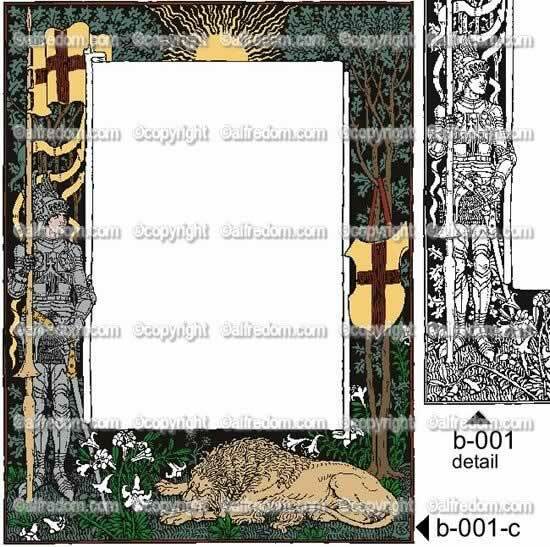 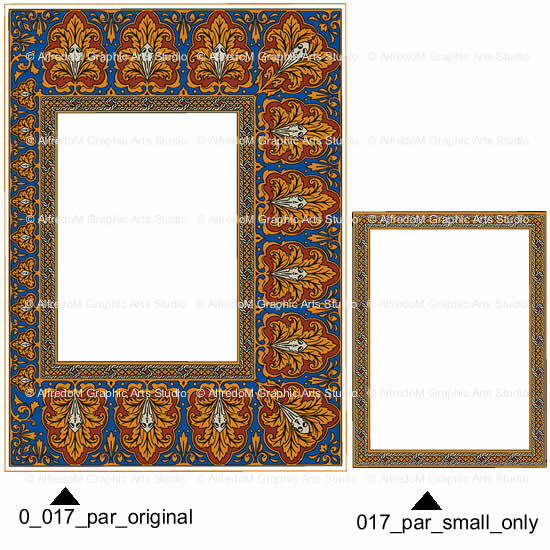 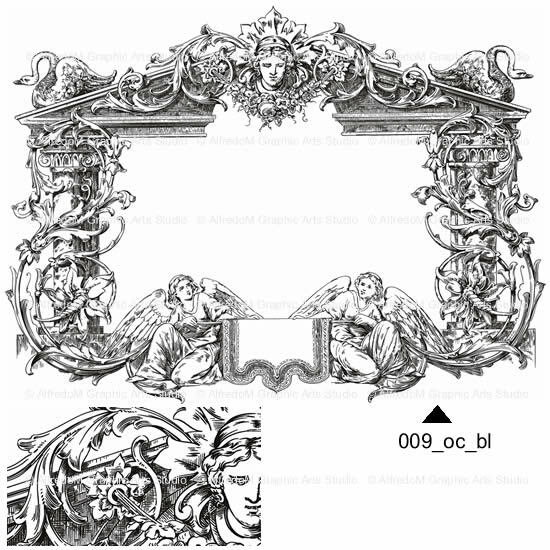 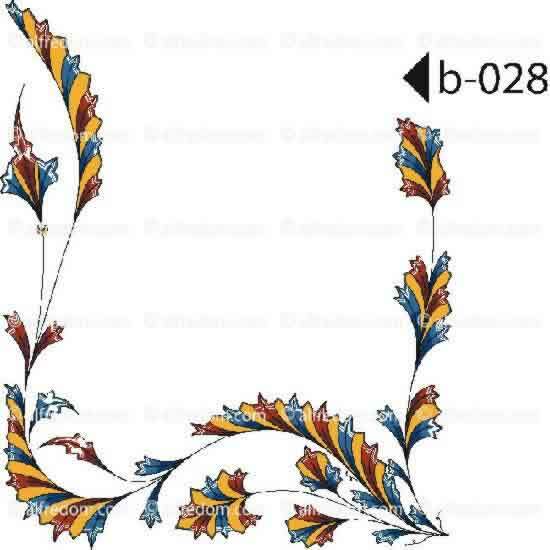 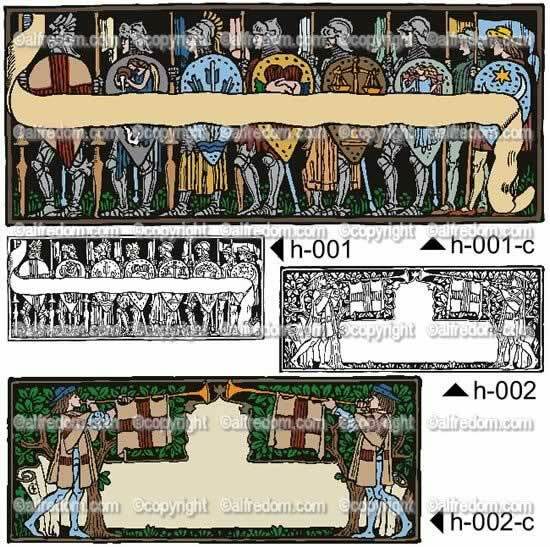 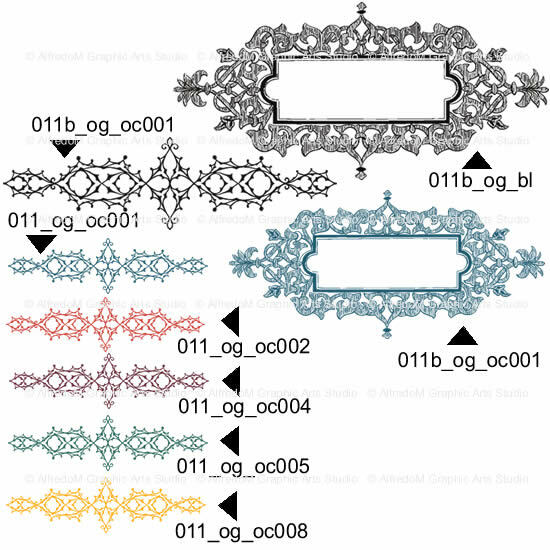 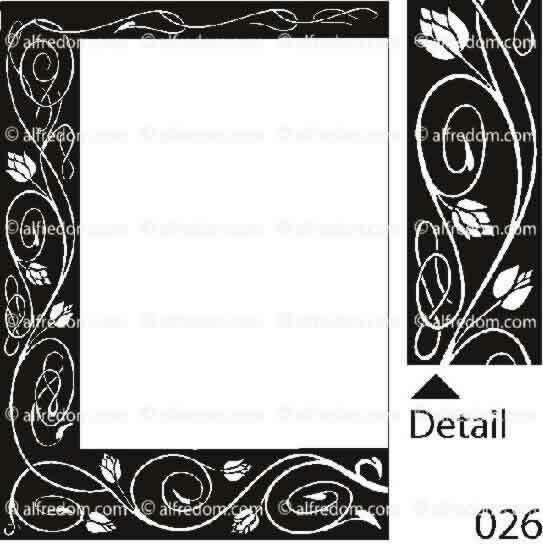 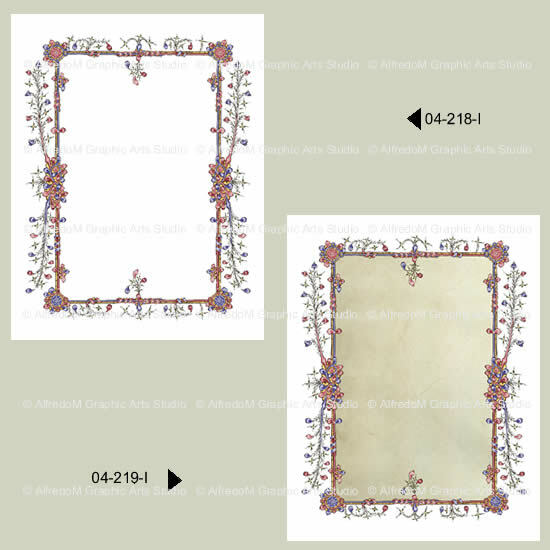 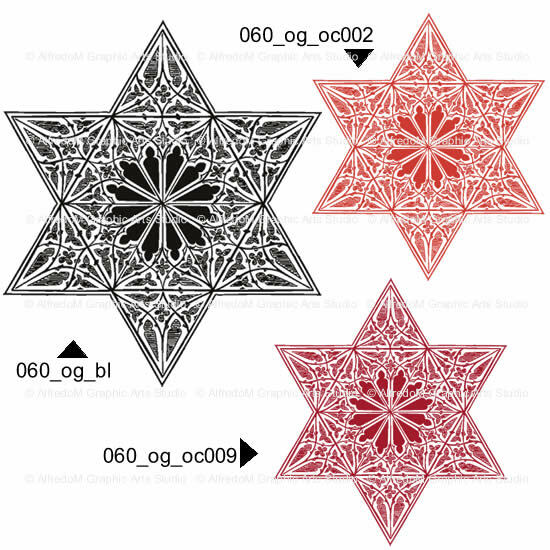 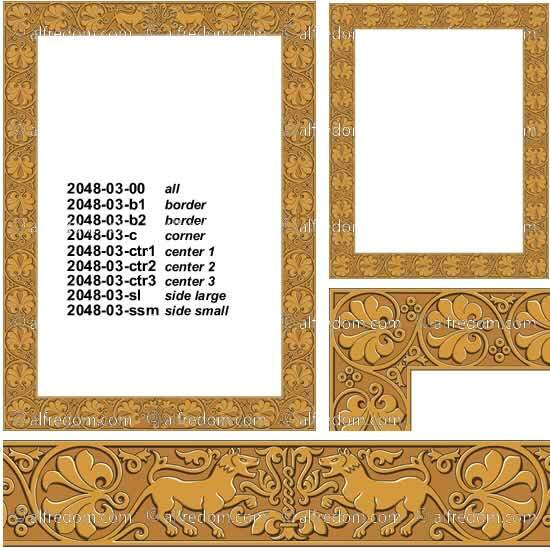 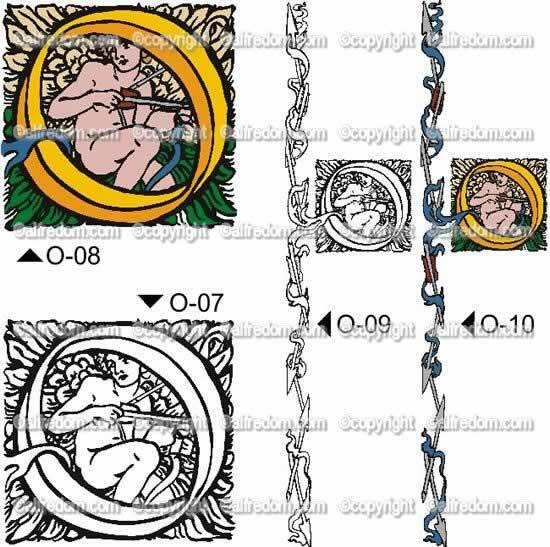 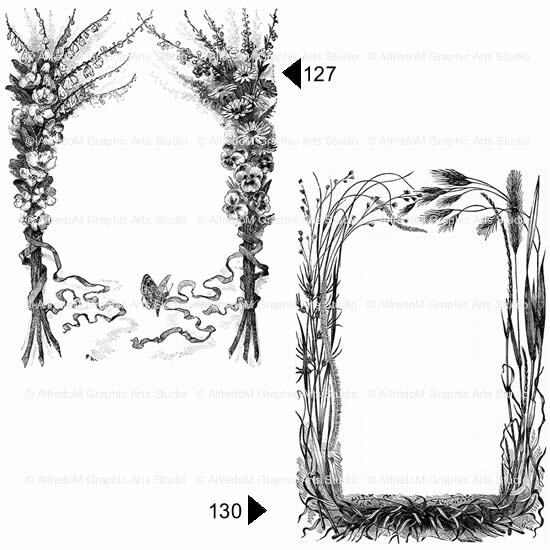 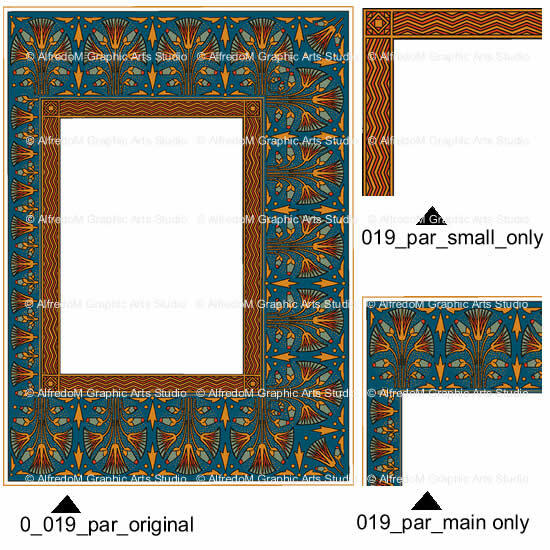 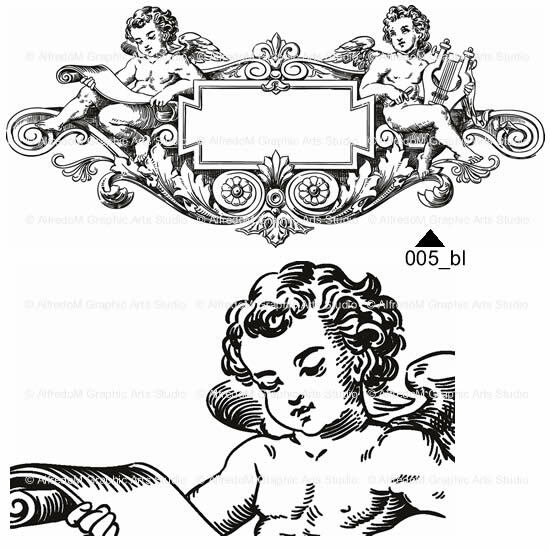 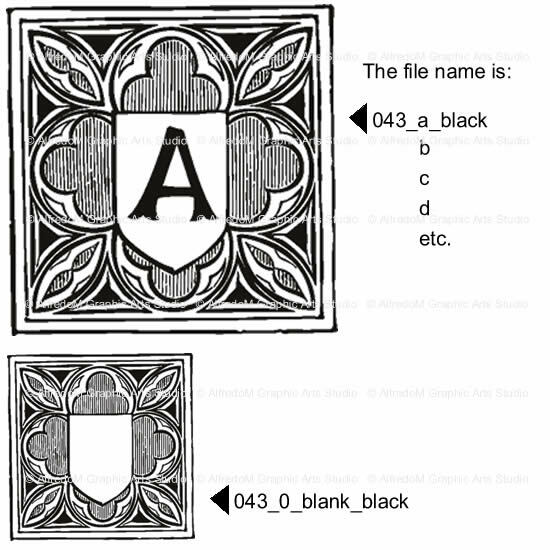 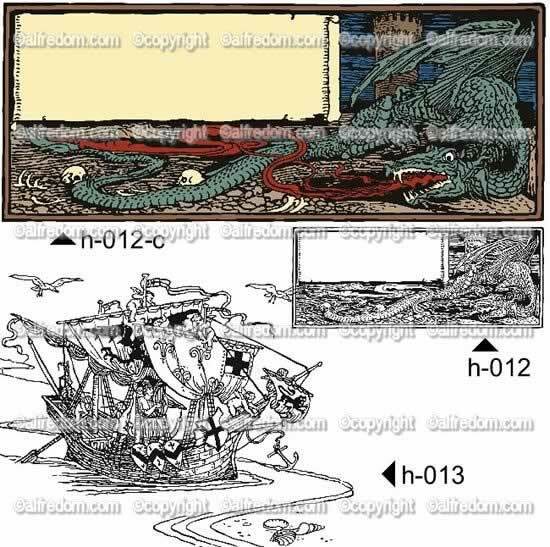 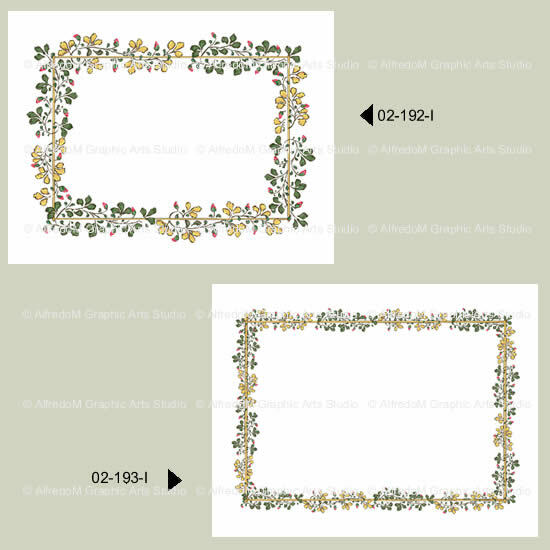 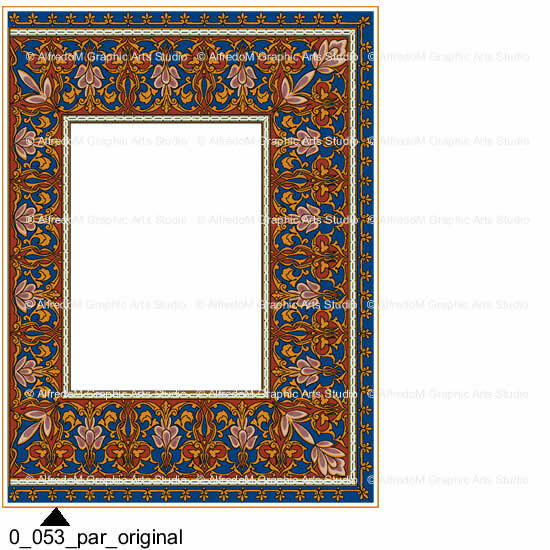 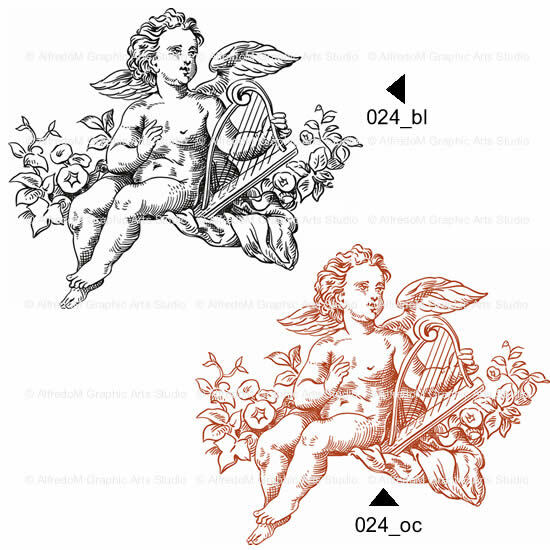 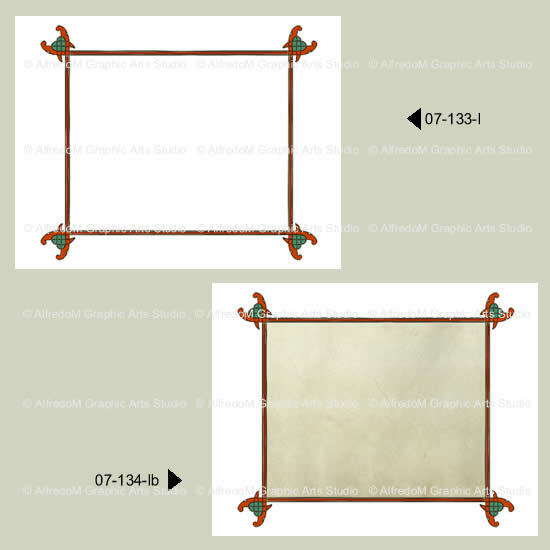 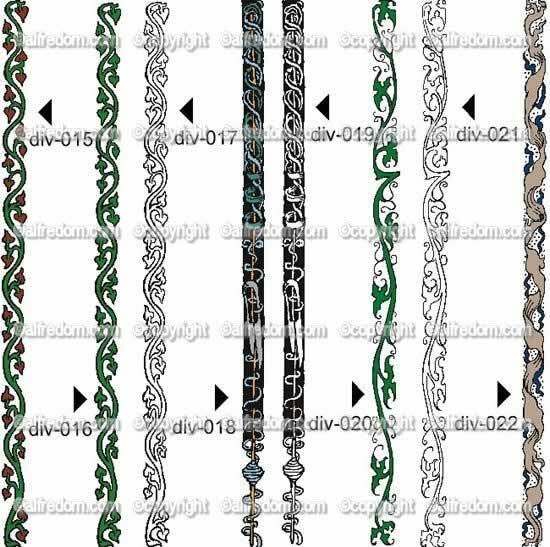 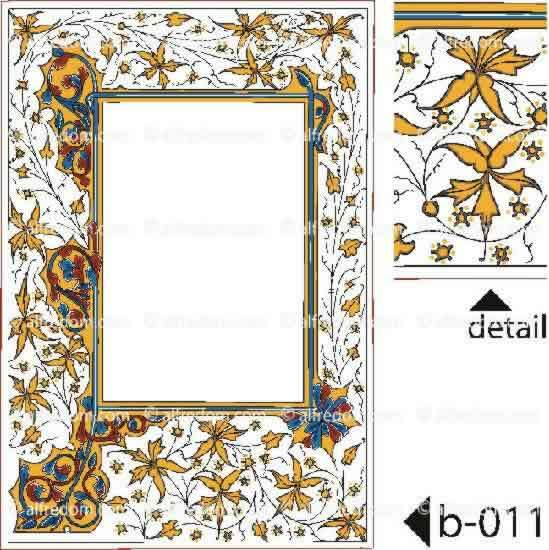 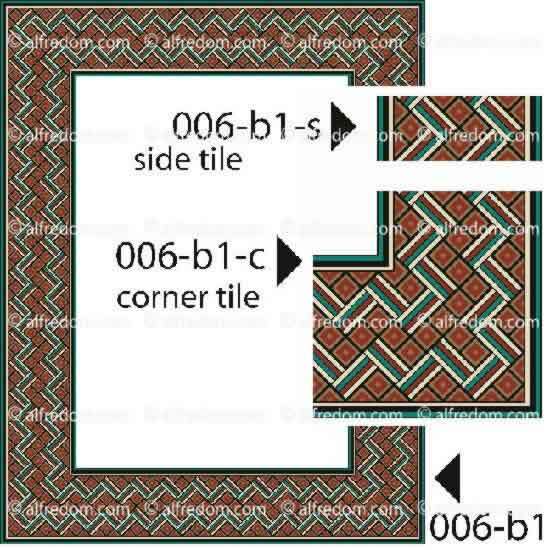 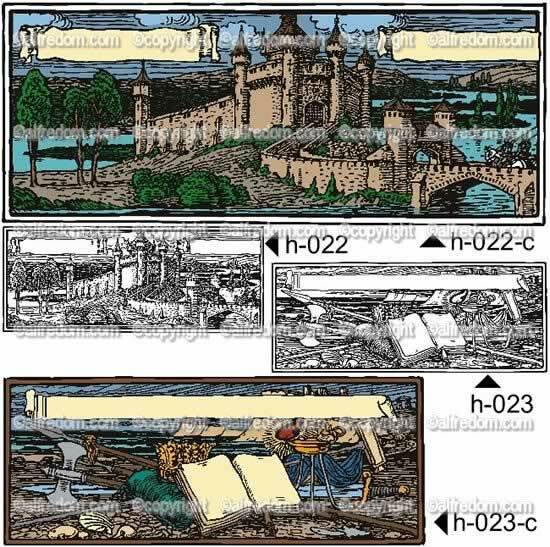 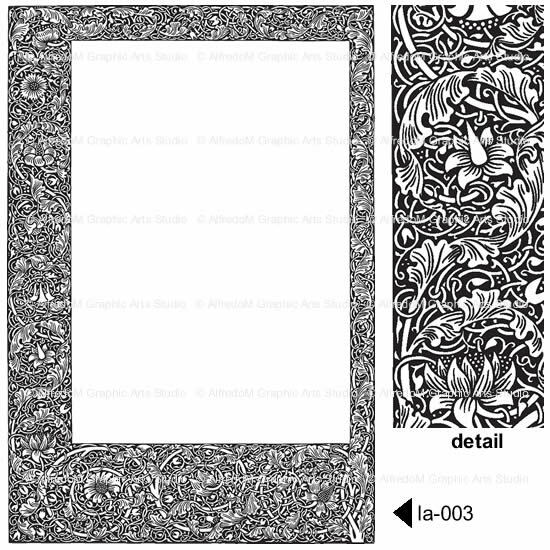 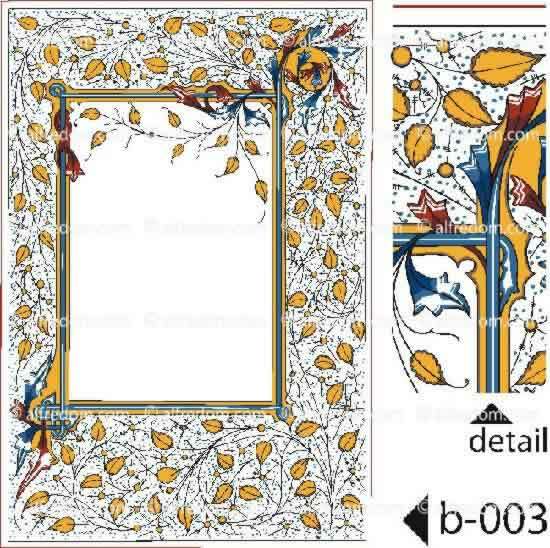 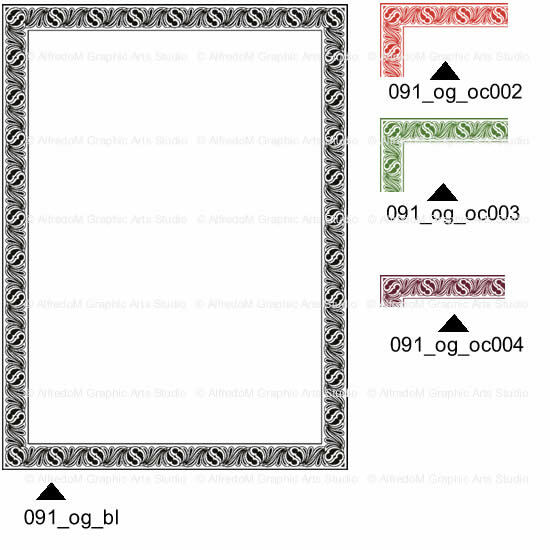 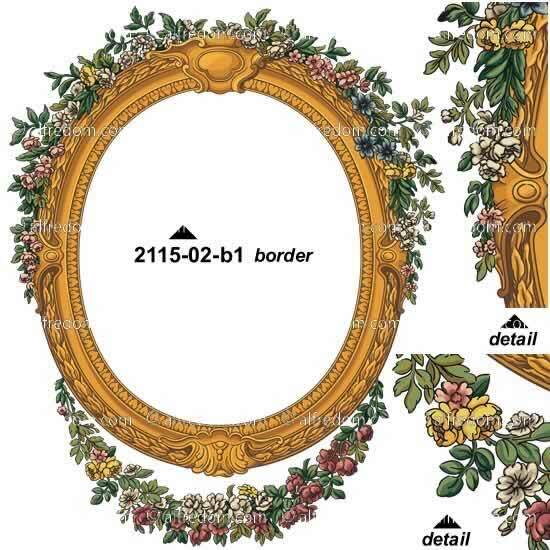 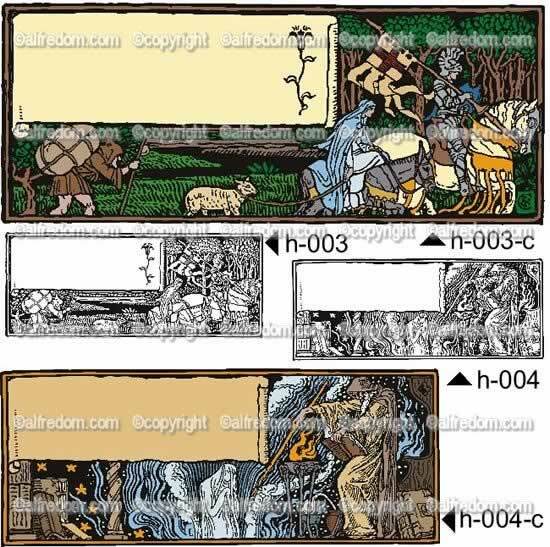 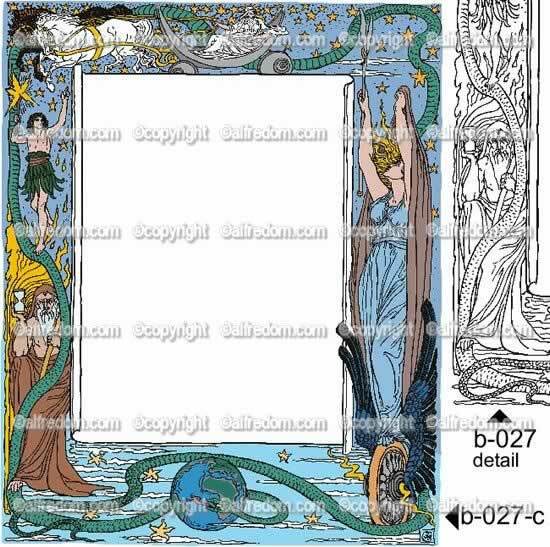 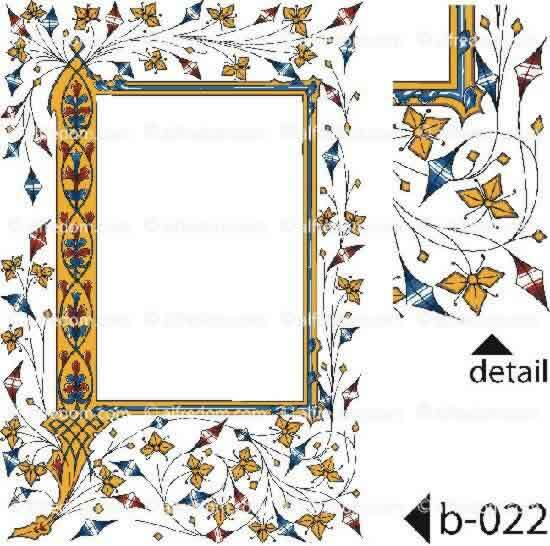 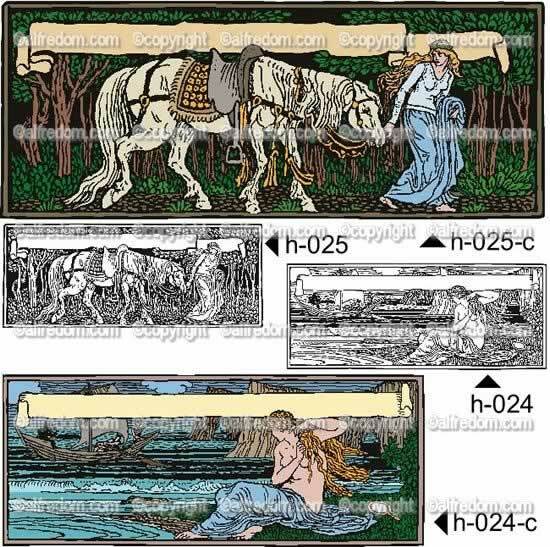 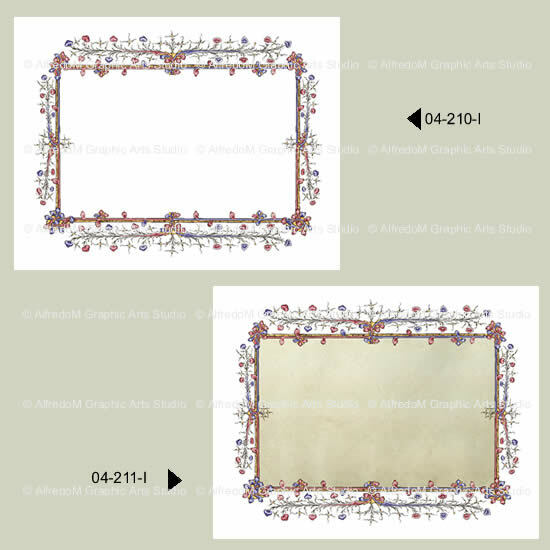 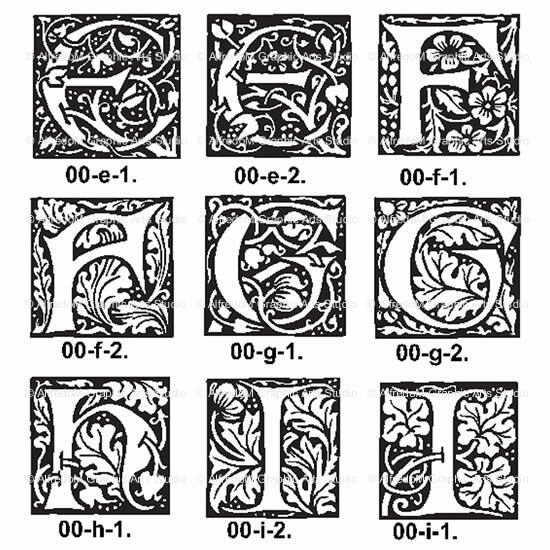 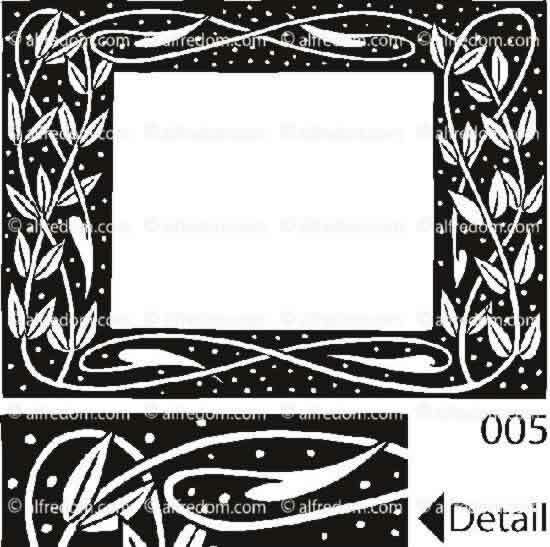 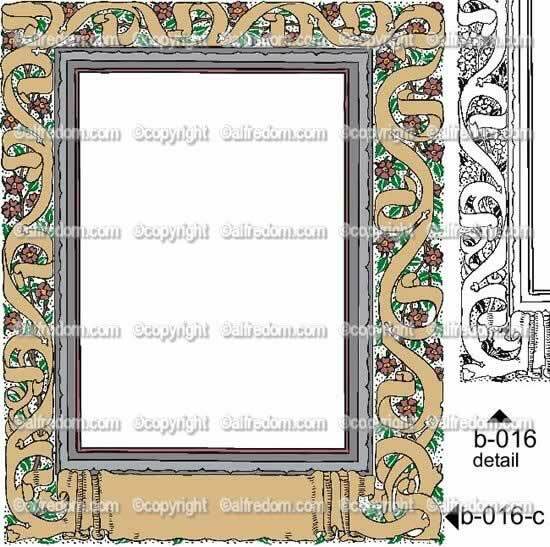 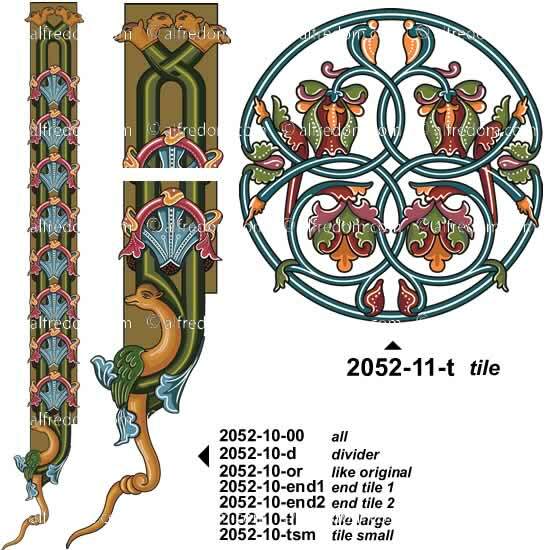 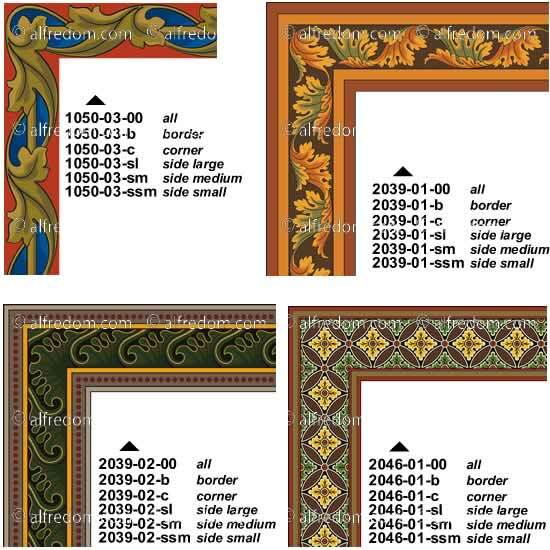 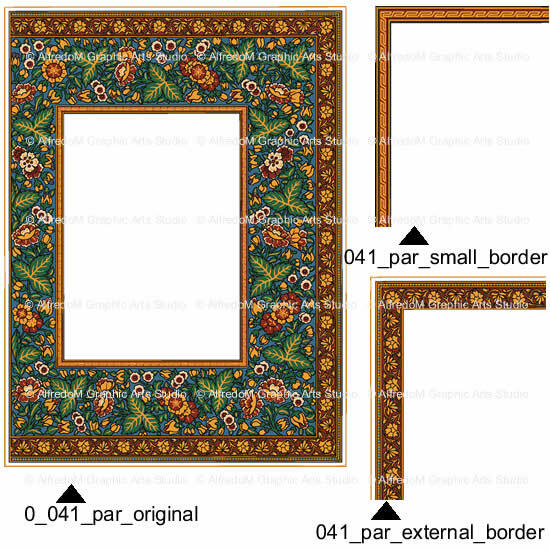 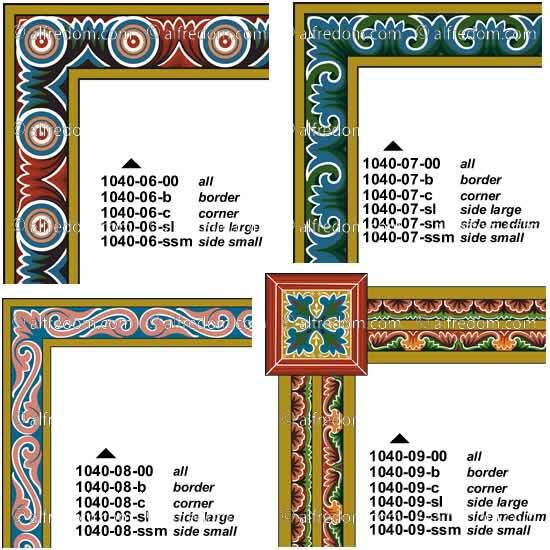 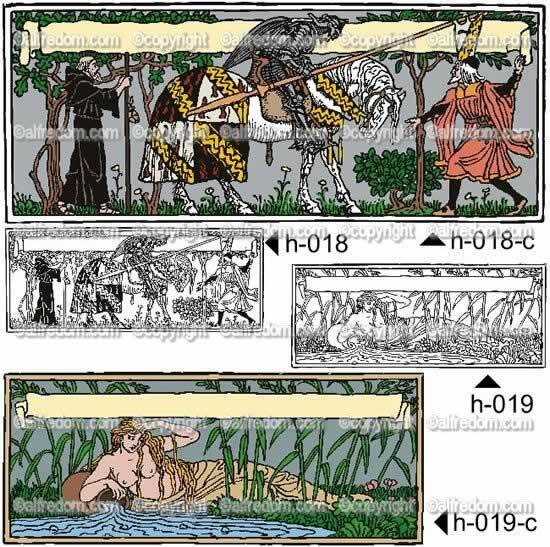 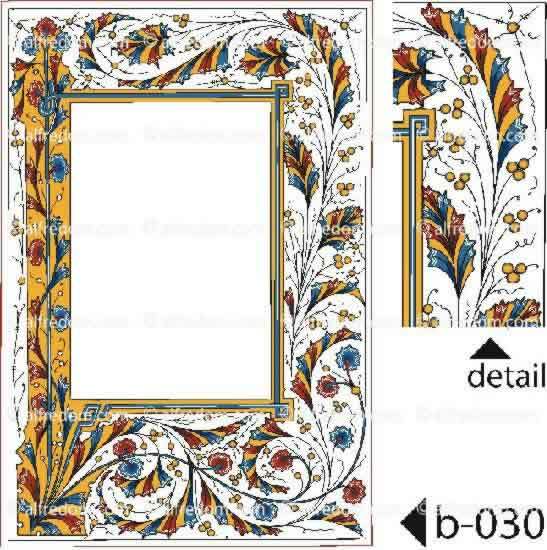 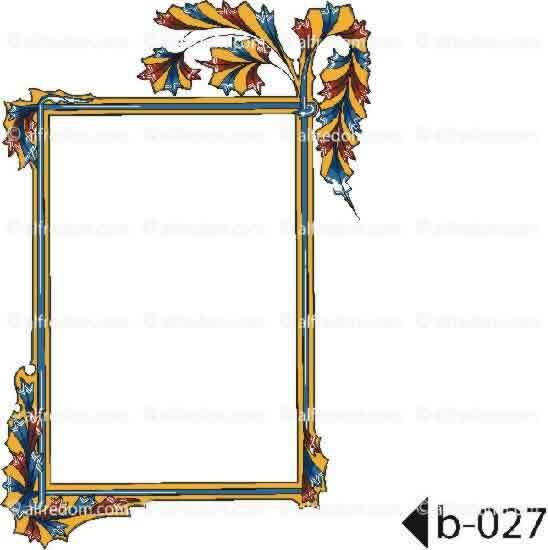 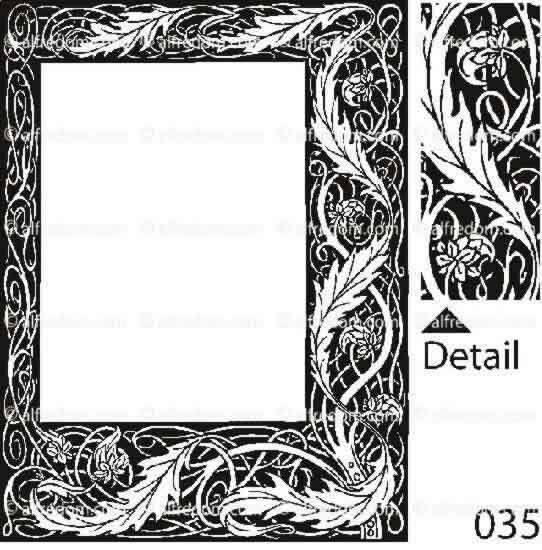 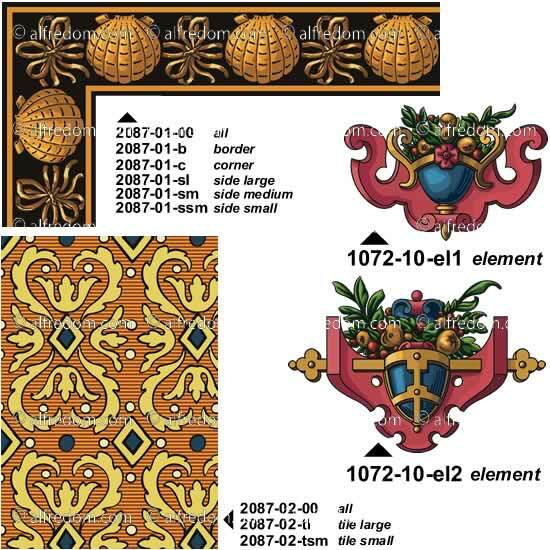 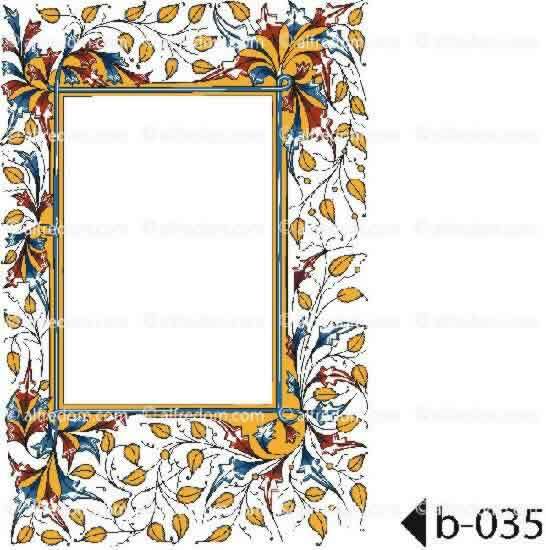 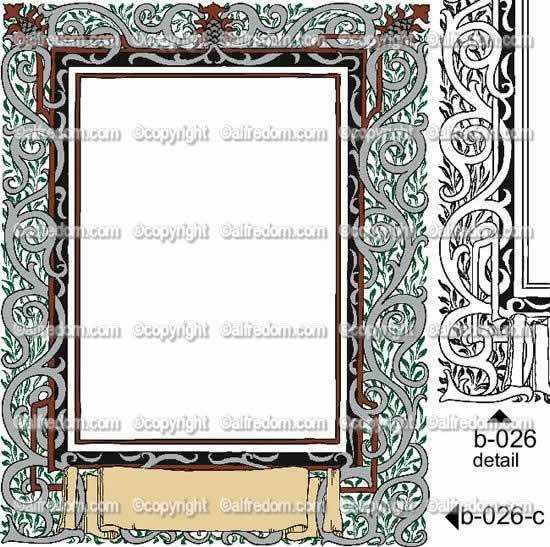 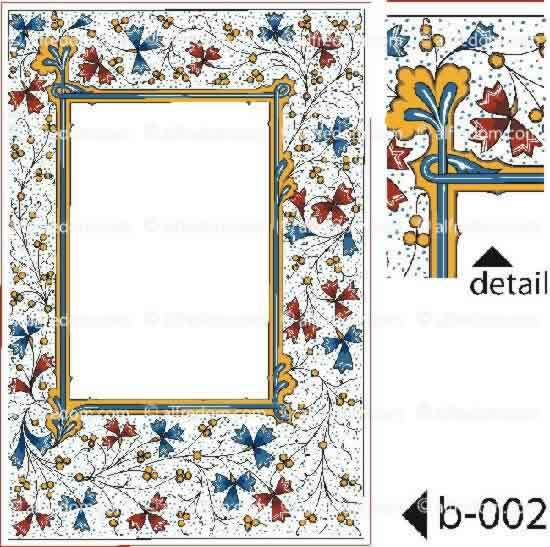 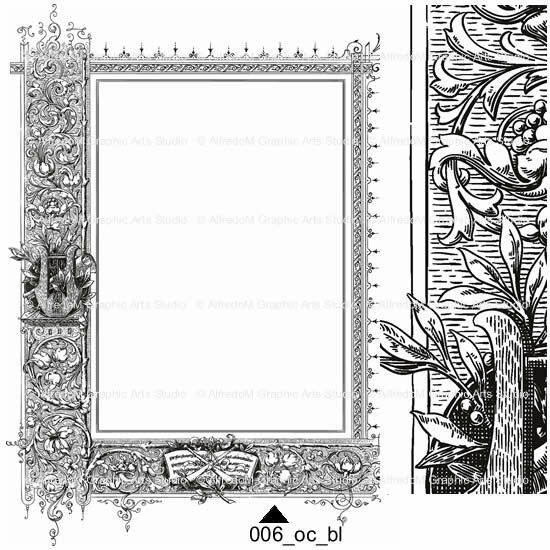 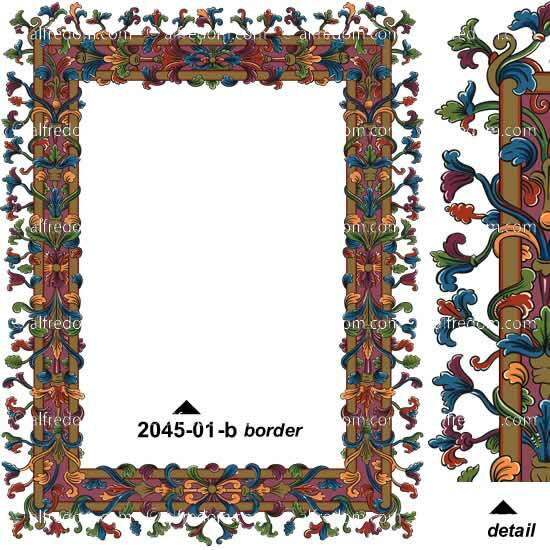 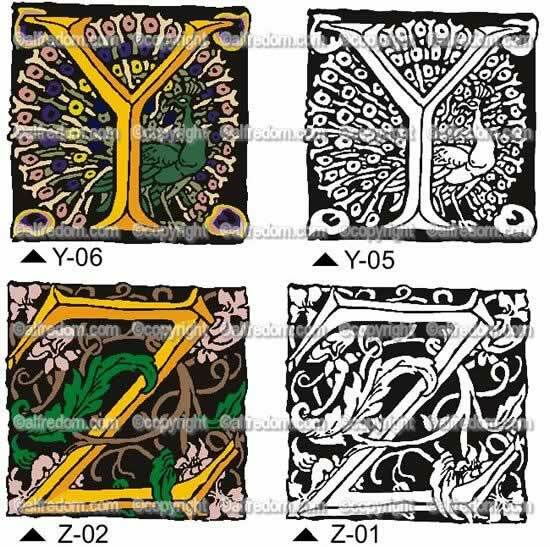 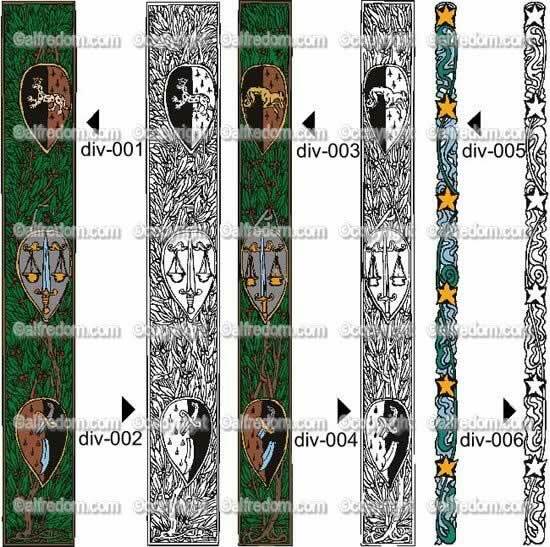 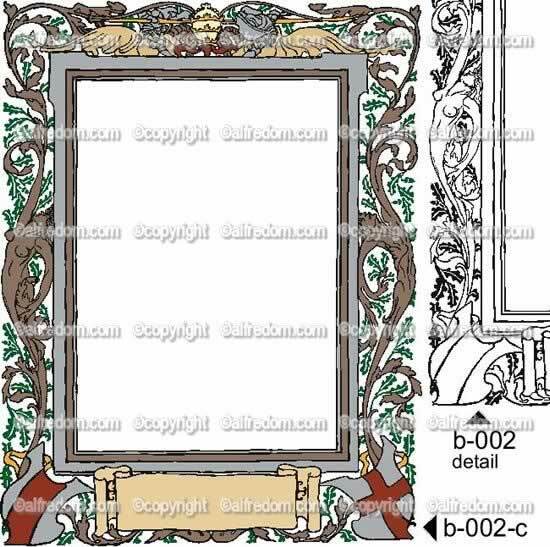 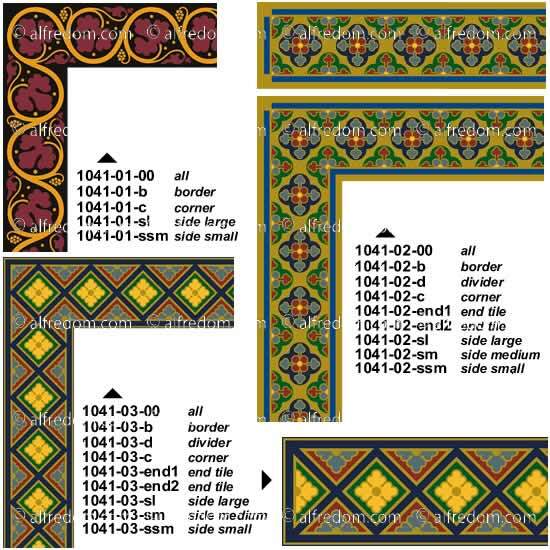 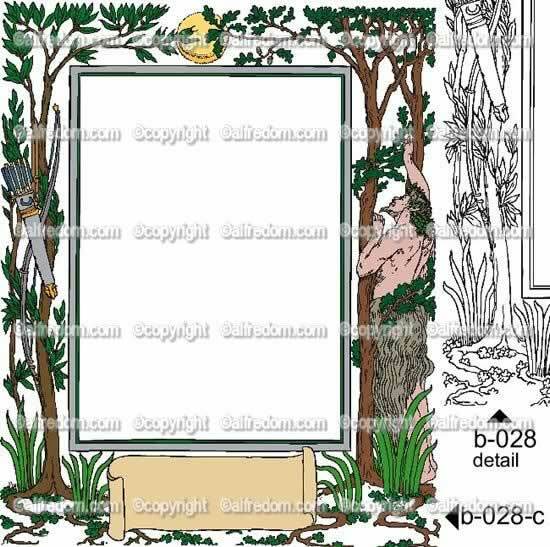 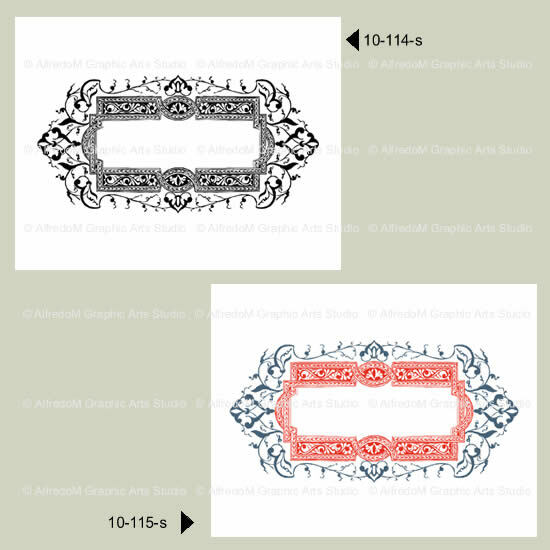 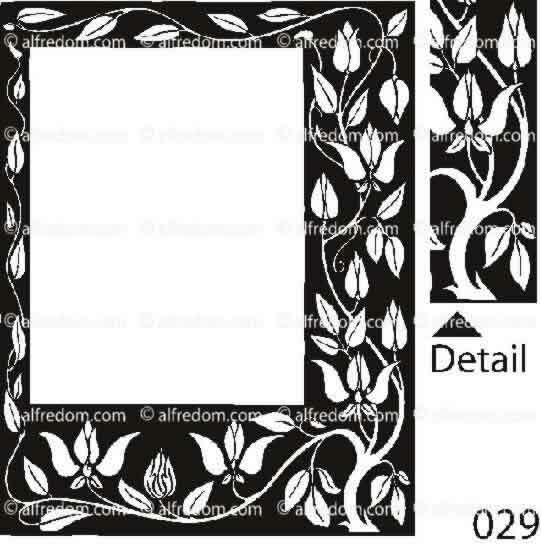 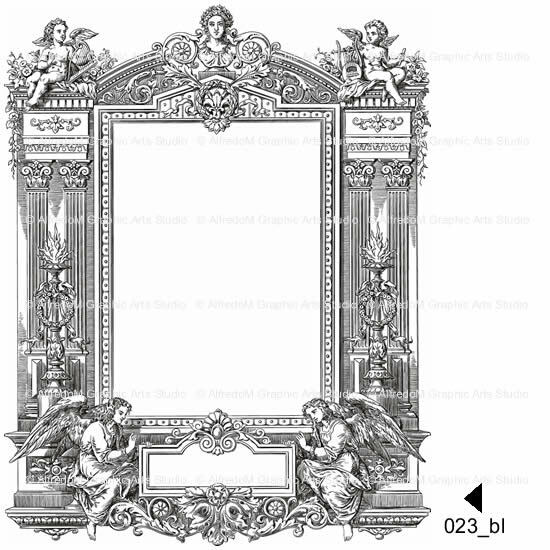 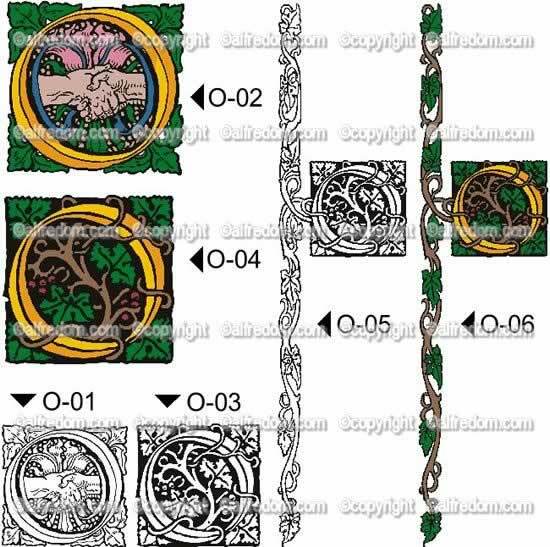 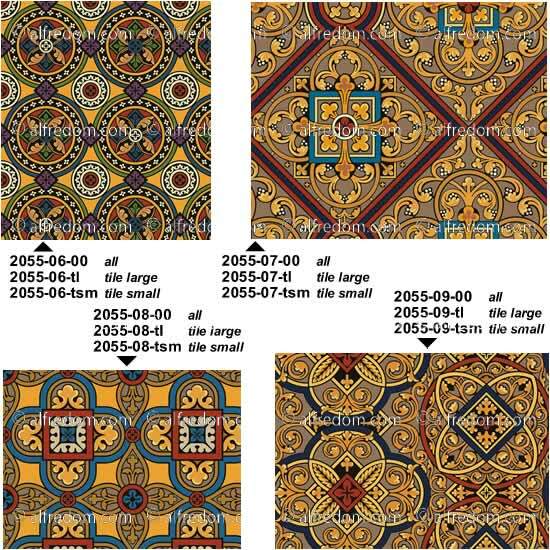 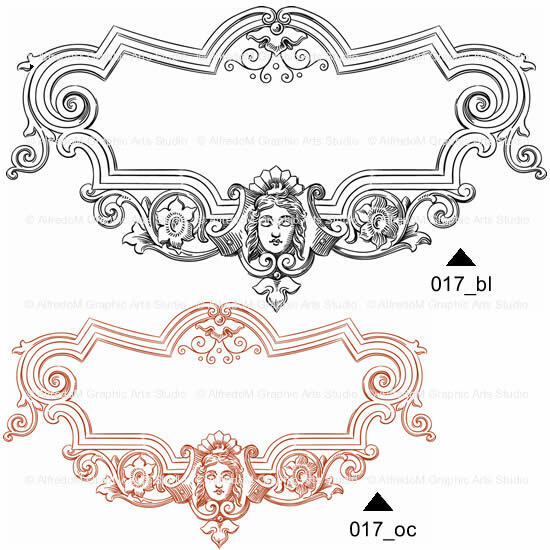 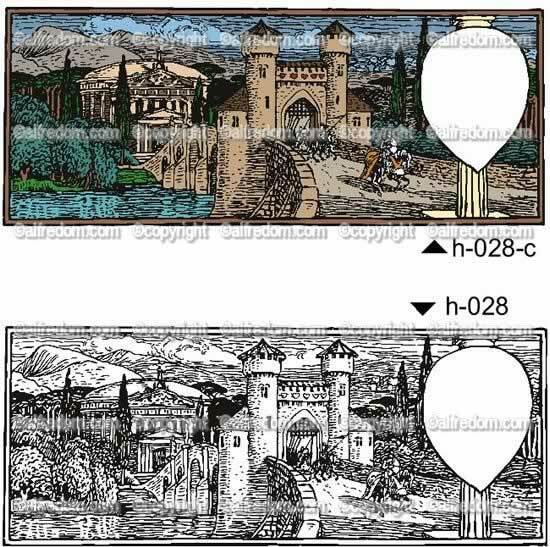 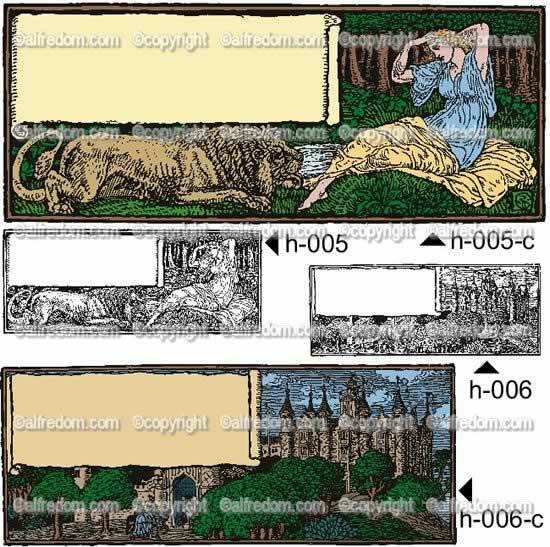 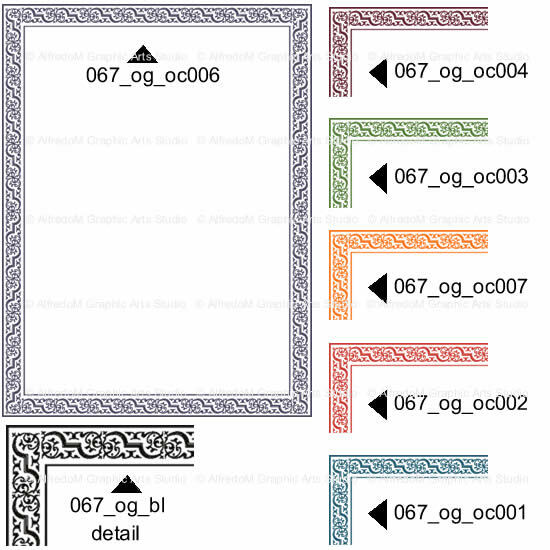 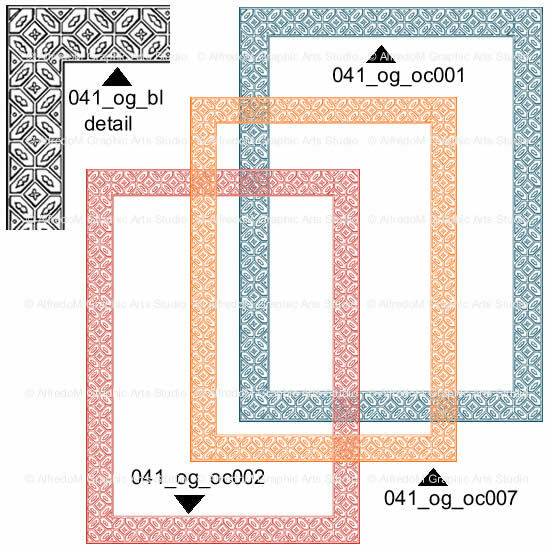 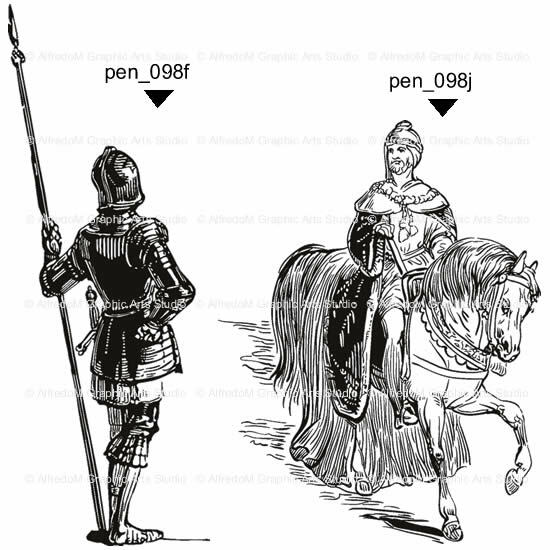 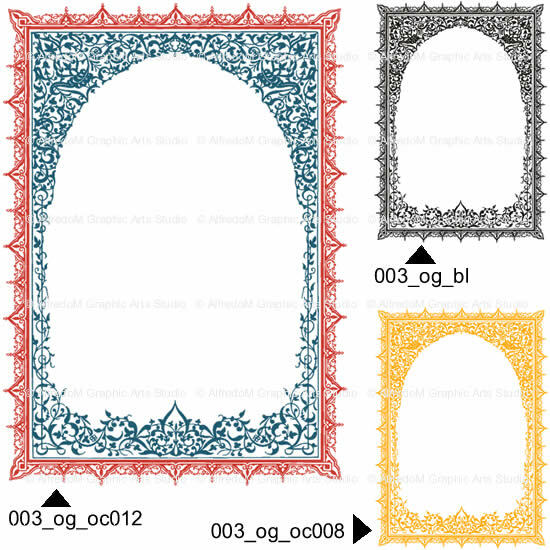 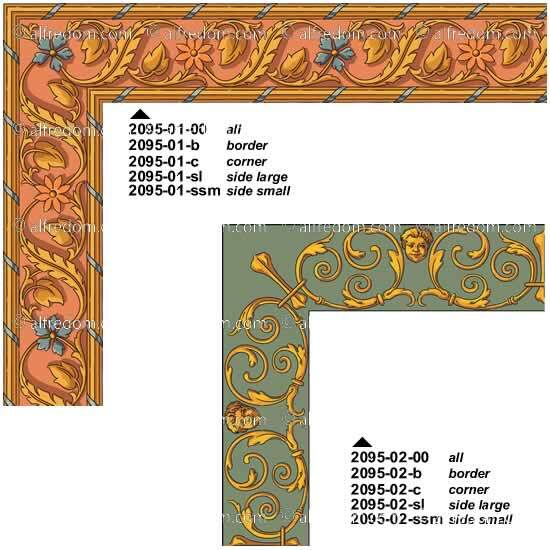 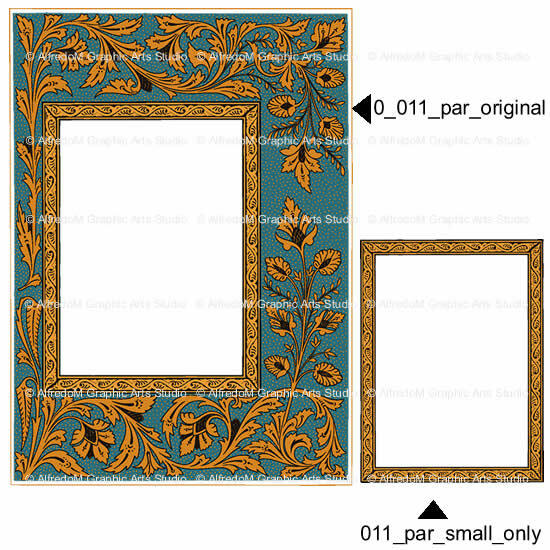 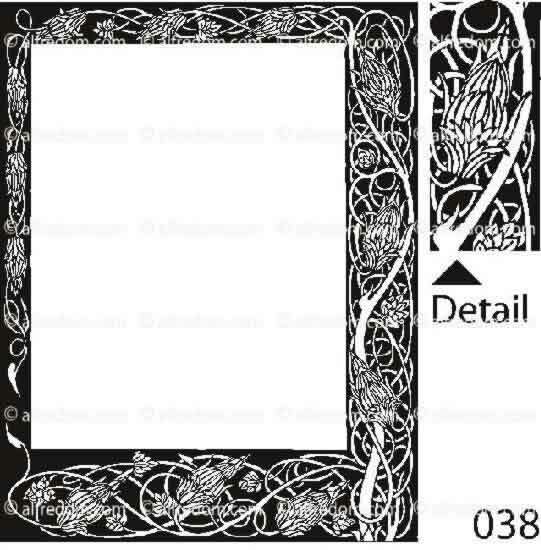 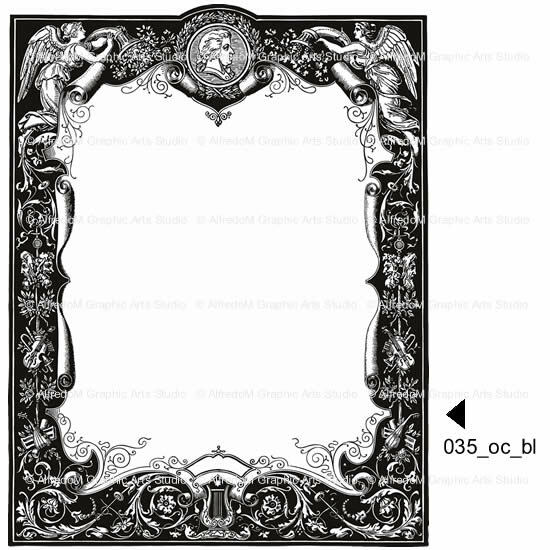 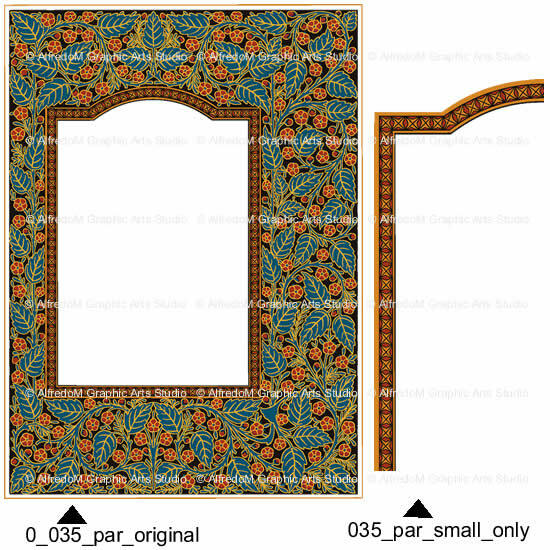 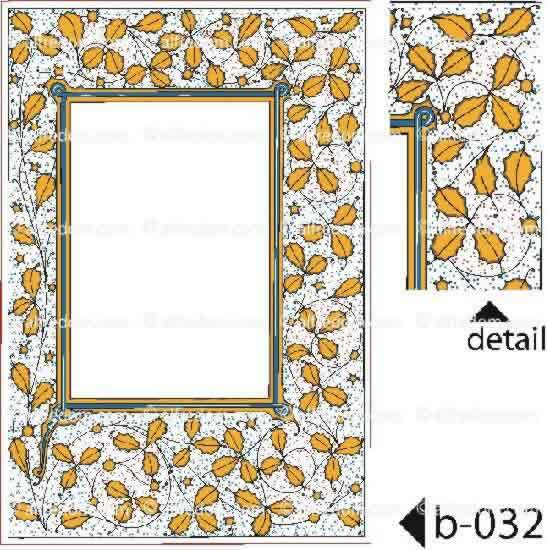 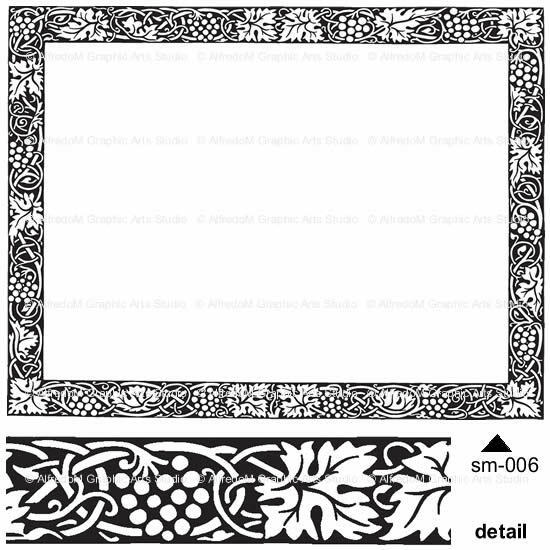 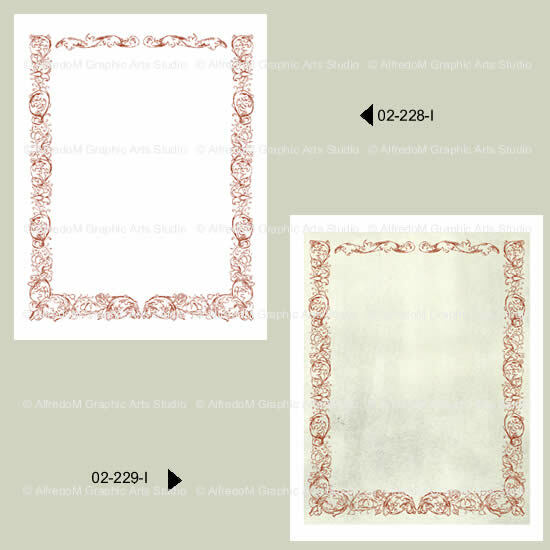 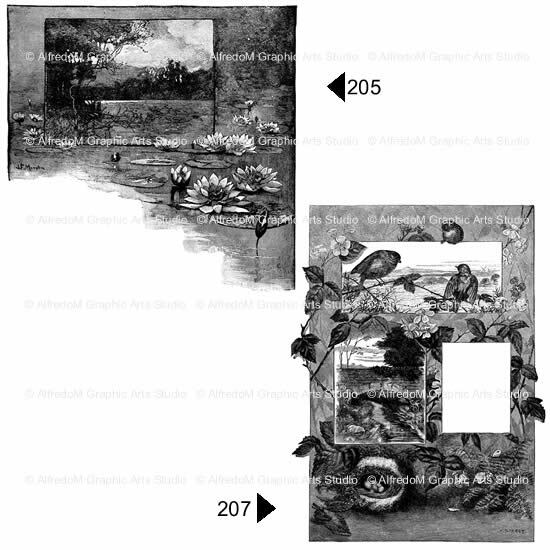 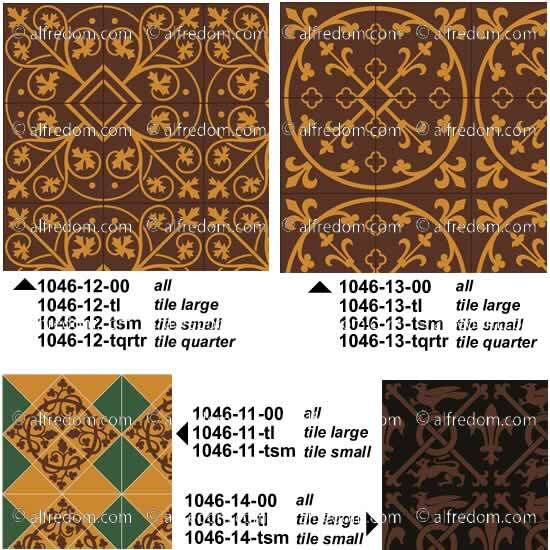 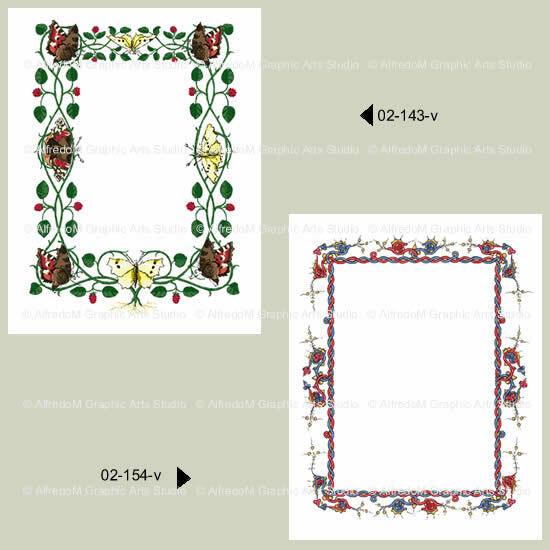 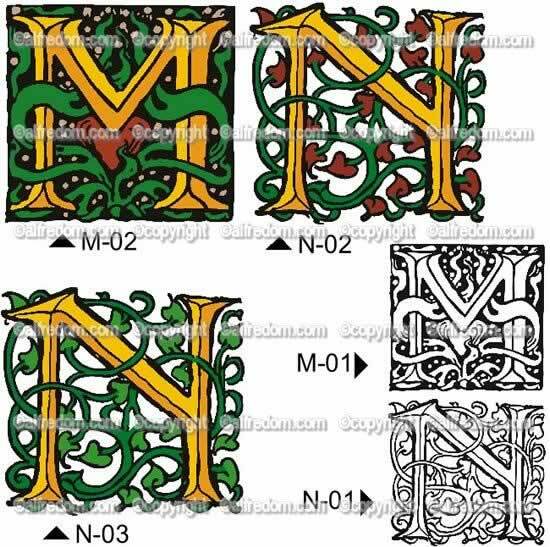 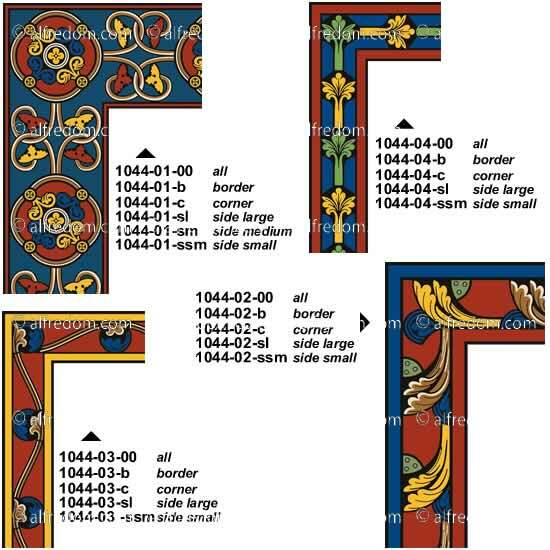 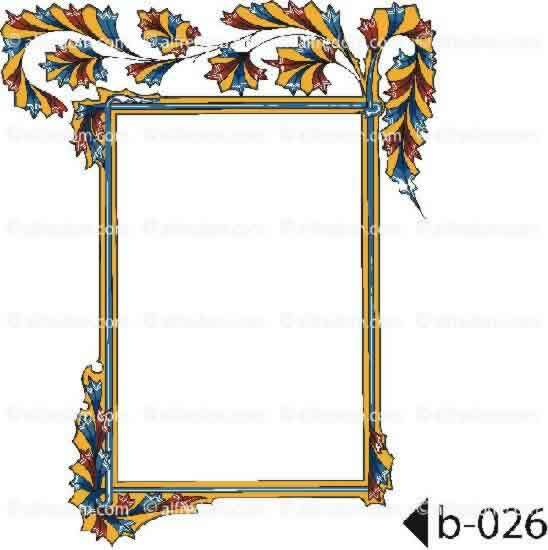 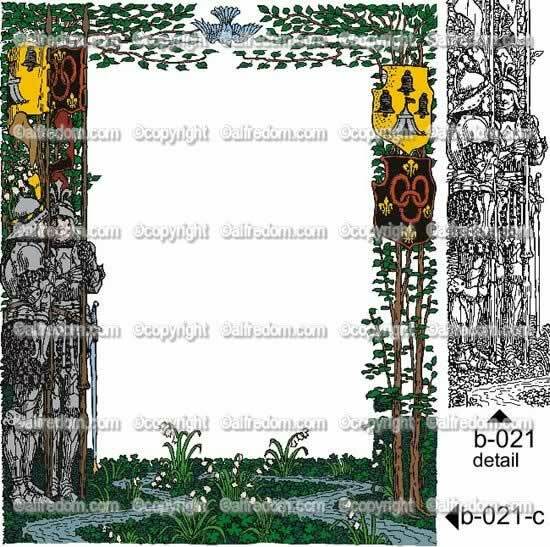 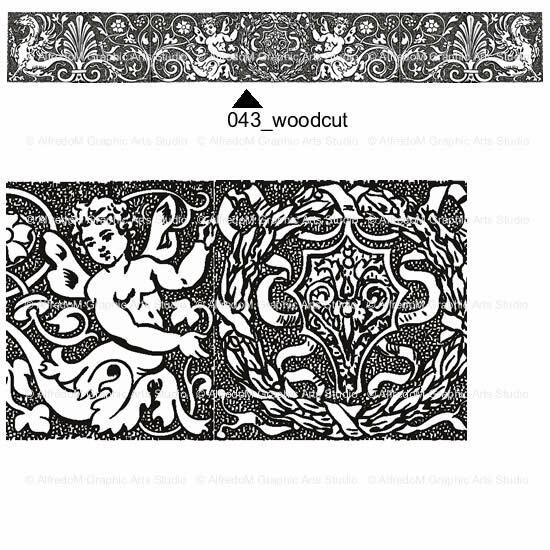 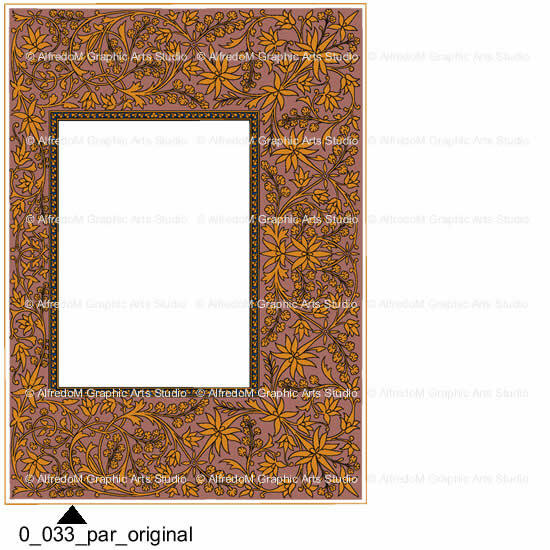 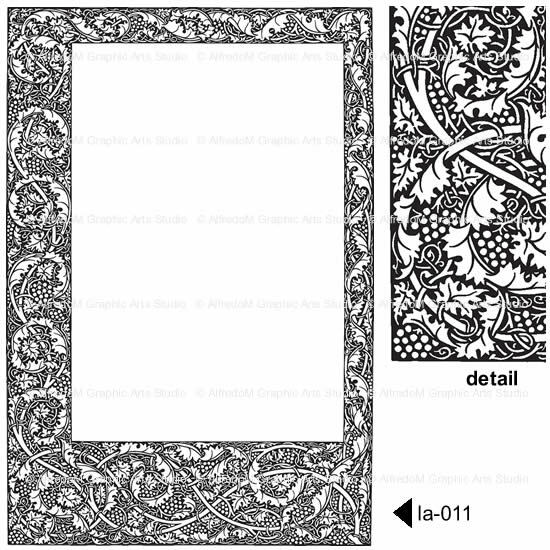 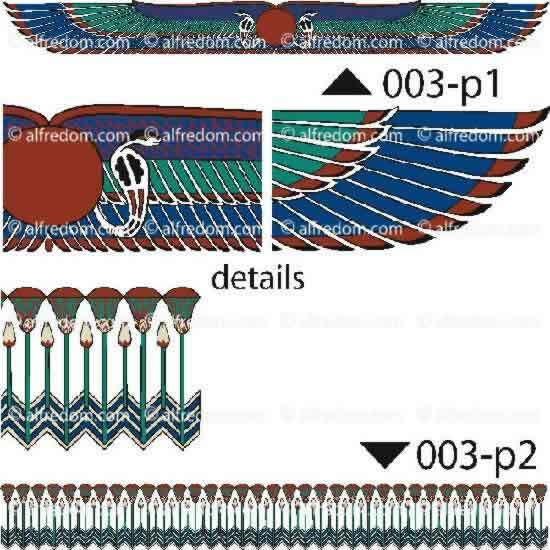 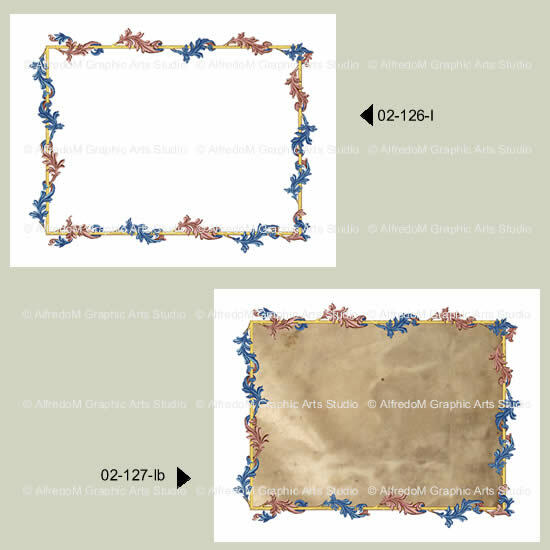 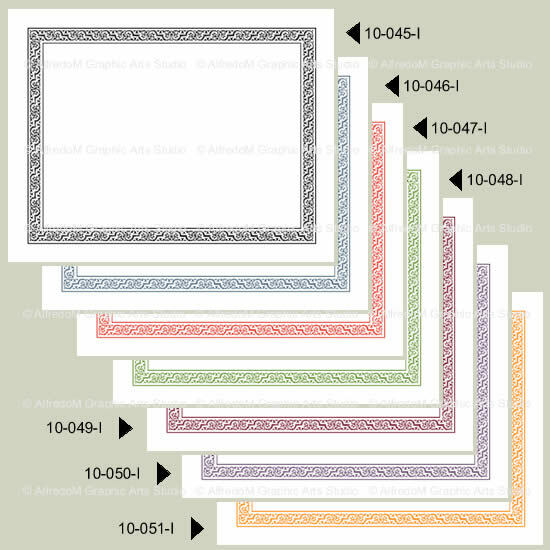 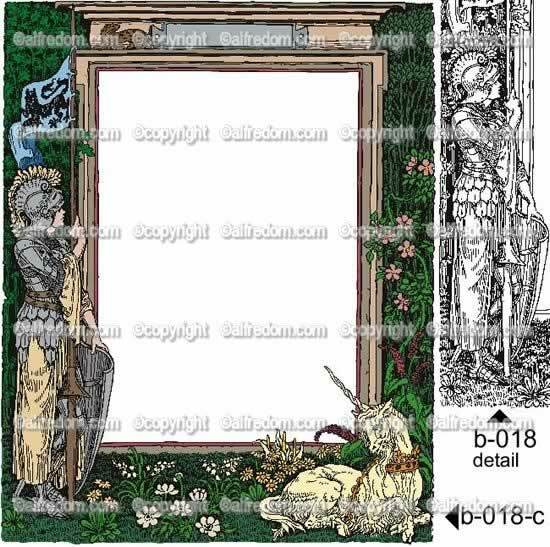 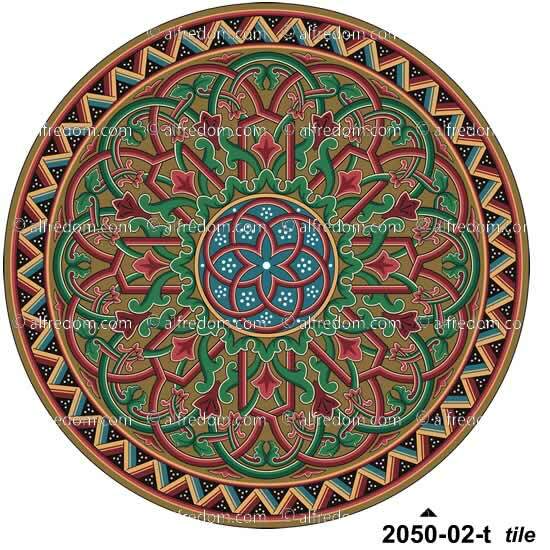 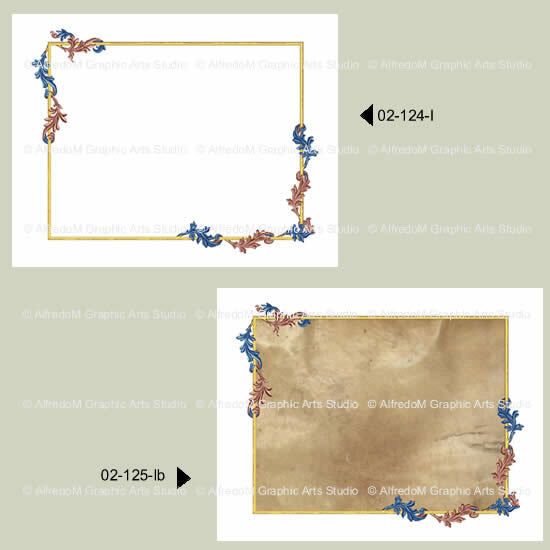 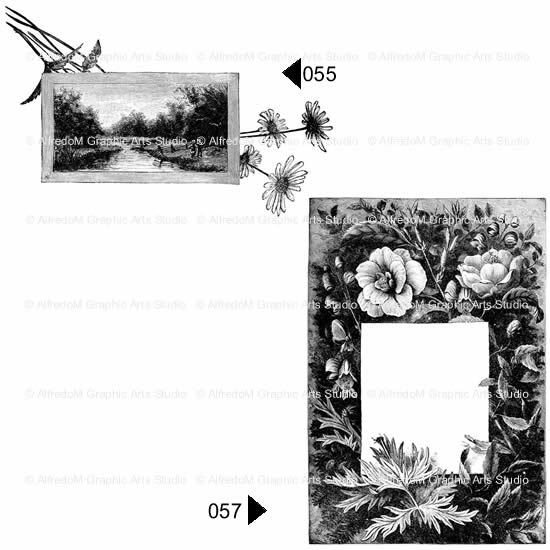 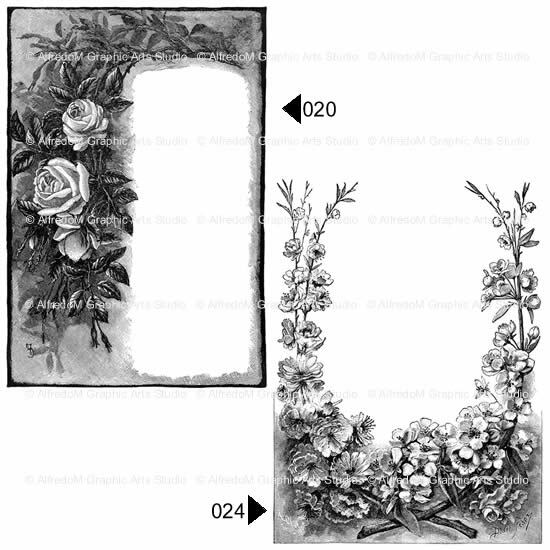 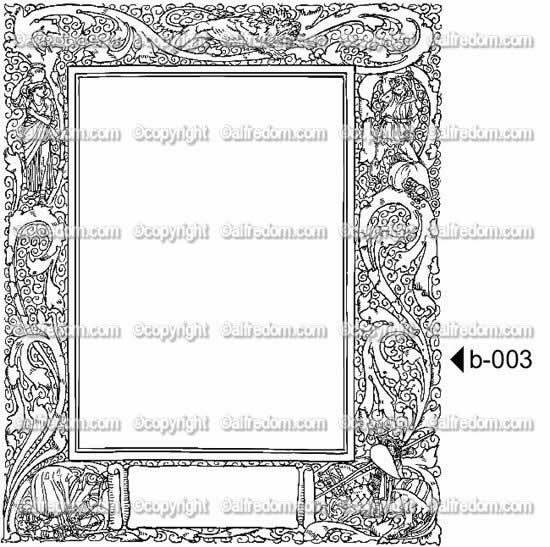 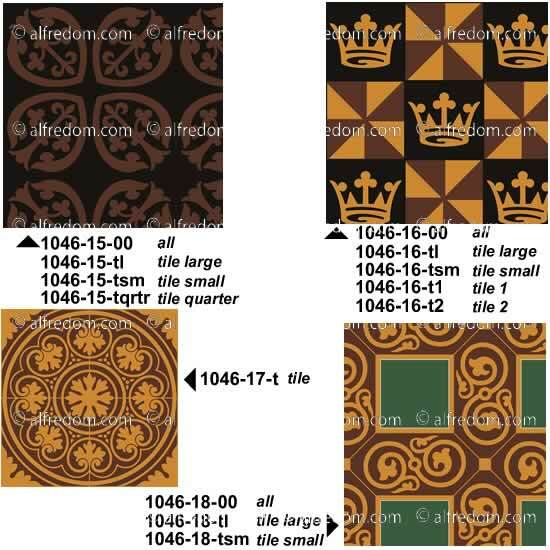 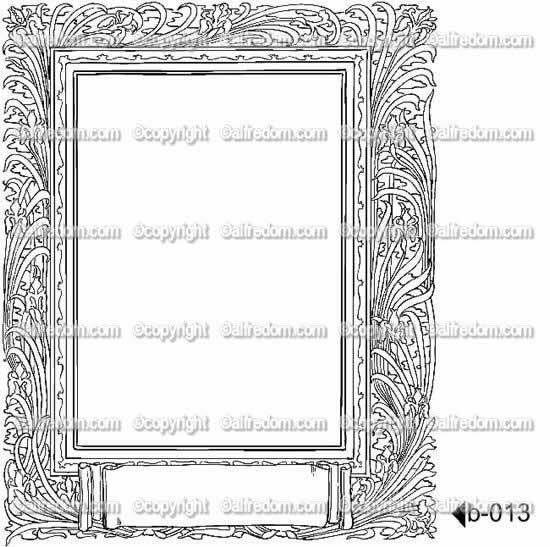 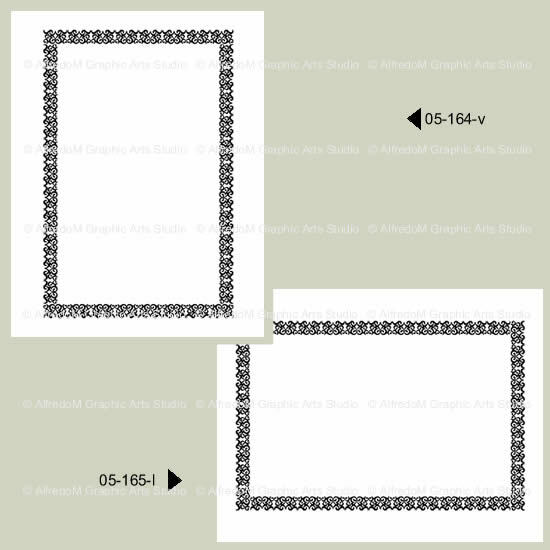 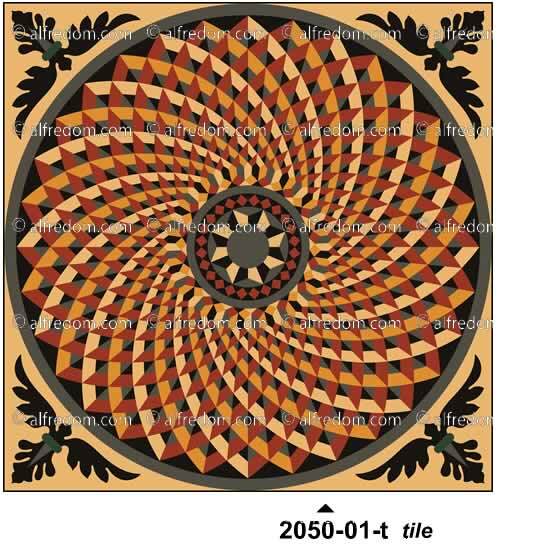 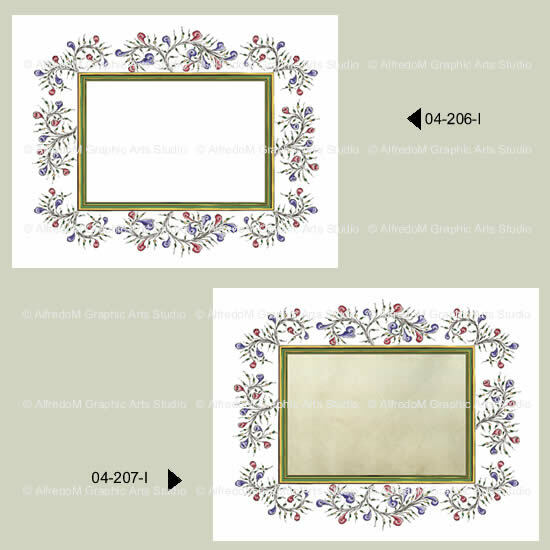 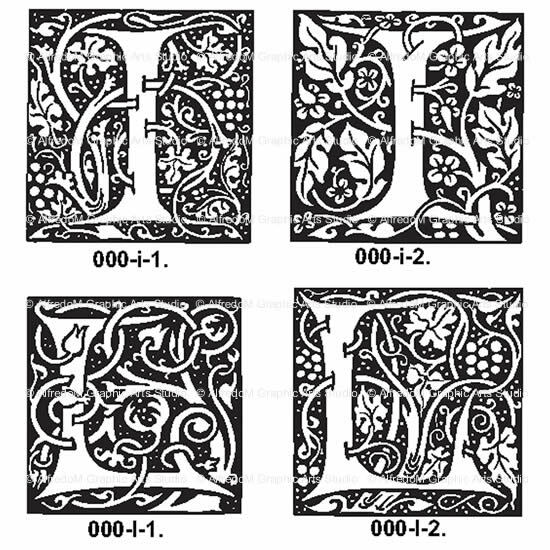 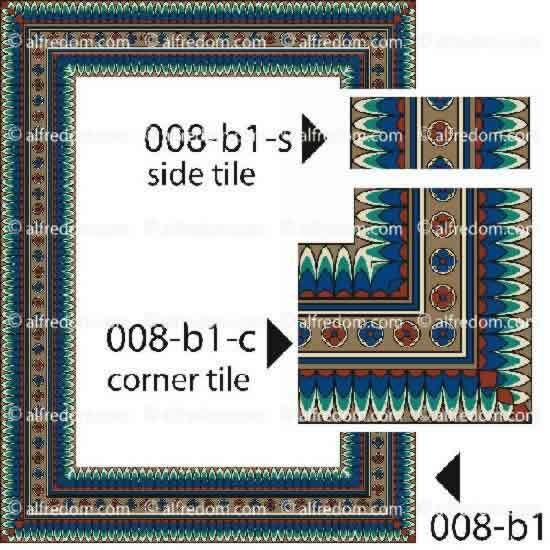 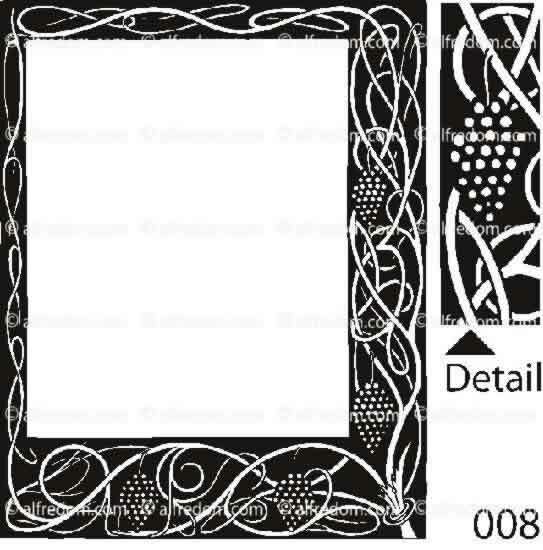 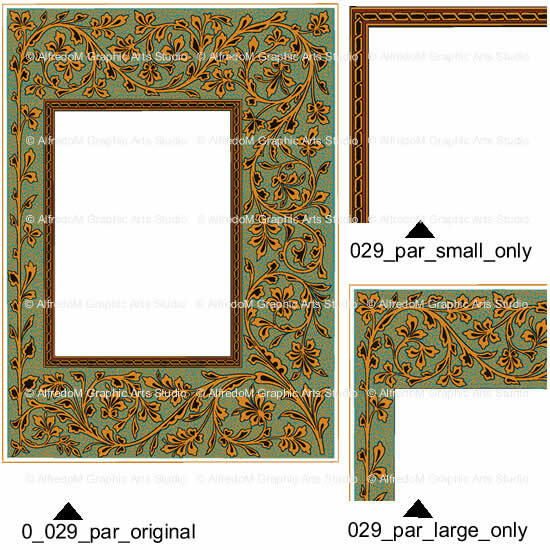 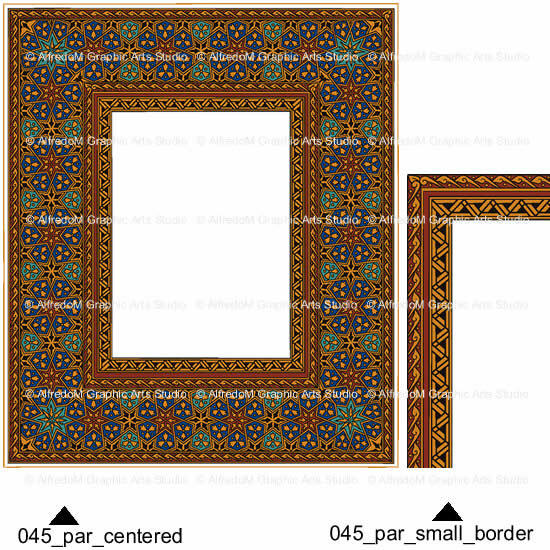 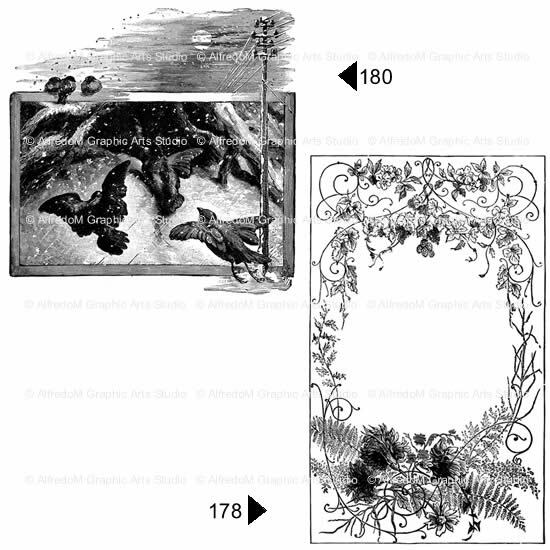 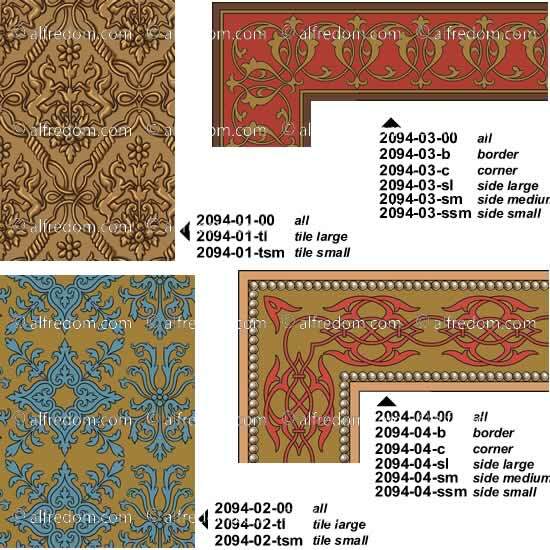 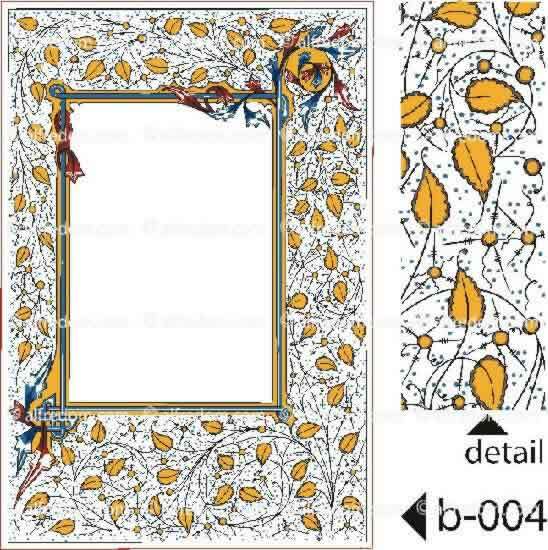 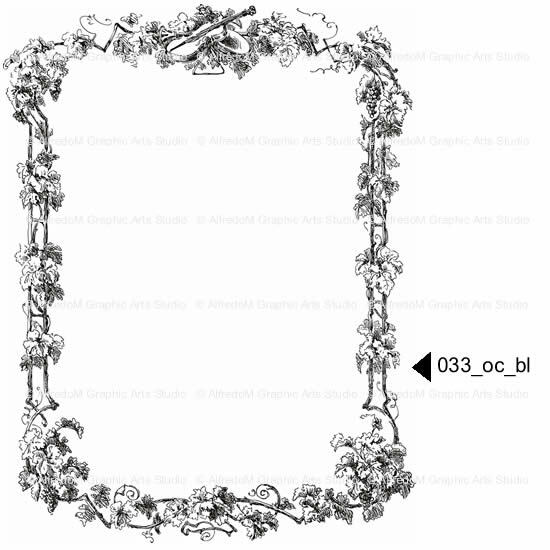 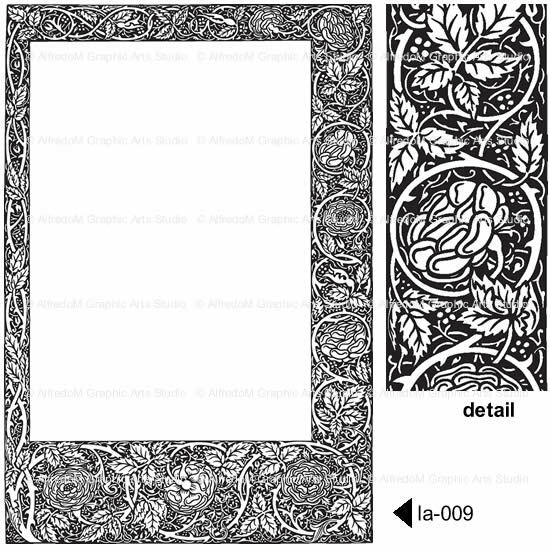 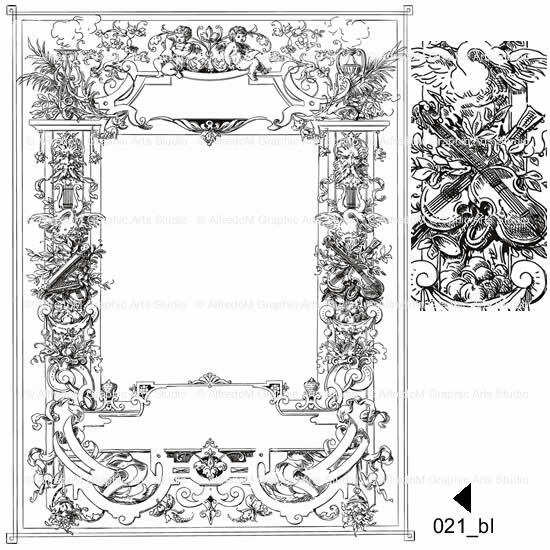 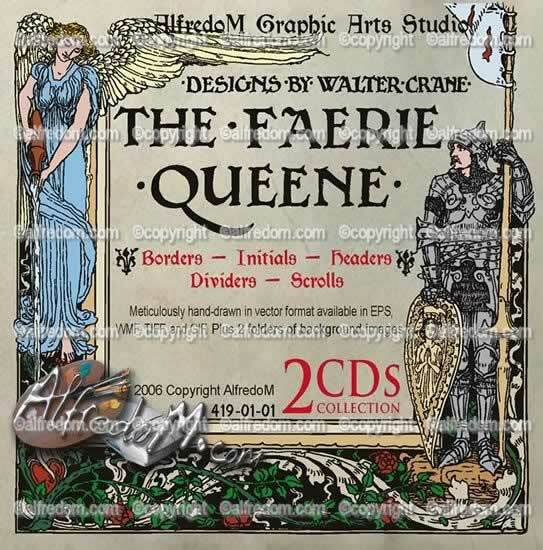 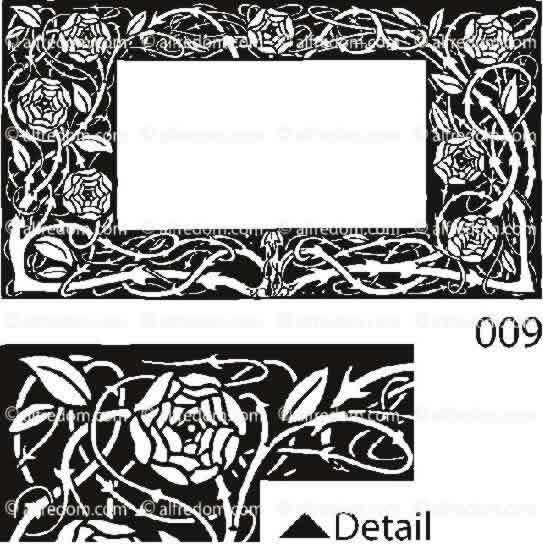 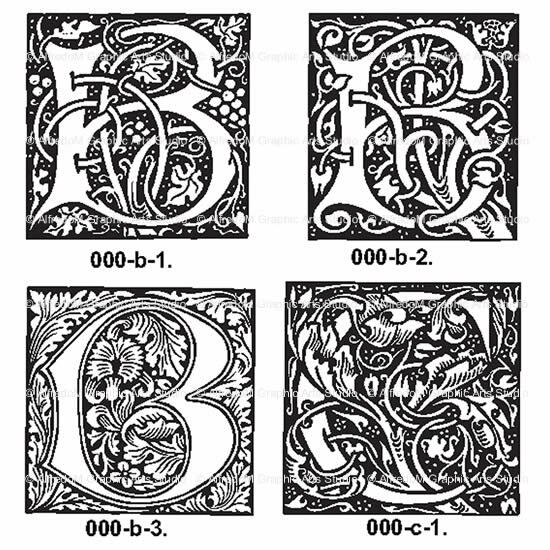 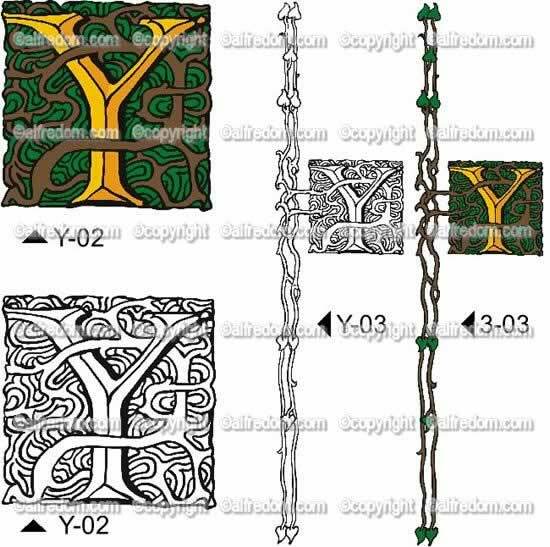 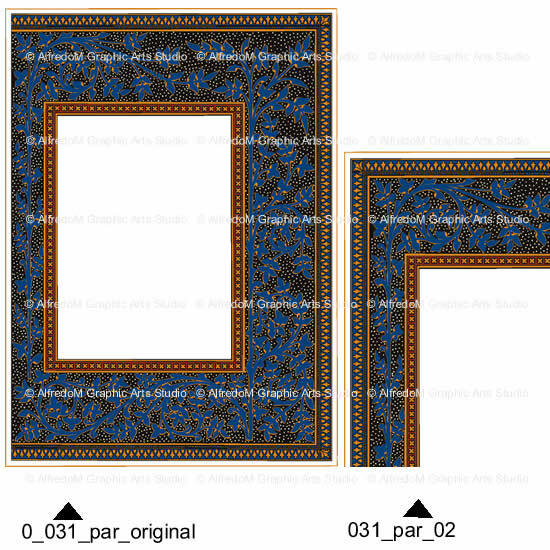 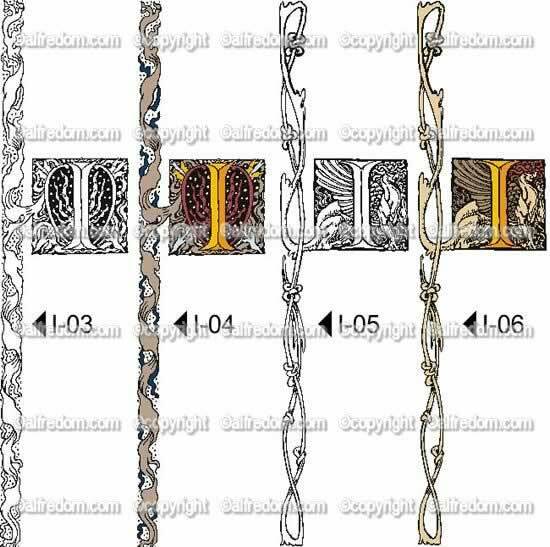 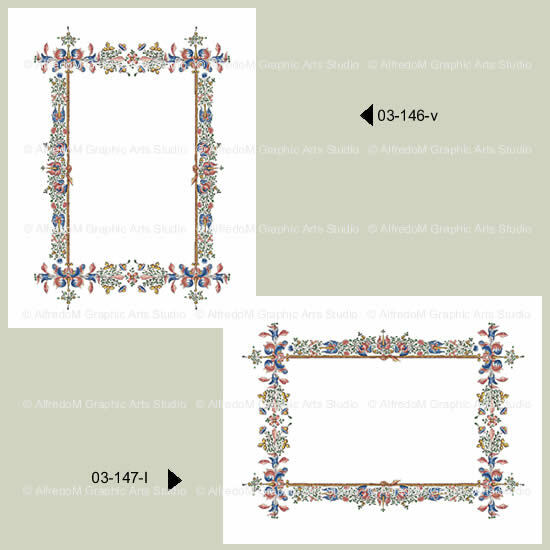 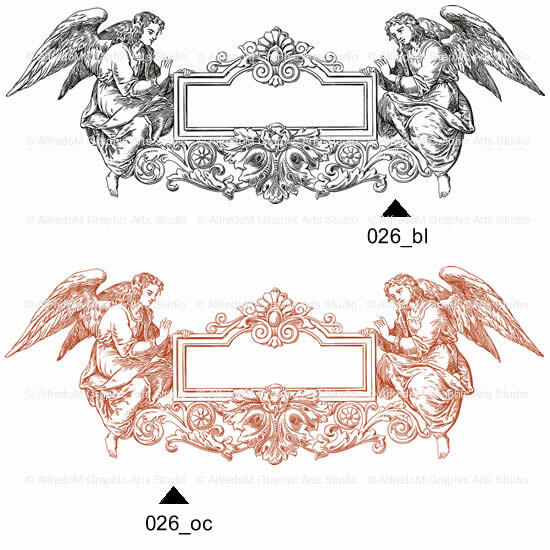 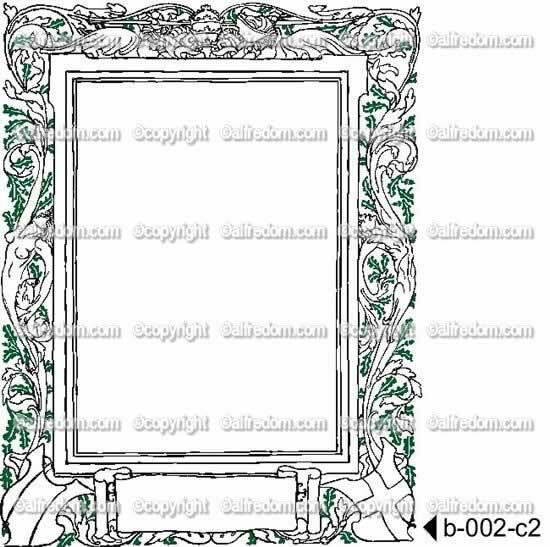 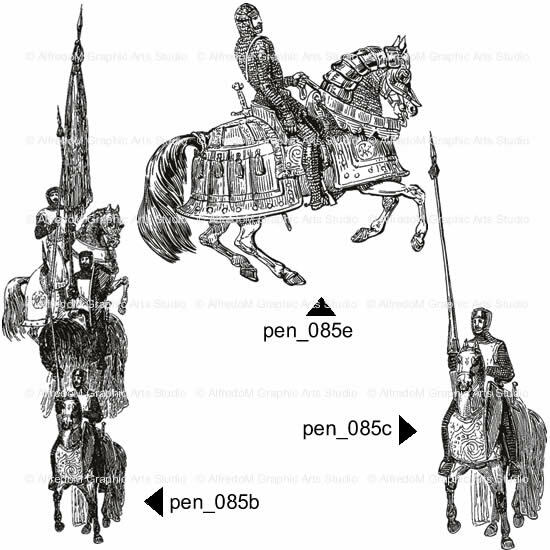 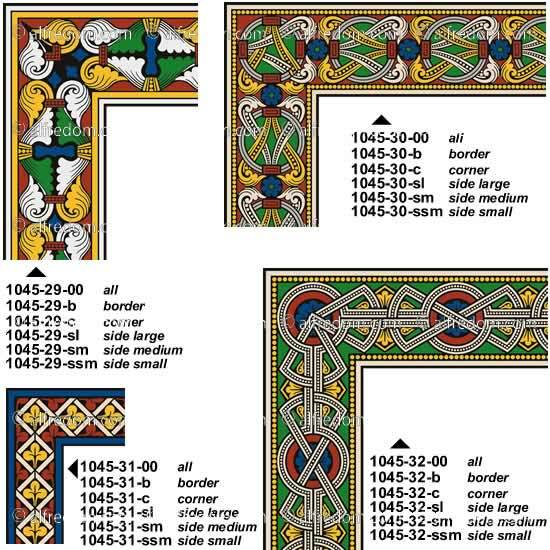 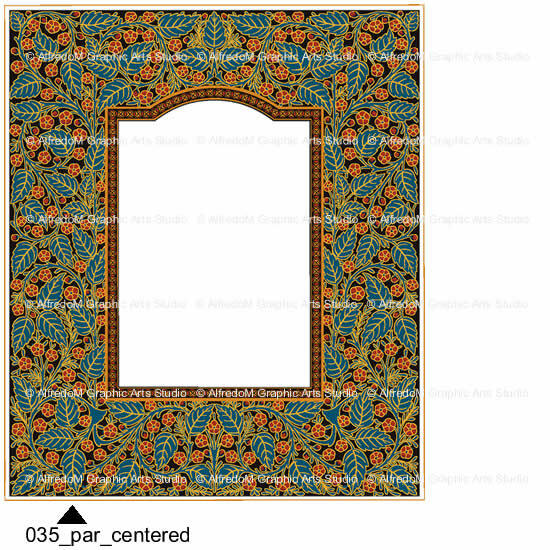 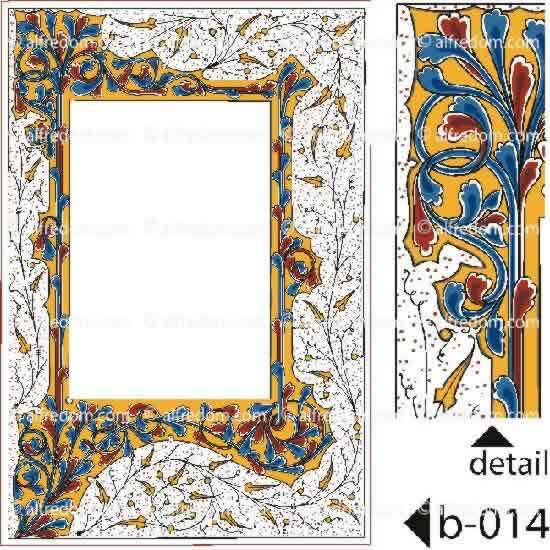 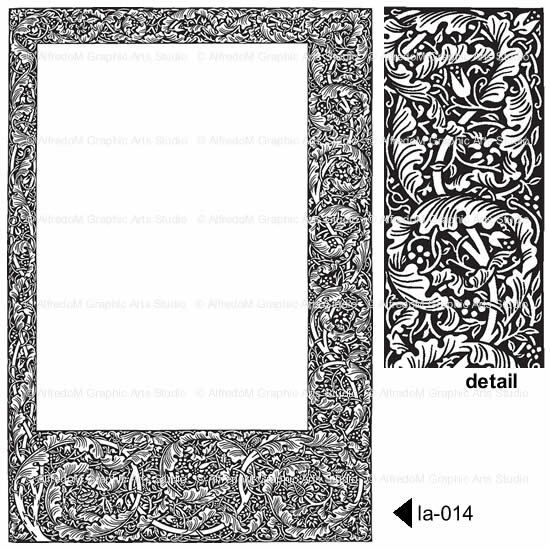 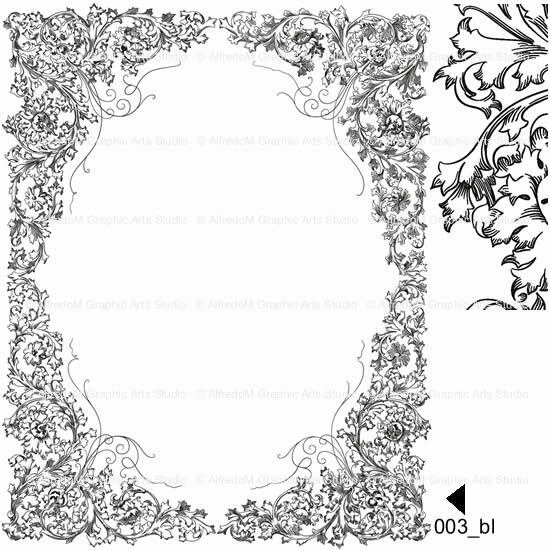 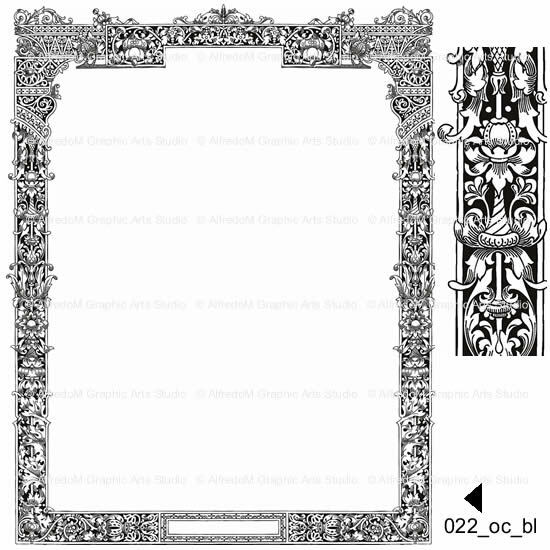 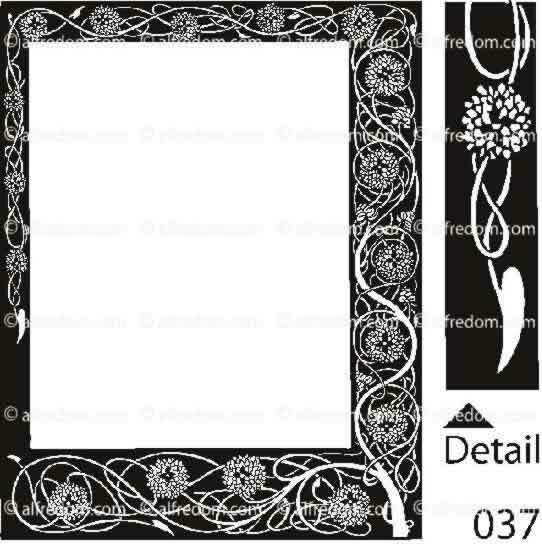 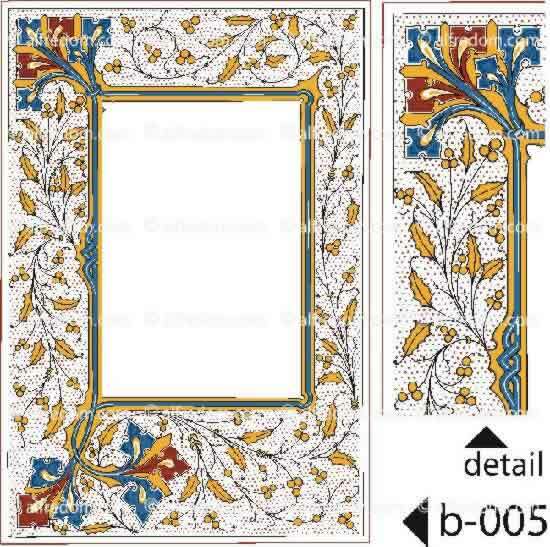 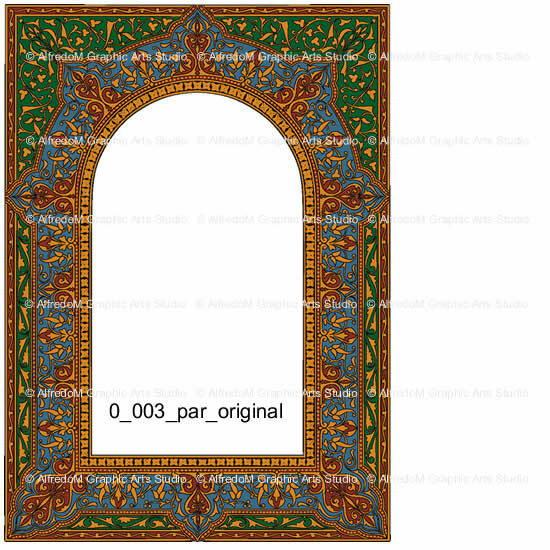 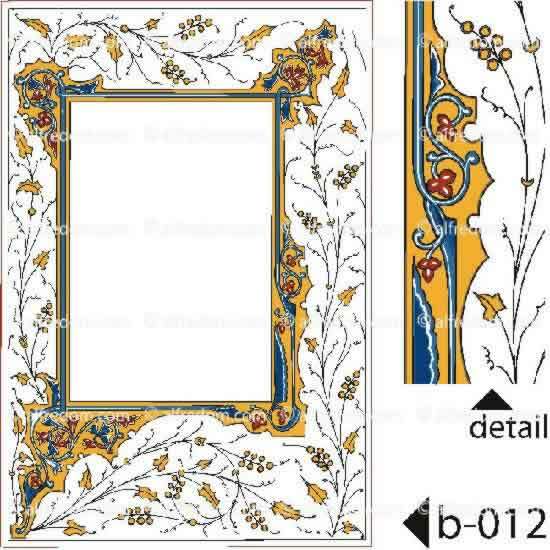 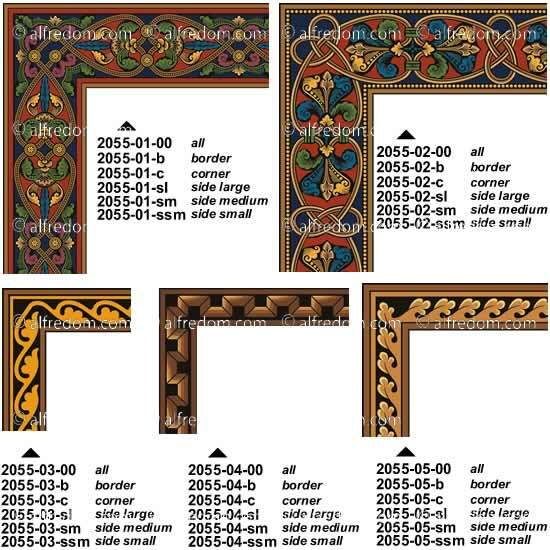 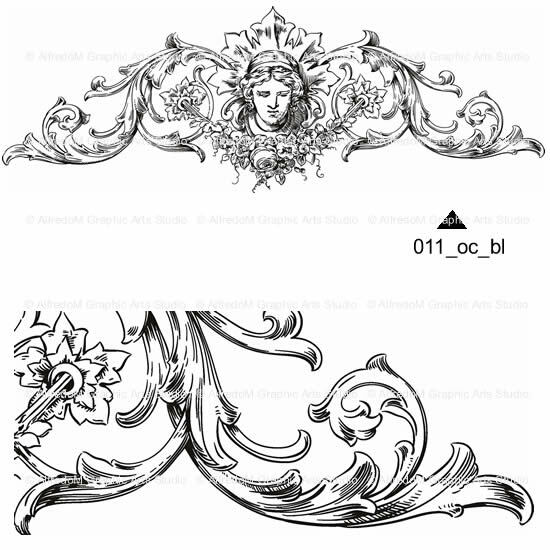 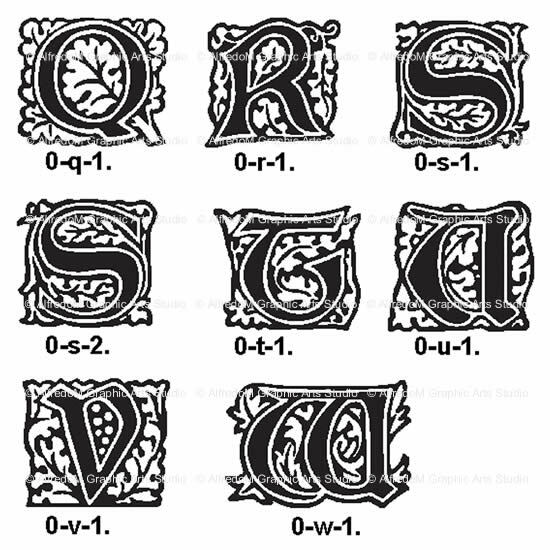 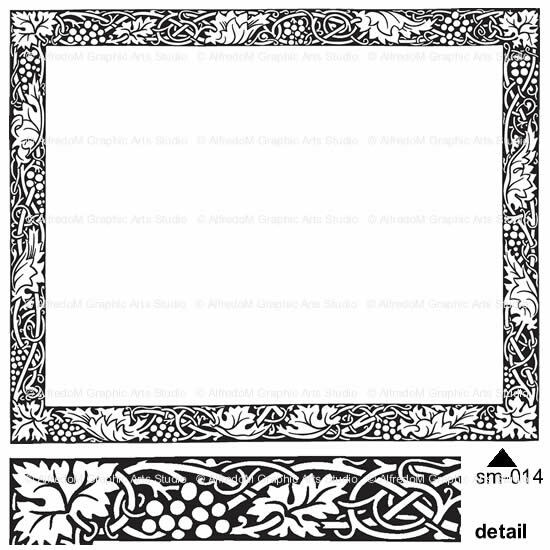 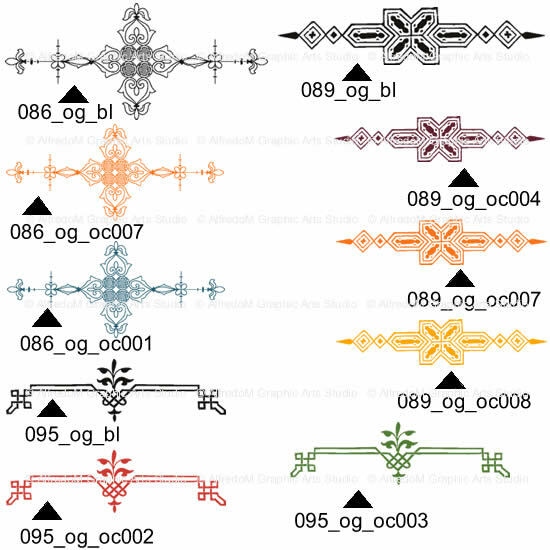 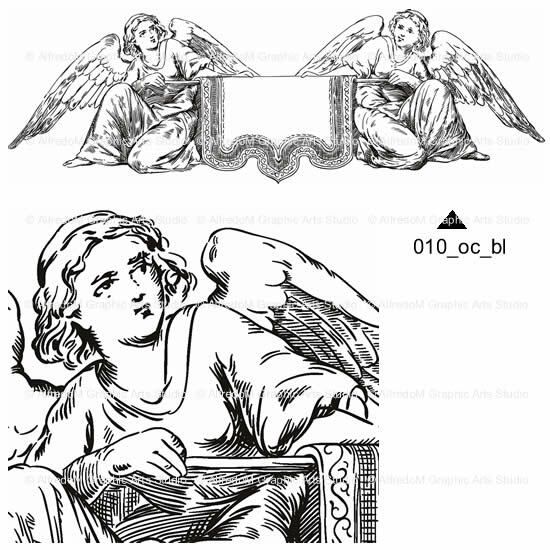 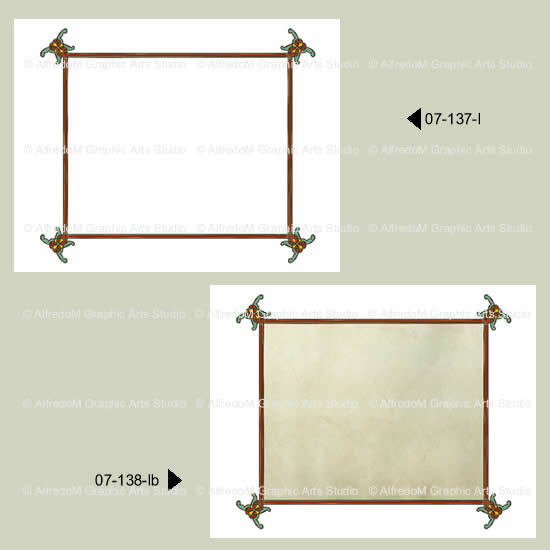 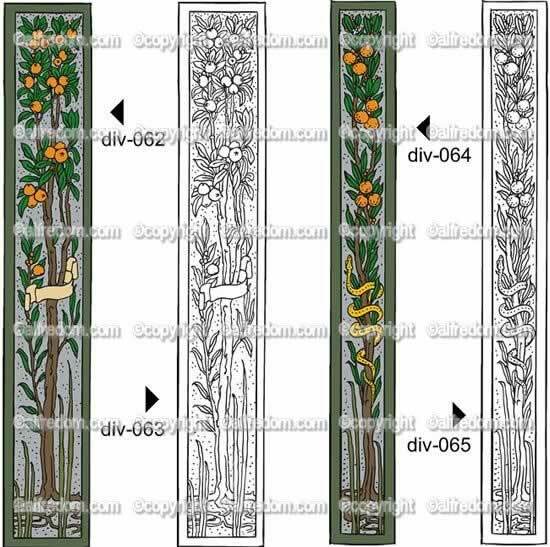 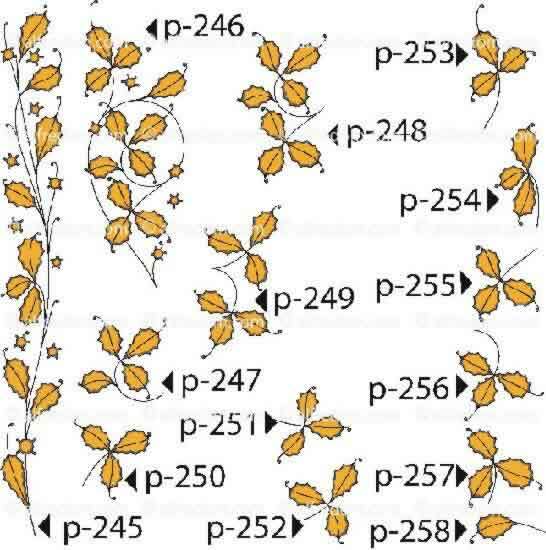 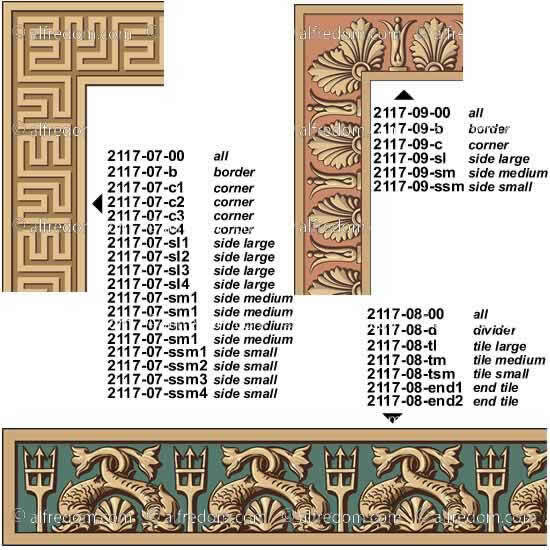 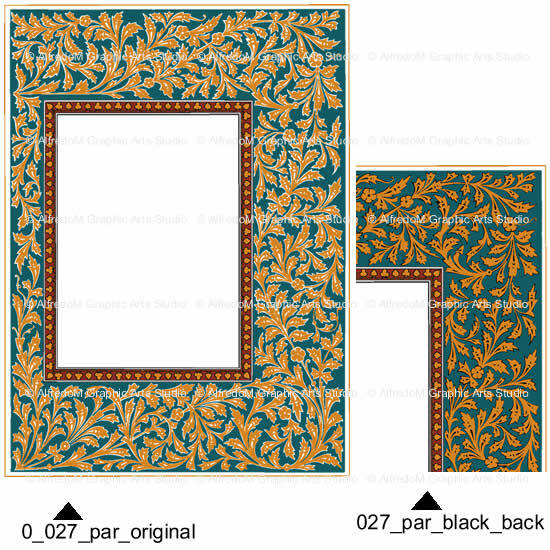 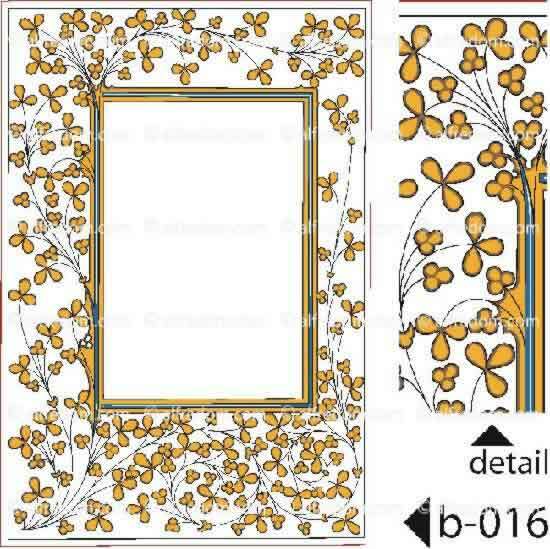 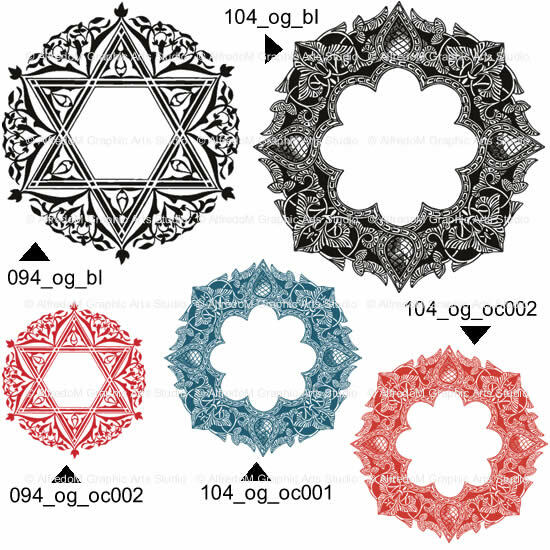 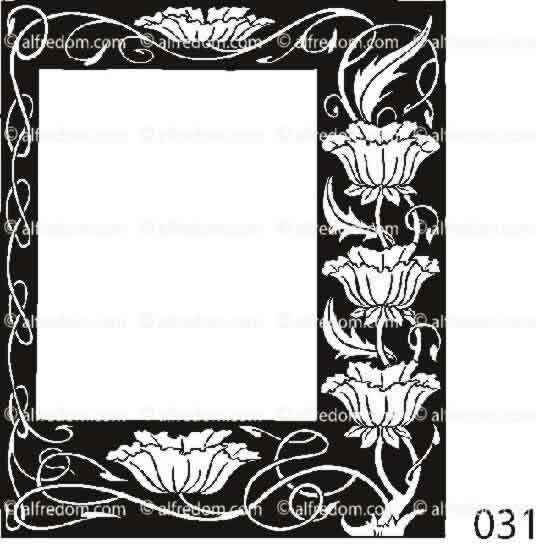 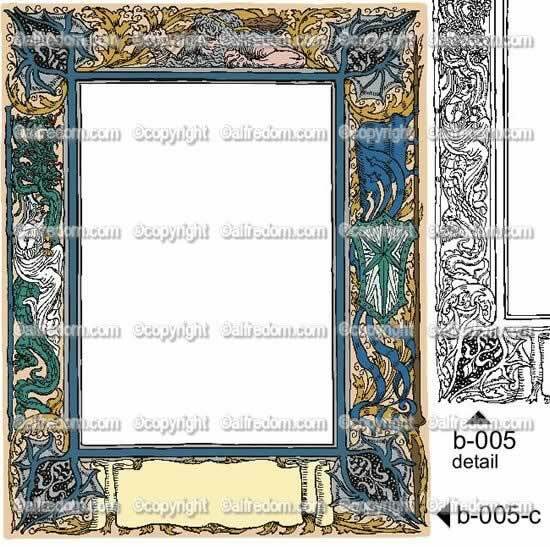 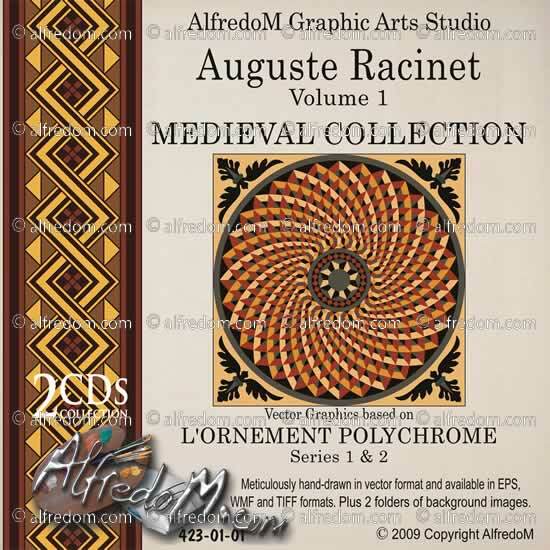 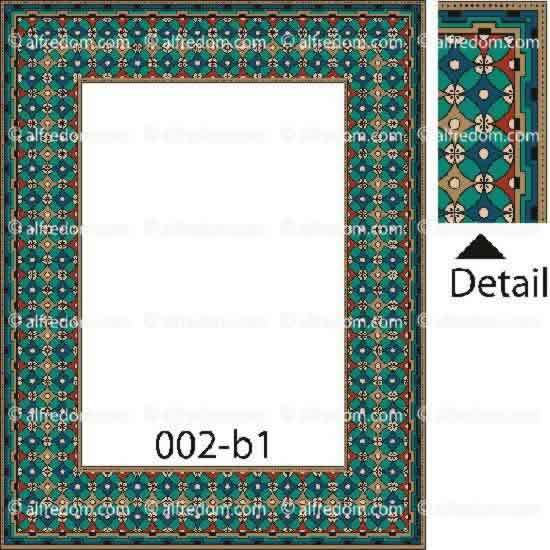 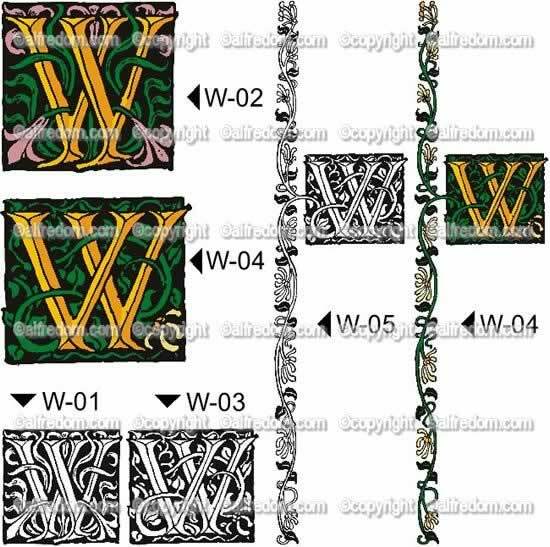 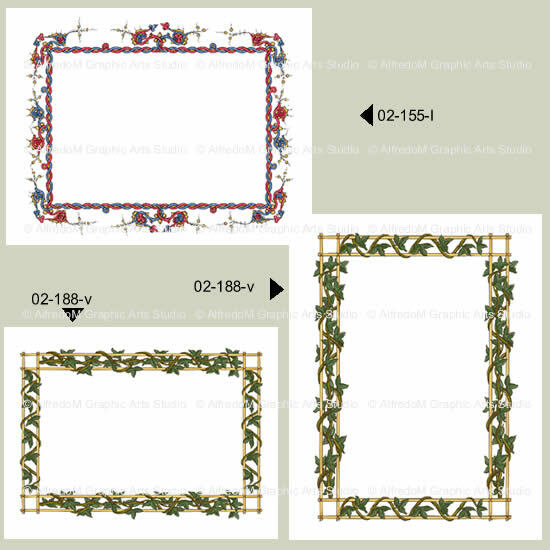 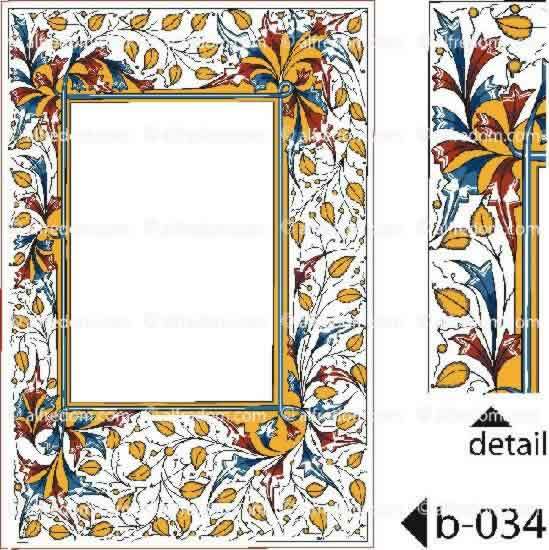 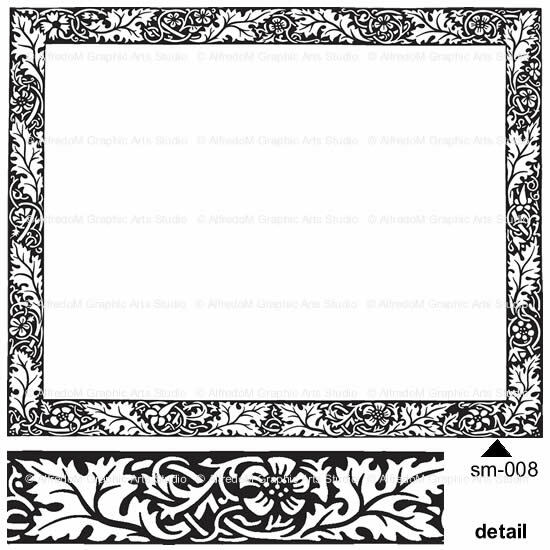 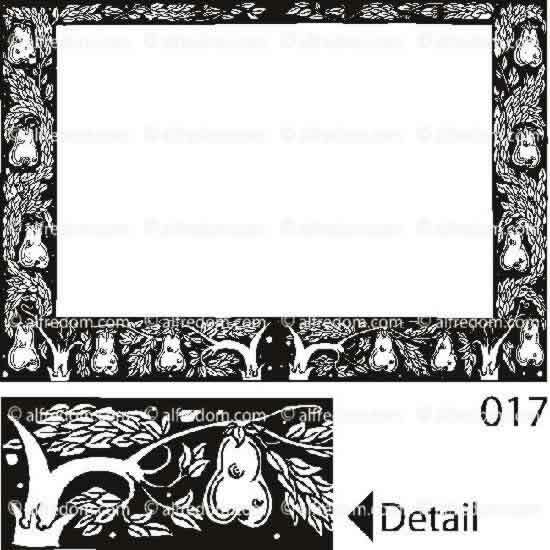 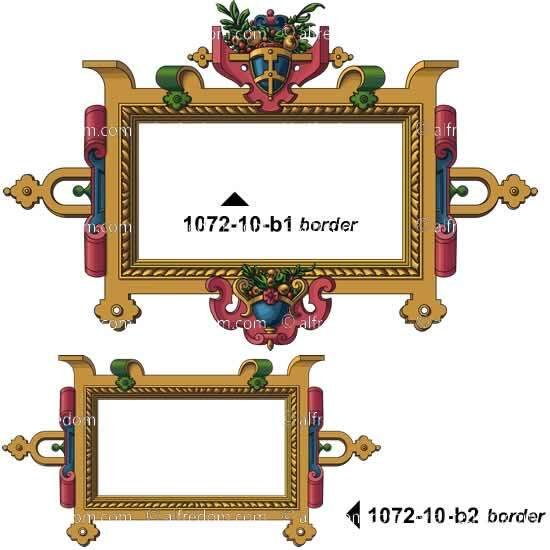 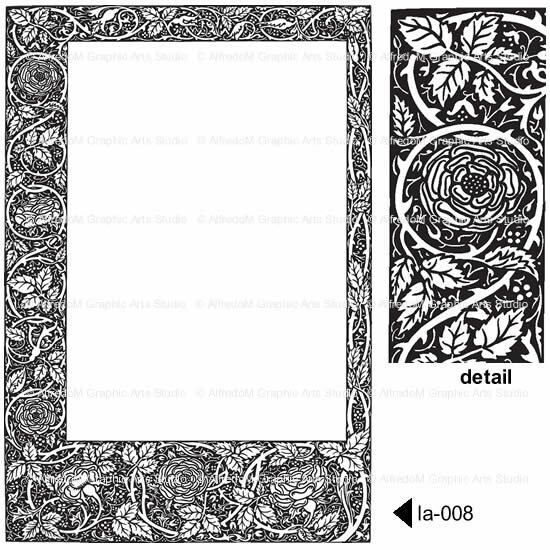 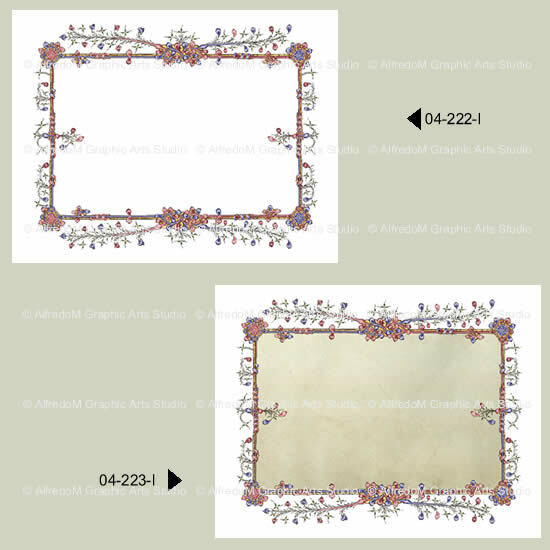 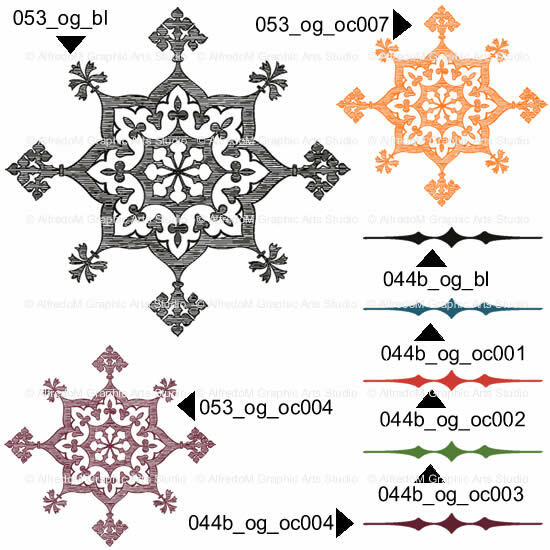 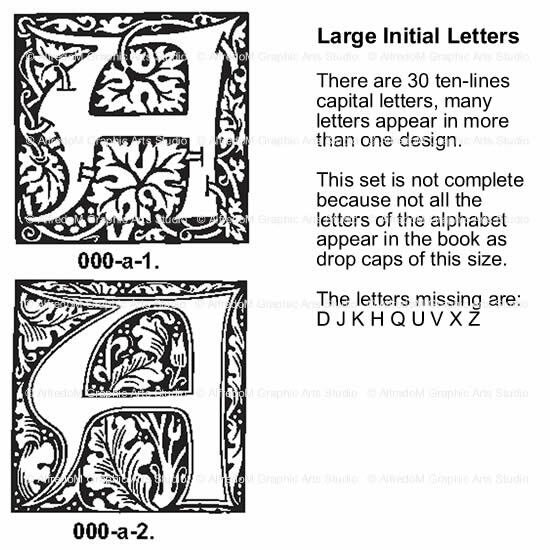 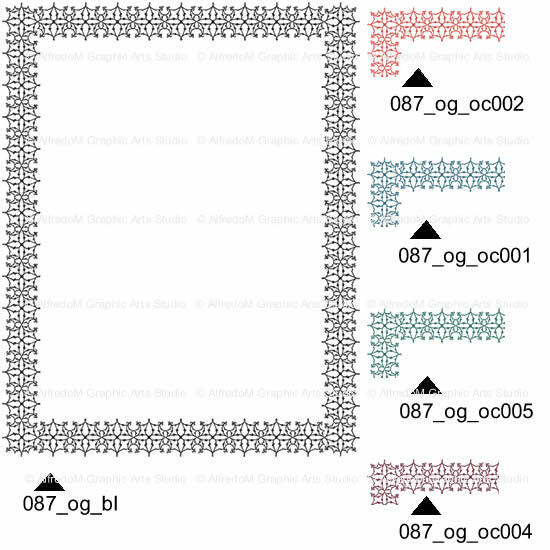 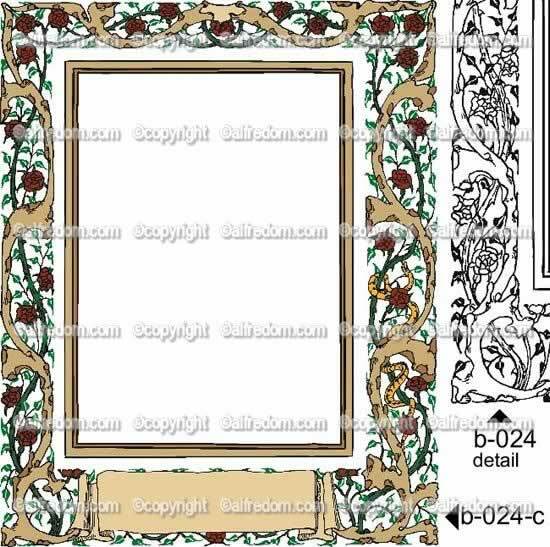 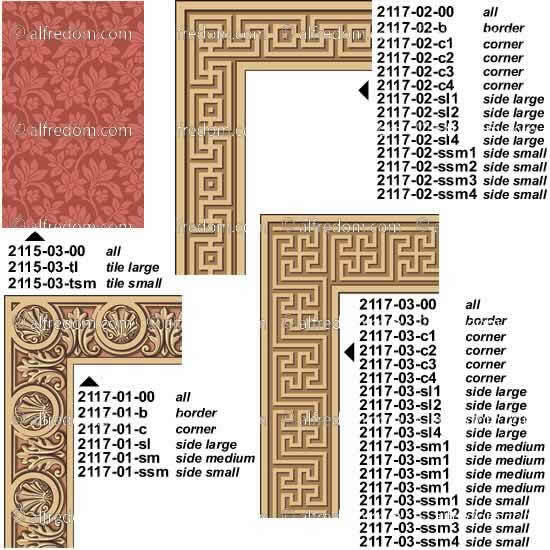 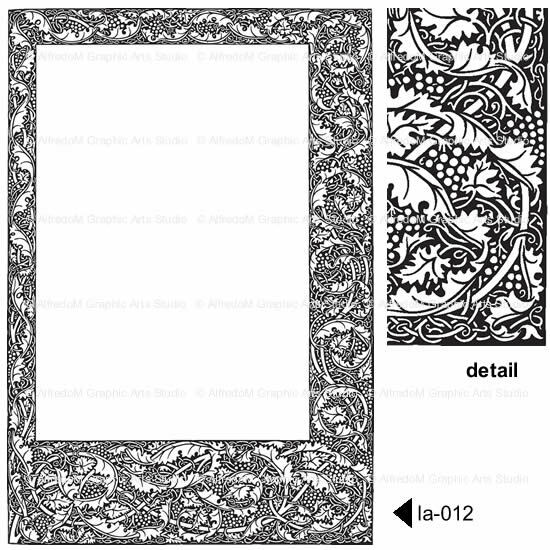 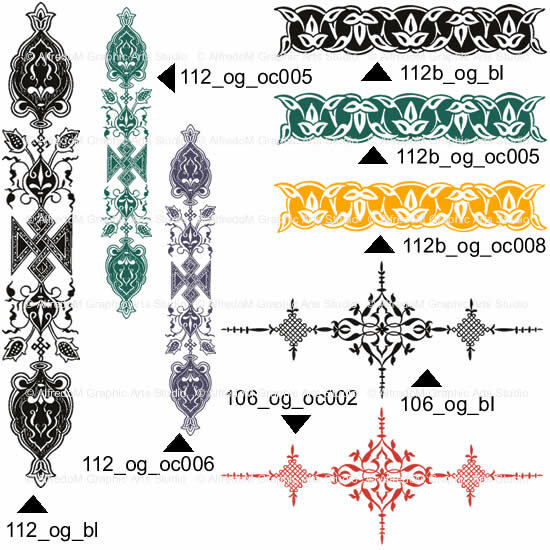 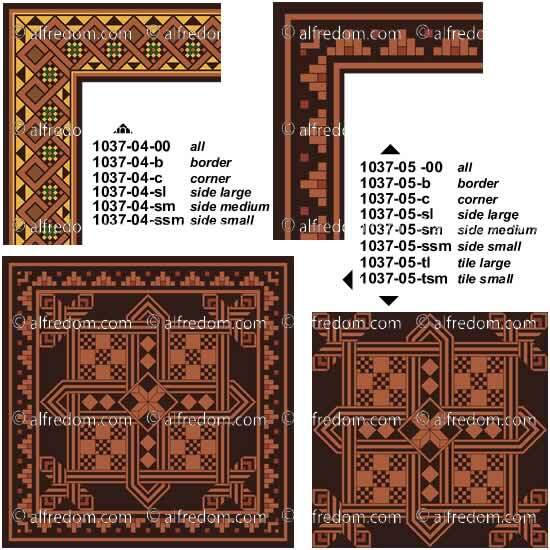 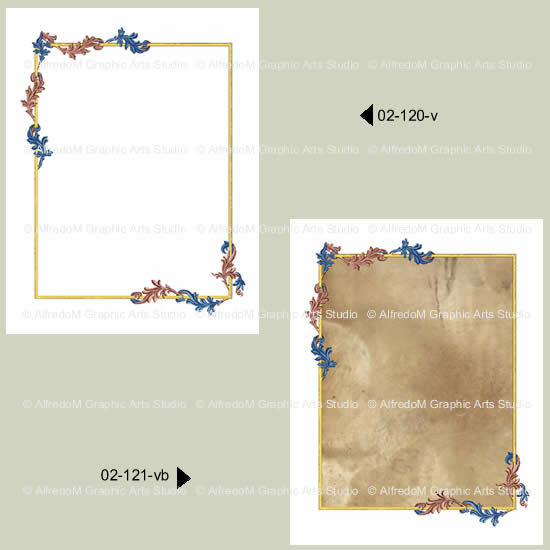 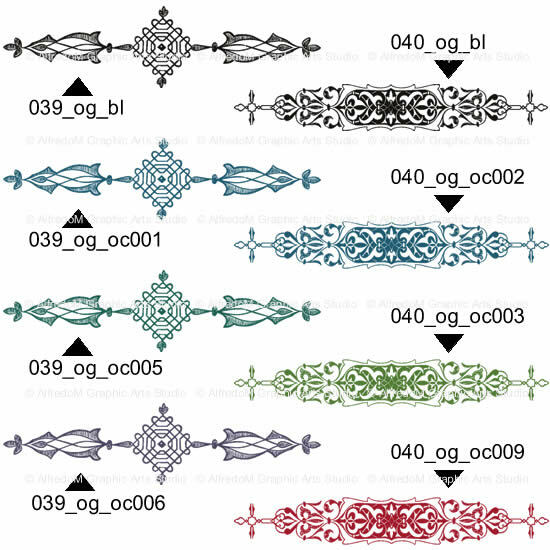 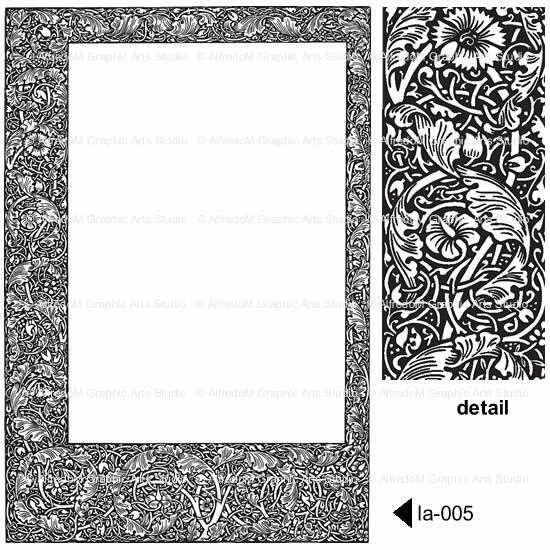 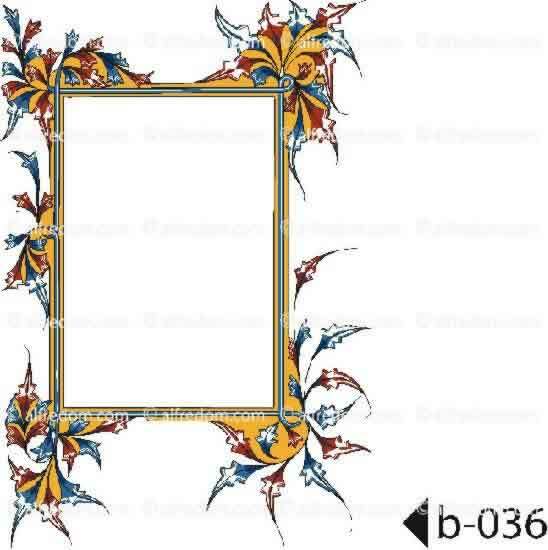 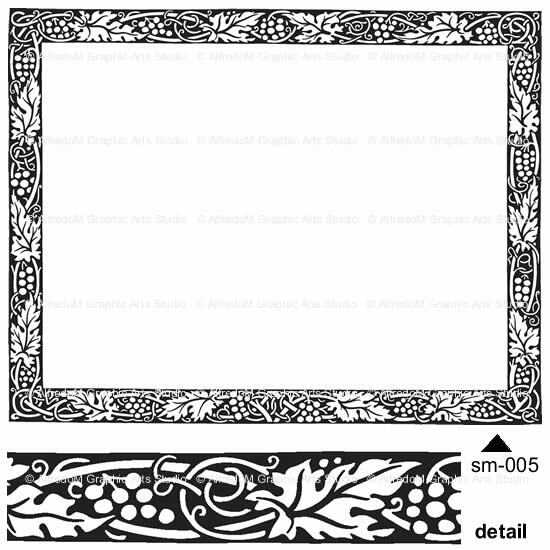 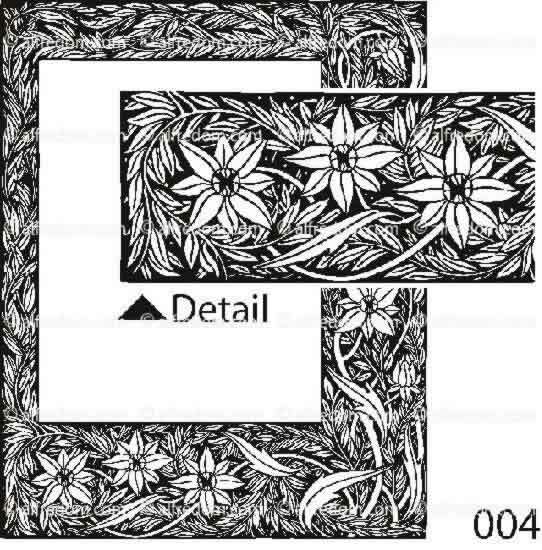 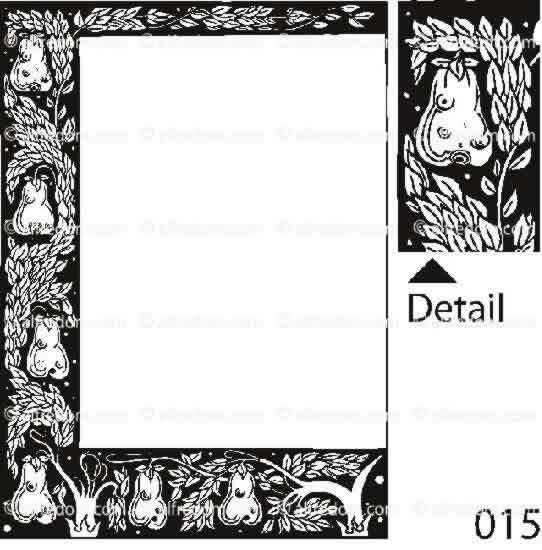 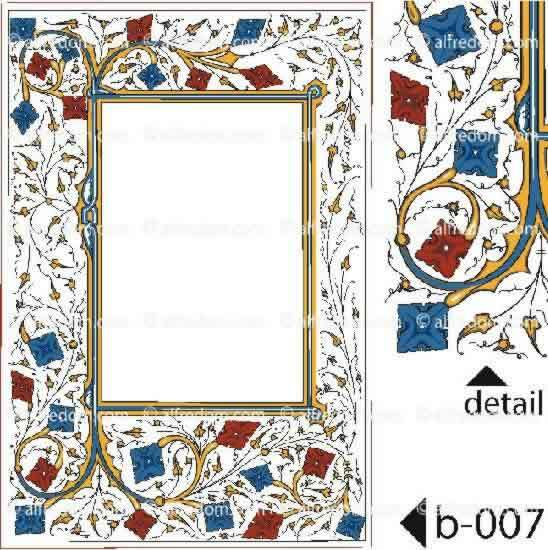 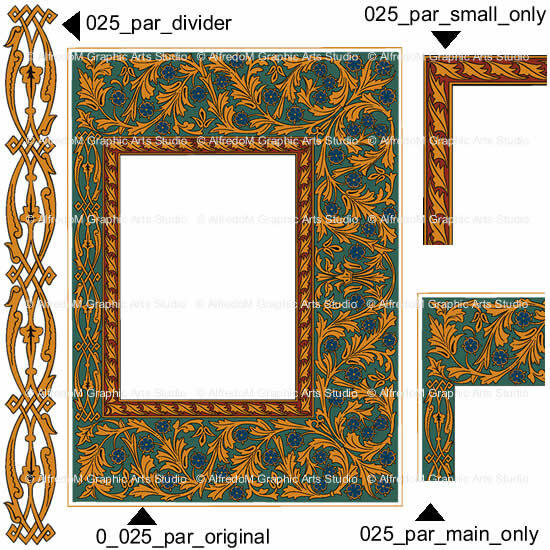 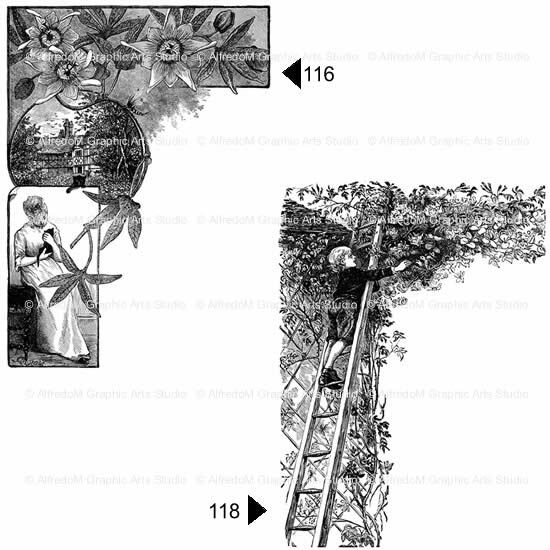 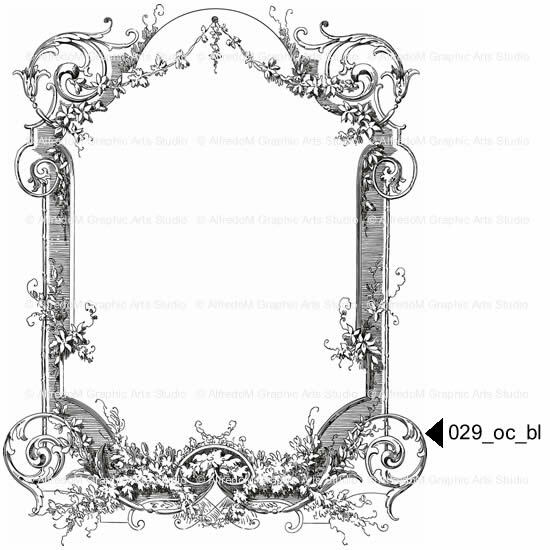 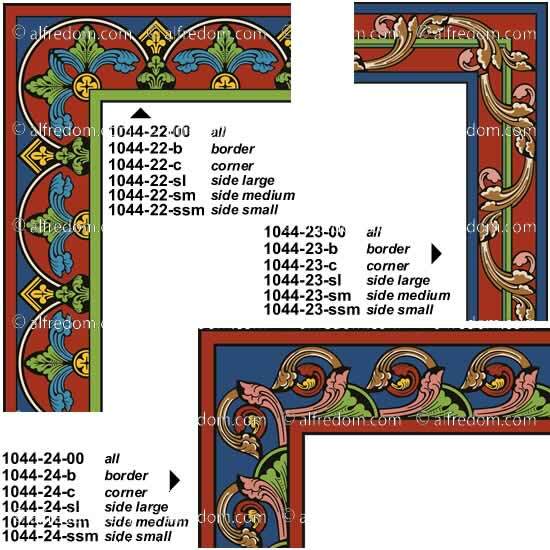 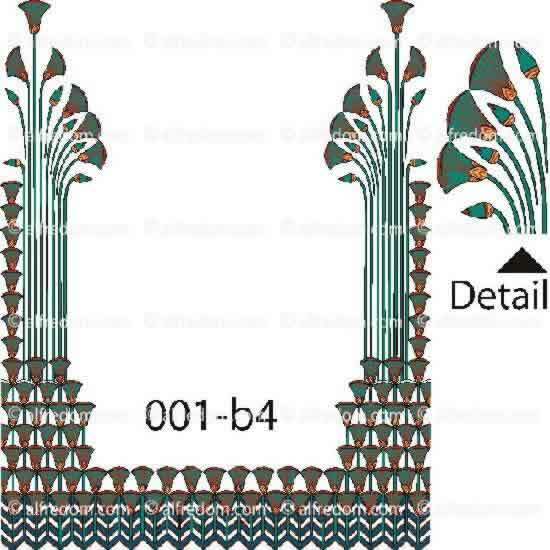 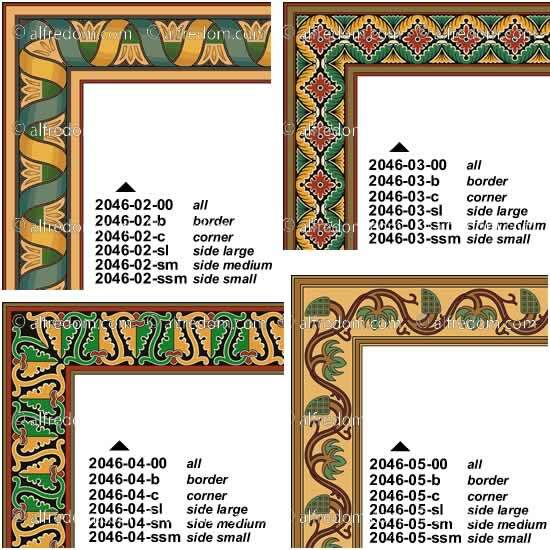 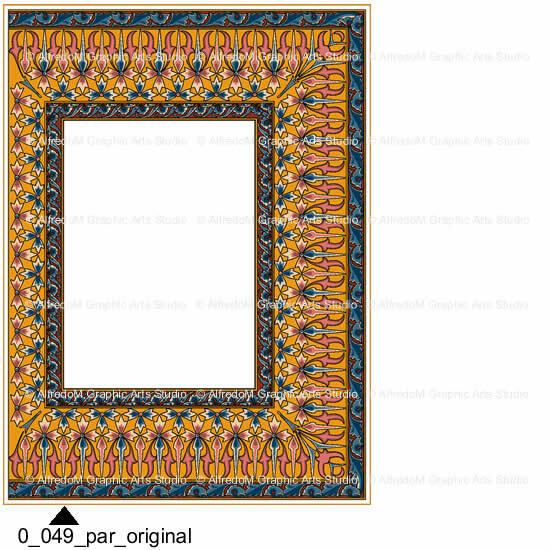 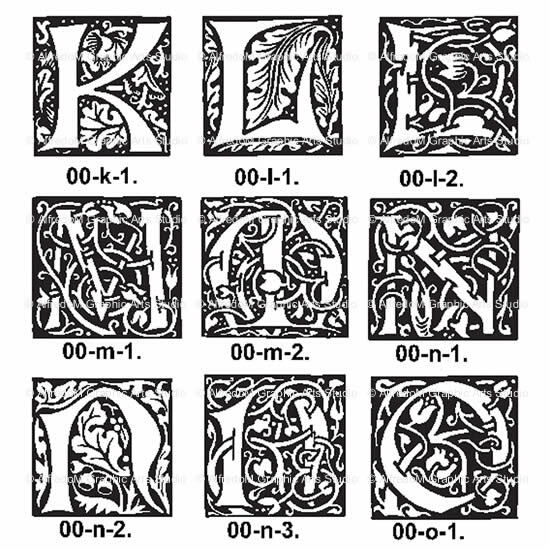 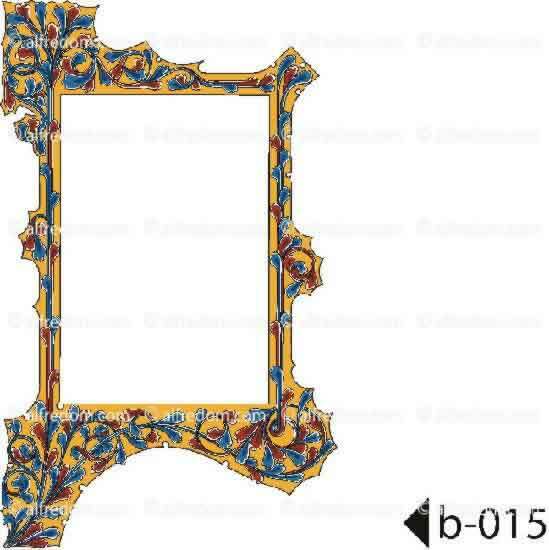 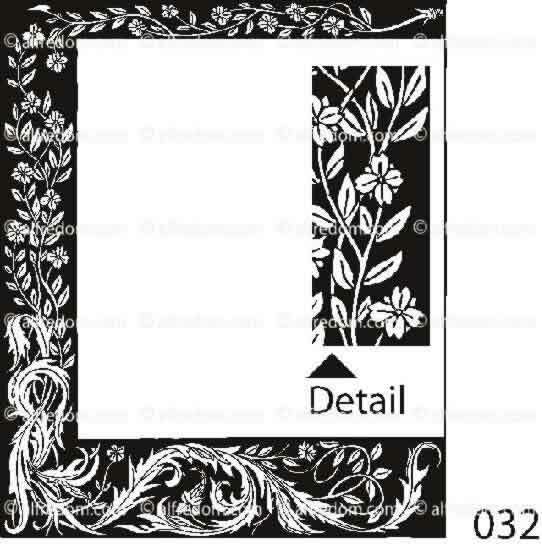 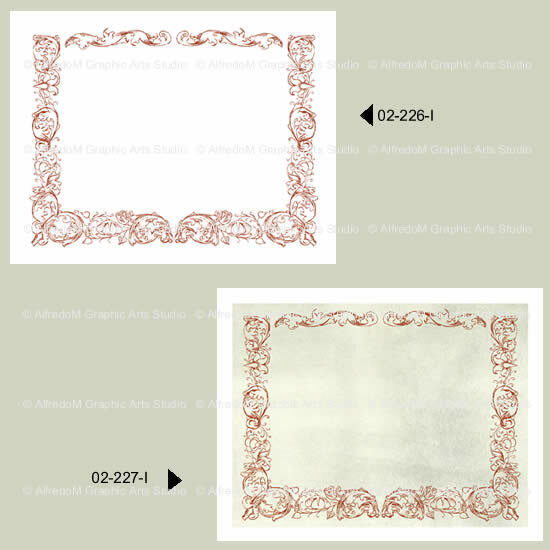 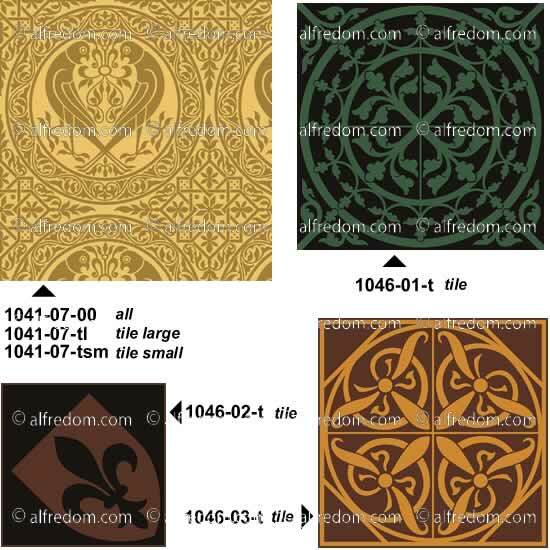 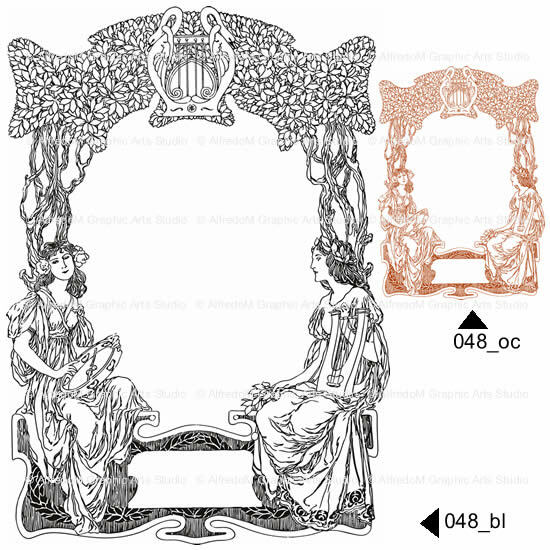 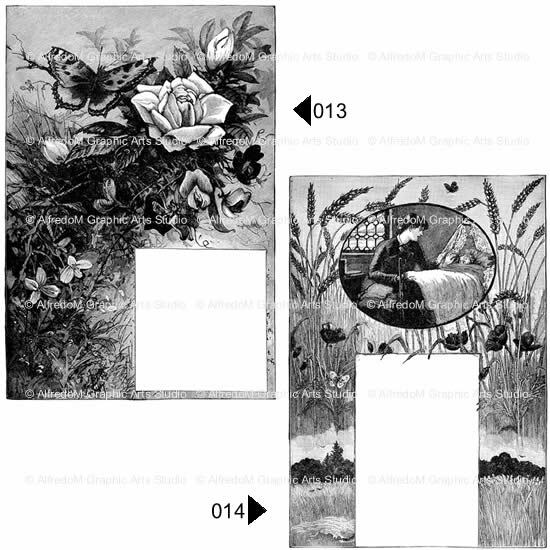 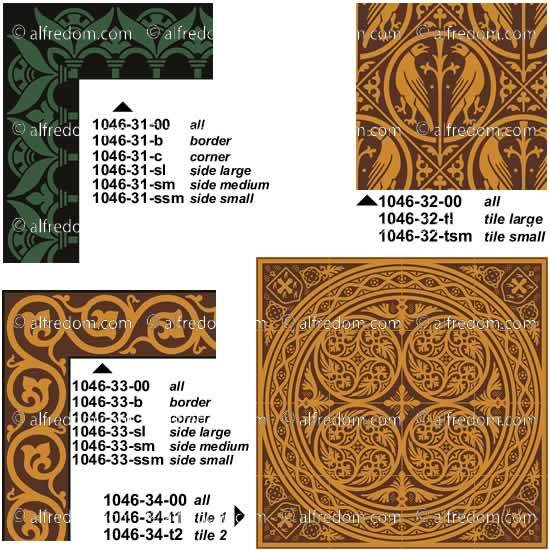 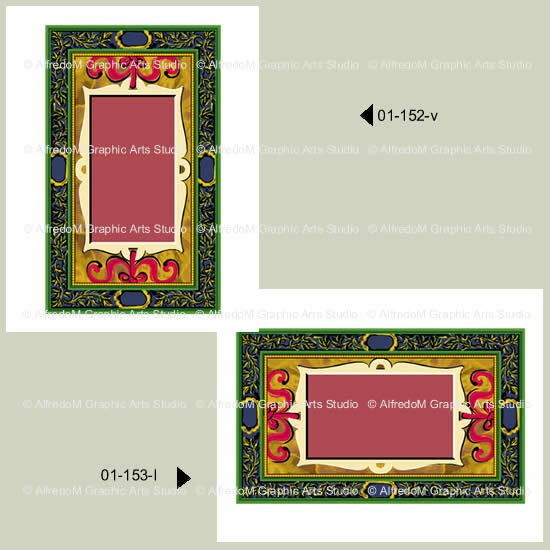 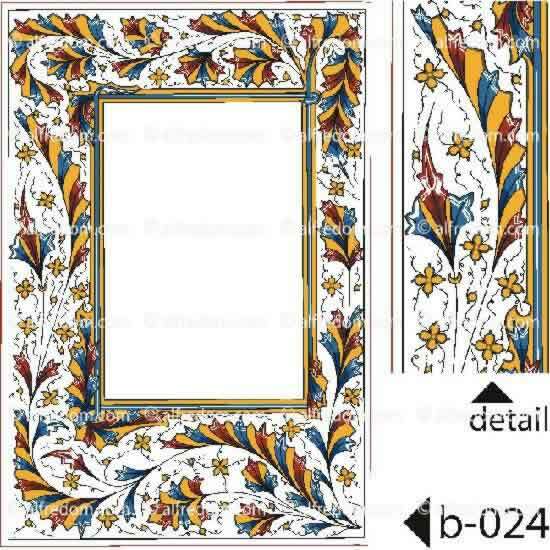 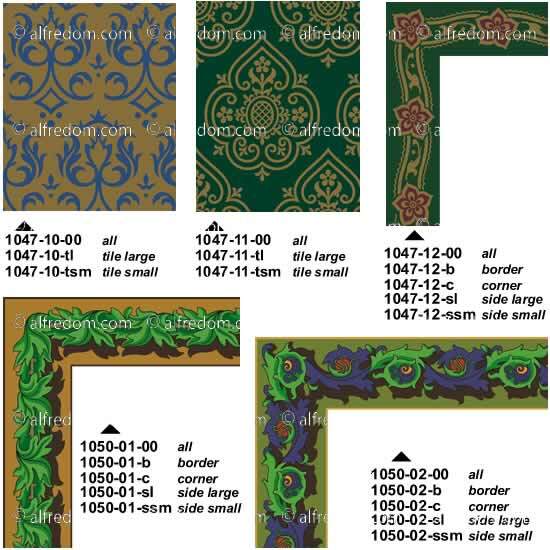 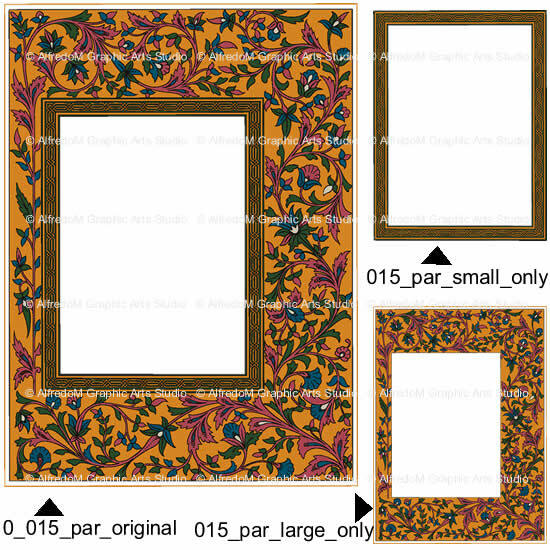 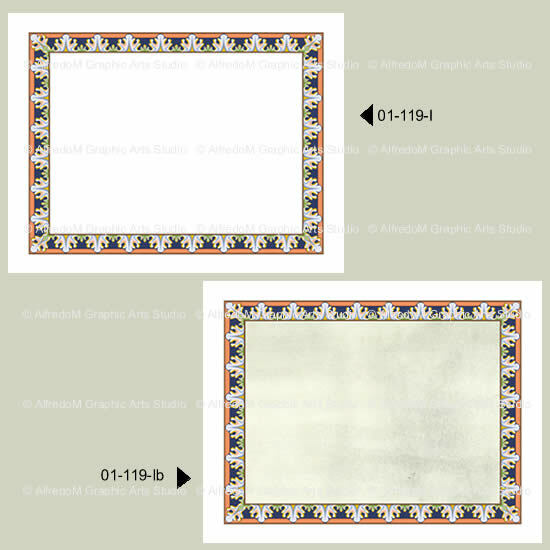 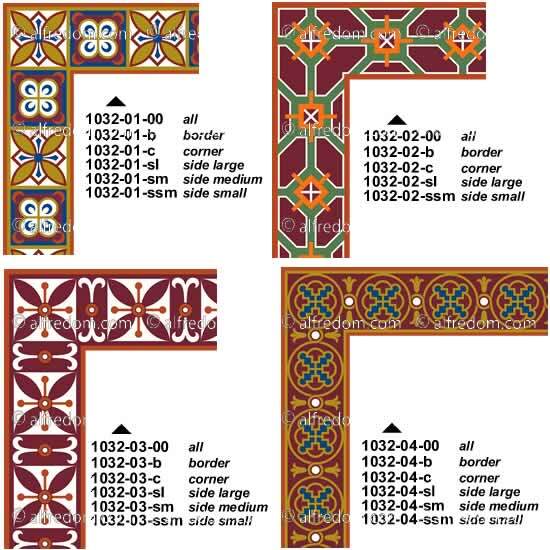 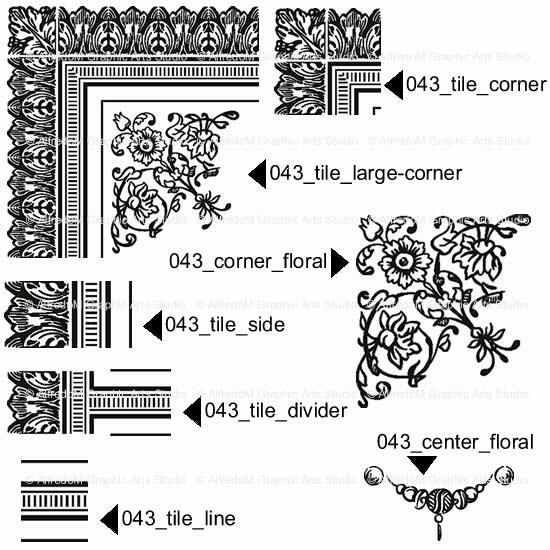 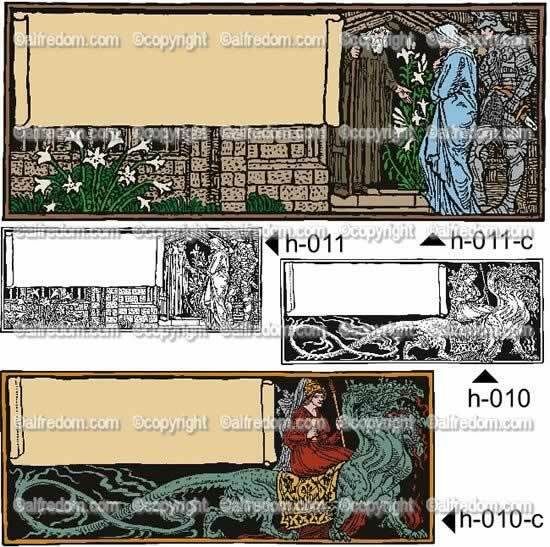 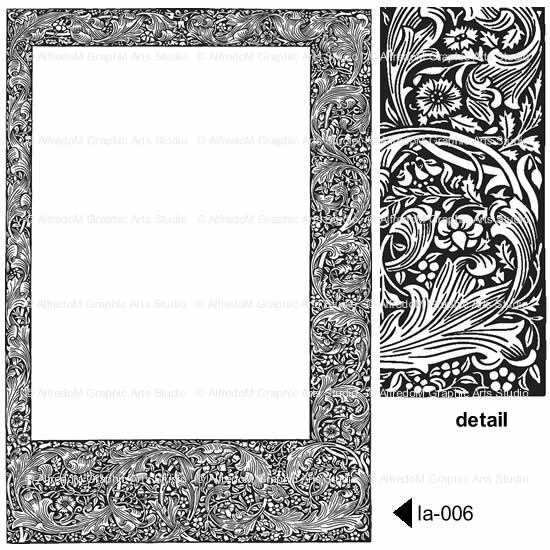 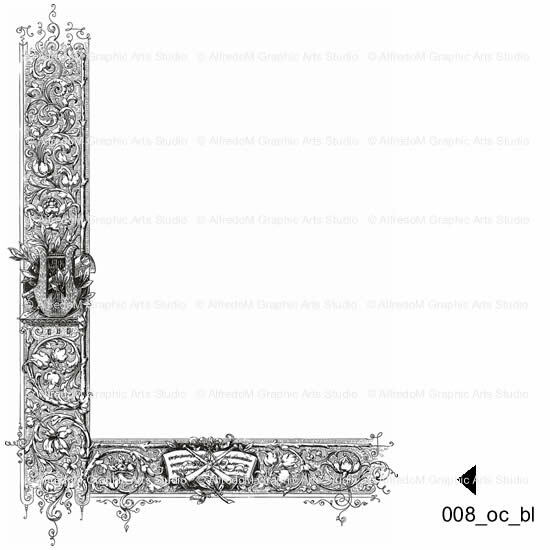 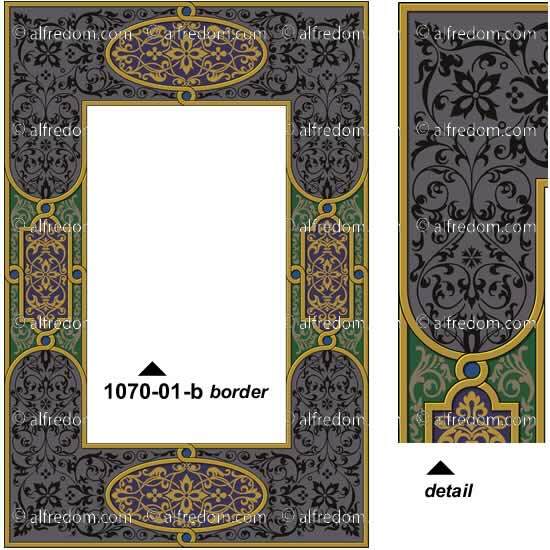 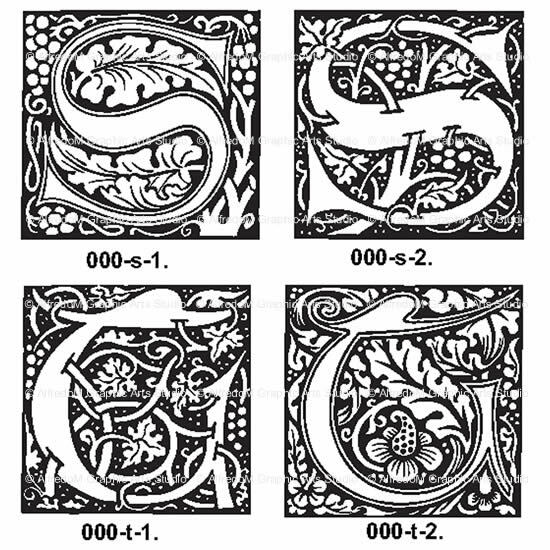 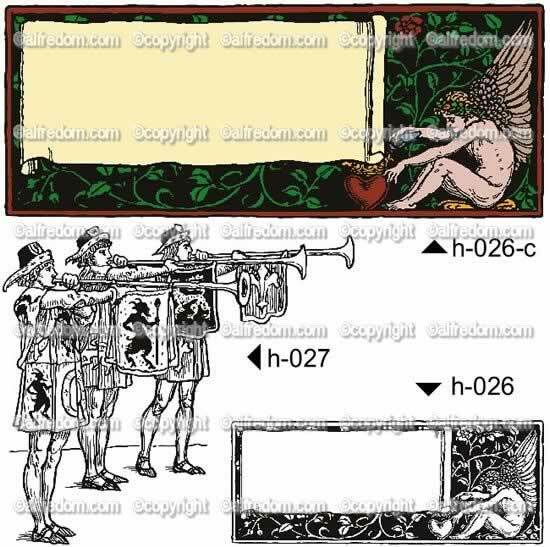 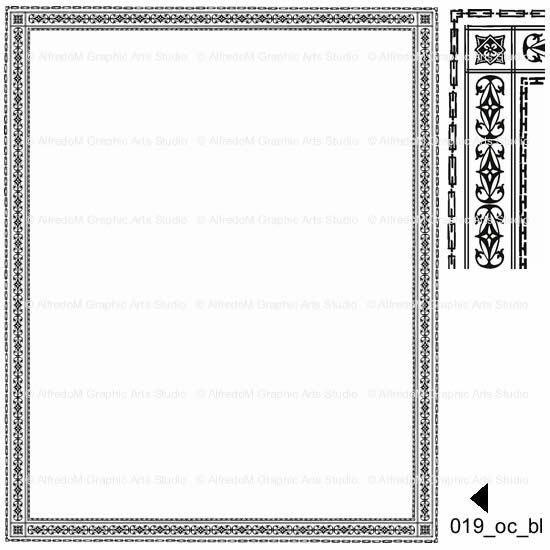 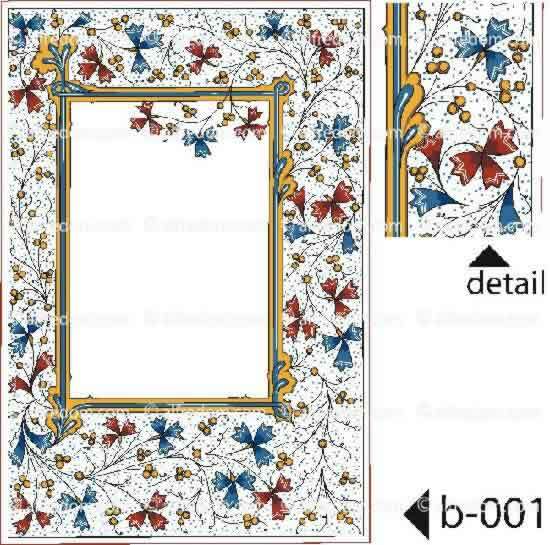 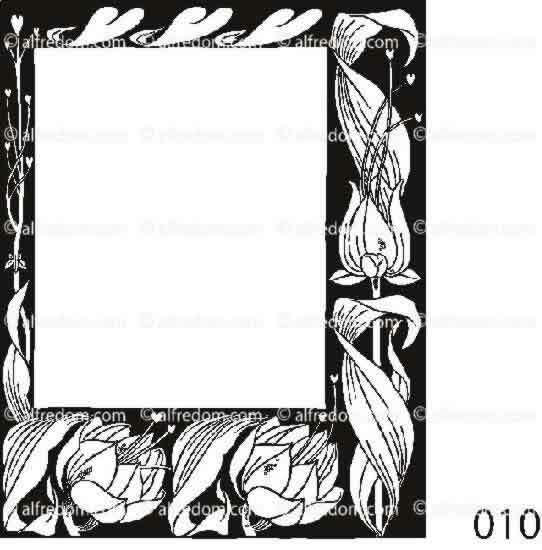 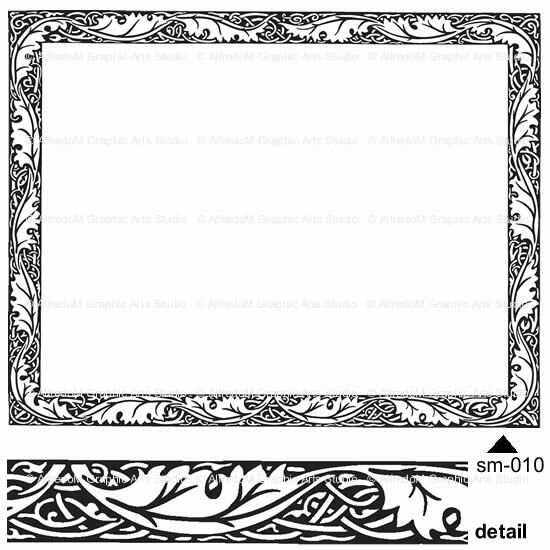 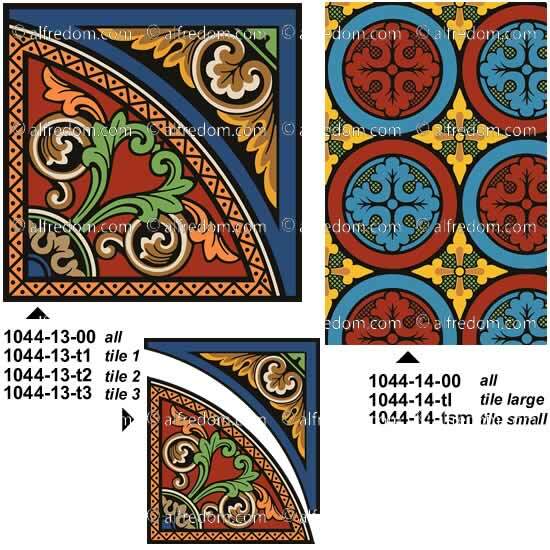 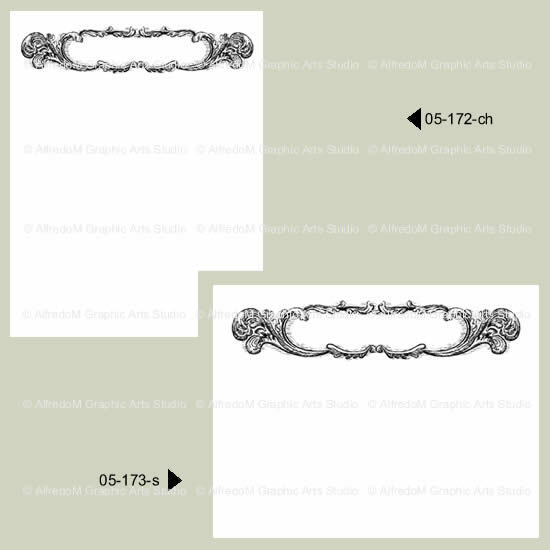 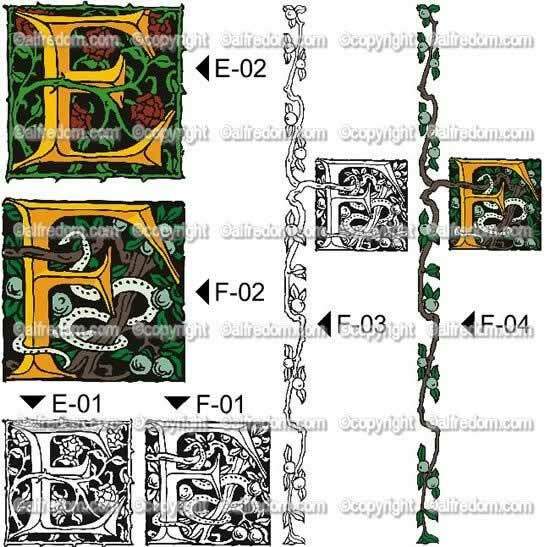 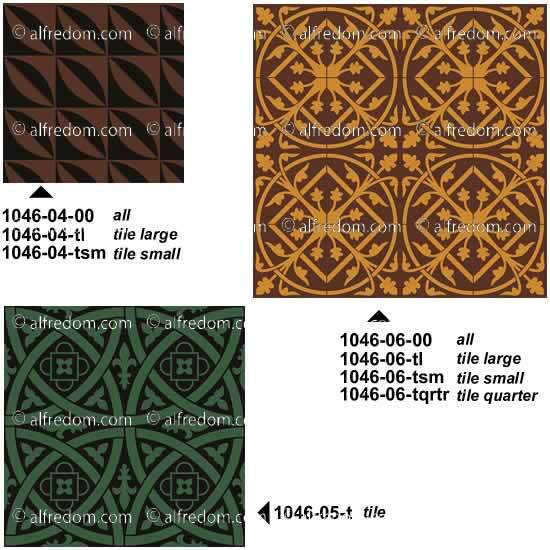 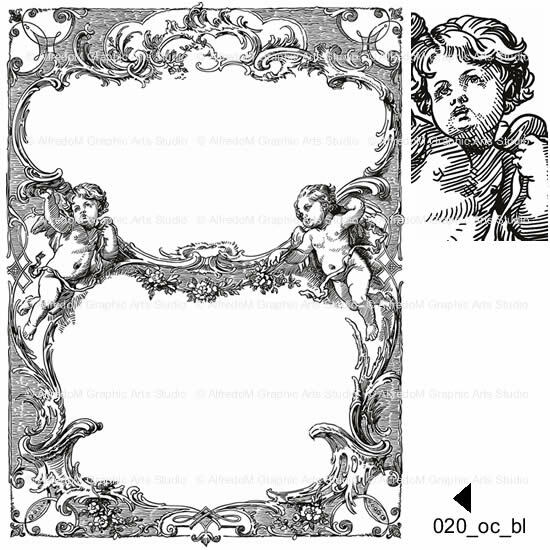 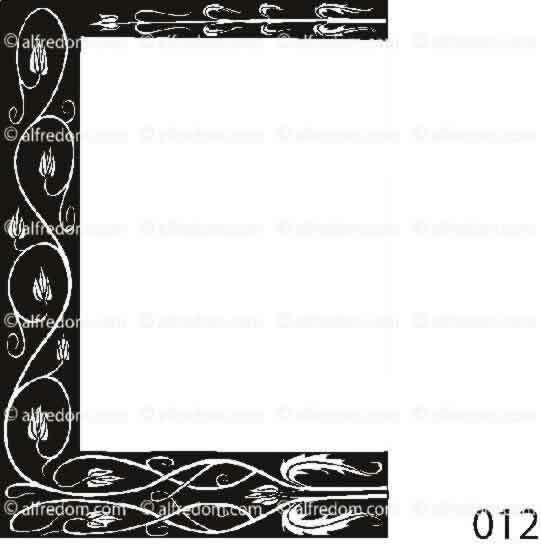 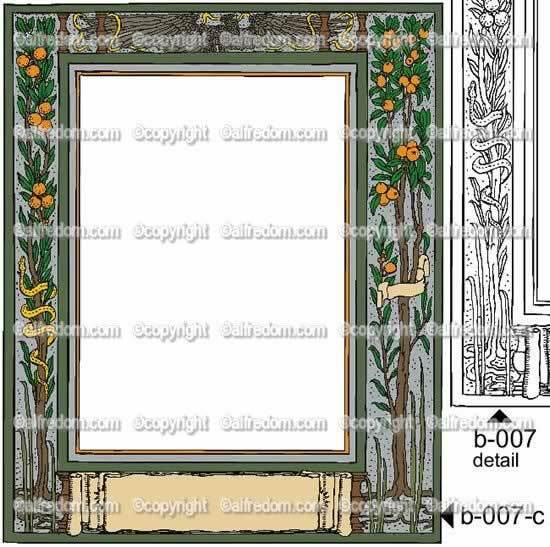 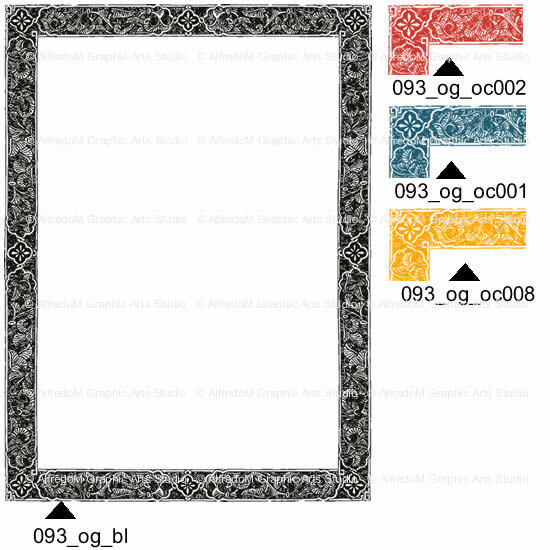 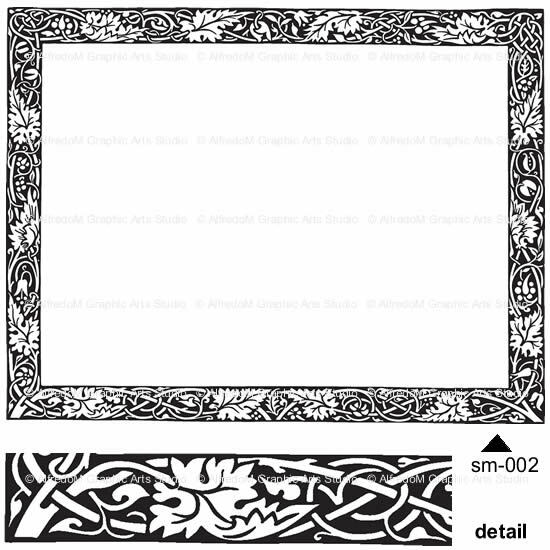 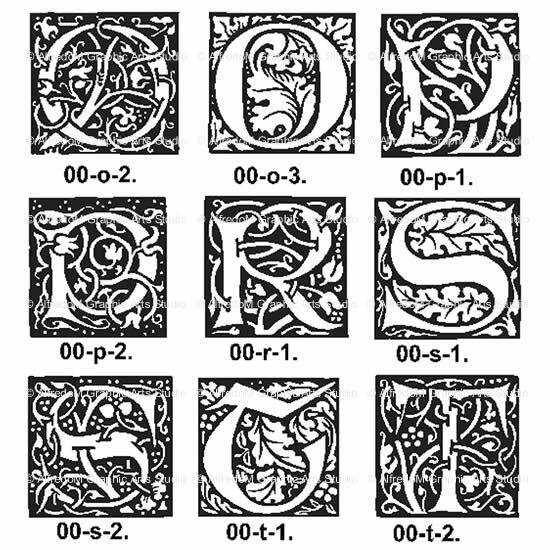 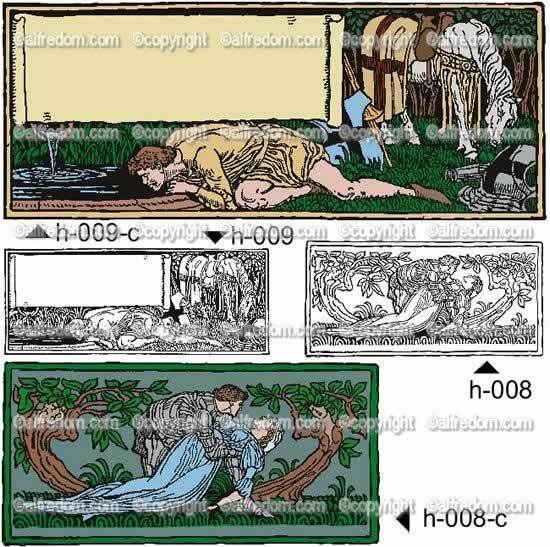 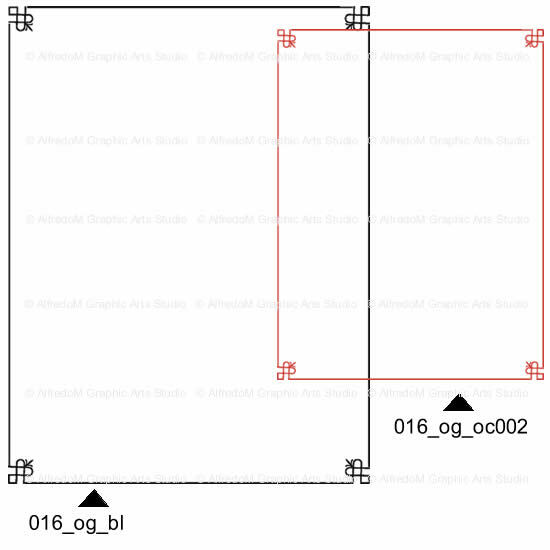 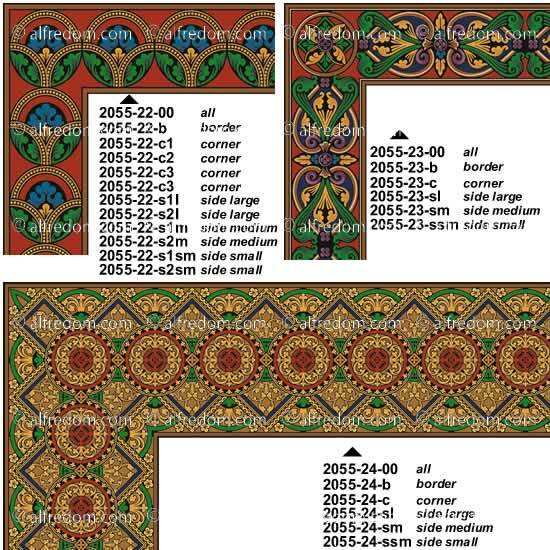 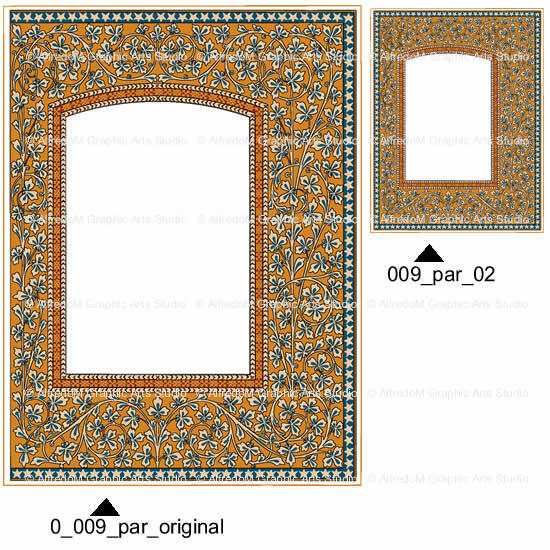 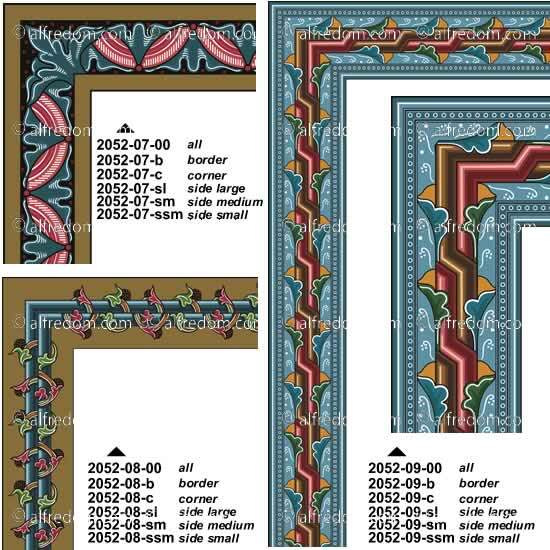 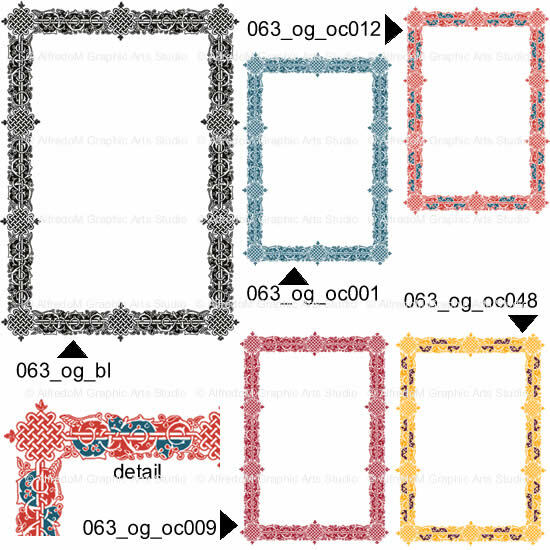 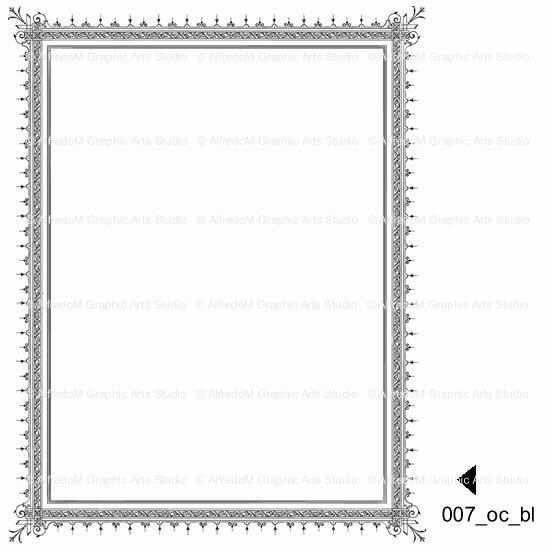 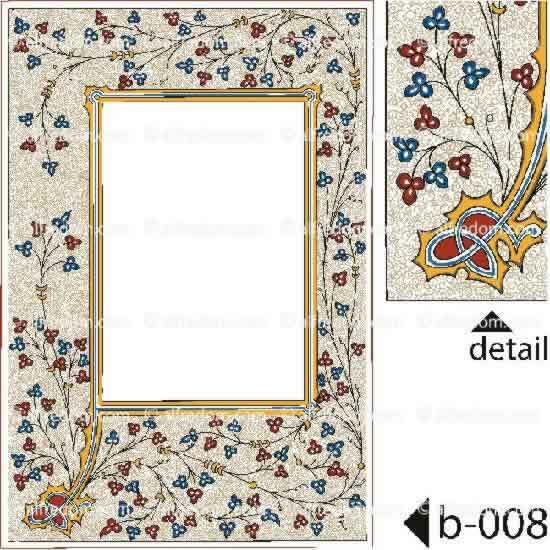 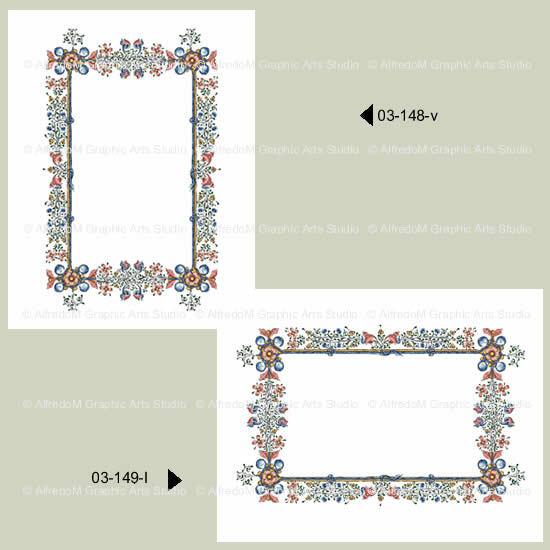 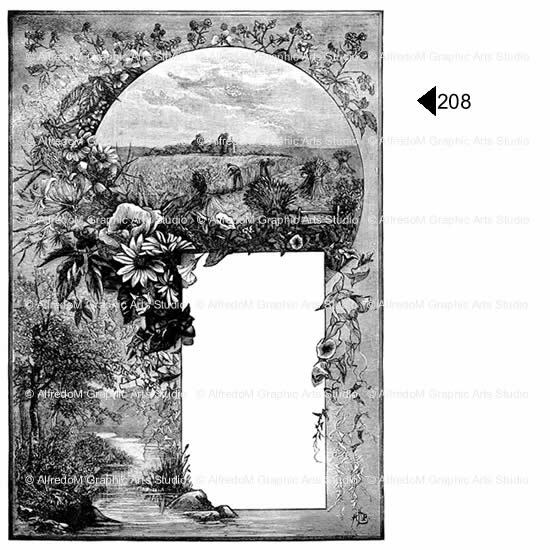 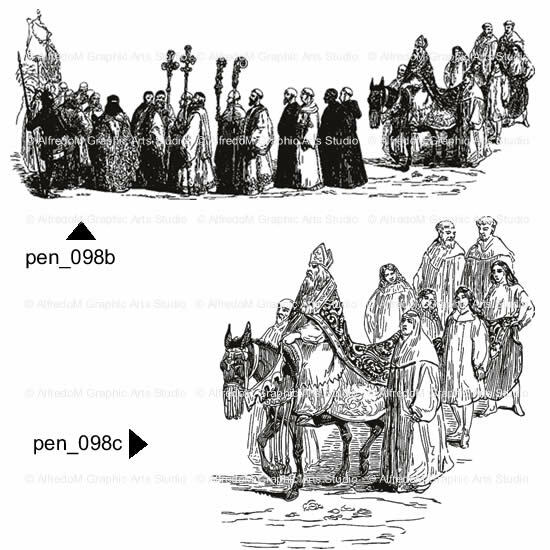 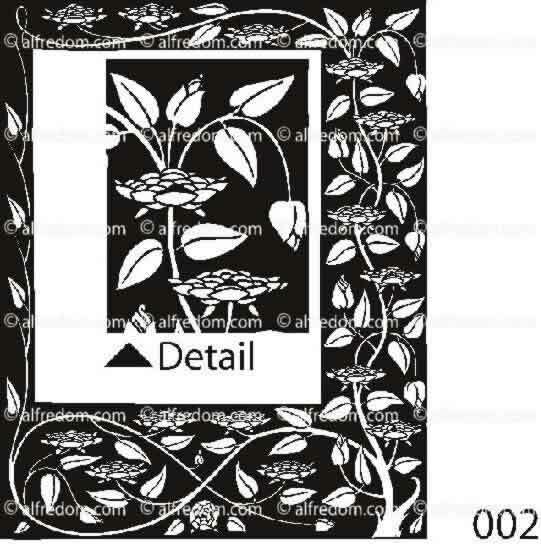 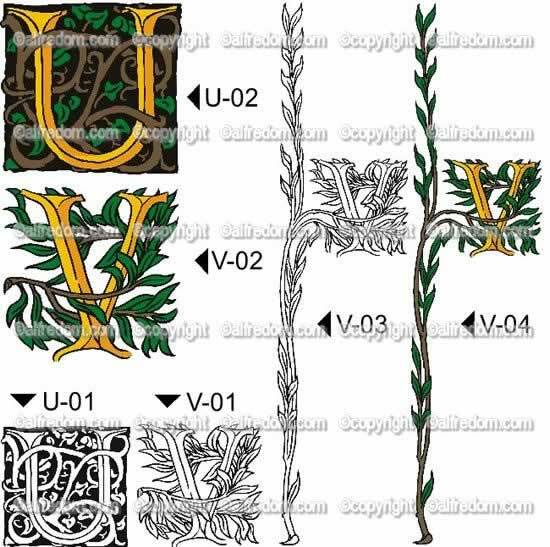 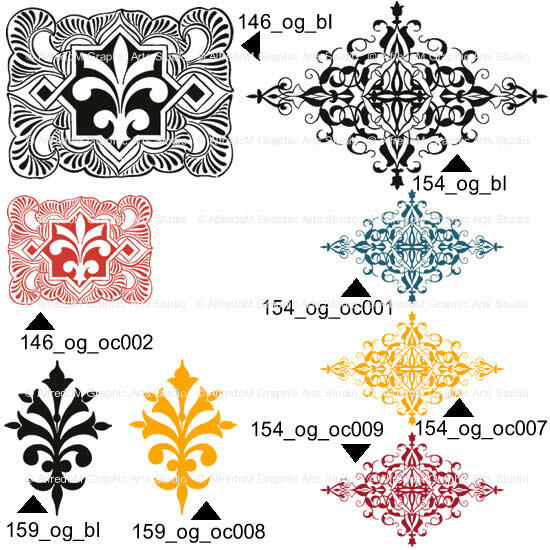 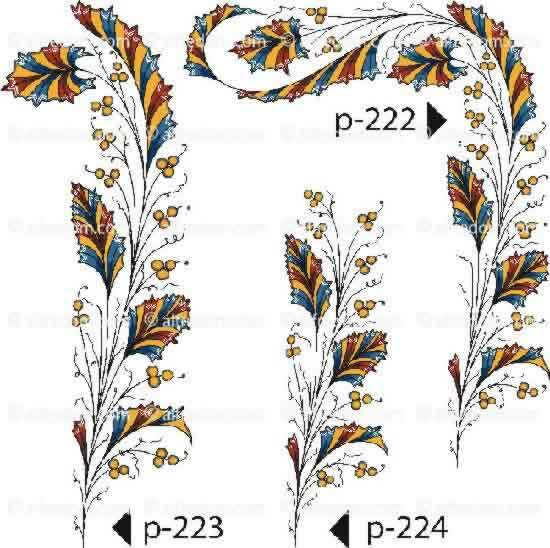 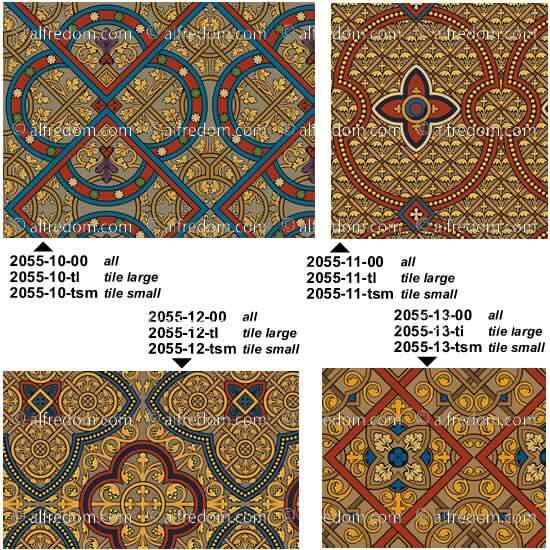 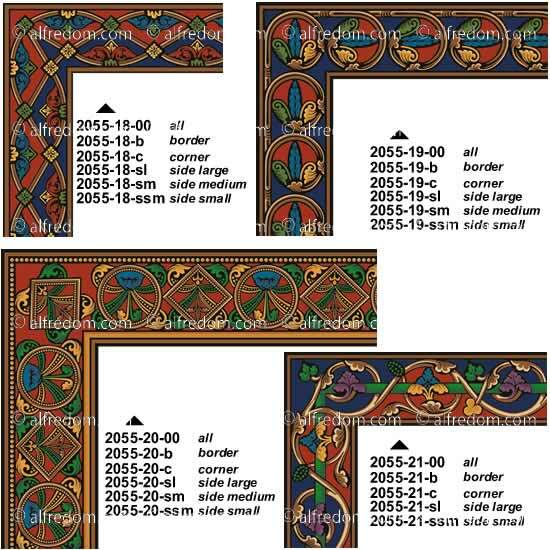 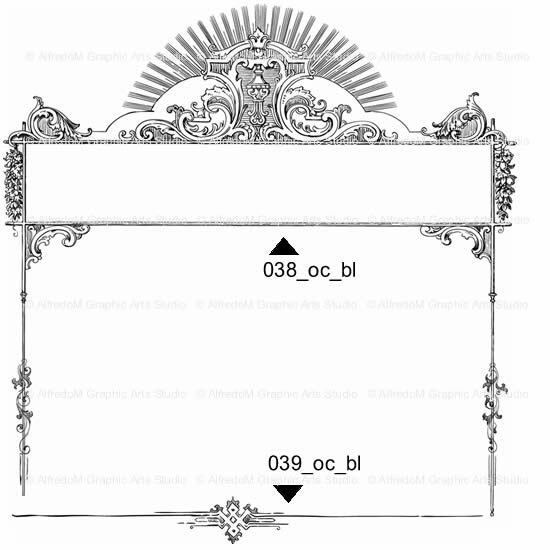 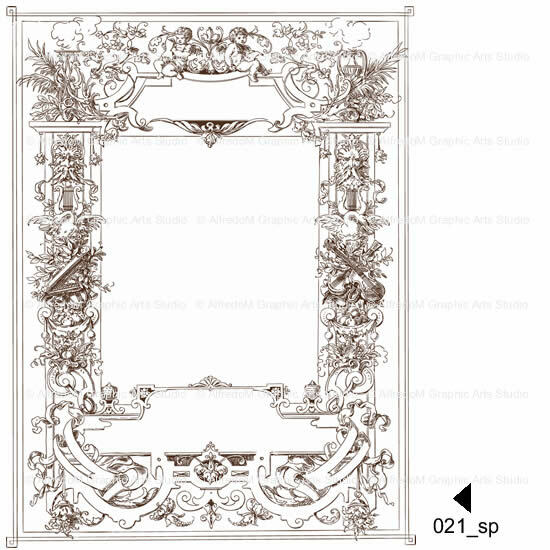 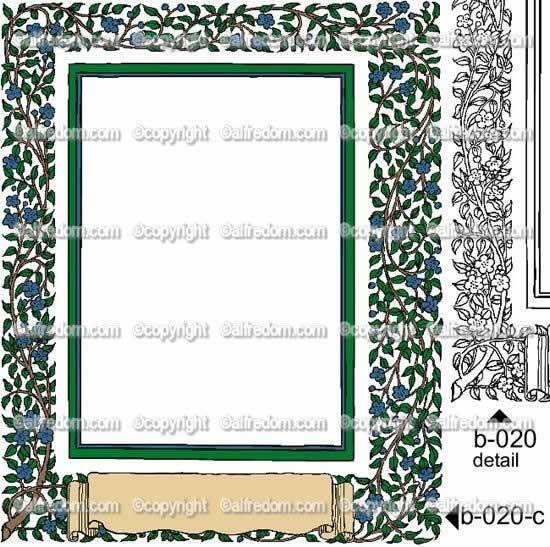 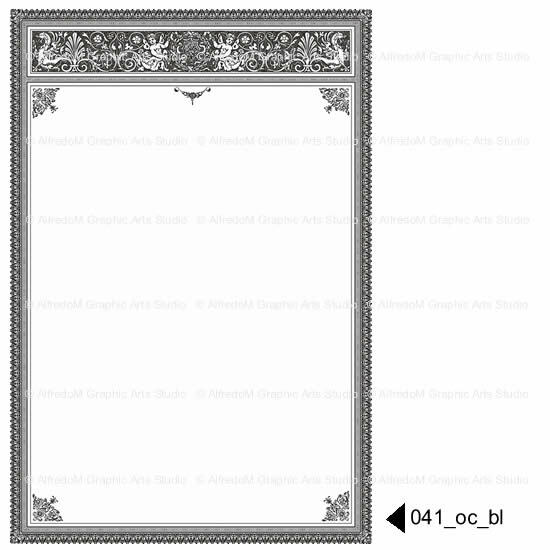 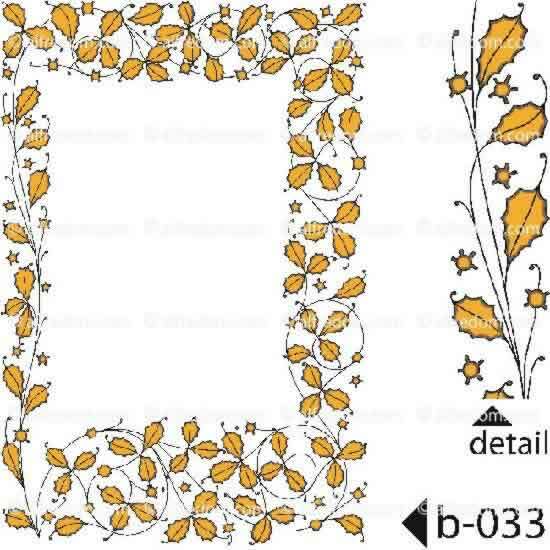 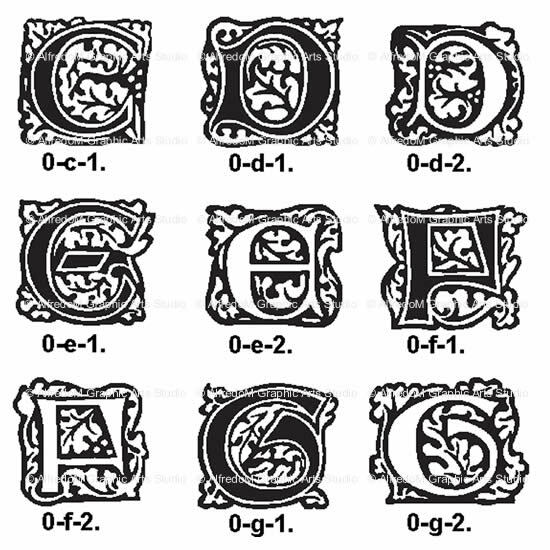 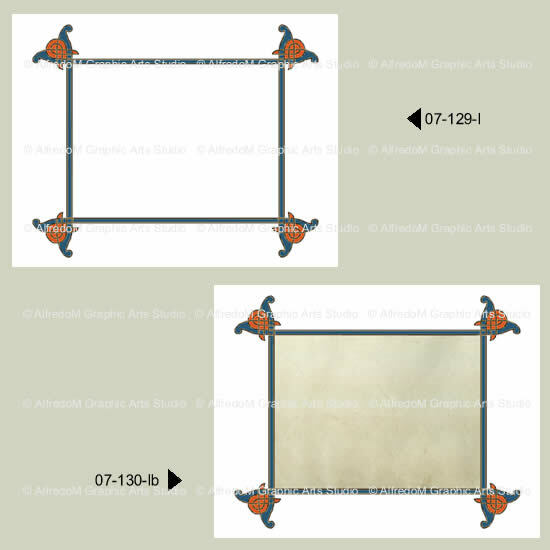 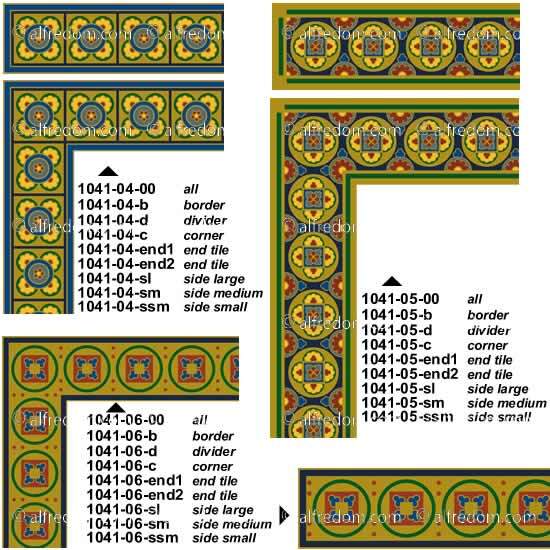 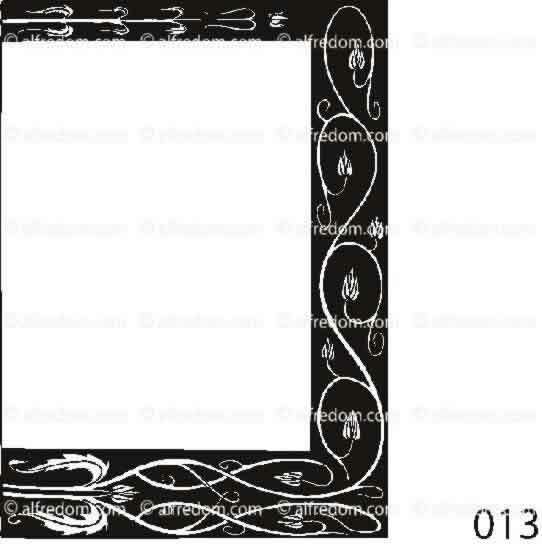 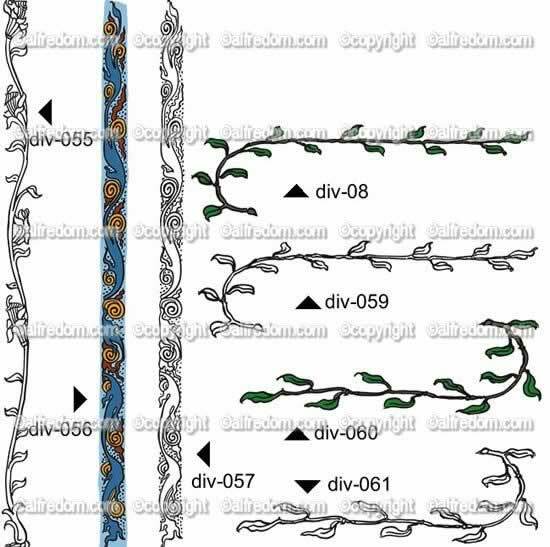 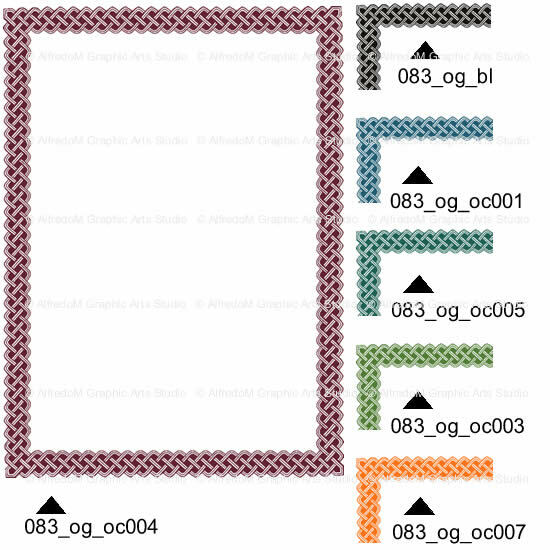 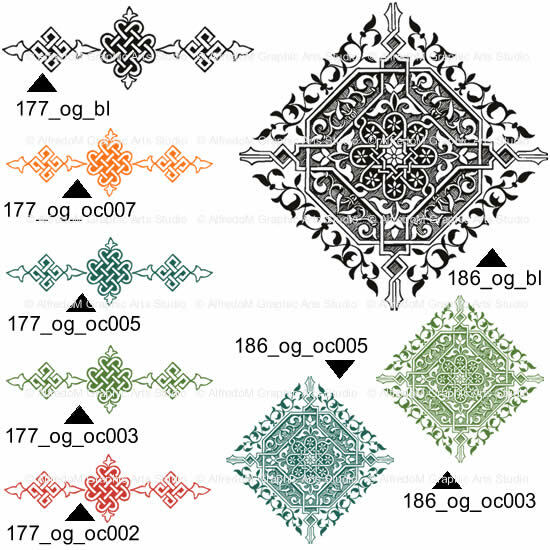 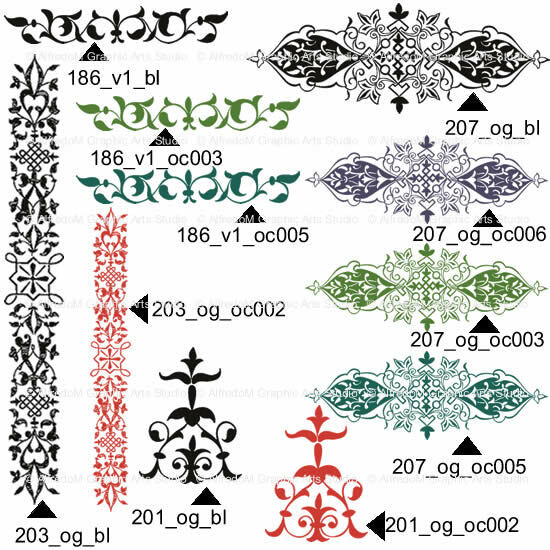 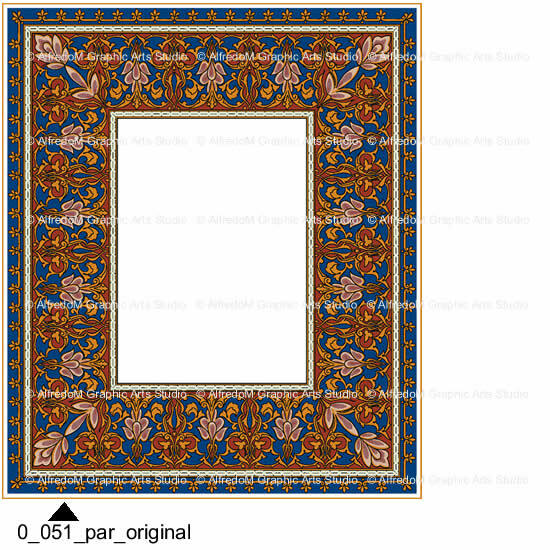 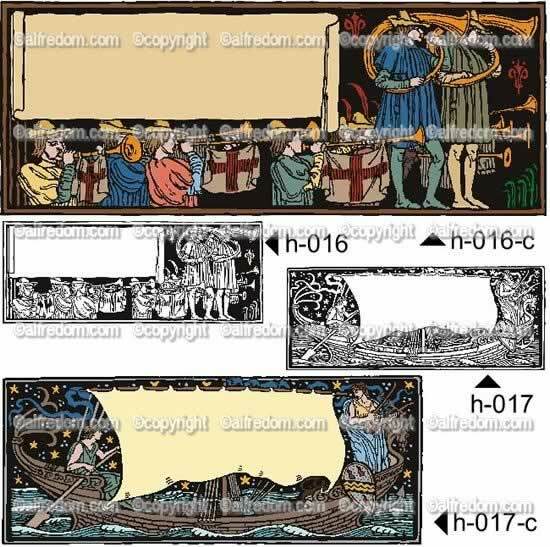 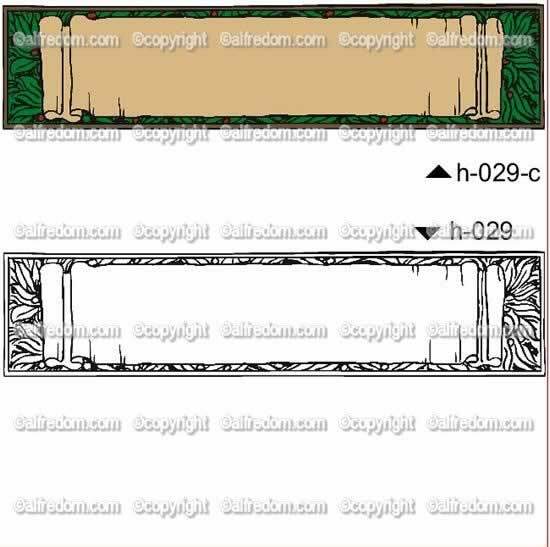 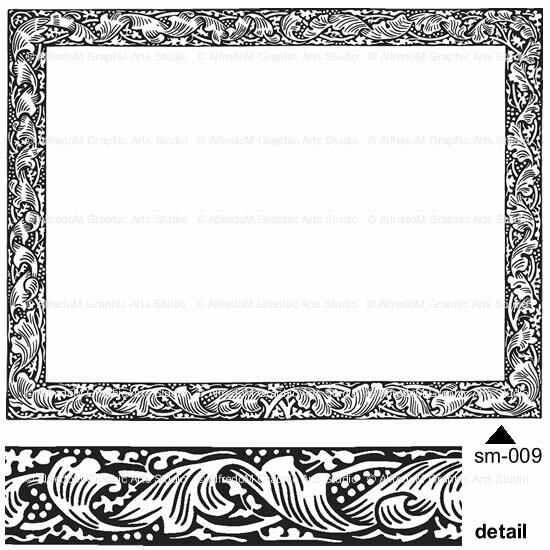 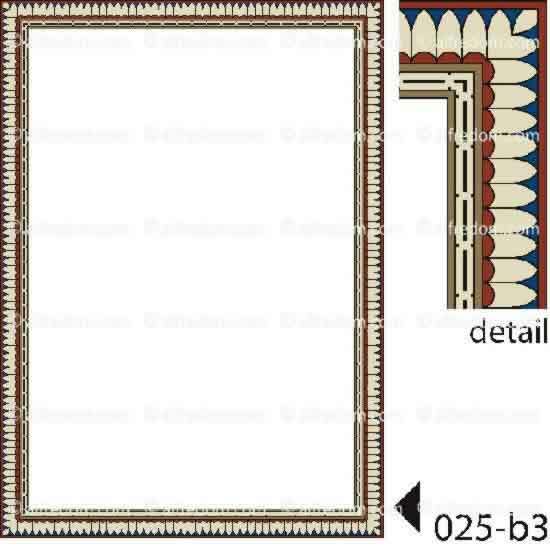 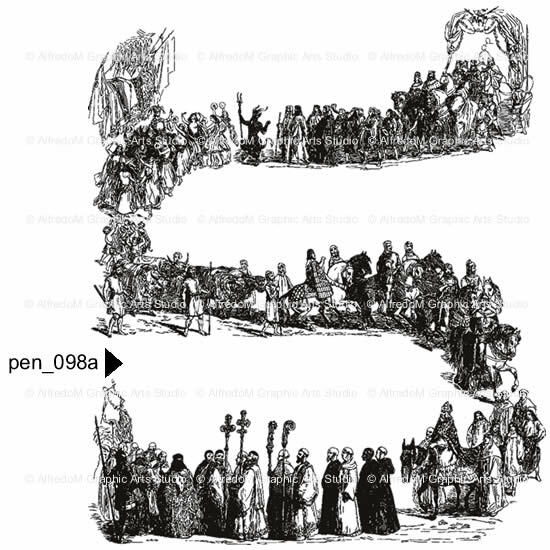 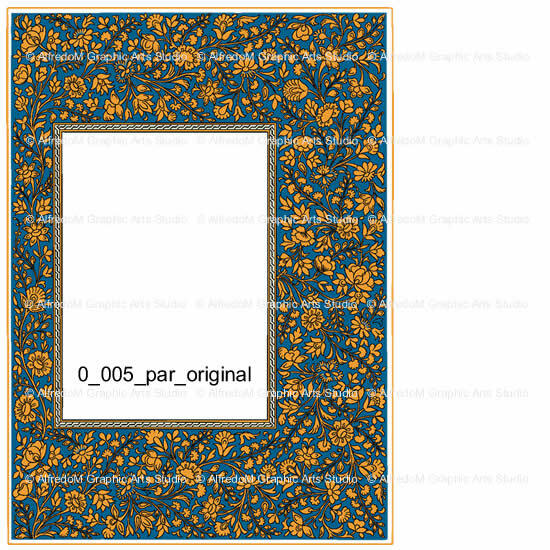 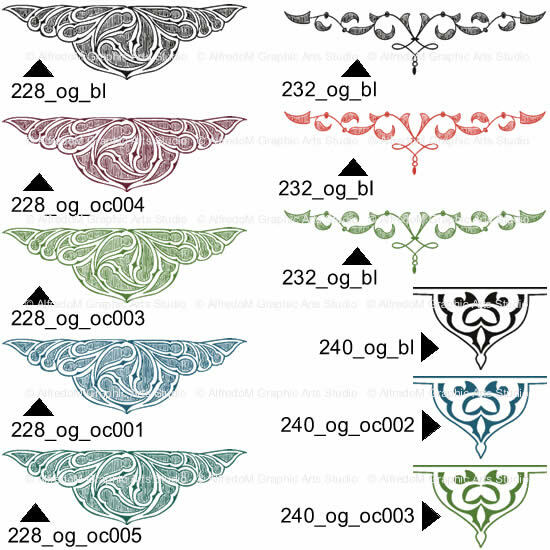 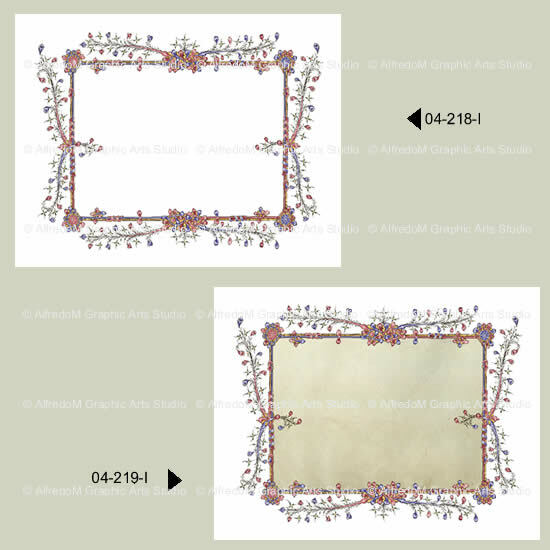 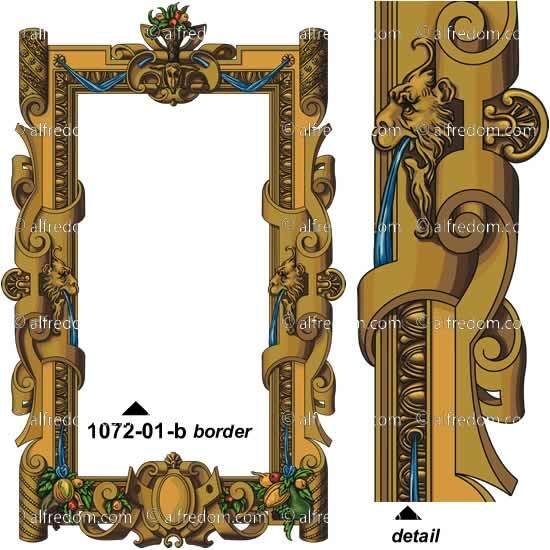 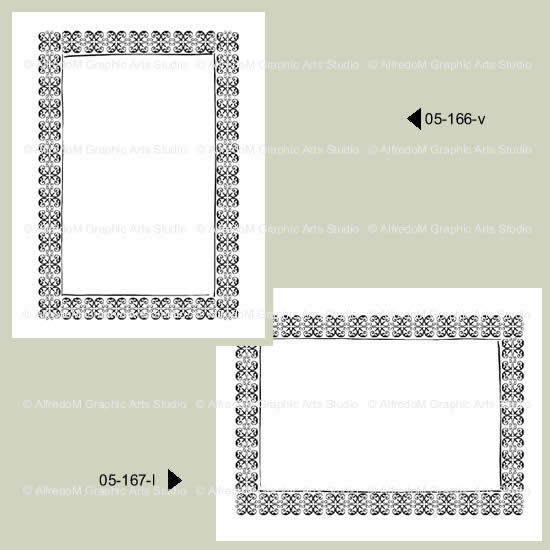 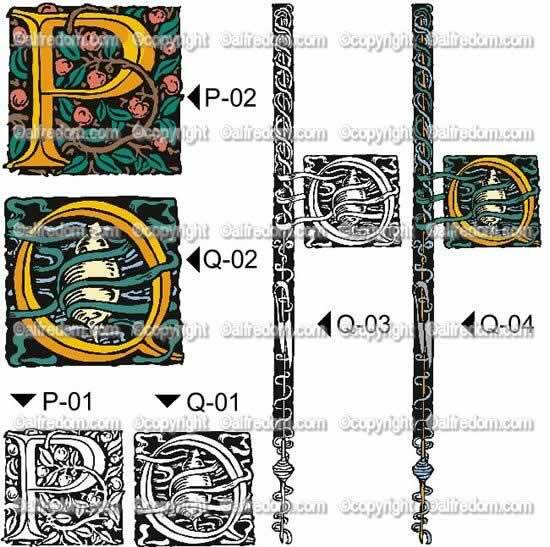 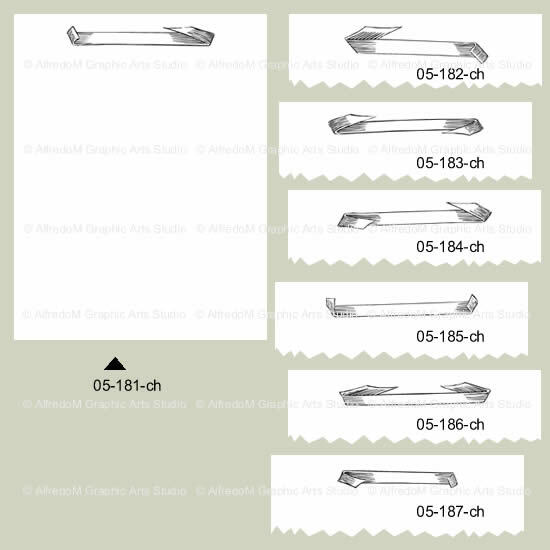 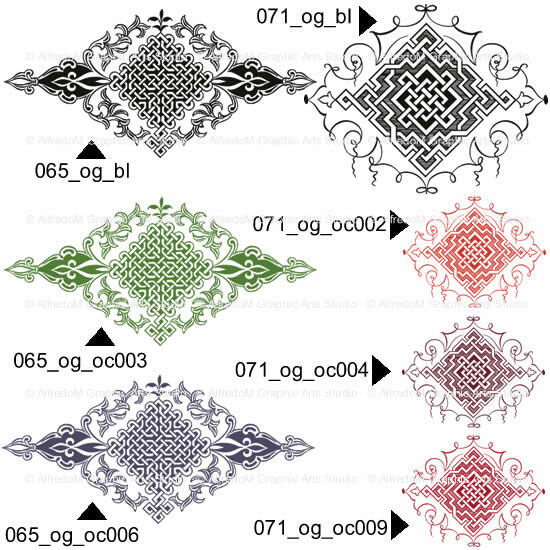 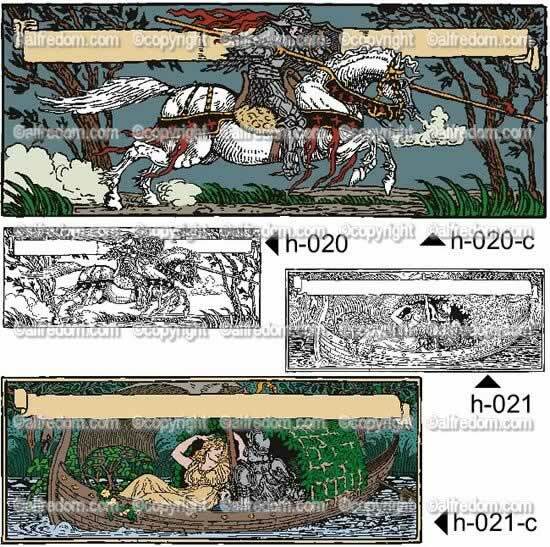 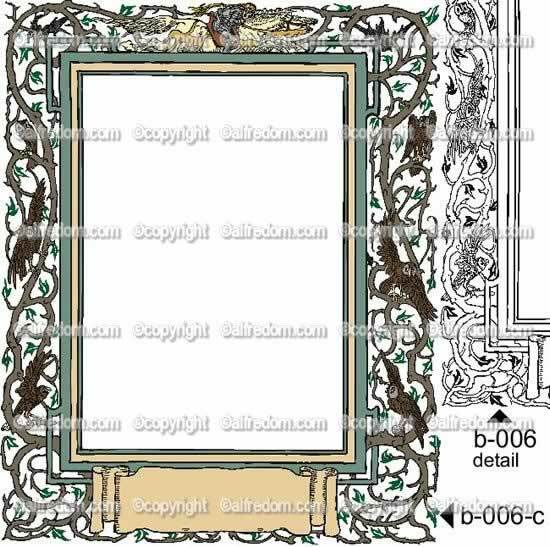 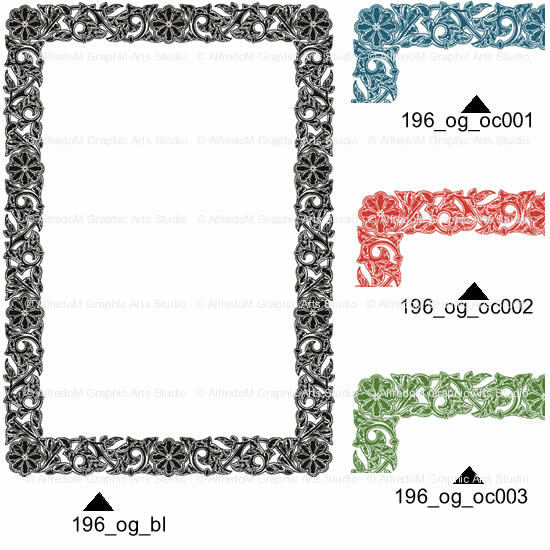 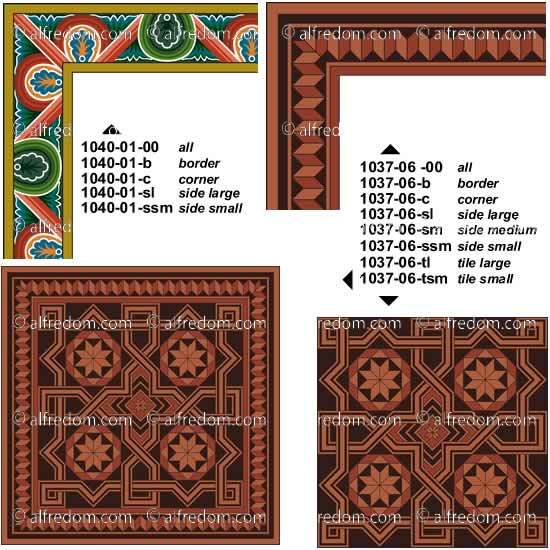 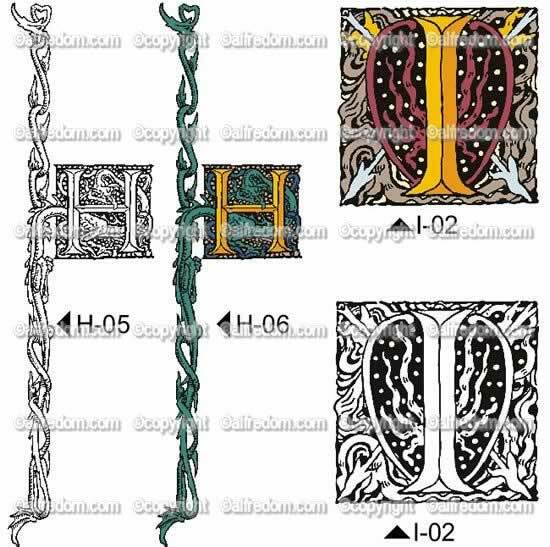 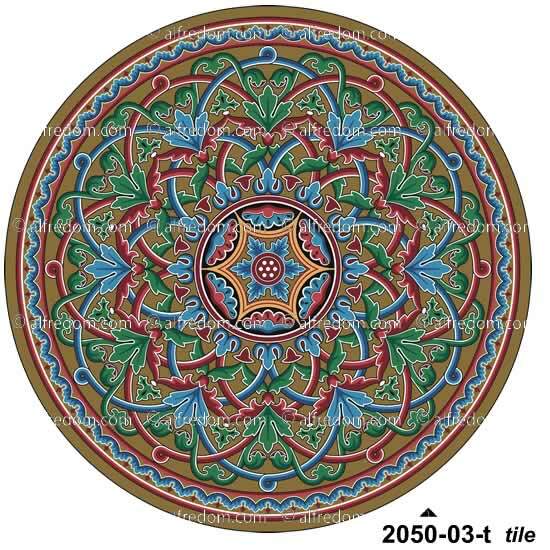 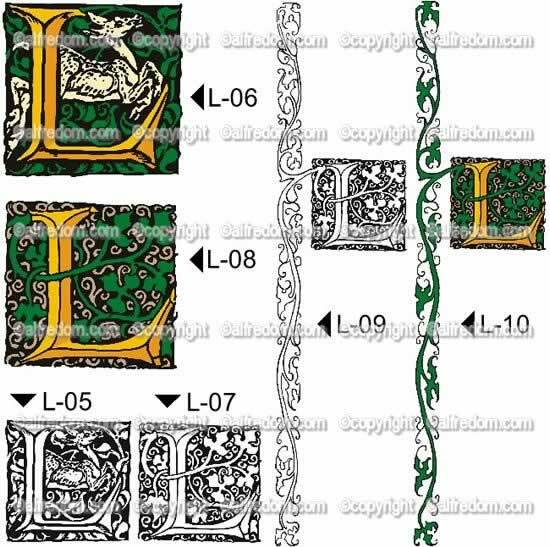 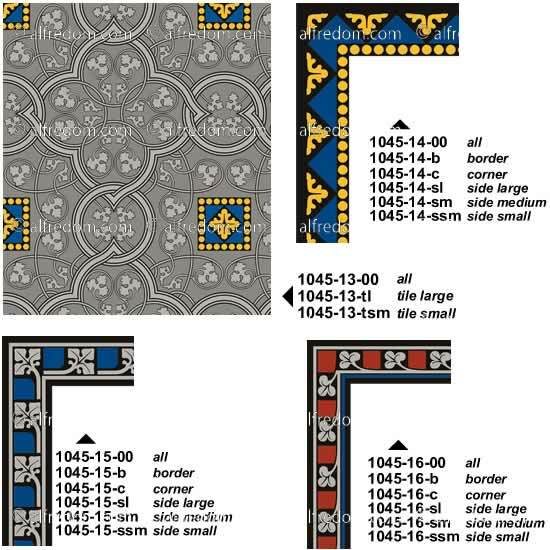 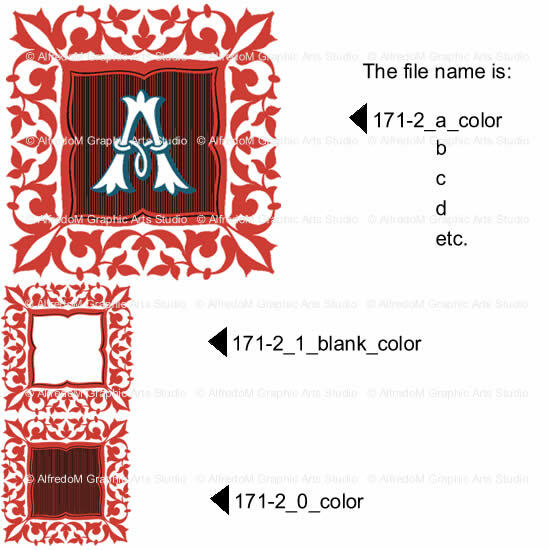 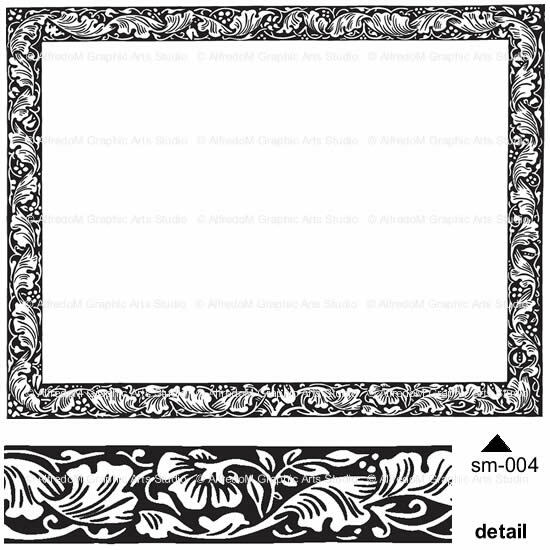 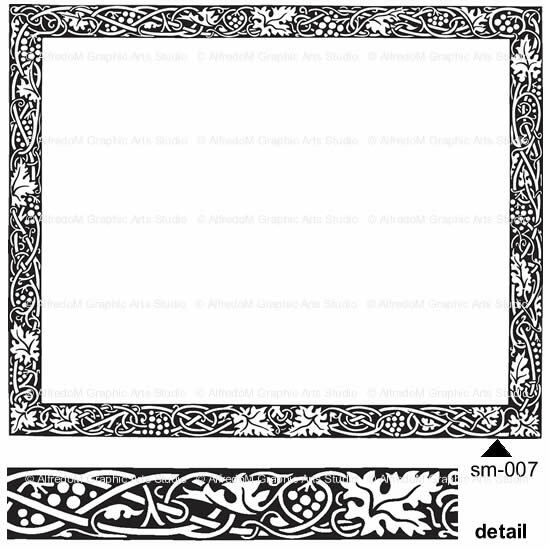 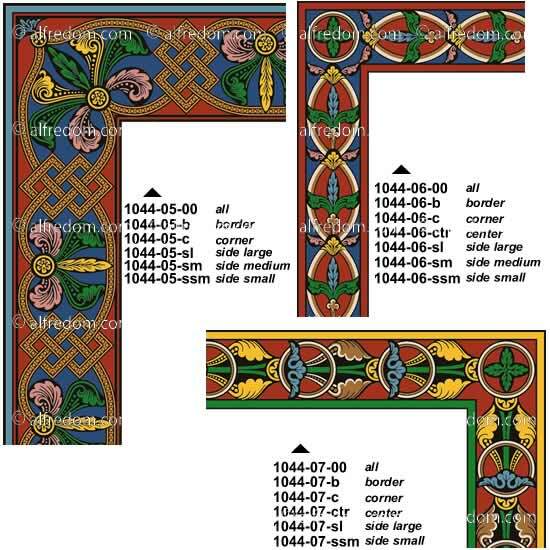 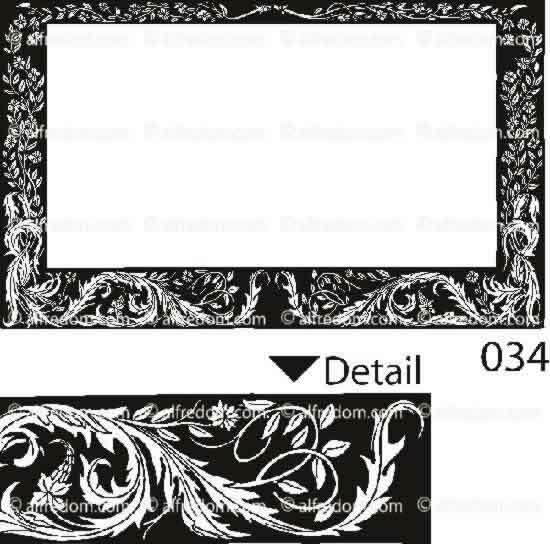 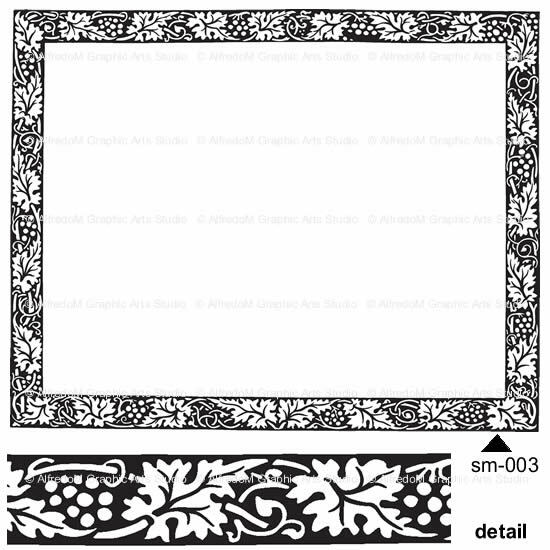 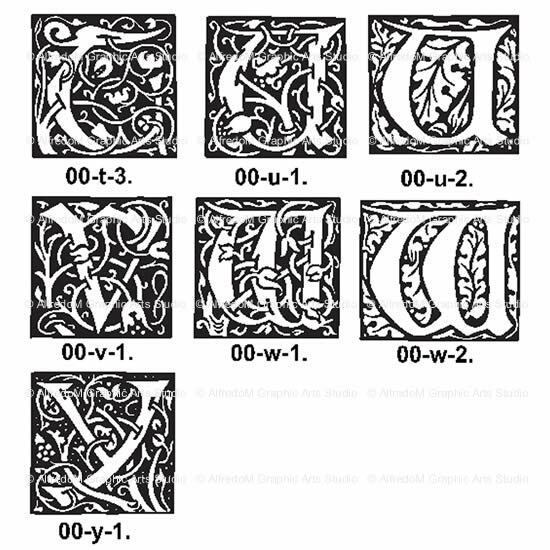 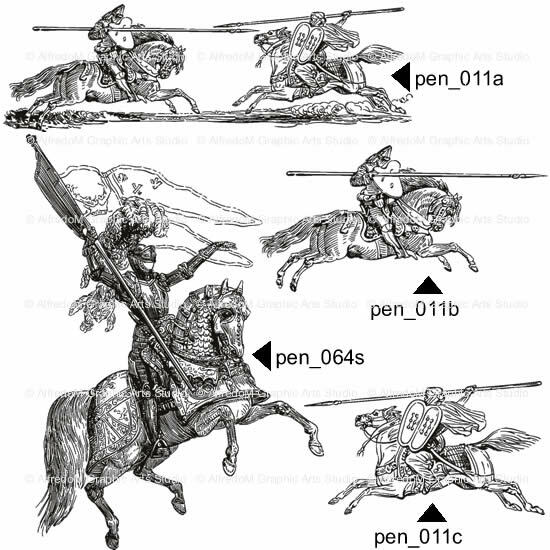 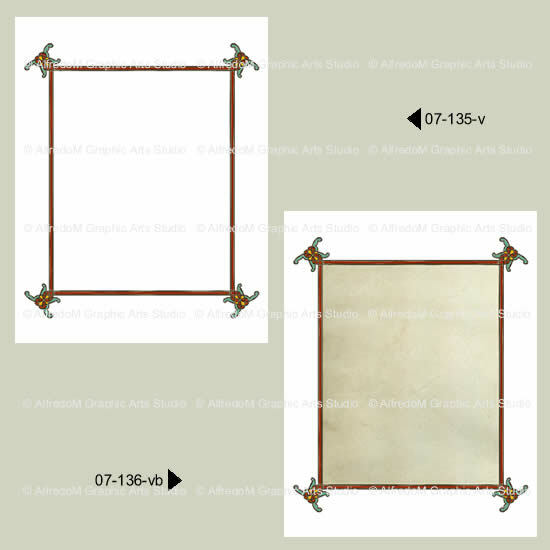 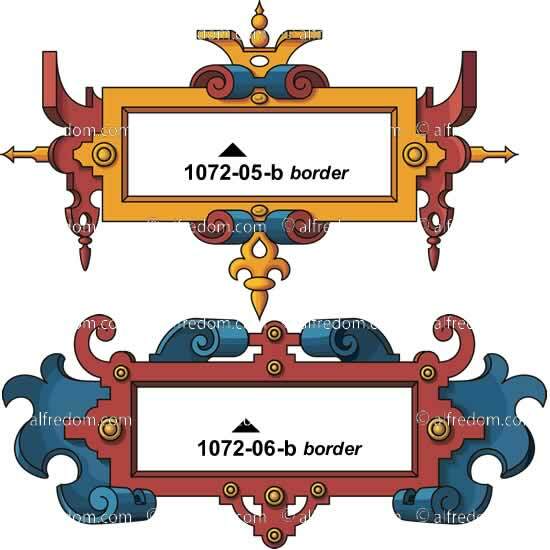 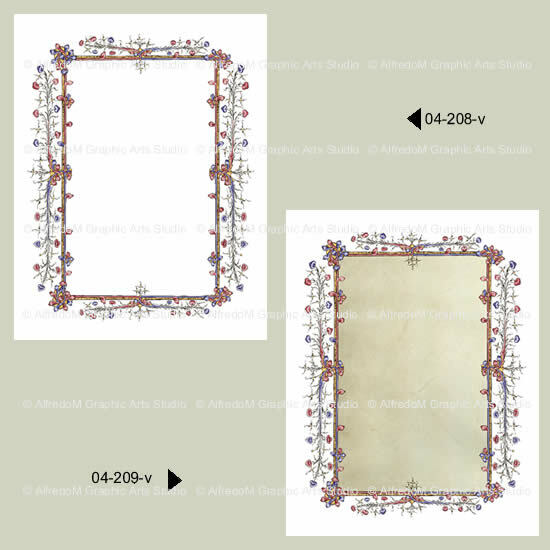 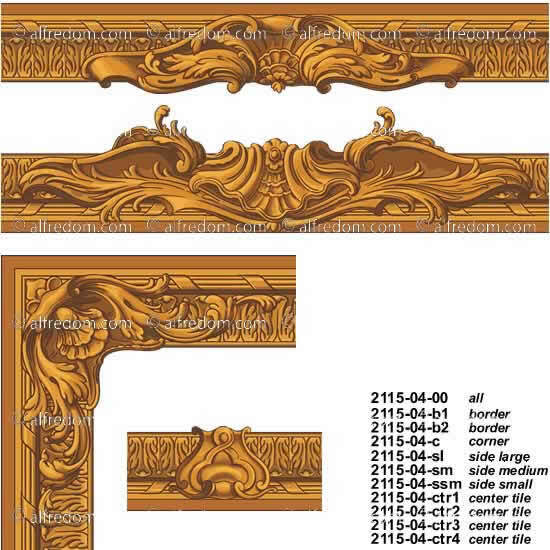 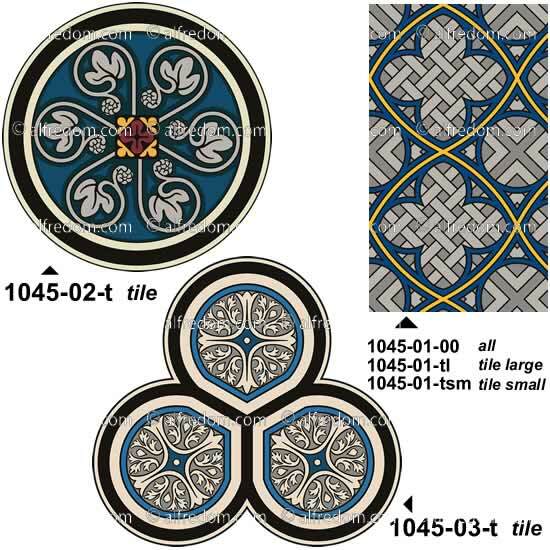 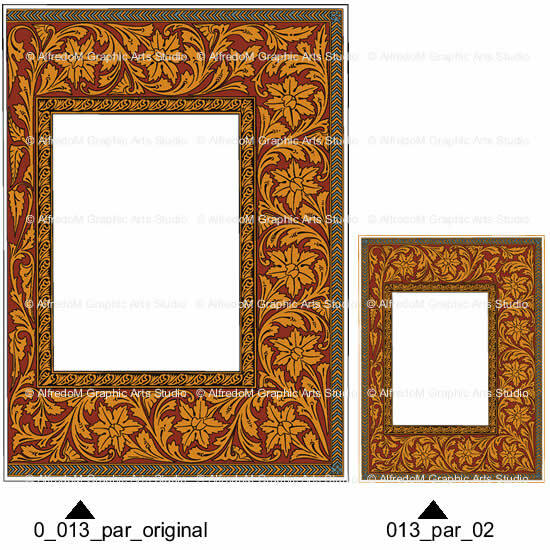 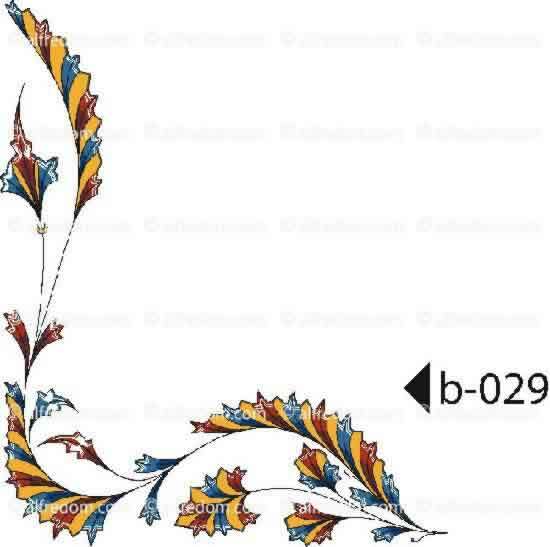 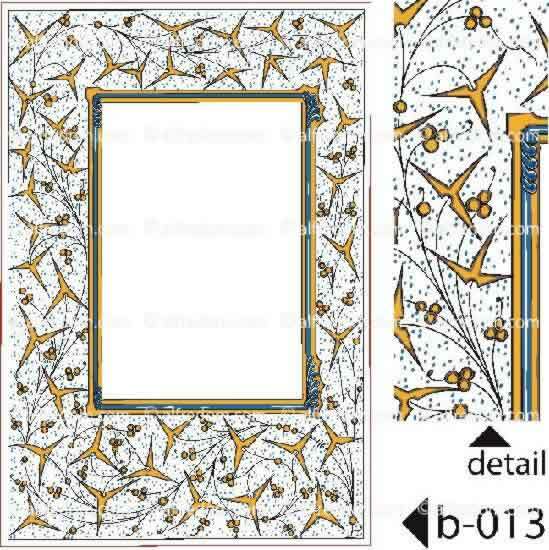 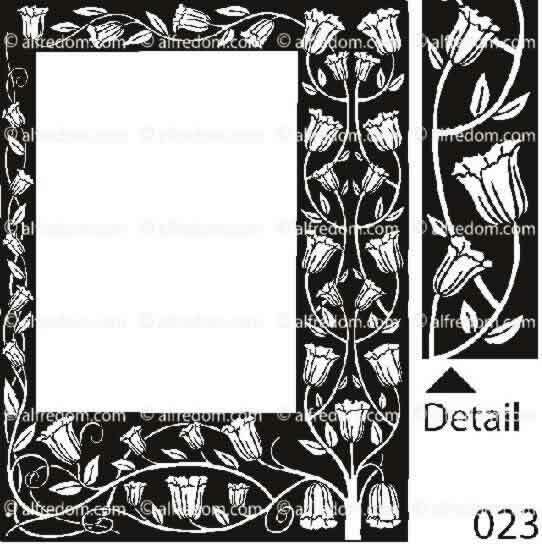 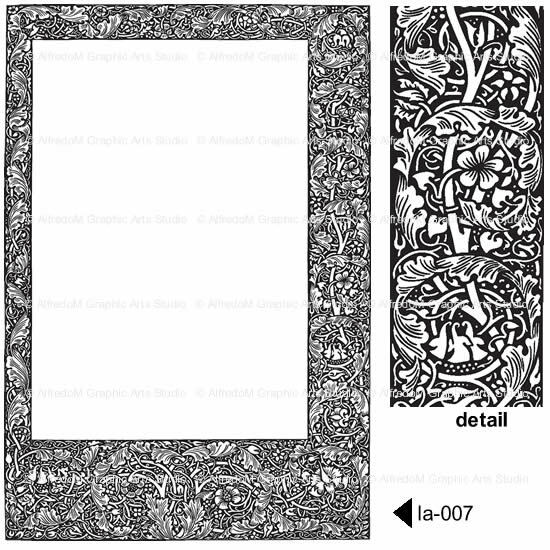 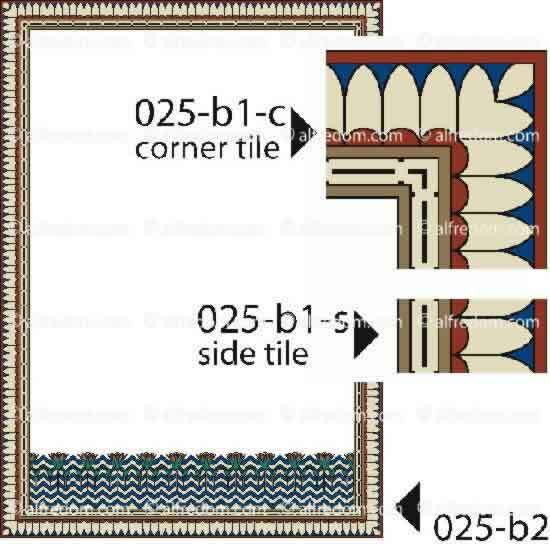 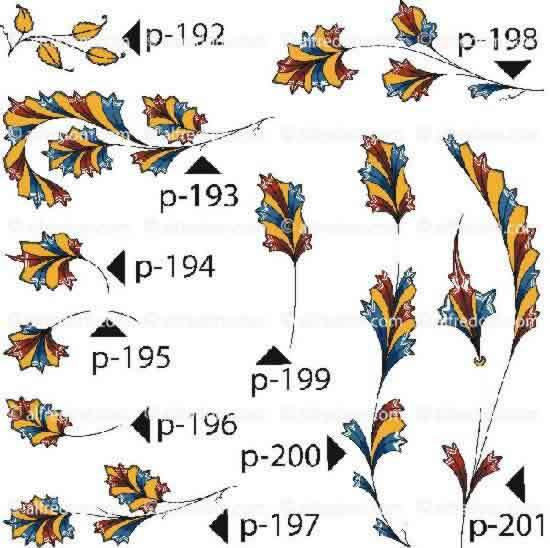 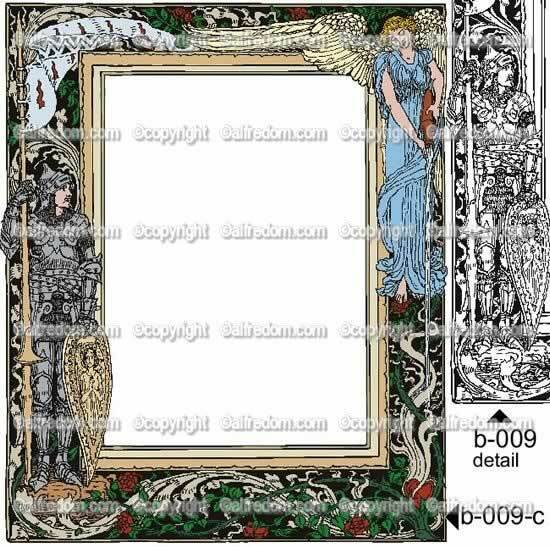 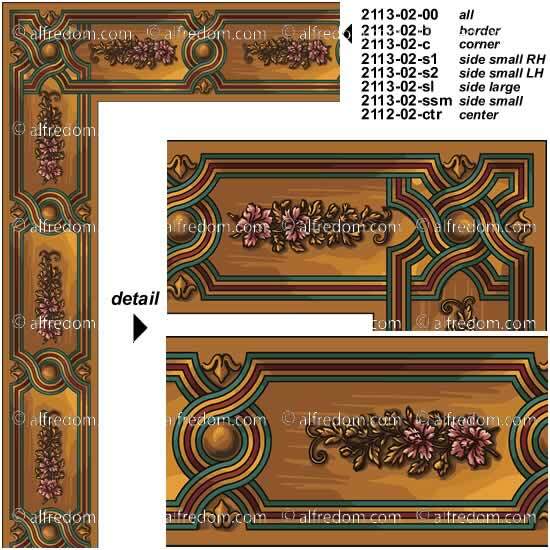 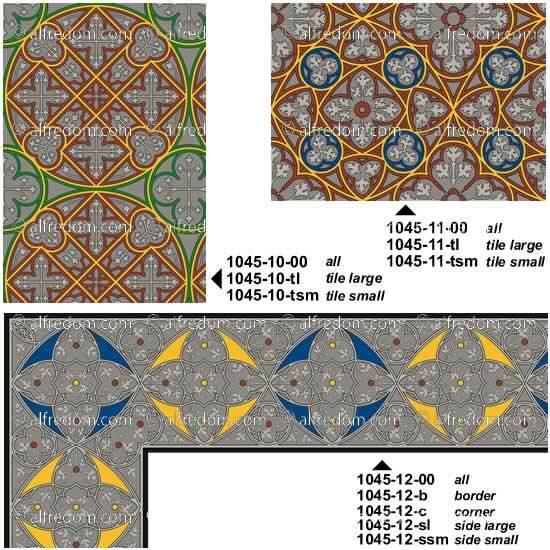 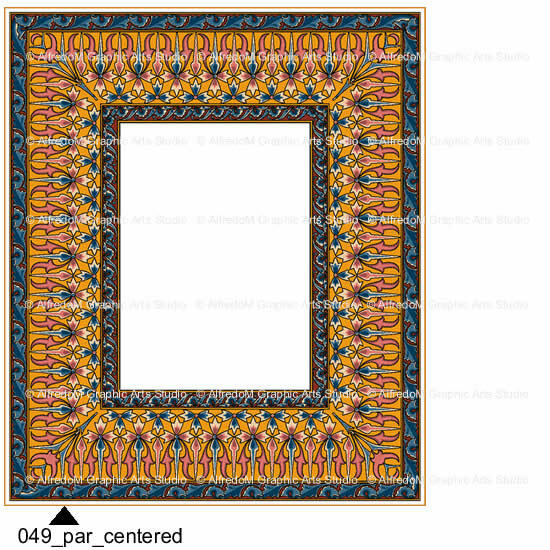 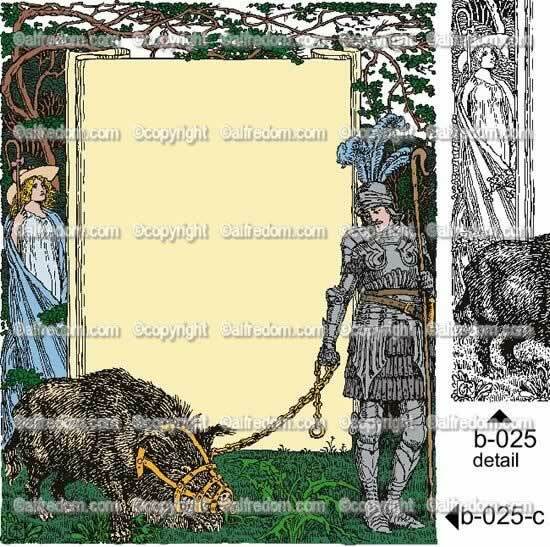 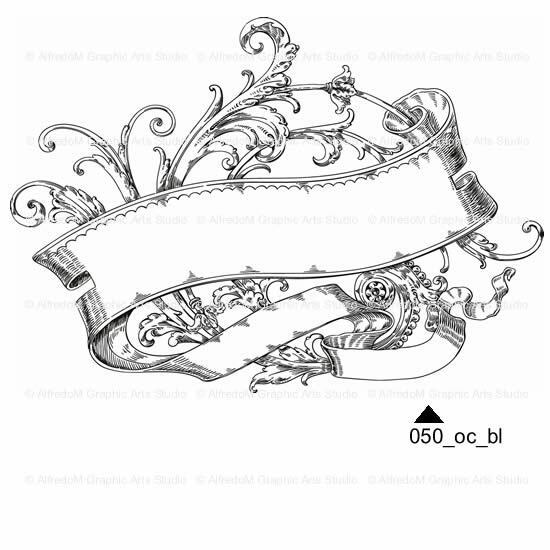 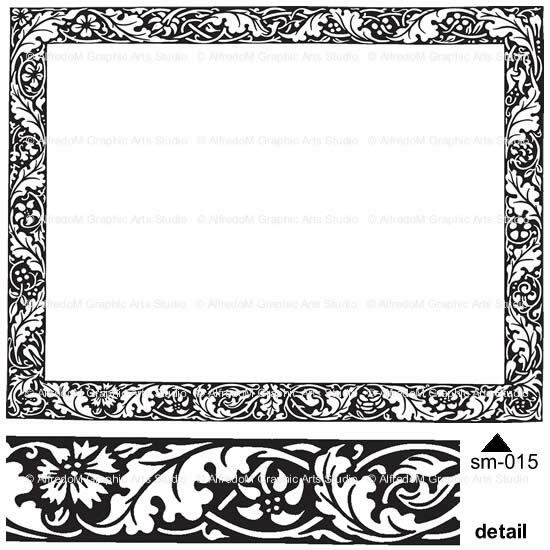 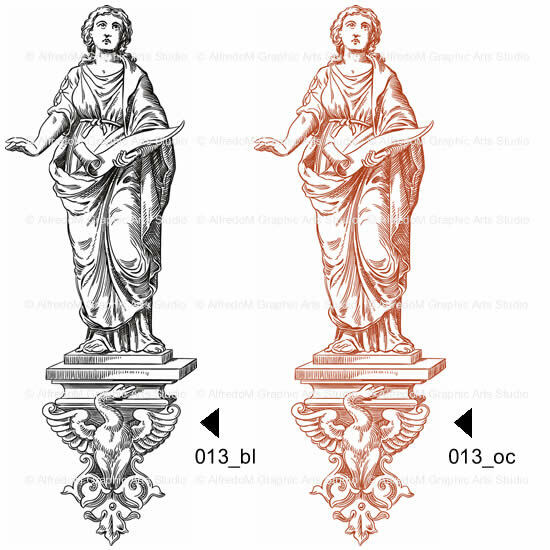 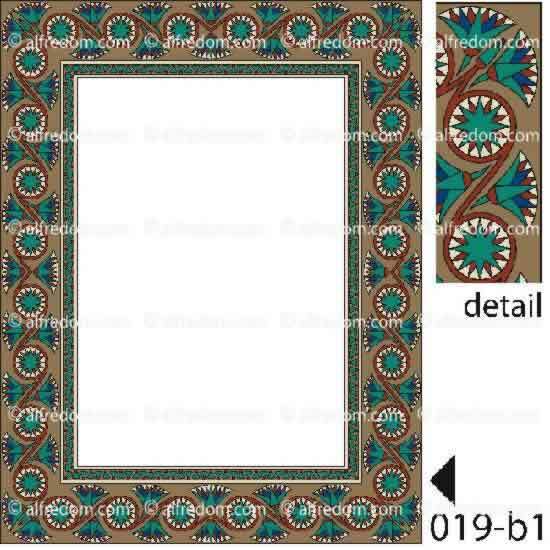 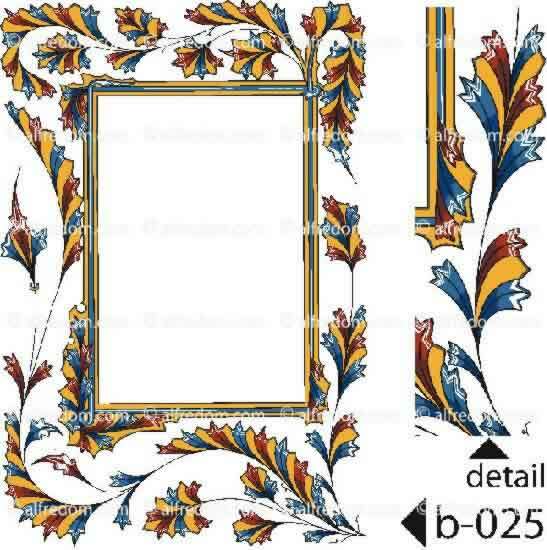 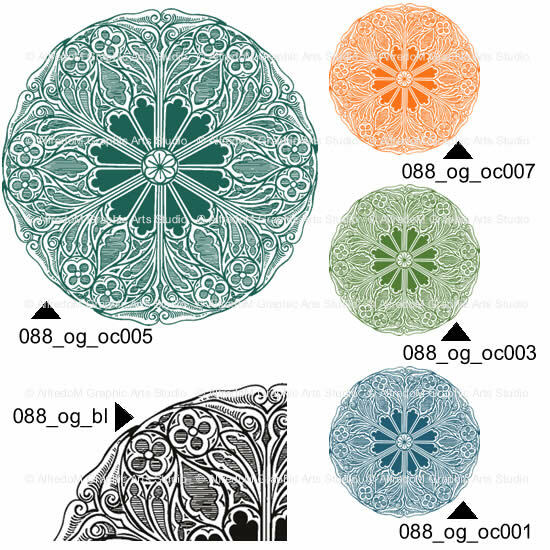 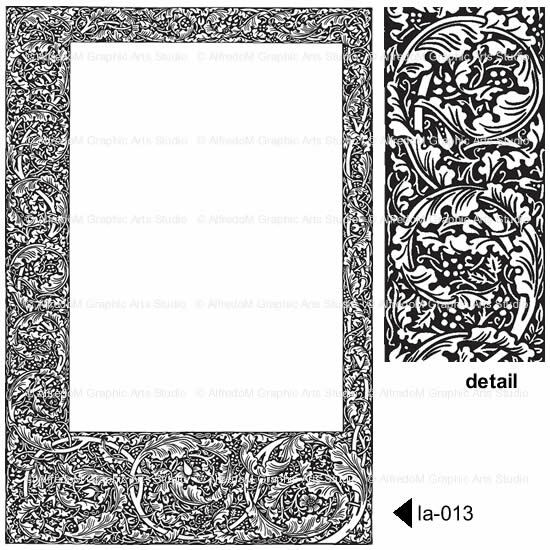 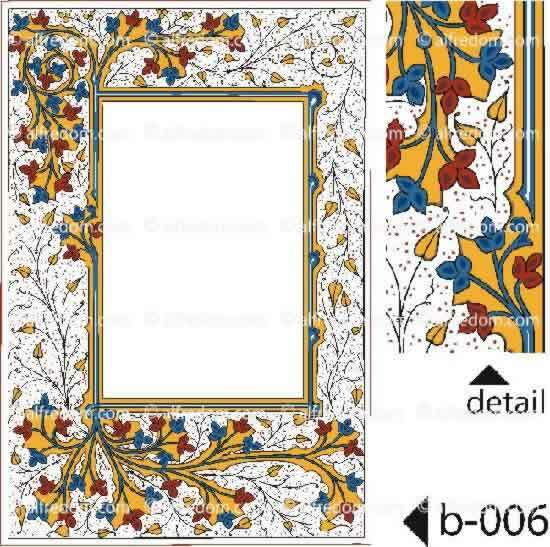 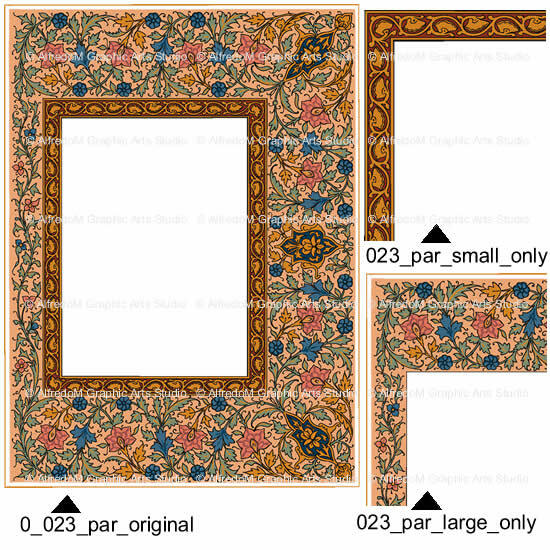 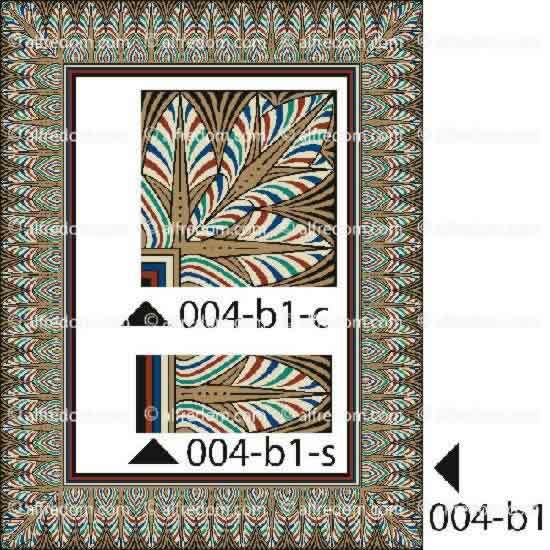 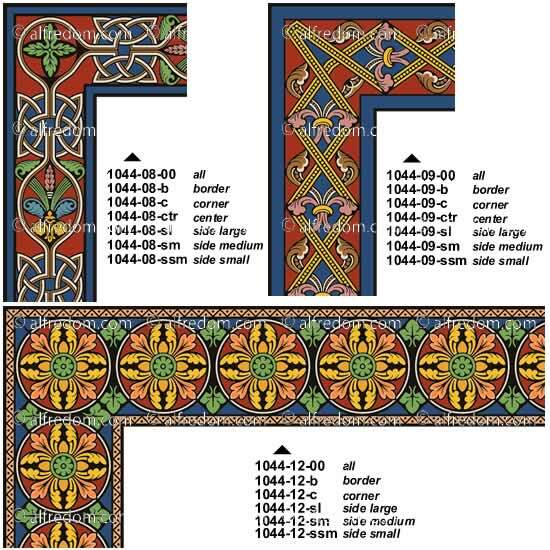 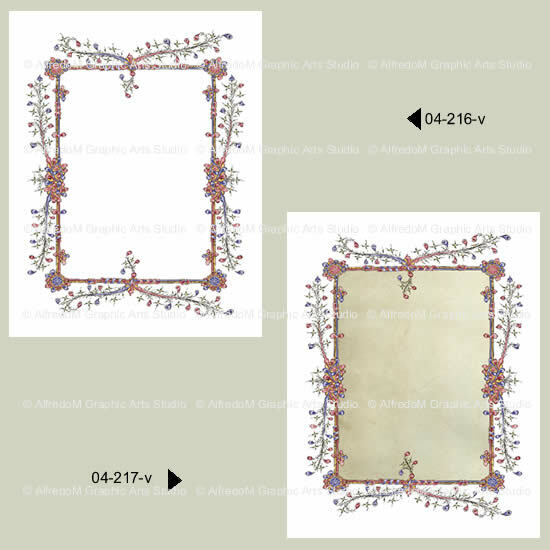 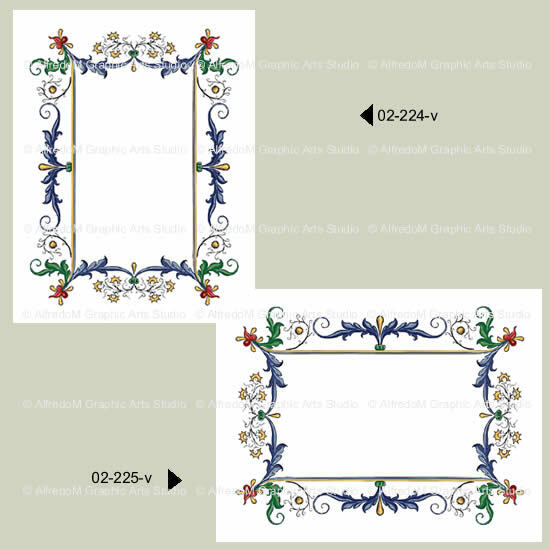 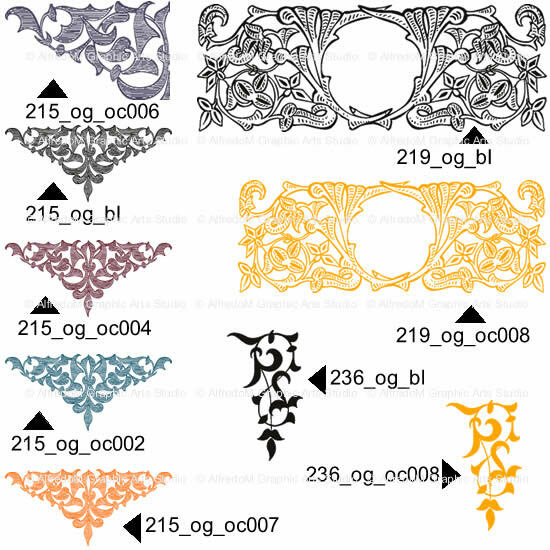 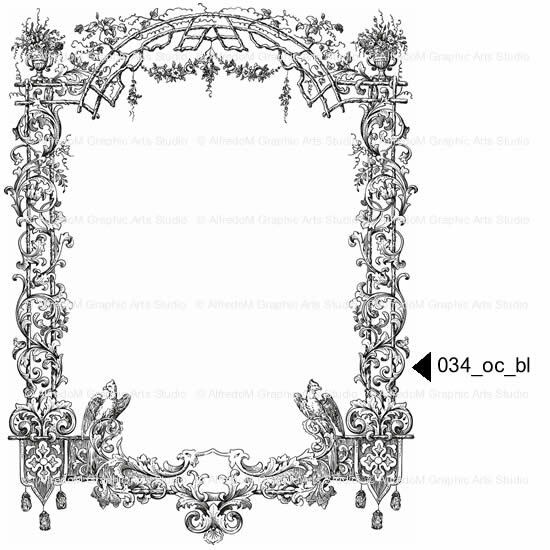 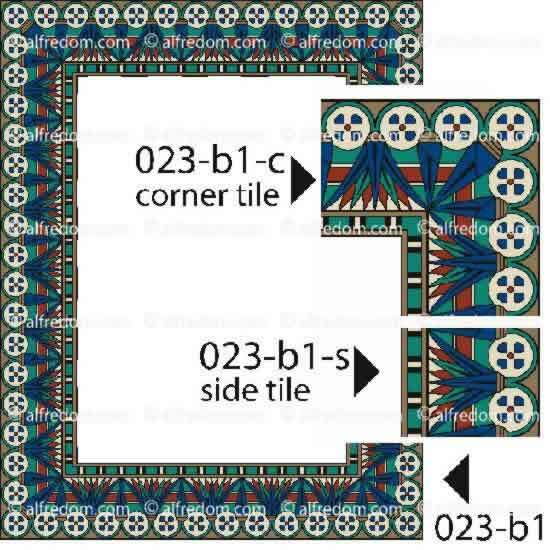 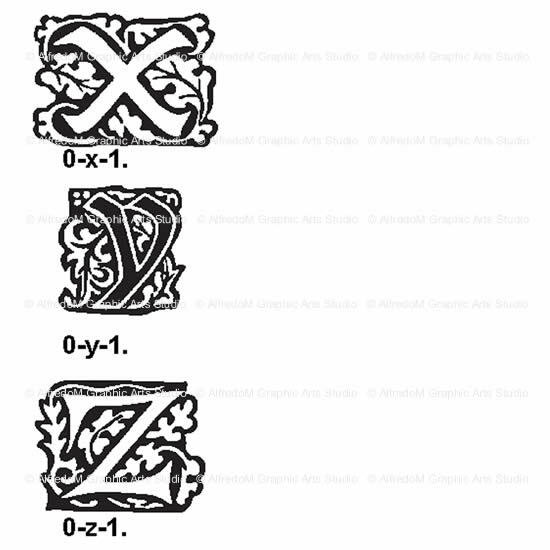 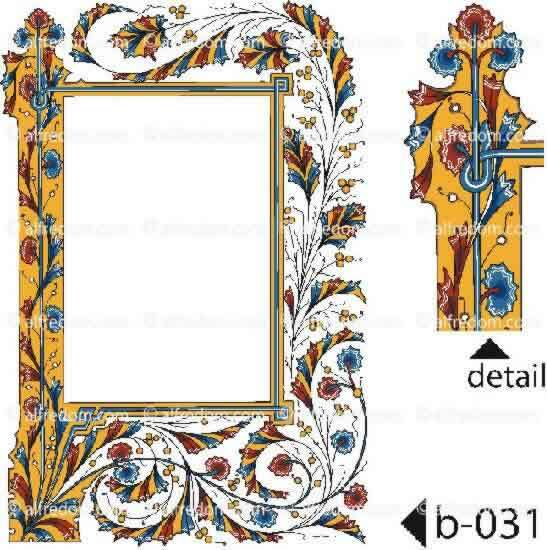 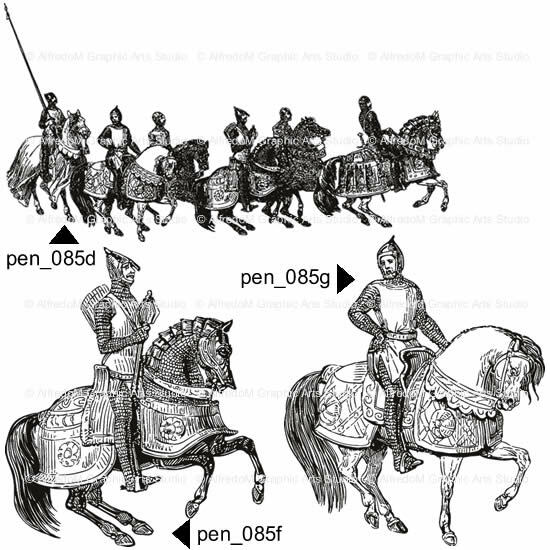 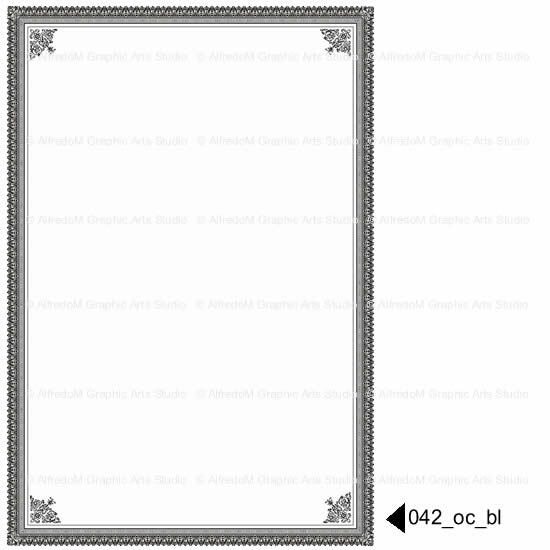 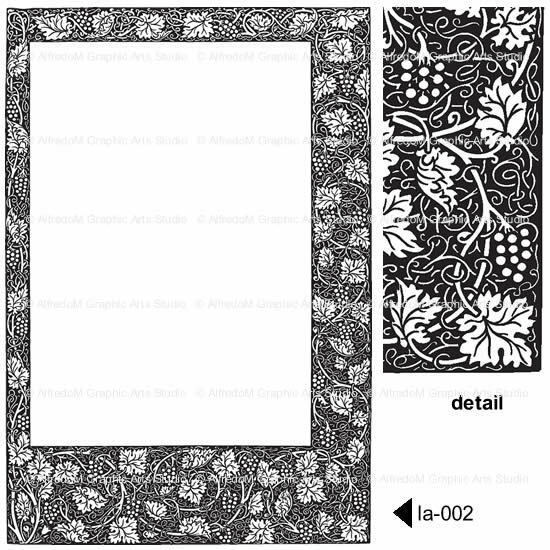 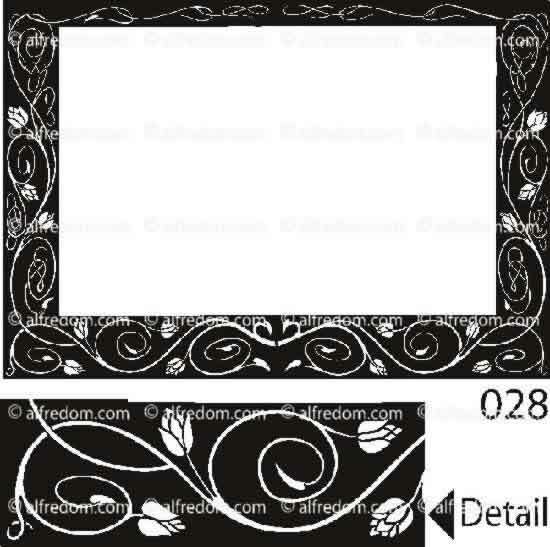 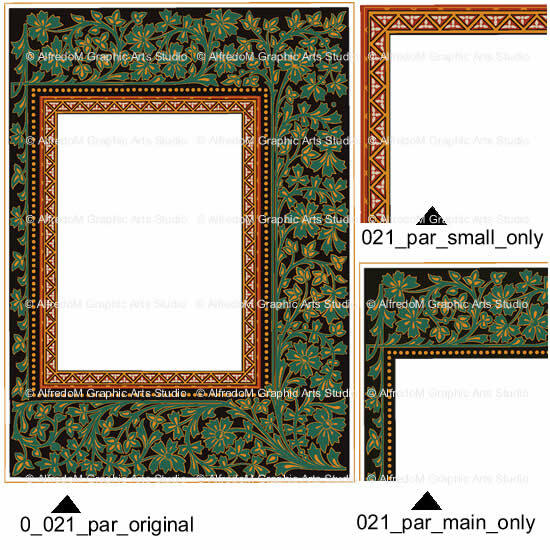 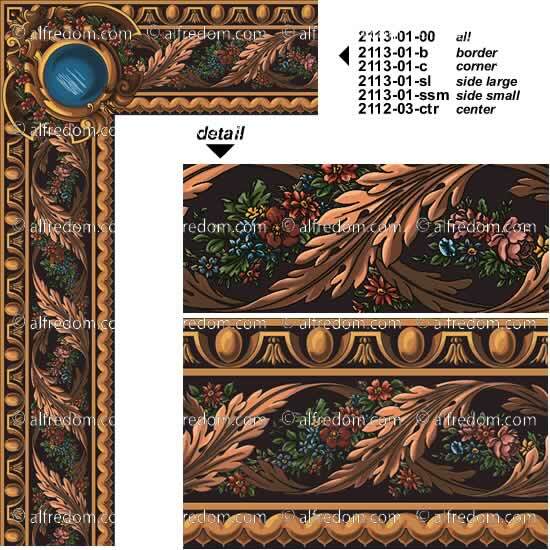 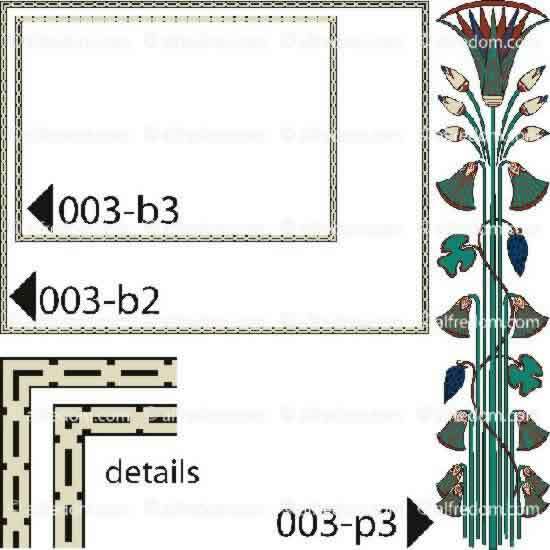 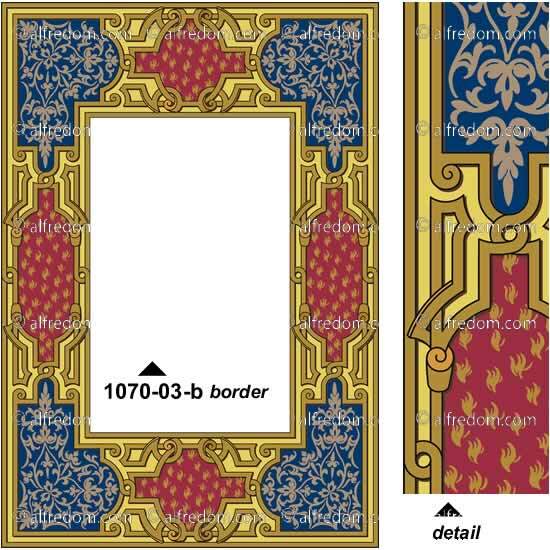 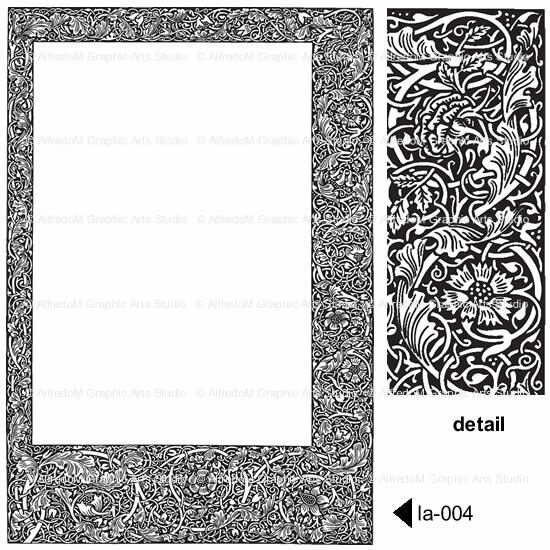 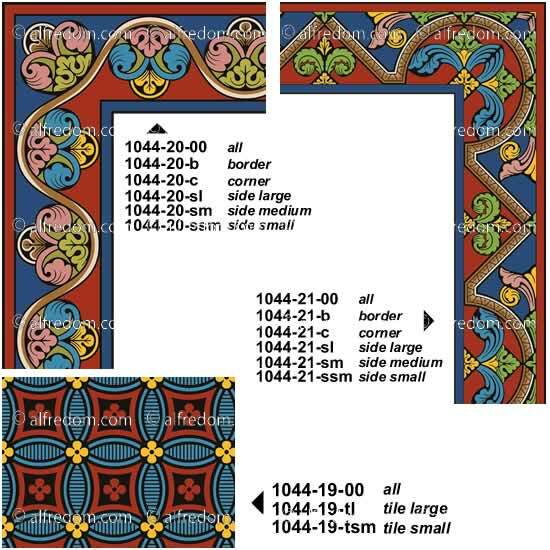 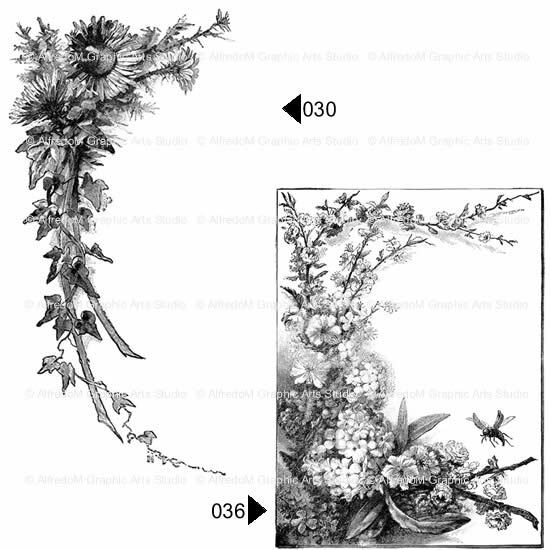 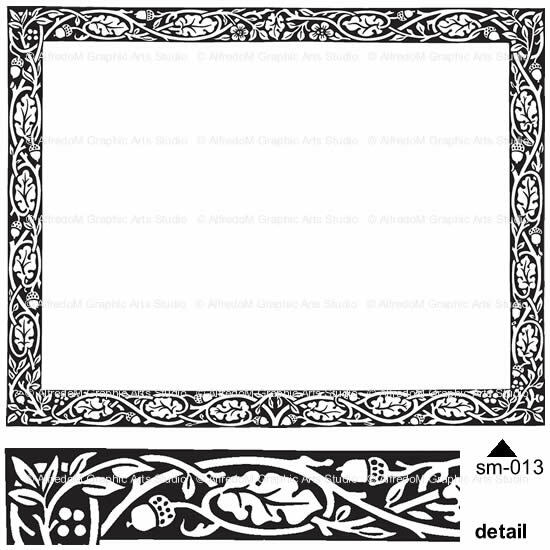 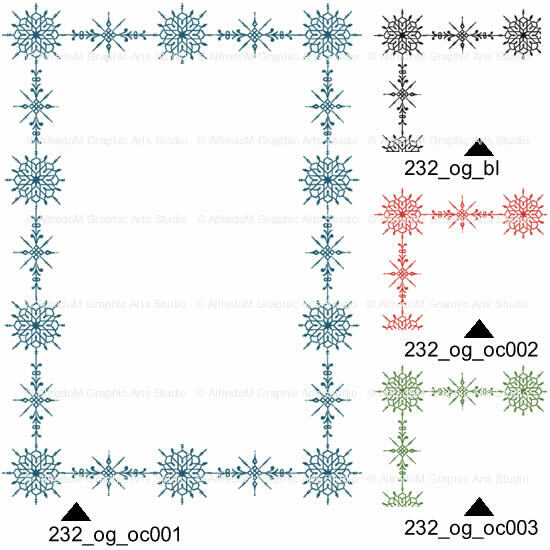 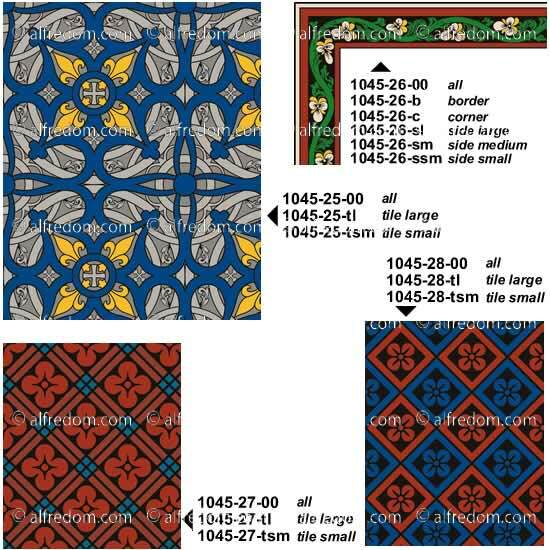 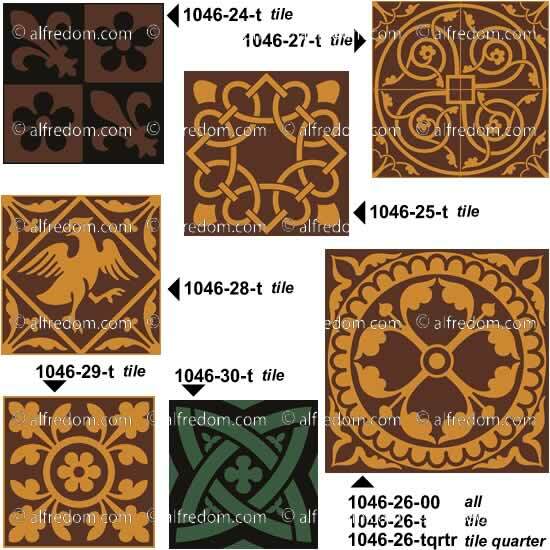 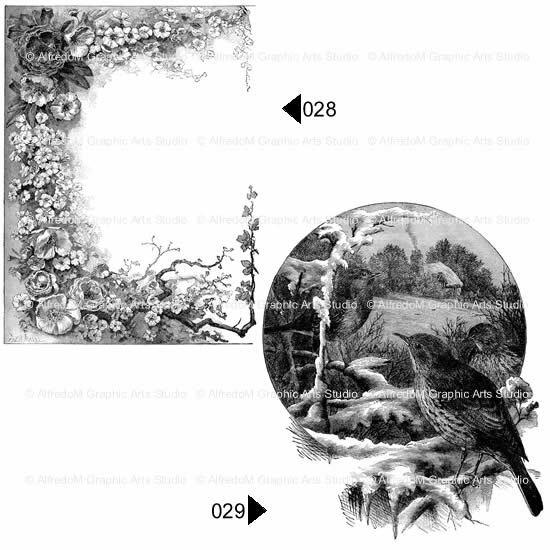 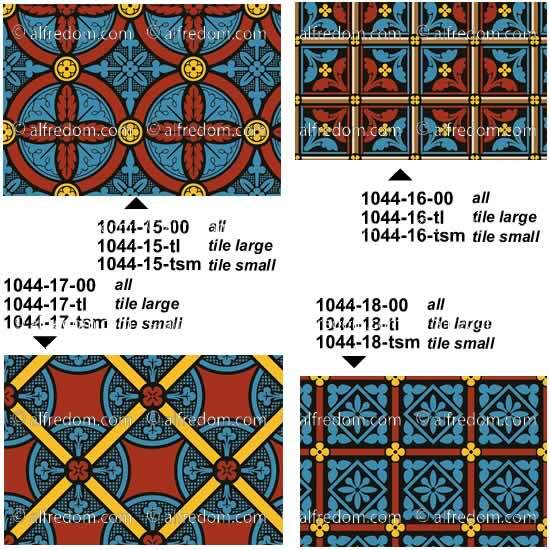 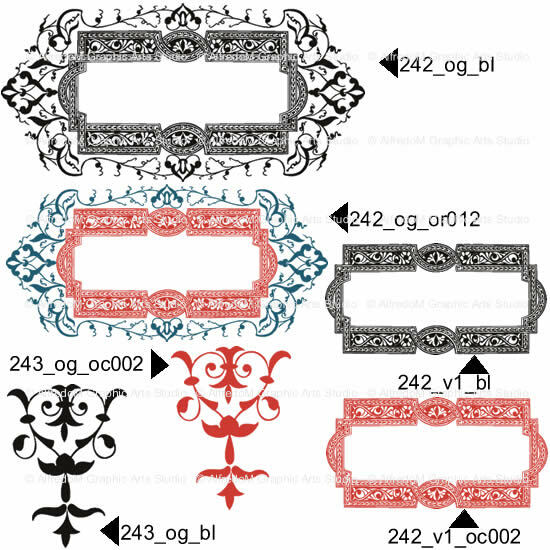 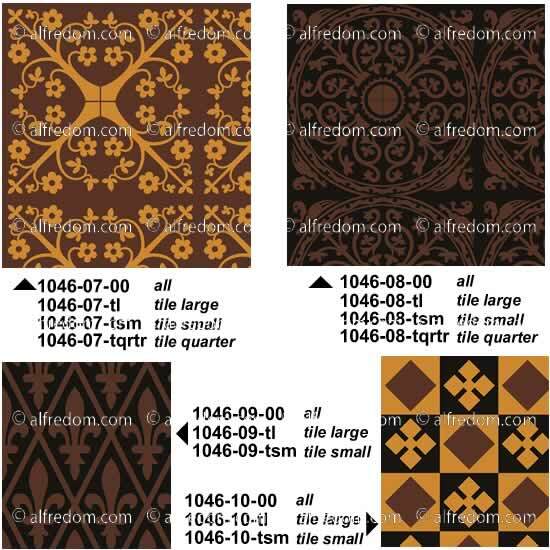 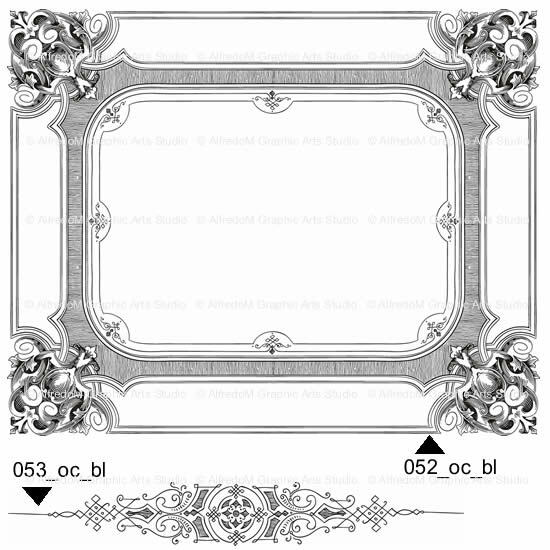 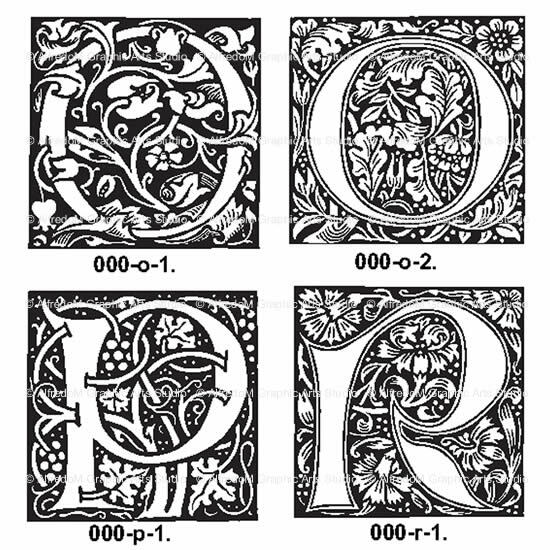 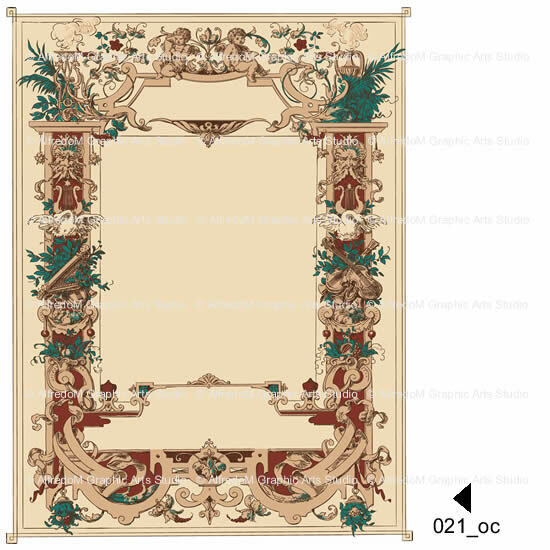 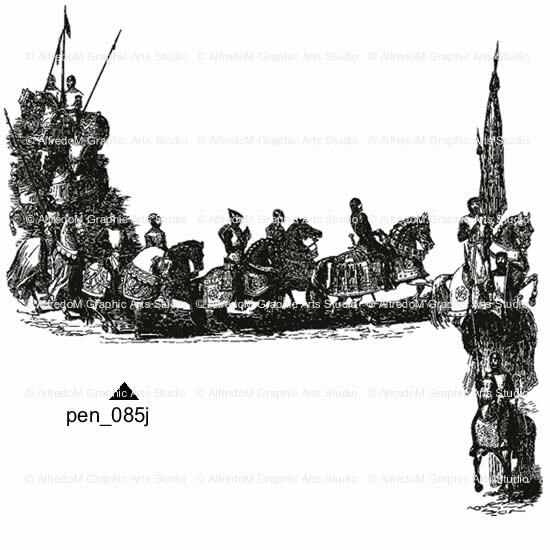 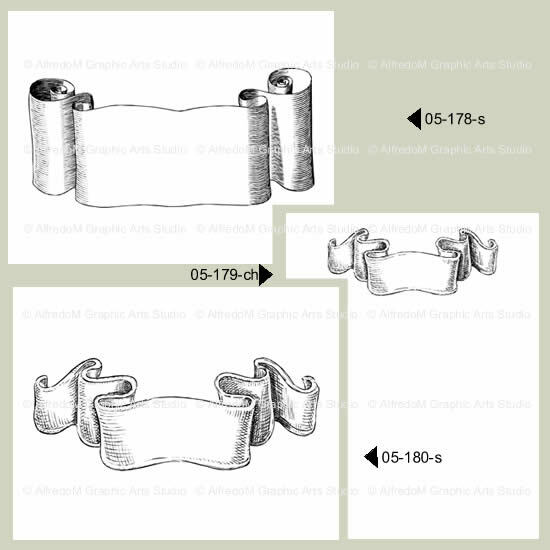 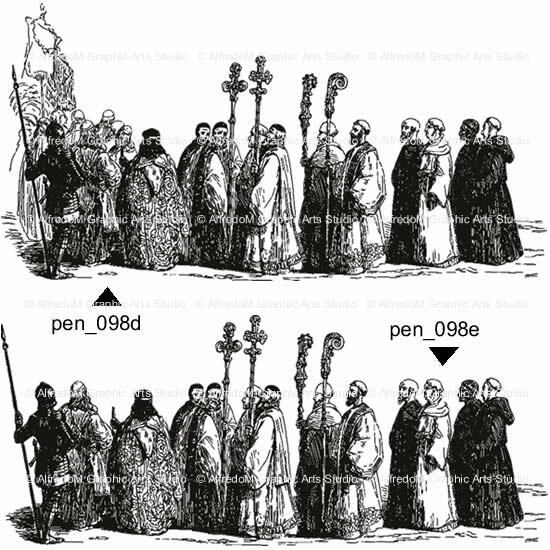 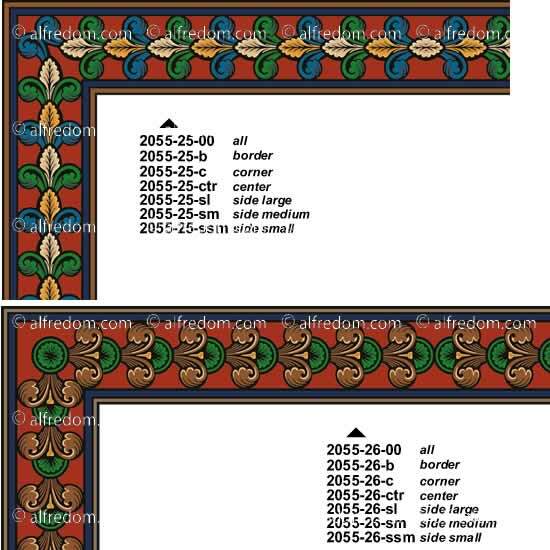 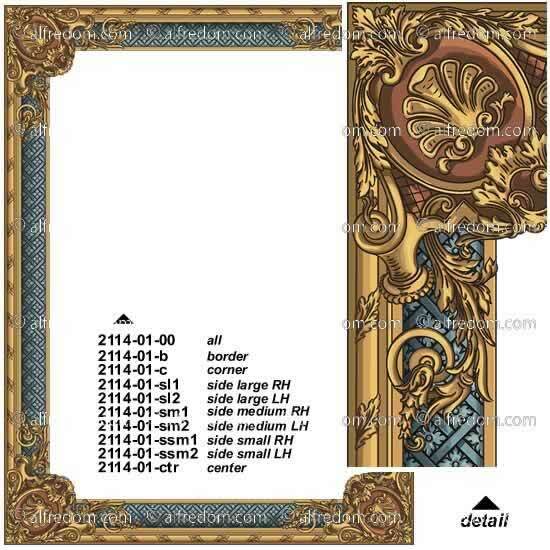 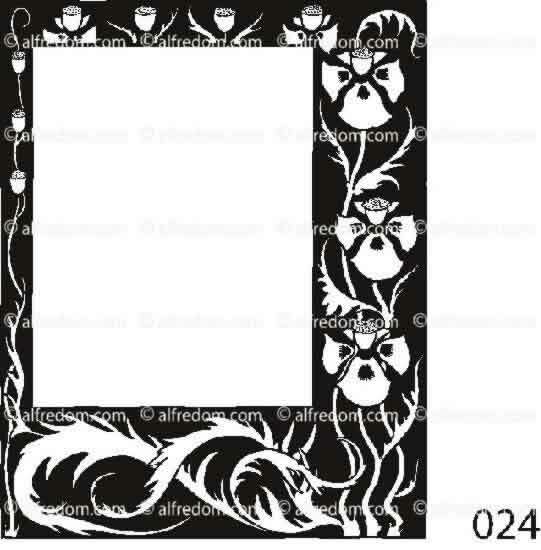 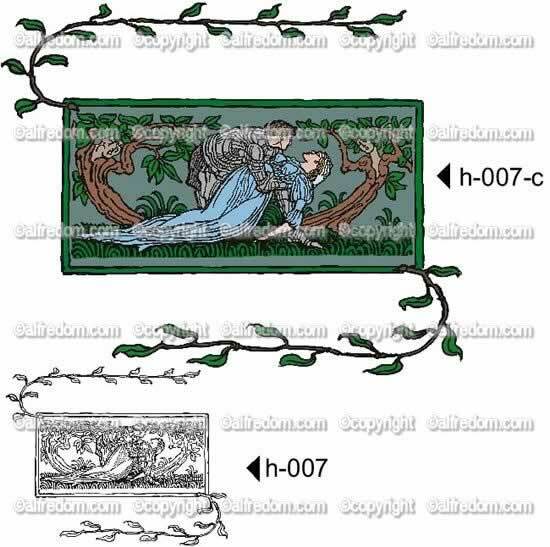 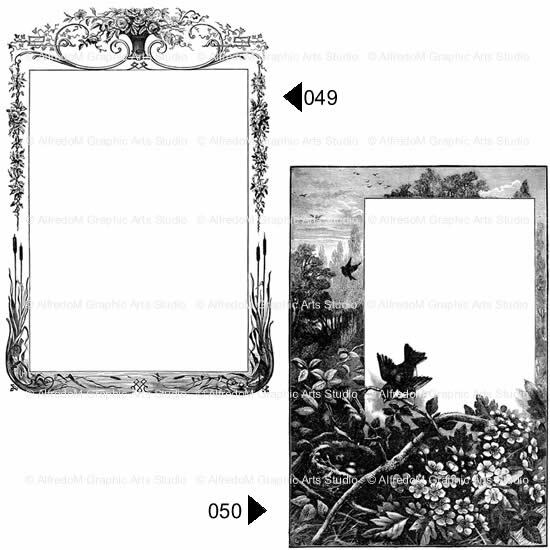 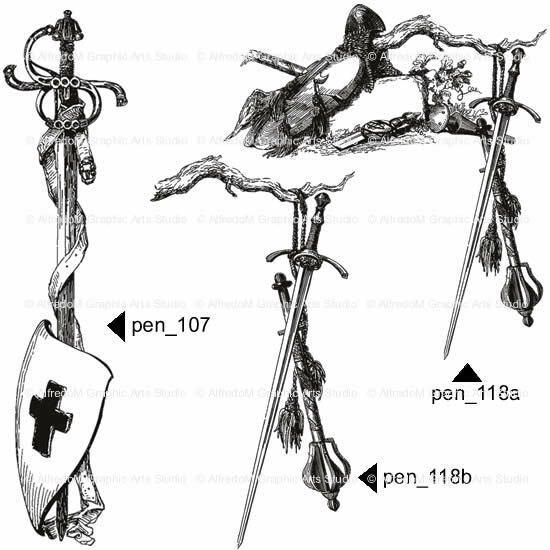 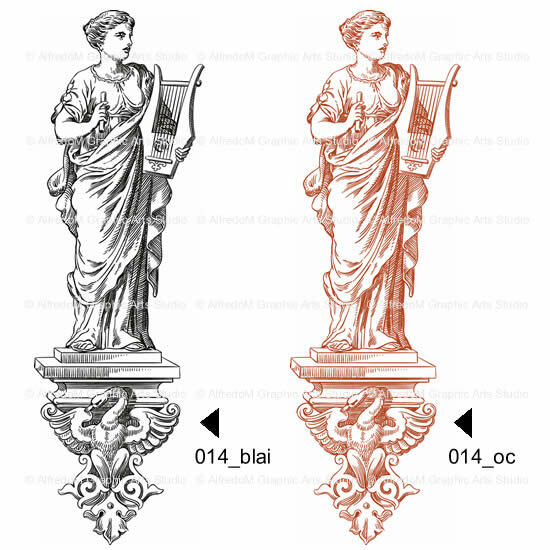 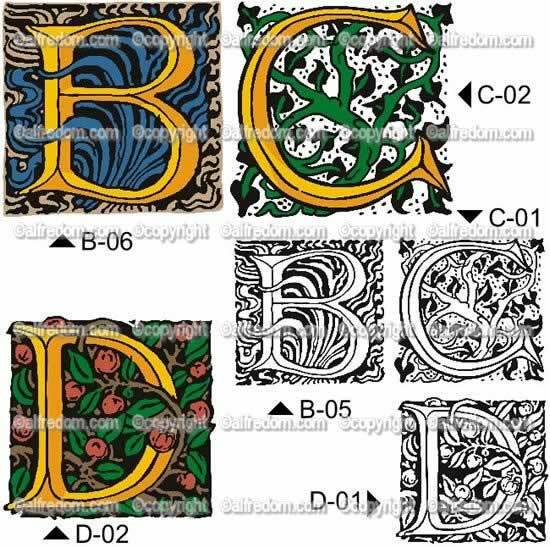 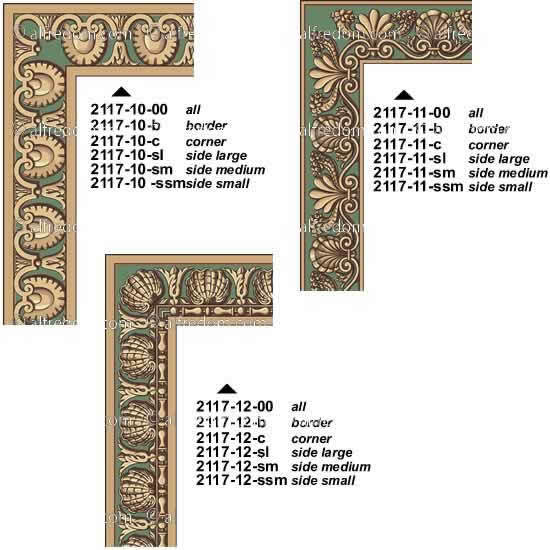 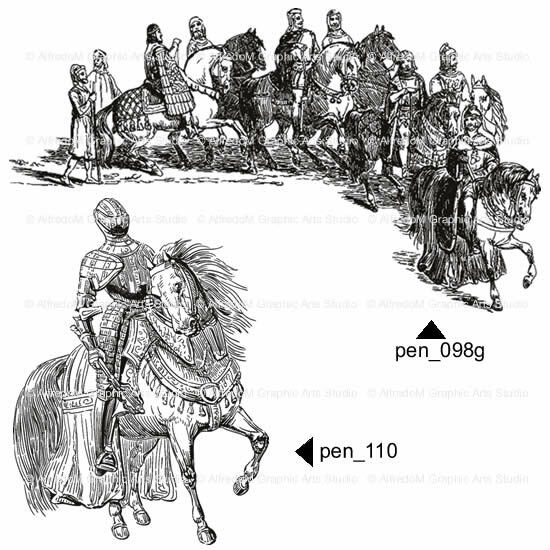 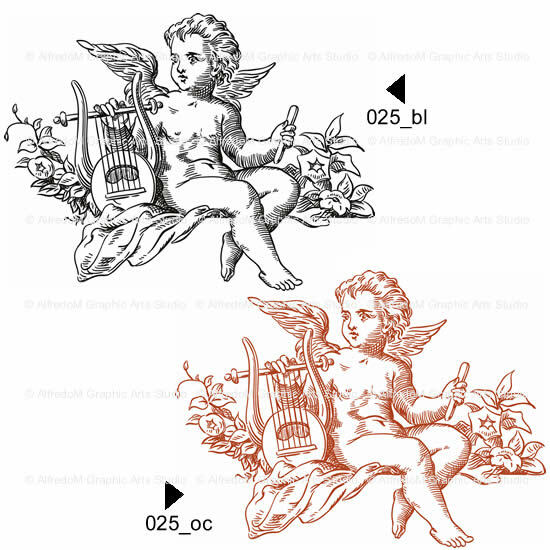 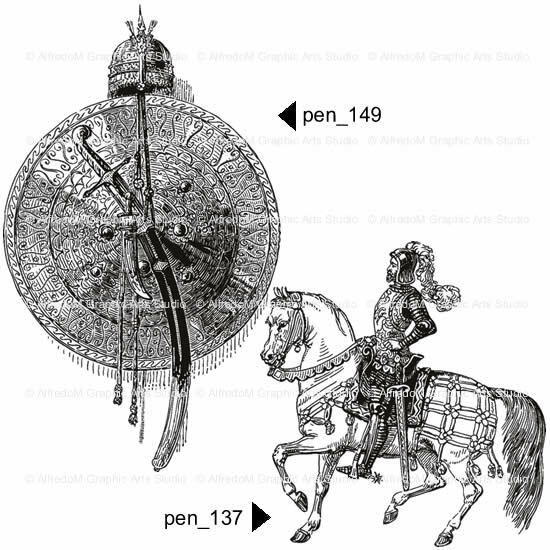 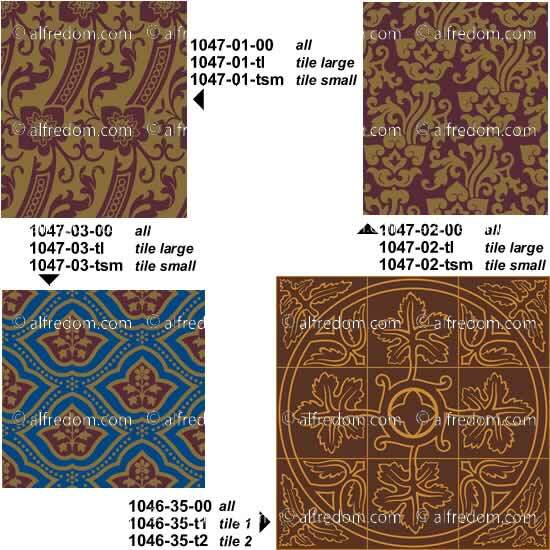 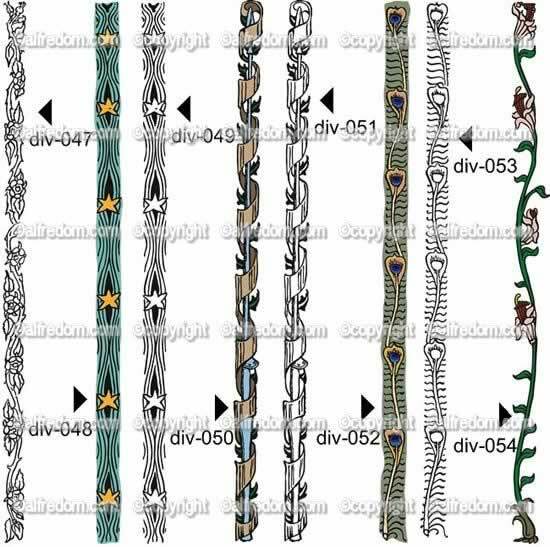 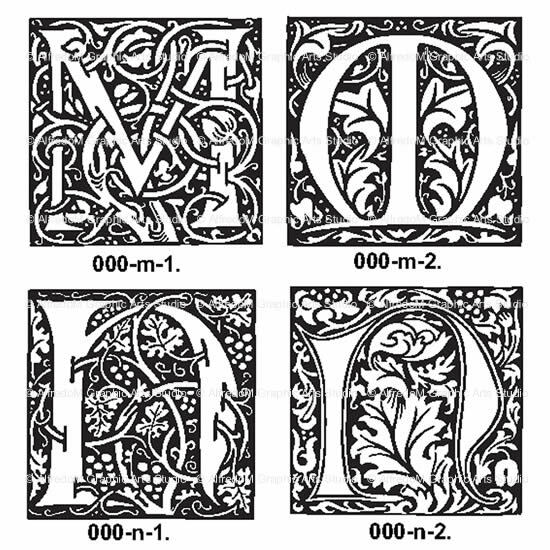 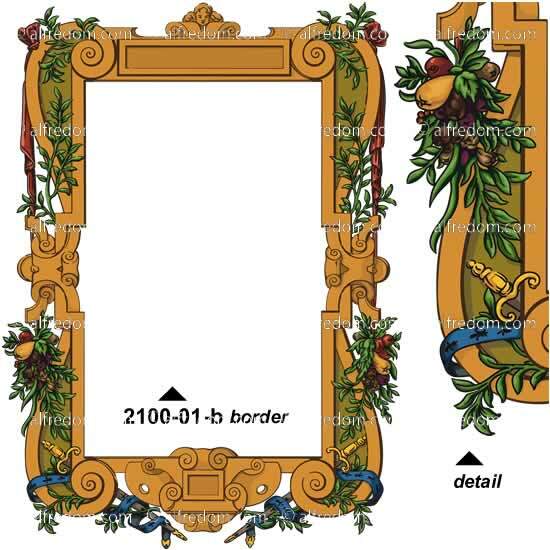 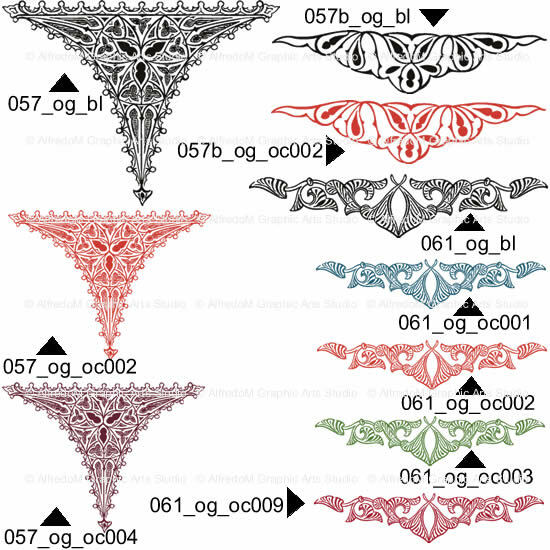 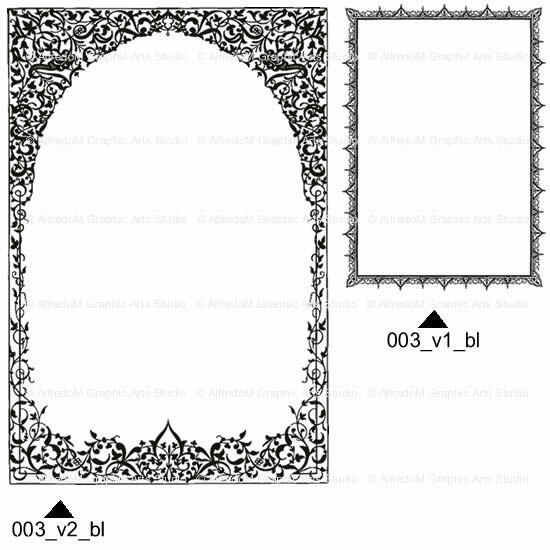 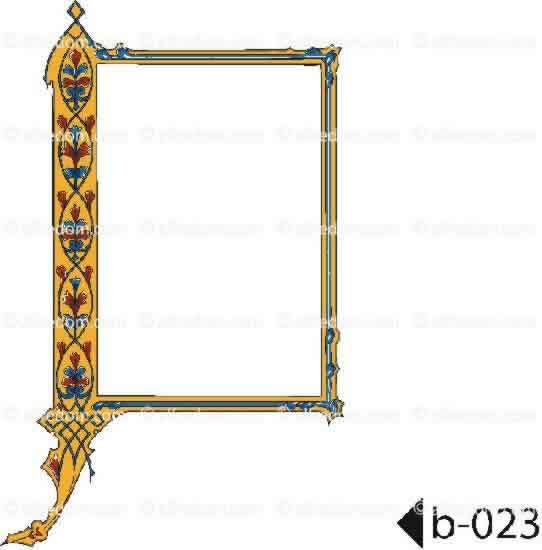 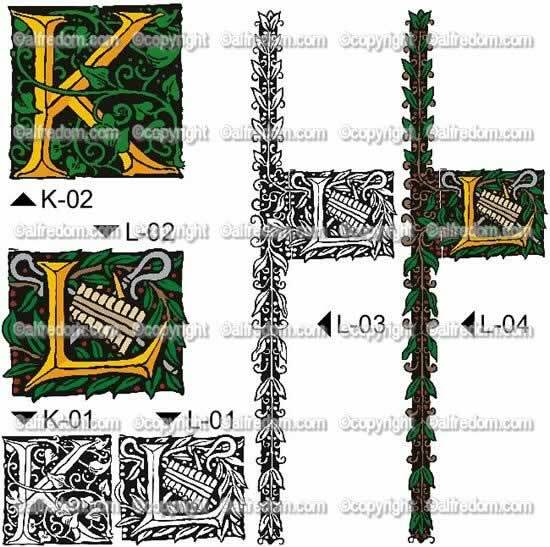 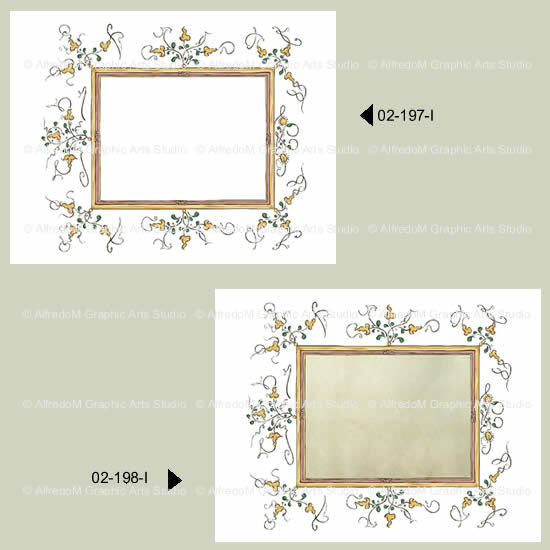 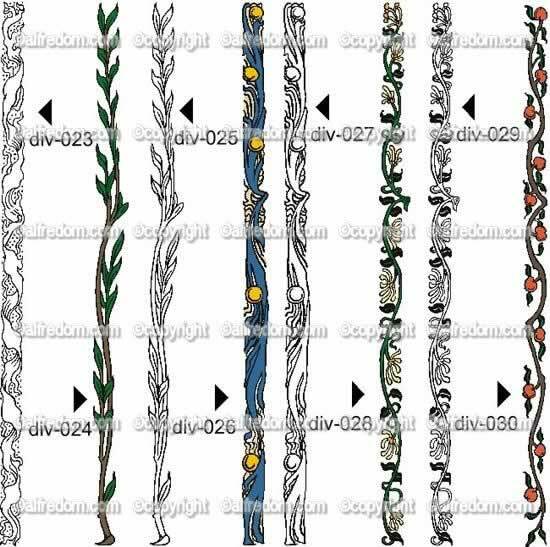 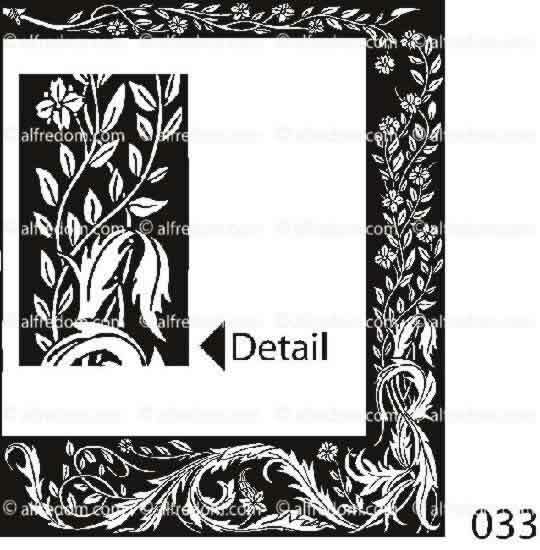 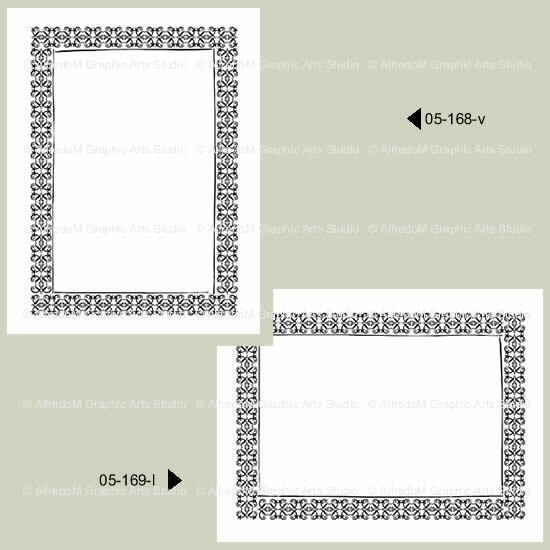 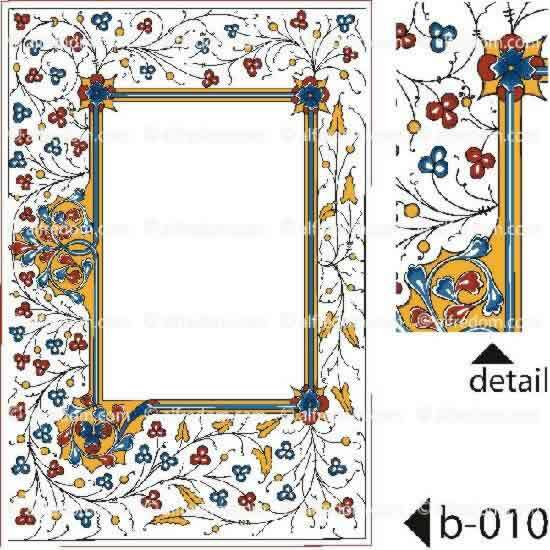 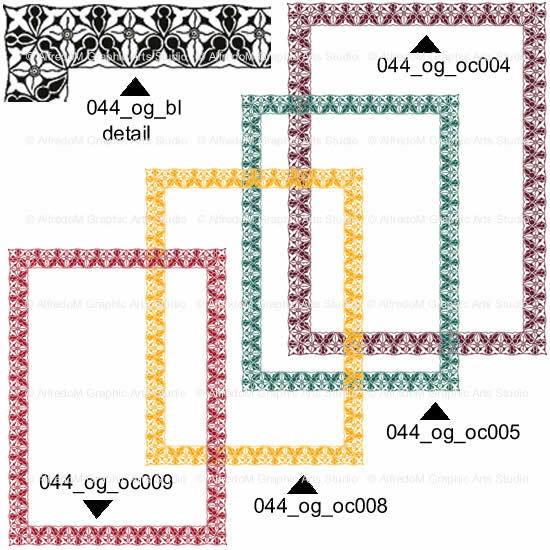 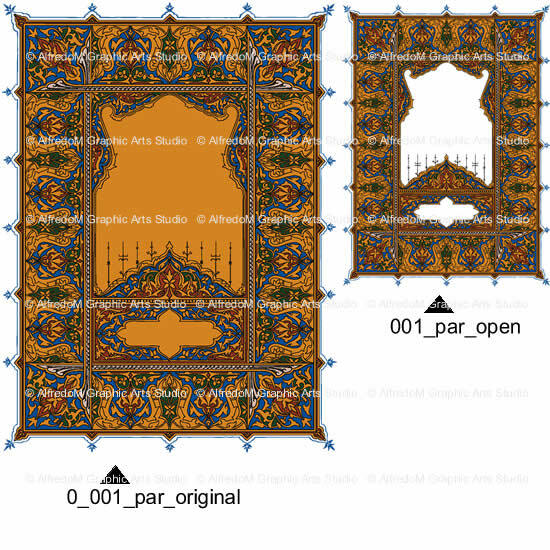 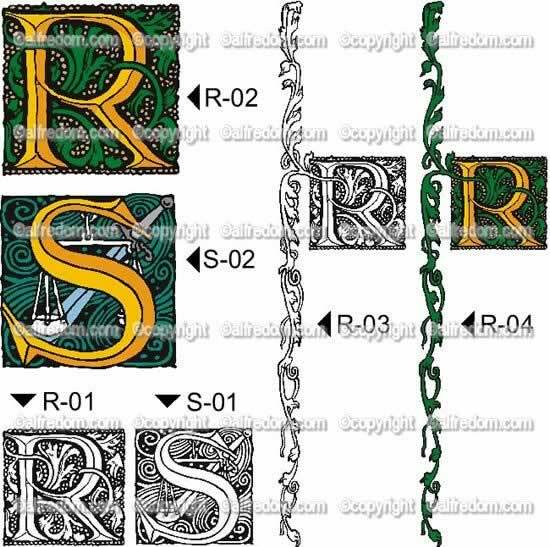 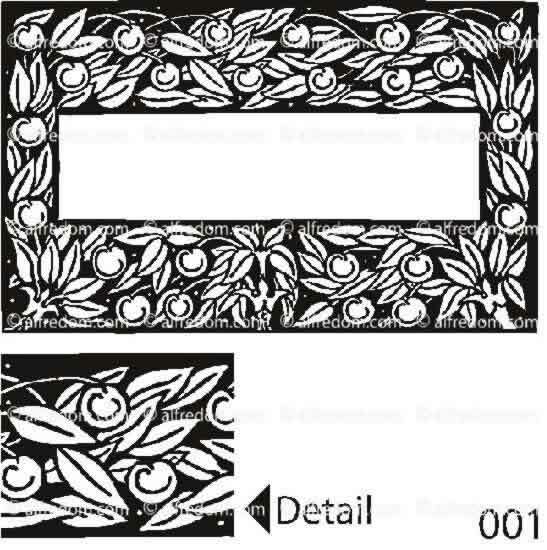 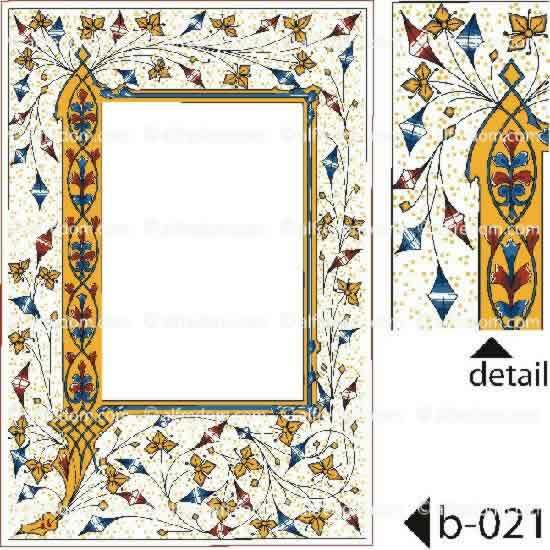 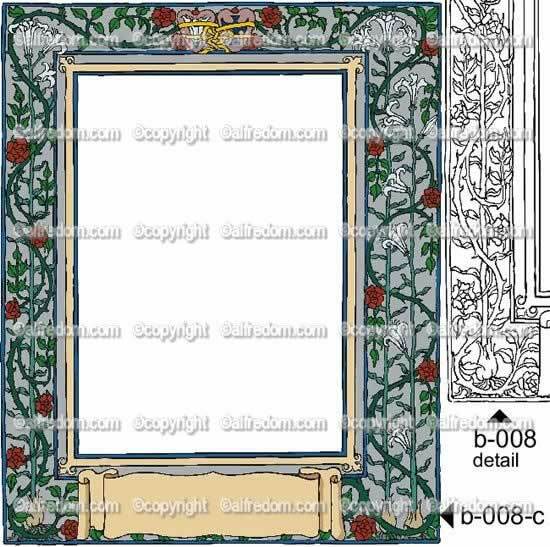 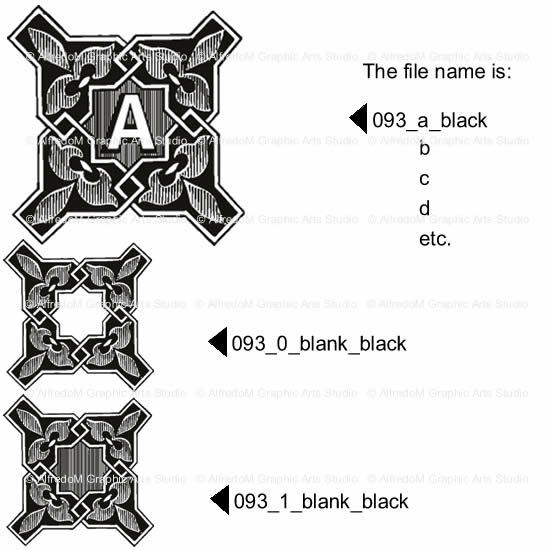 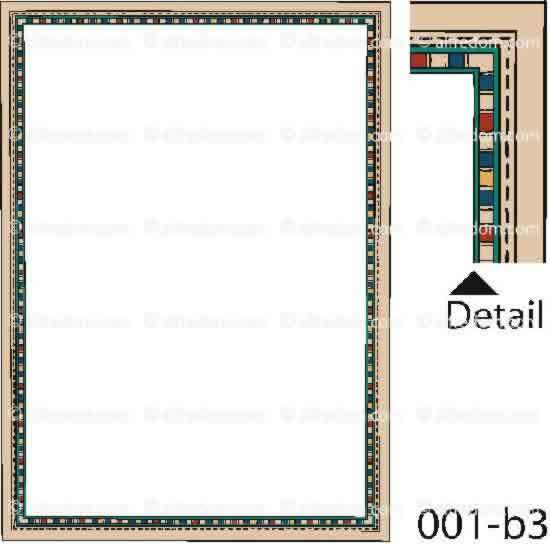 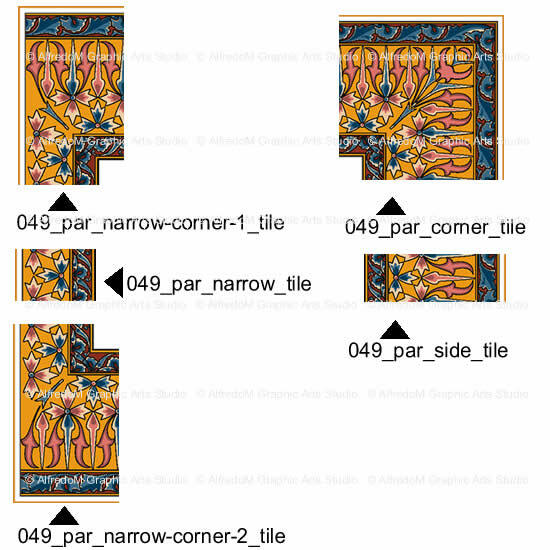 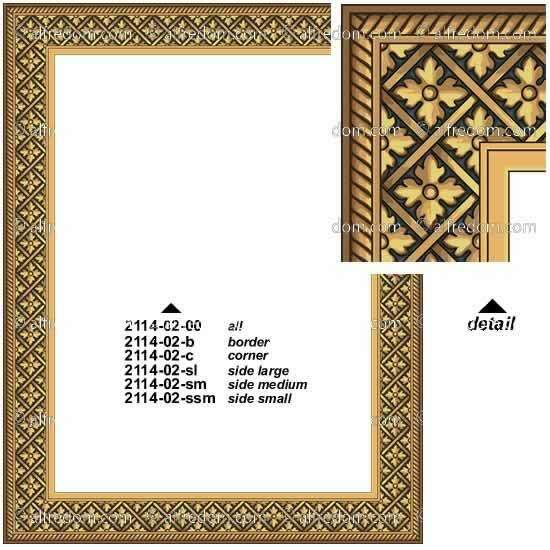 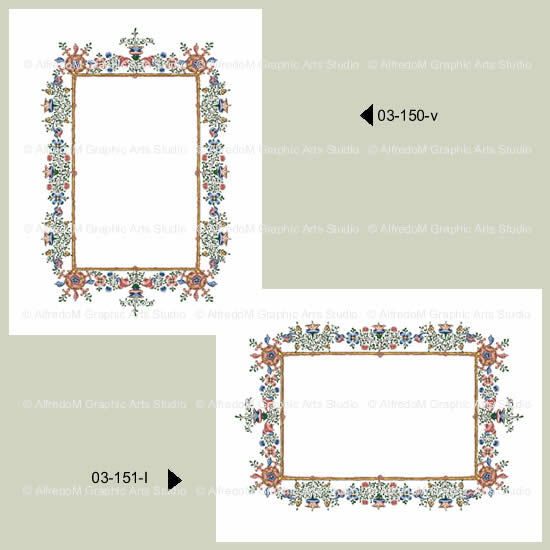 #423 - Medieval borders, headers or dividers, tiles, textile patterns and decorative elements. 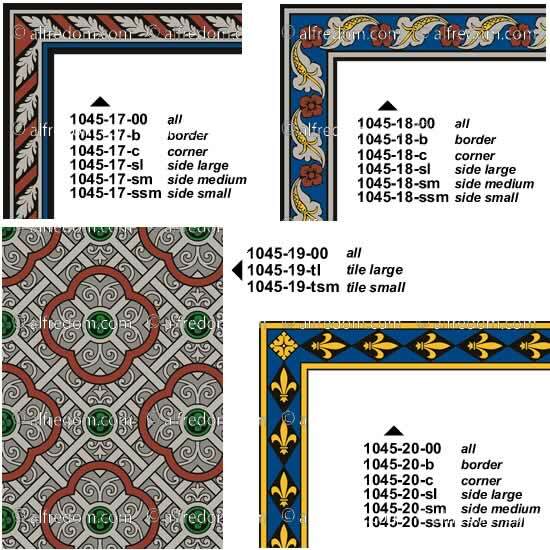 #424 - Medieval stained glass borders, tiles and patterns. 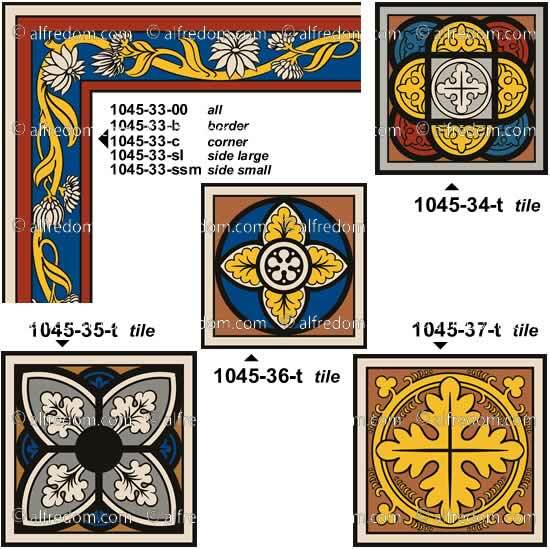 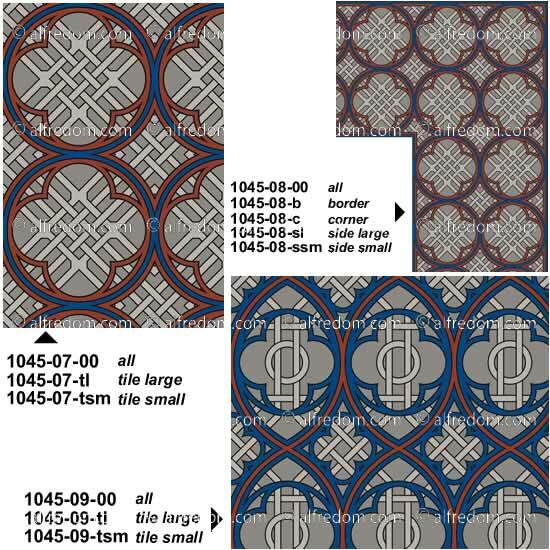 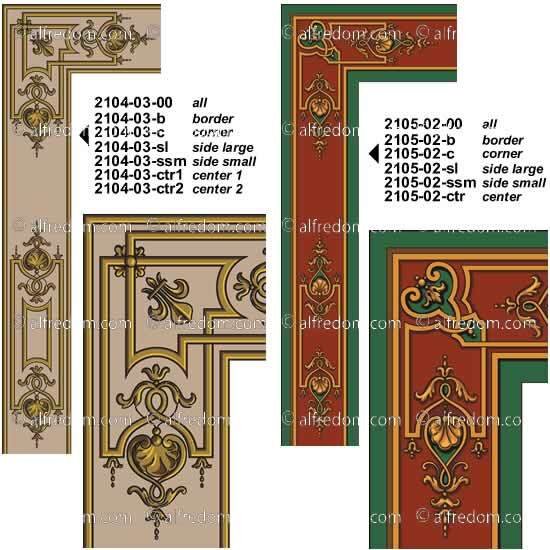 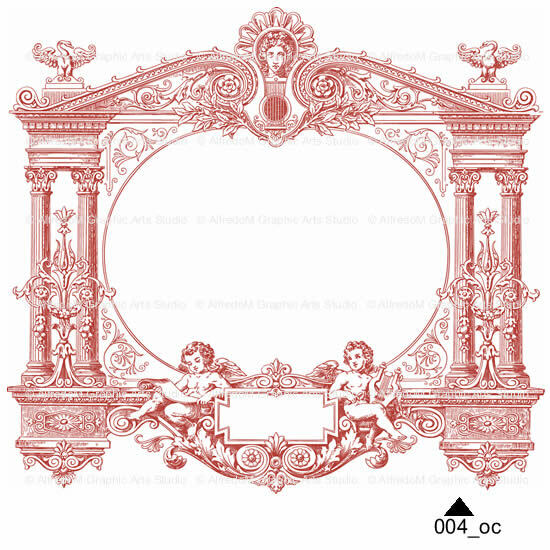 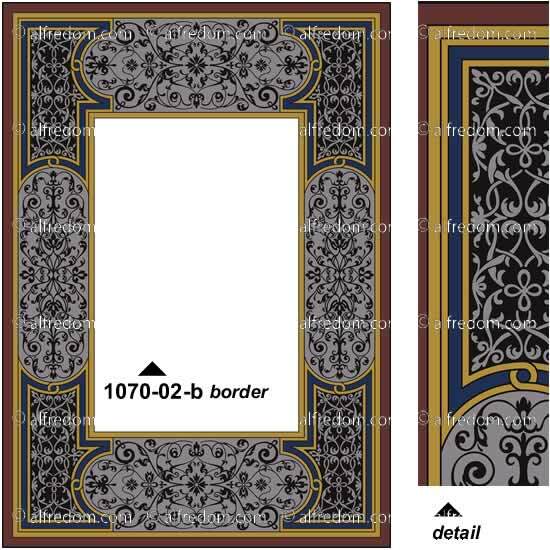 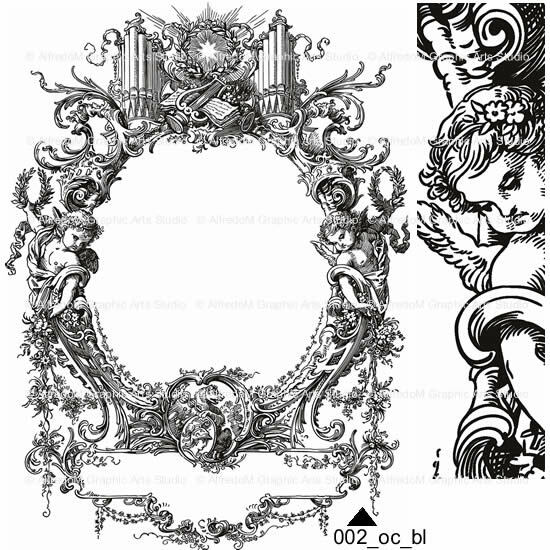 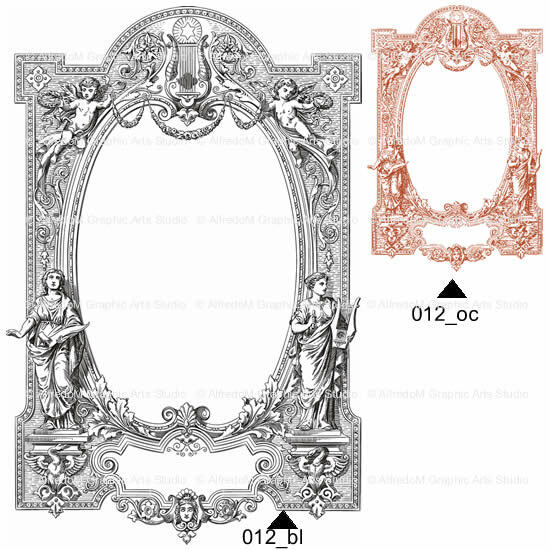 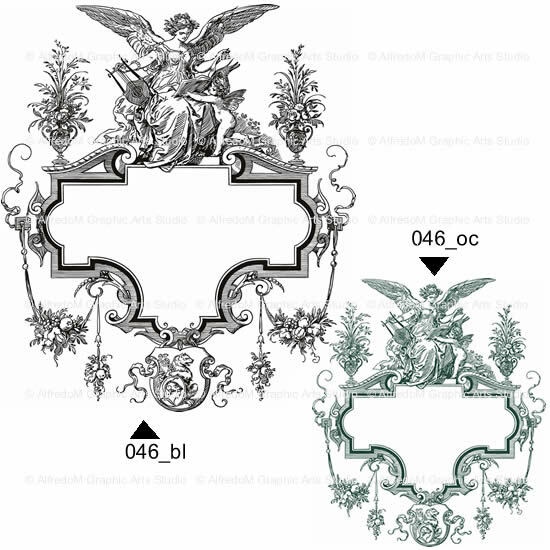 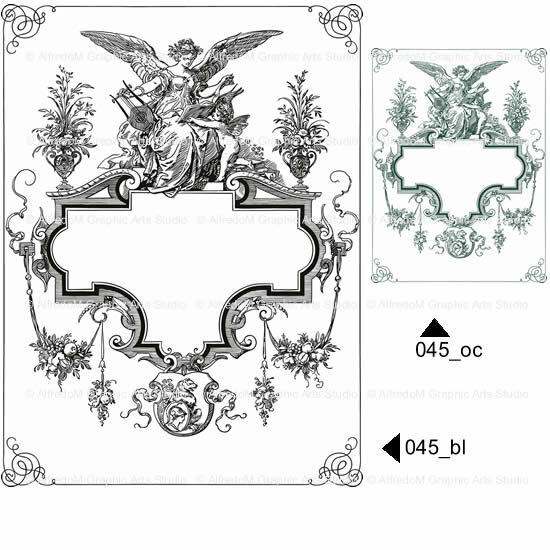 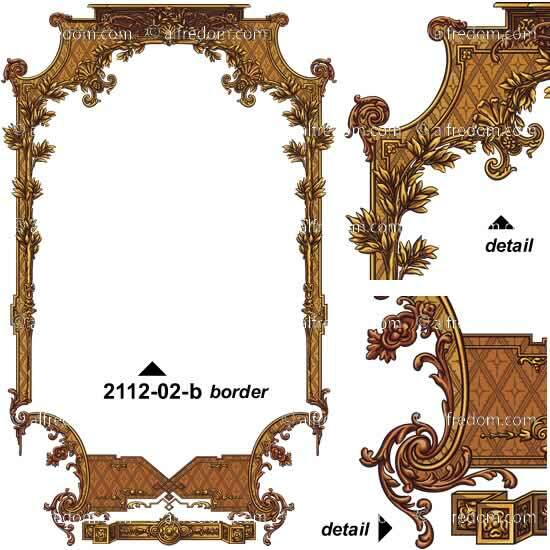 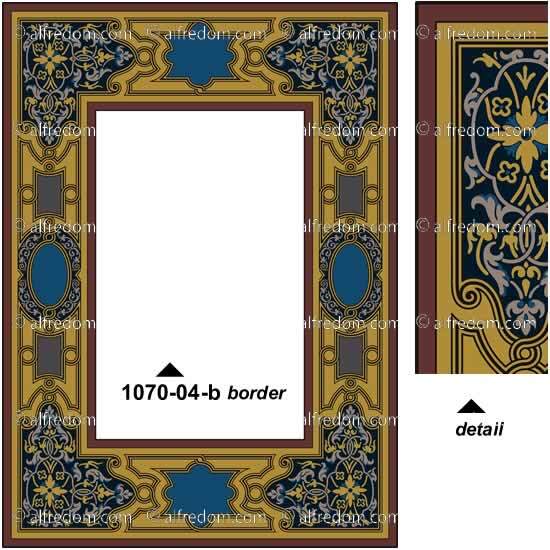 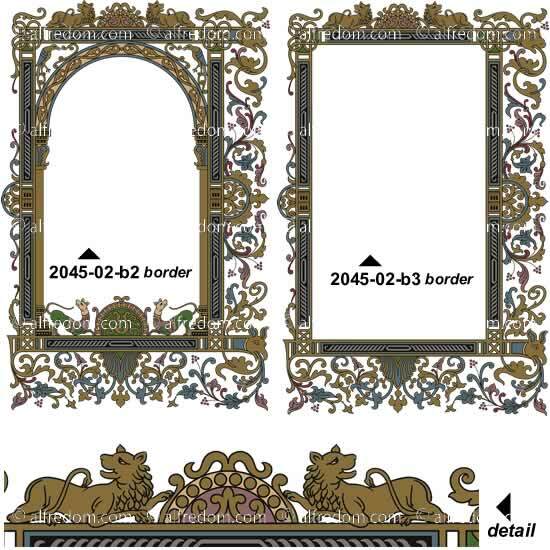 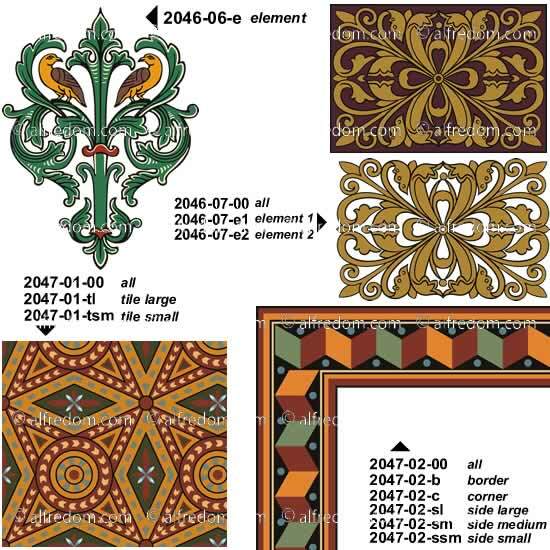 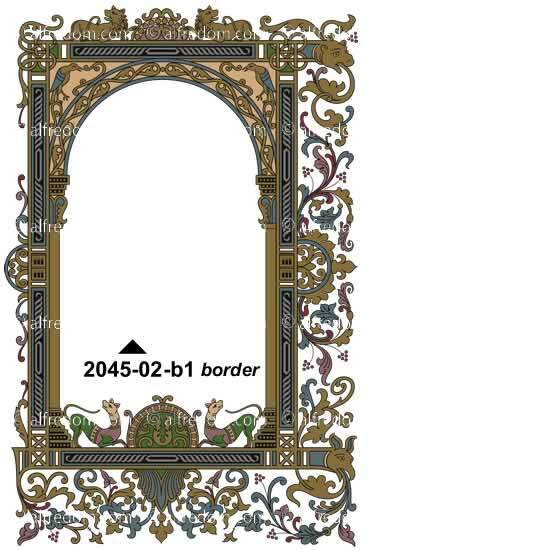 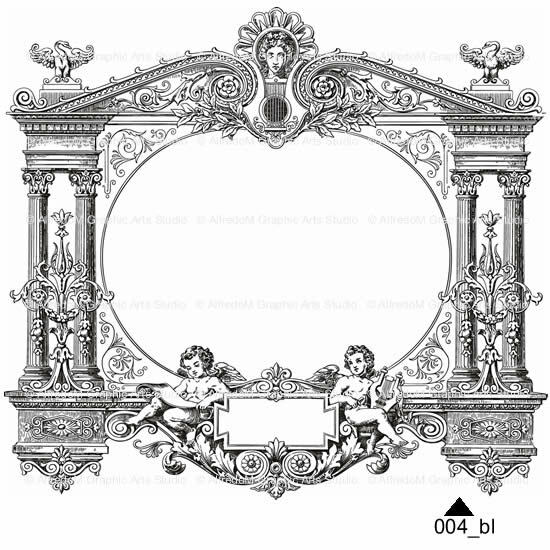 #425 - Renaissance and 17th century borders, dividers, decorative elements, tiles and patterns. 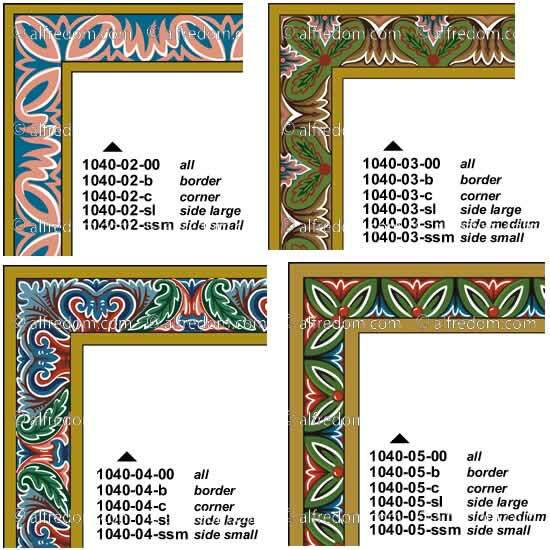 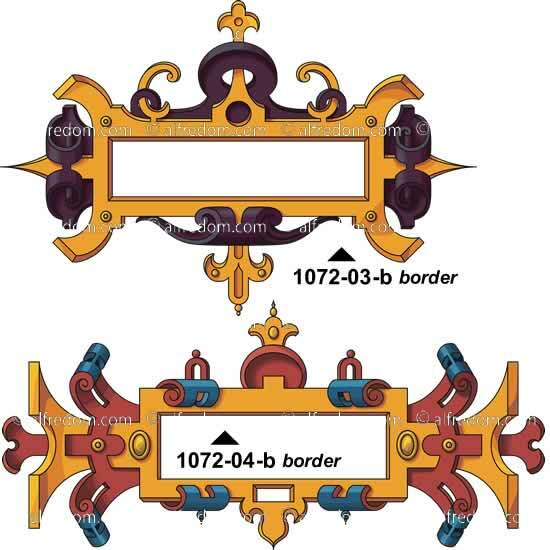 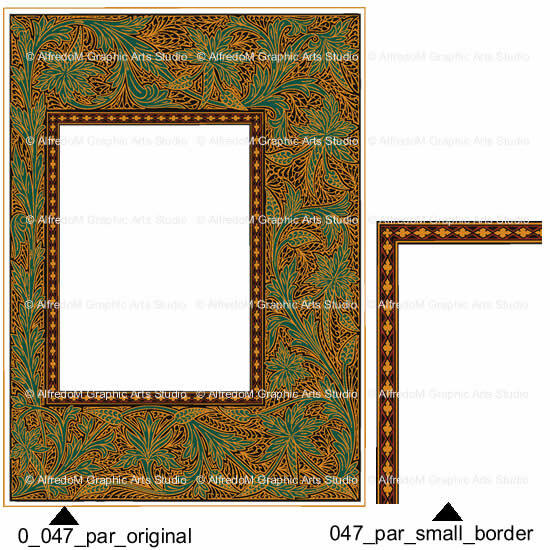 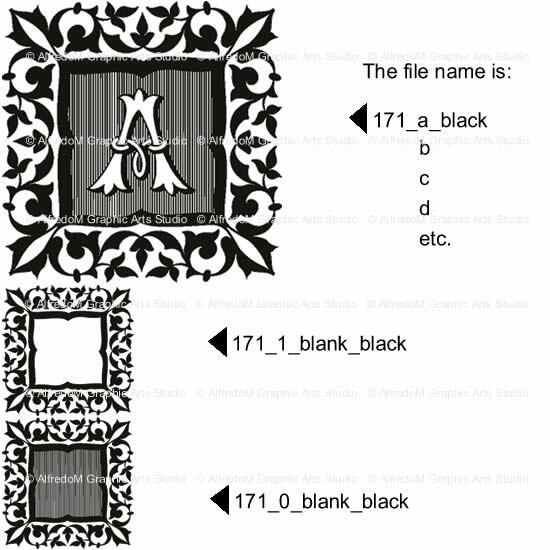 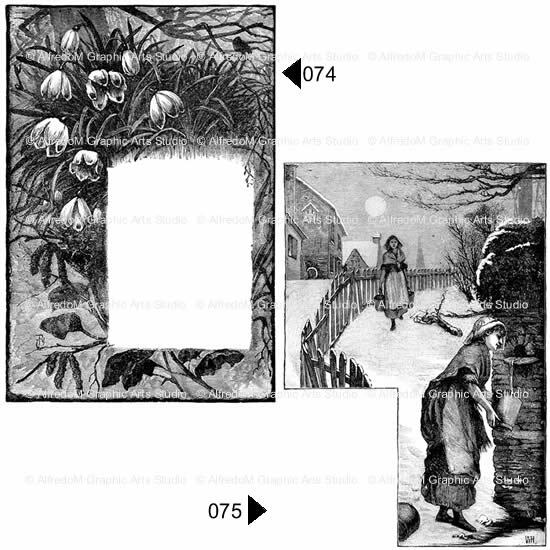 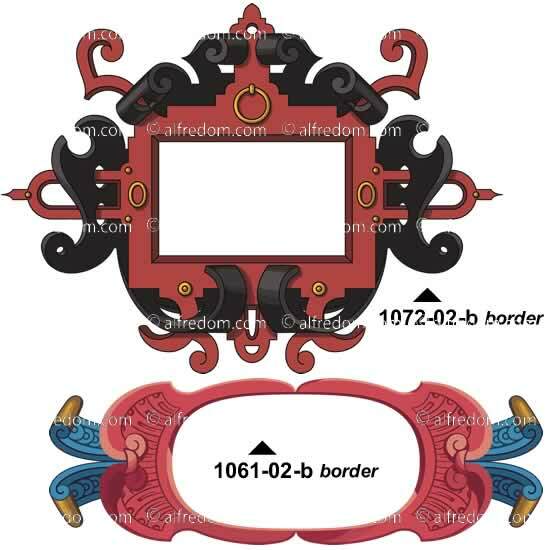 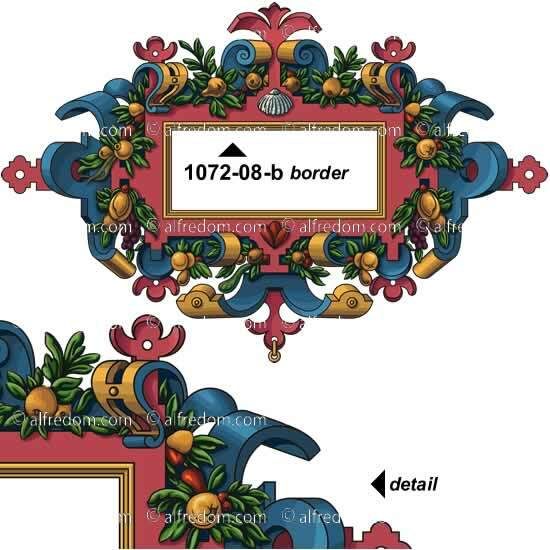 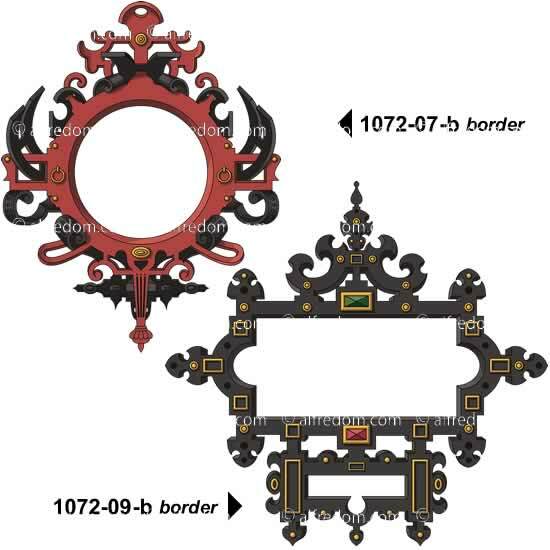 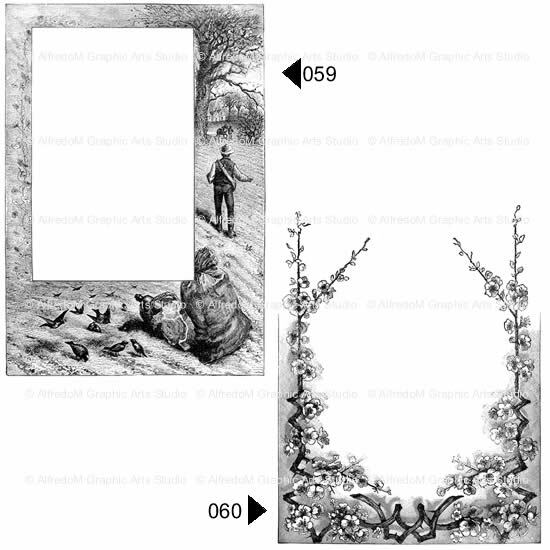 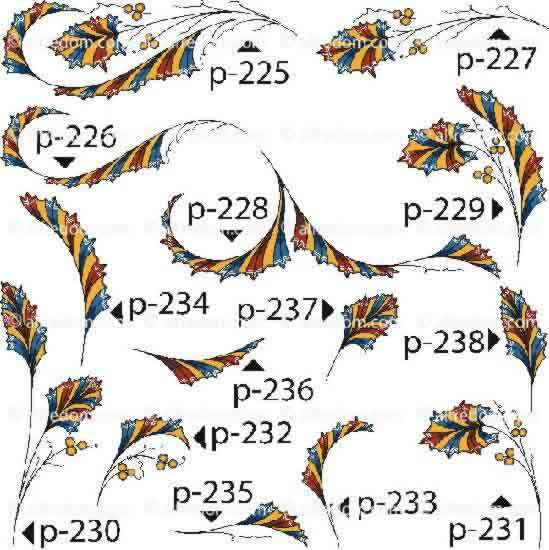 #426 - 18th century borders, dividers tiles and patterns. 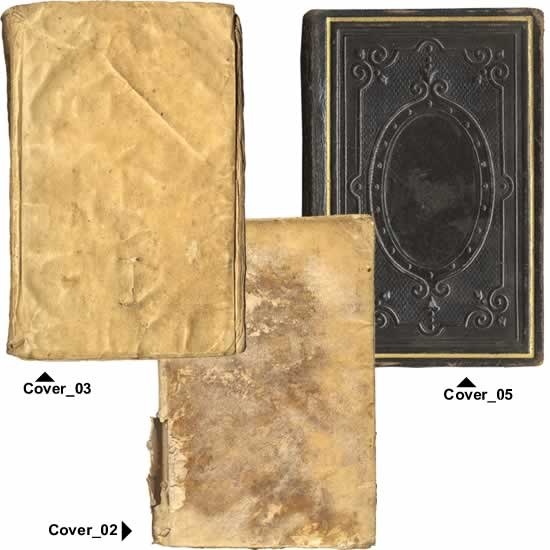 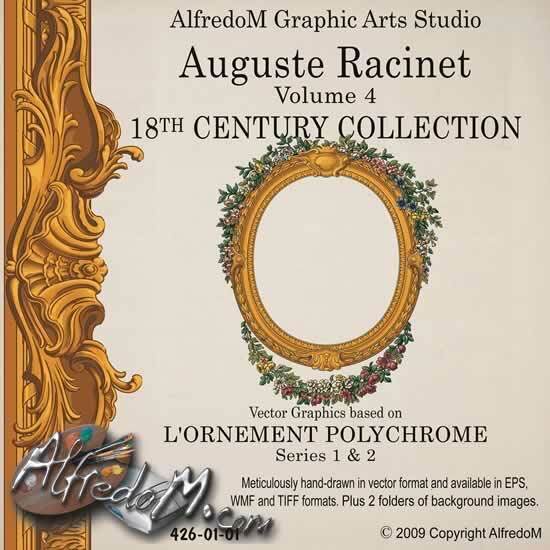 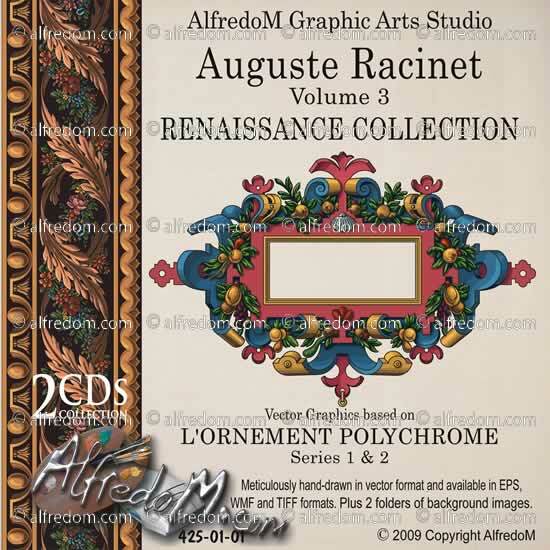 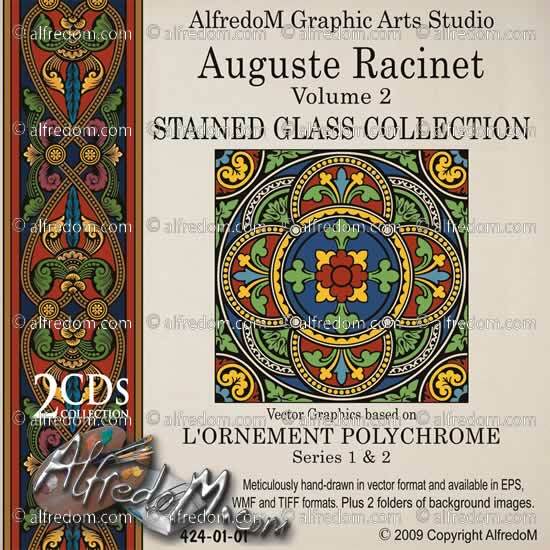 #GRa1405 - The 4 volumes of the Racinet Collection at reduced price. 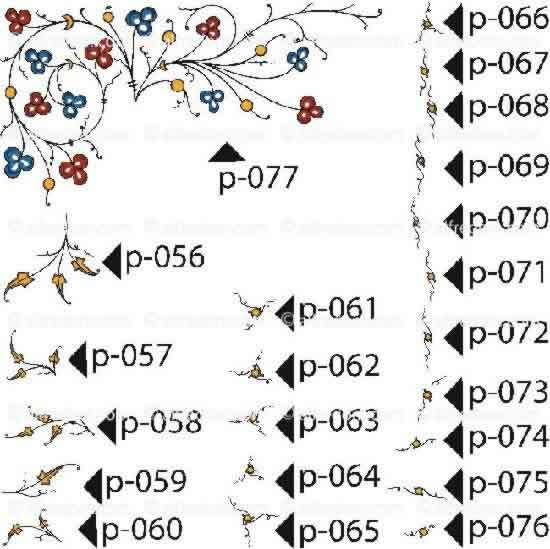 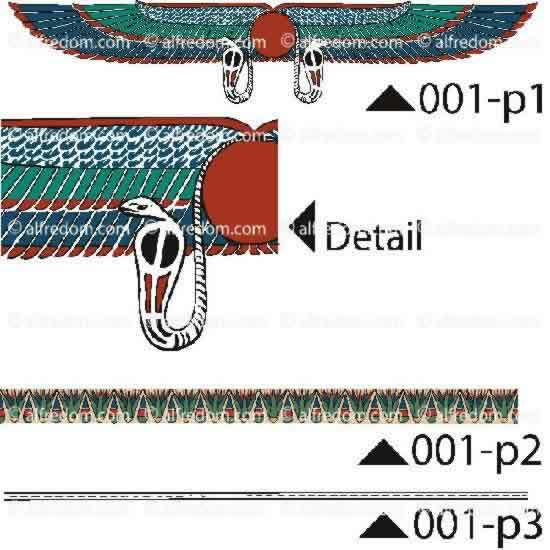 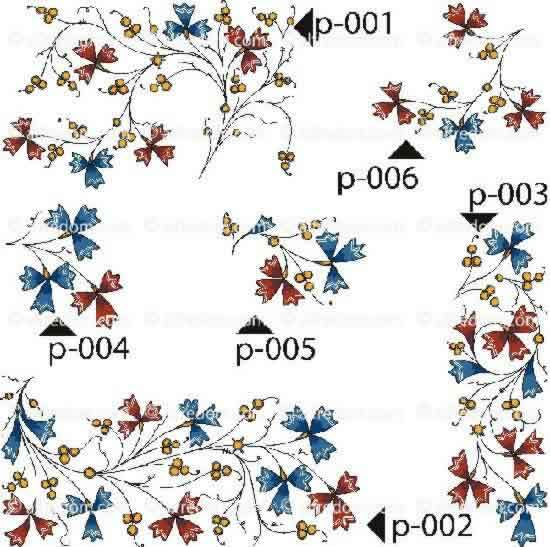 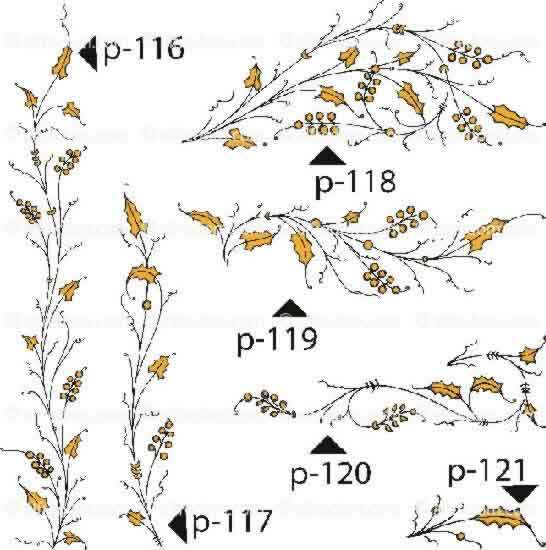 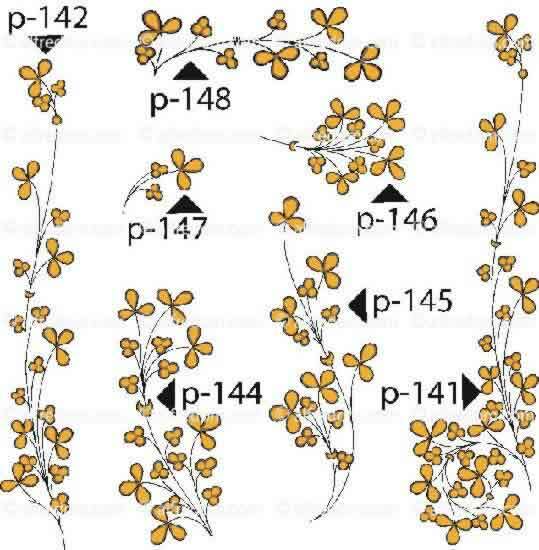 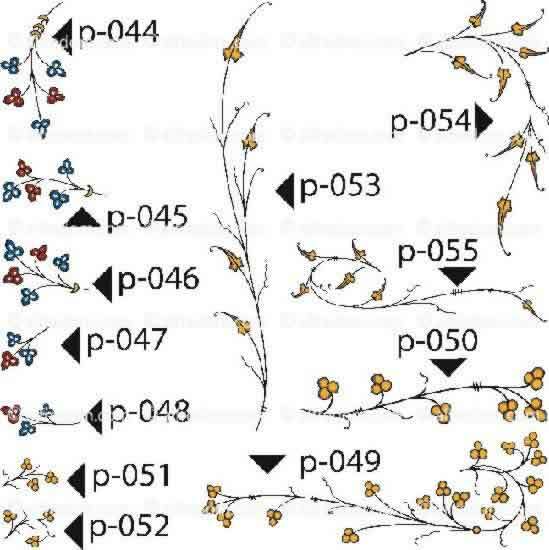 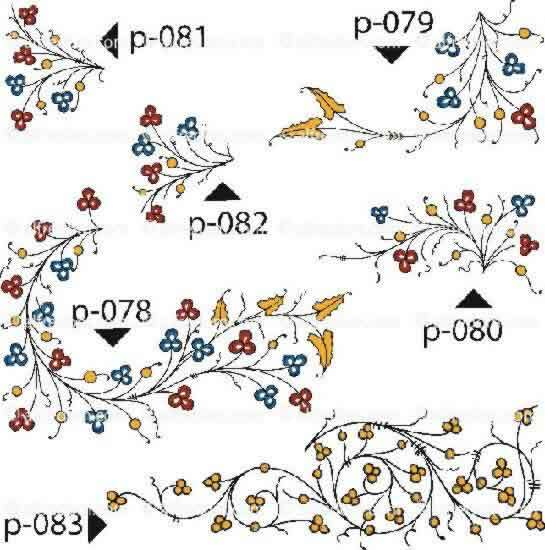 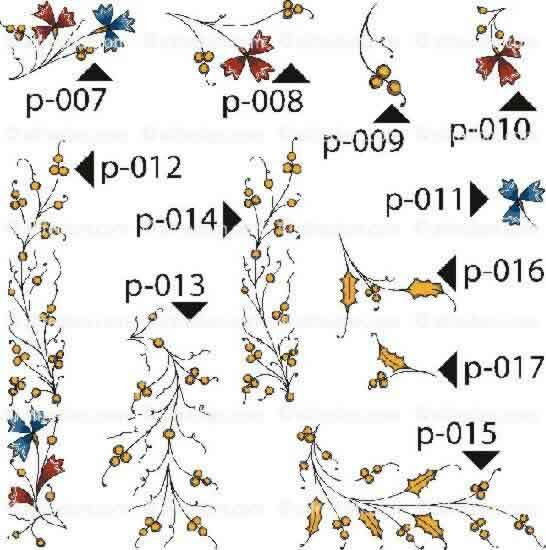 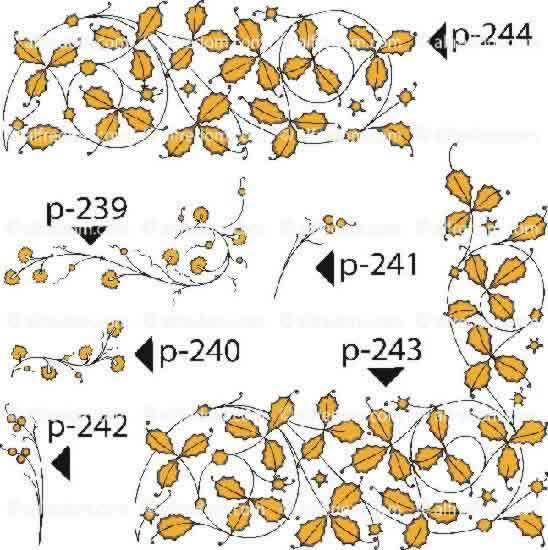 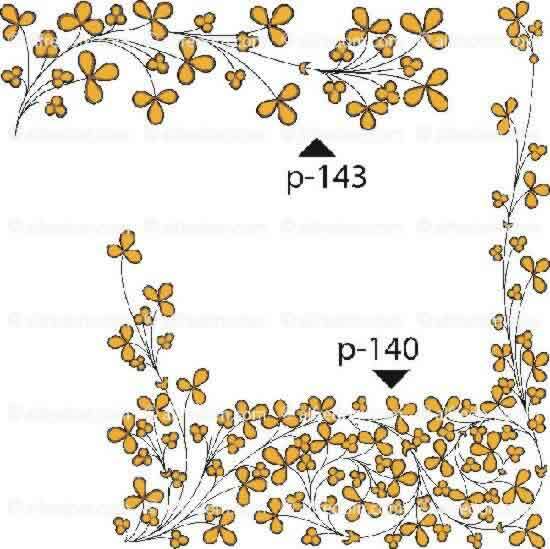 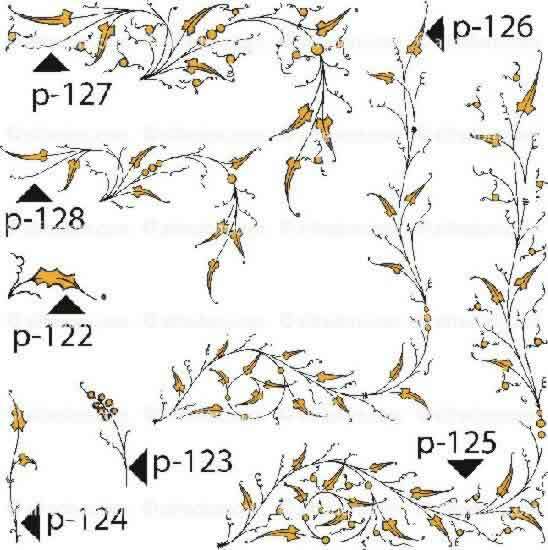 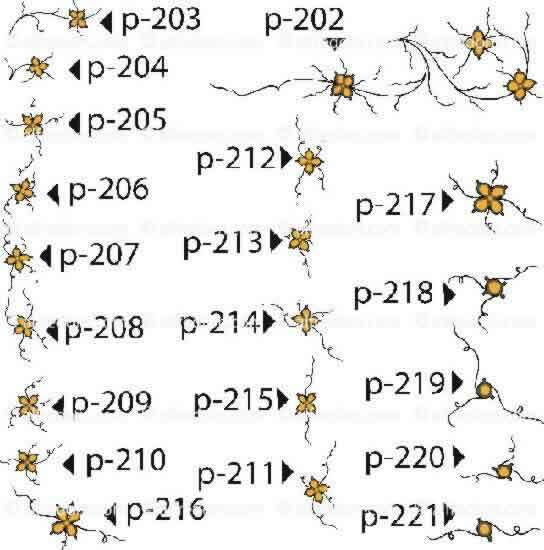 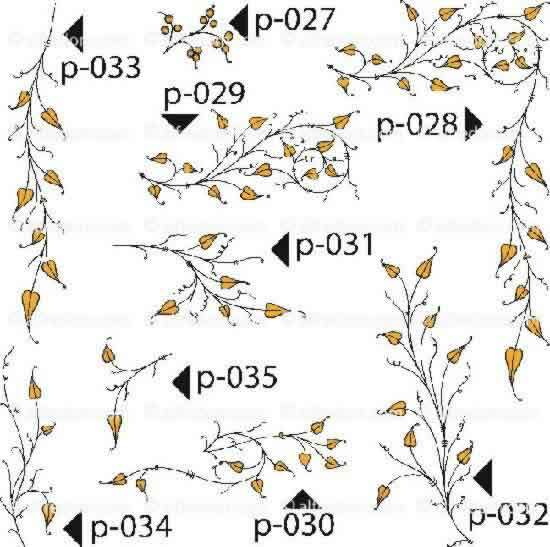 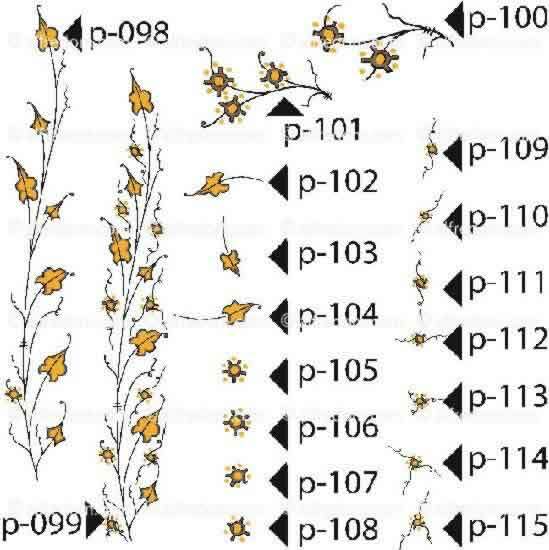 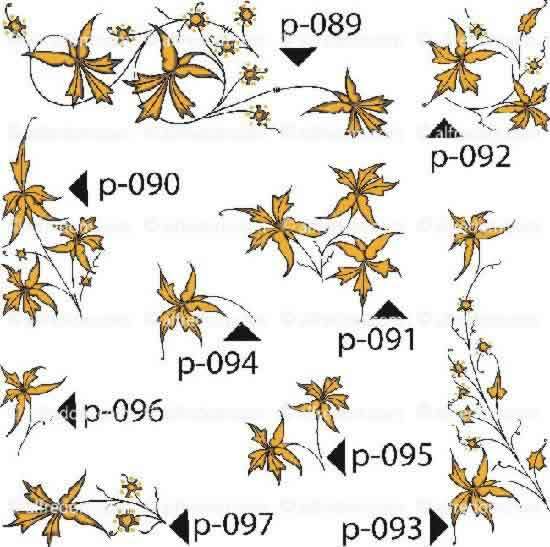 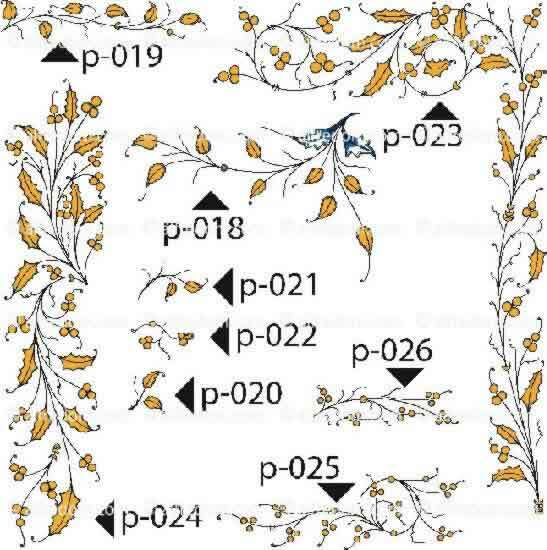 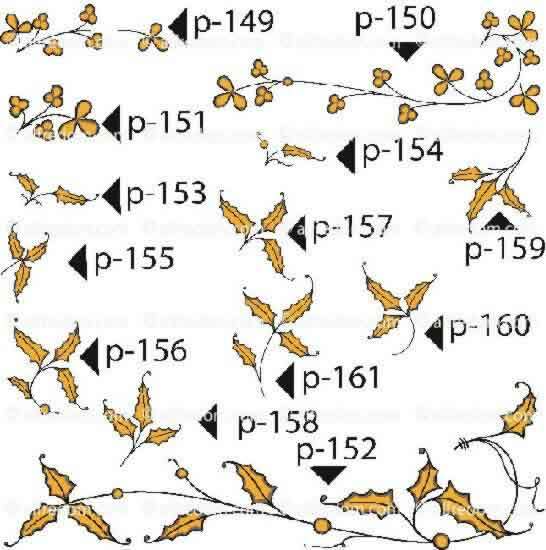 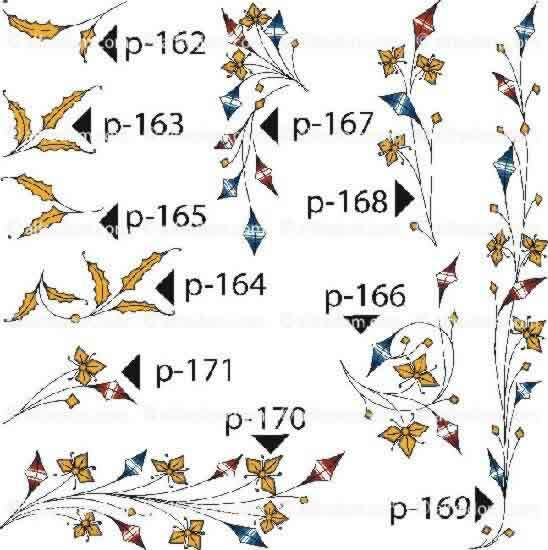 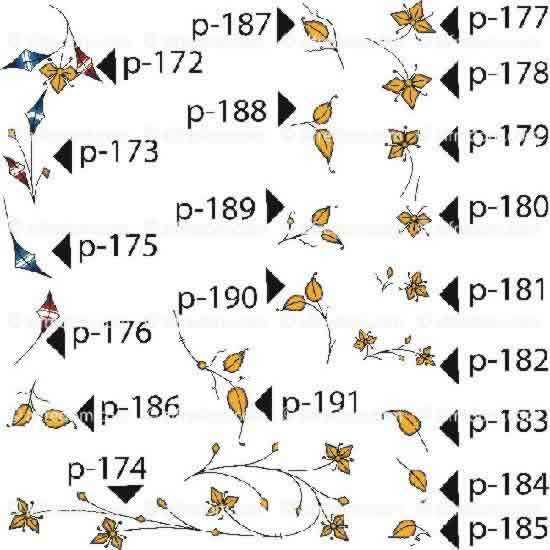 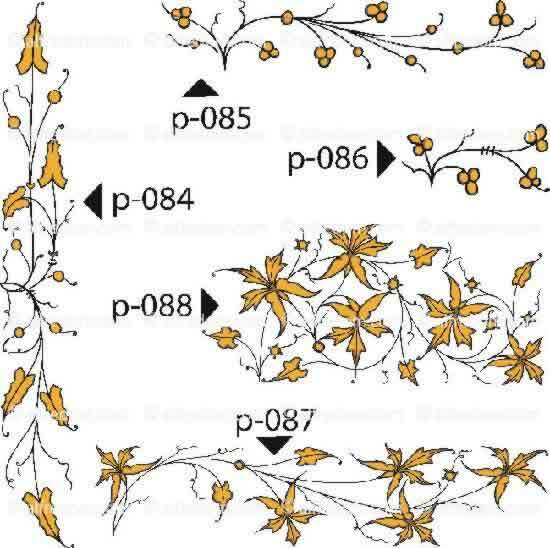 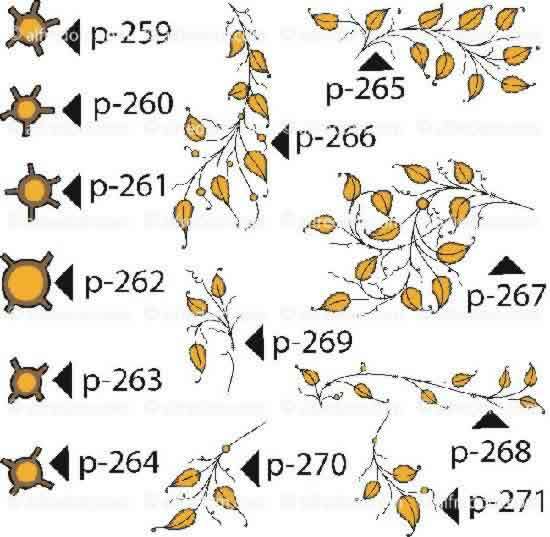 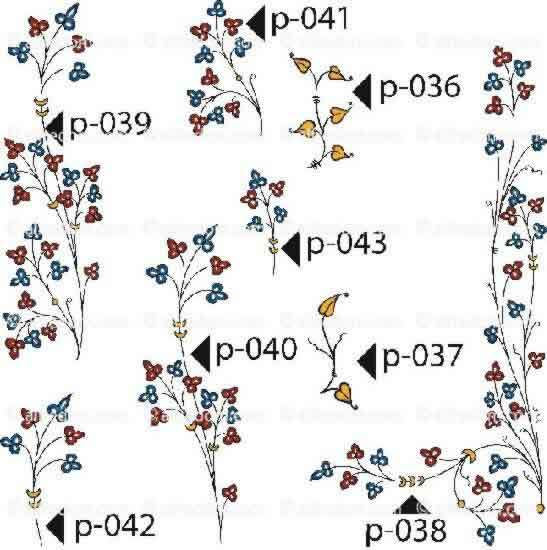 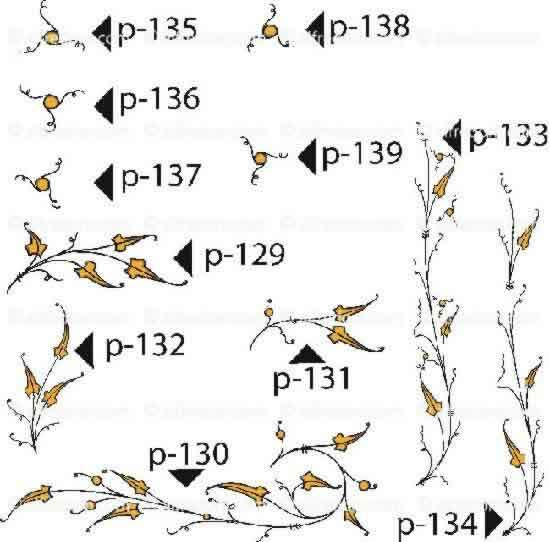 See the description of the individual volumes. 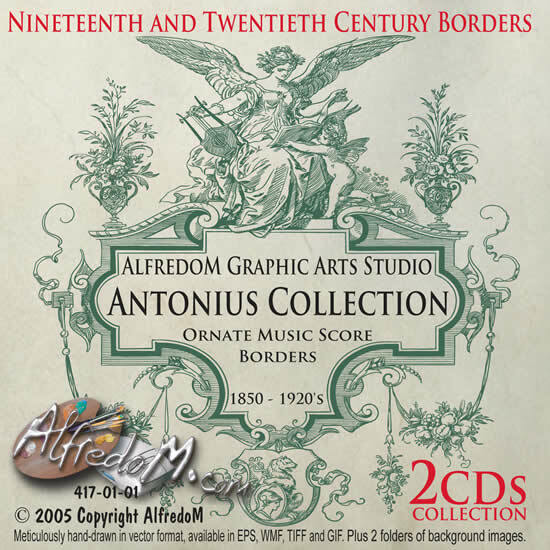 #417 - Borders from music scores title pages. 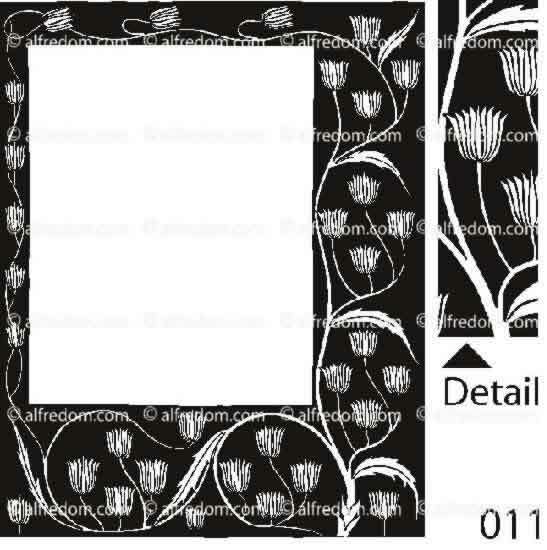 Neo-Classic, Victorian, the Arts & Craft Movement and Liberty. 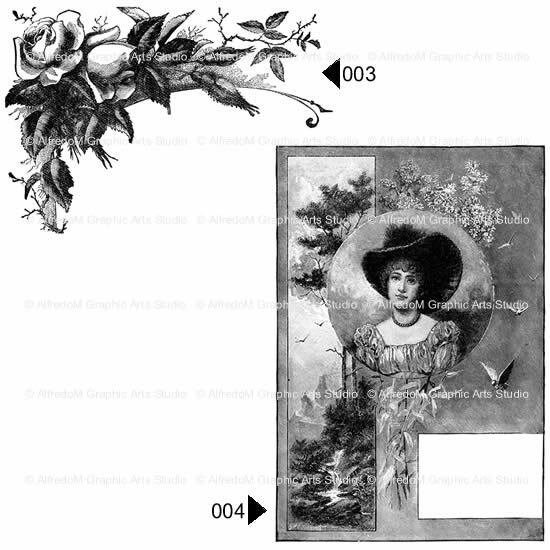 1850 to 1920s. 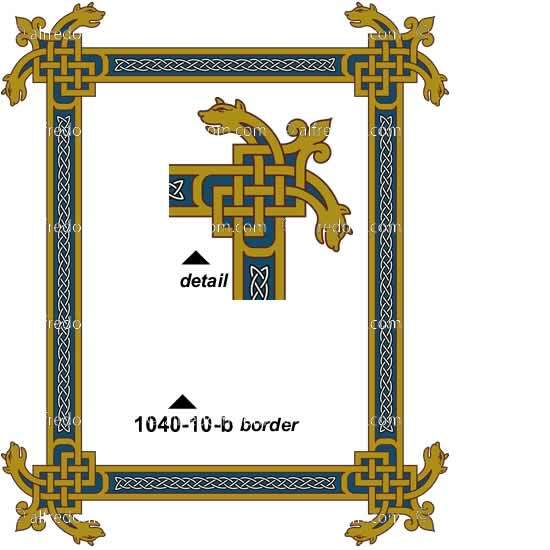 #418 - All the 31 borders and 113 illuminated capital letters from the most acclaimed book of the modern time. 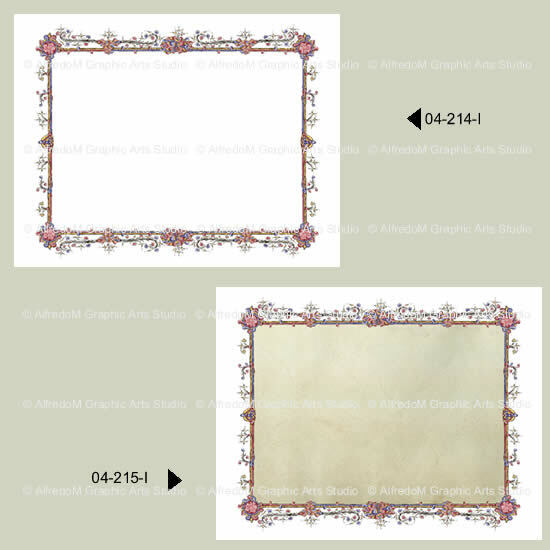 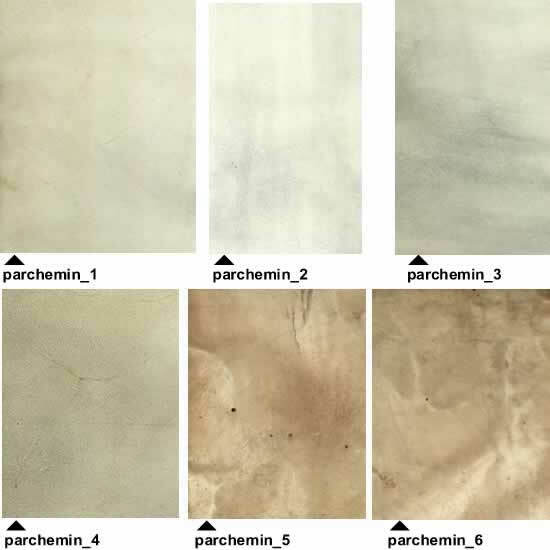 Background images. 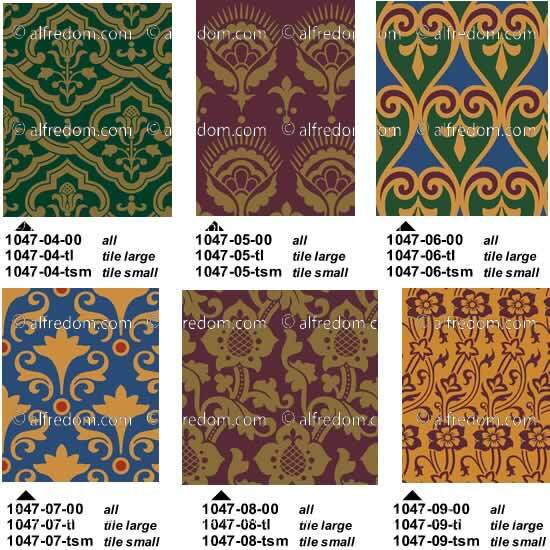 #419 - A very large collection. 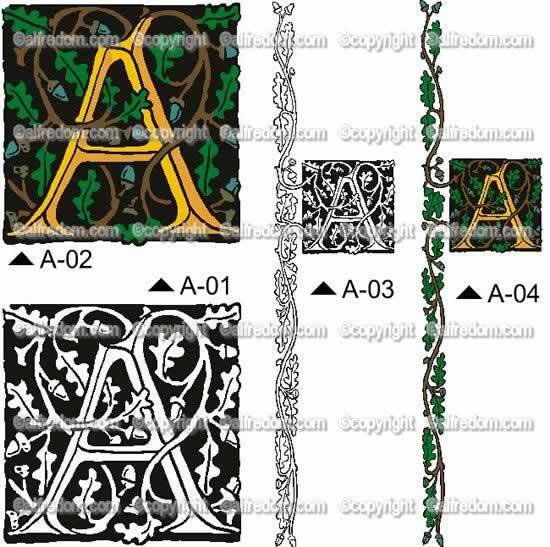 57 large borders, 56 headers, 65 dividers, 19 scrolls, 115 illuminated initial letters. 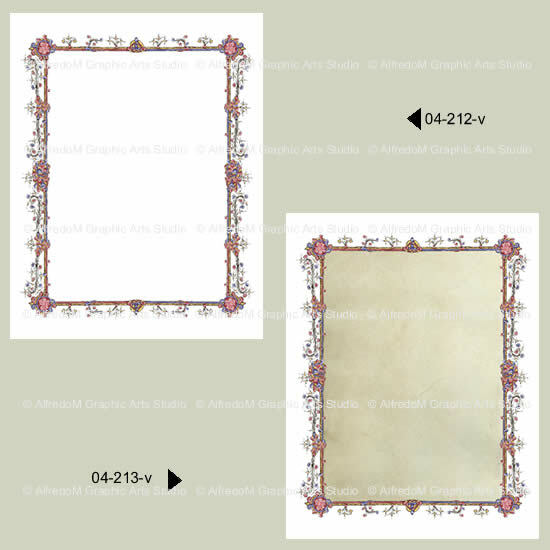 Background images. 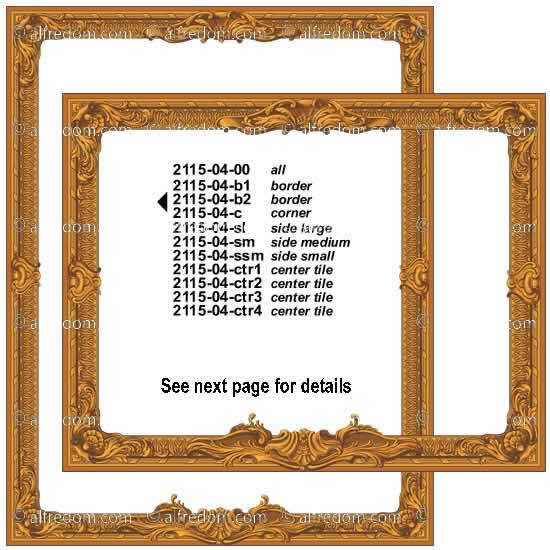 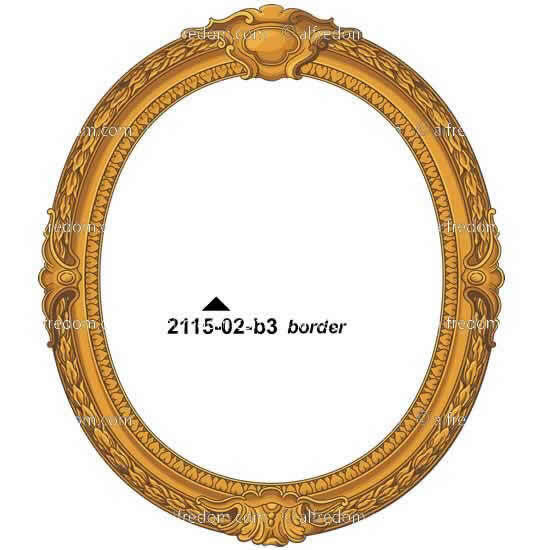 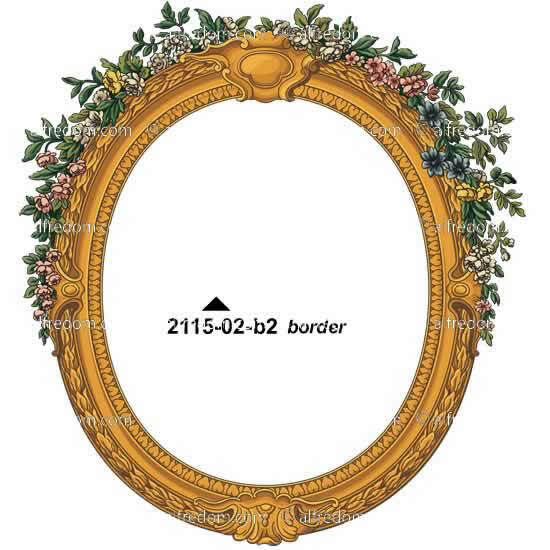 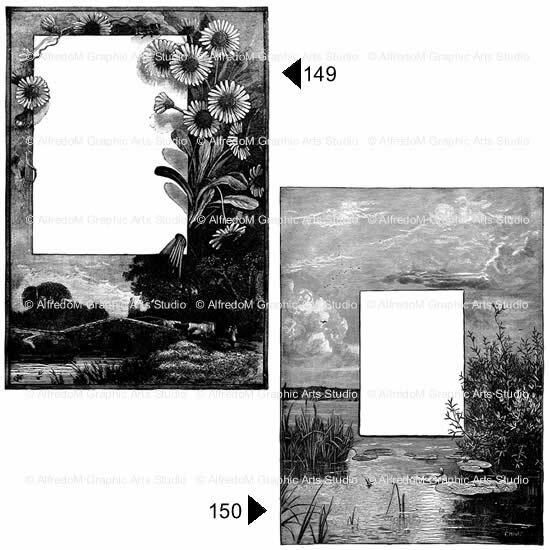 #422 - Selected borders, 38 images (all the usable borders). 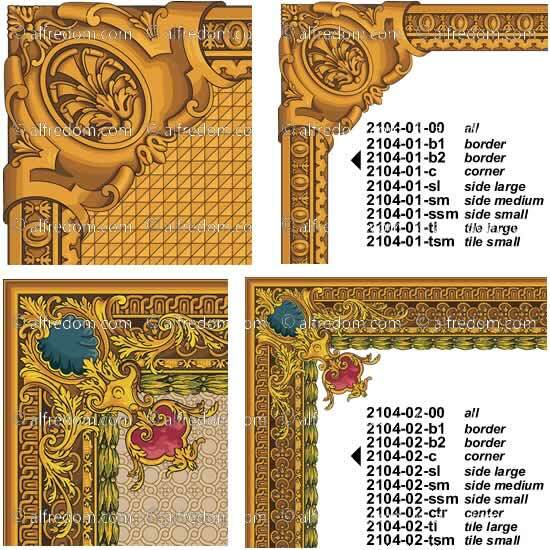 Background images. 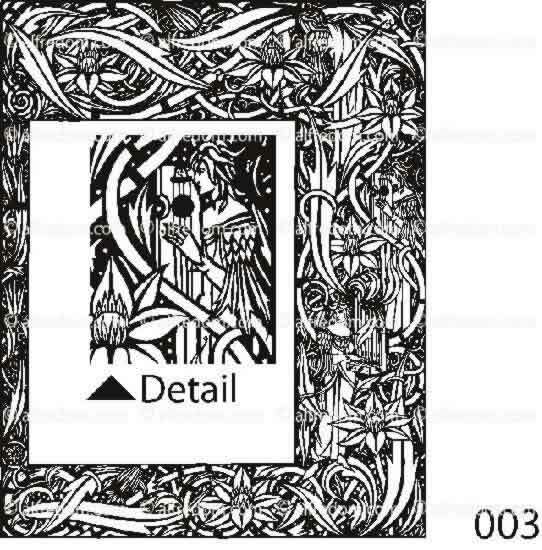 #410 - From Ancient Spanish Ballads. 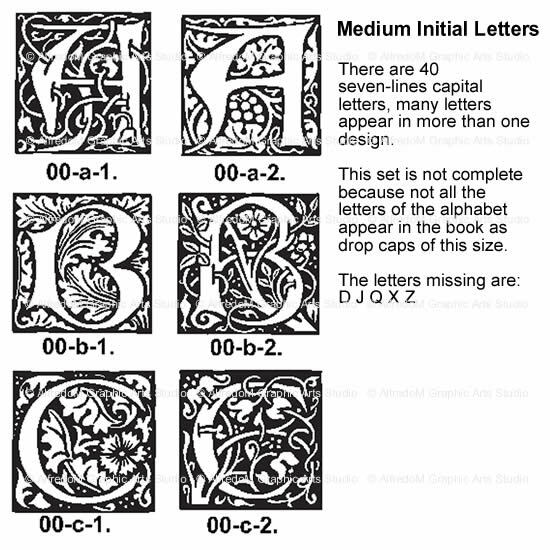 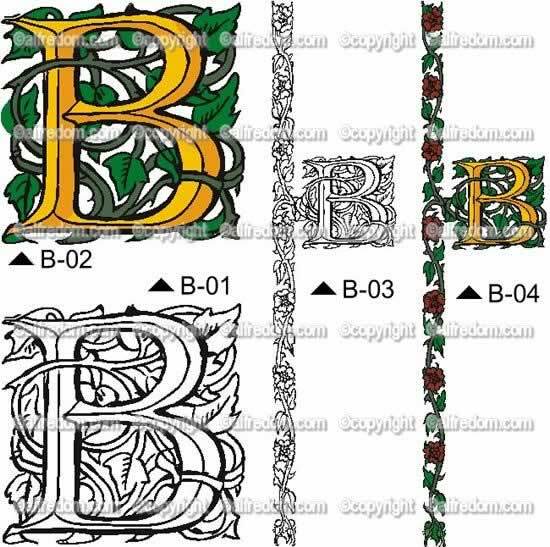 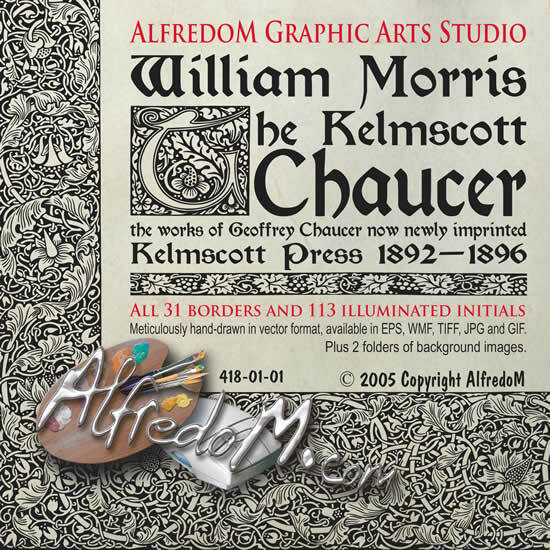 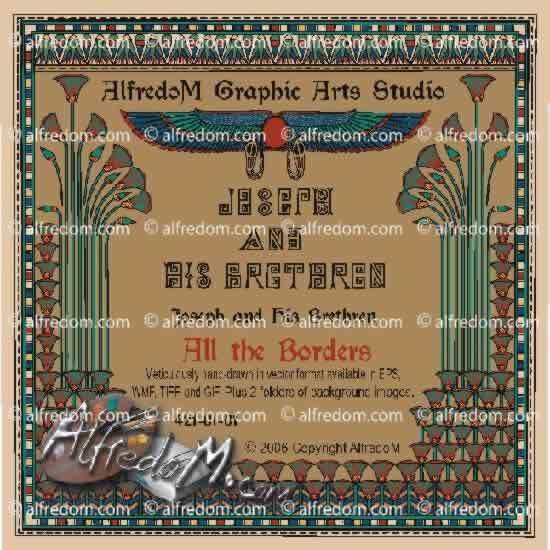 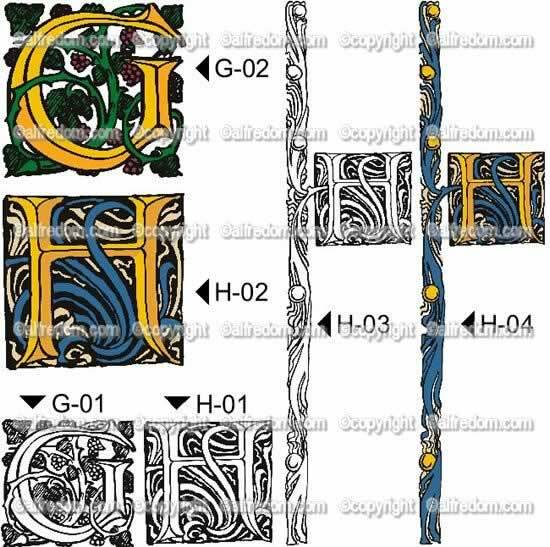 Borders, illuminated initials capital letters, title pages, headers, penwork, backgrounds, etc. 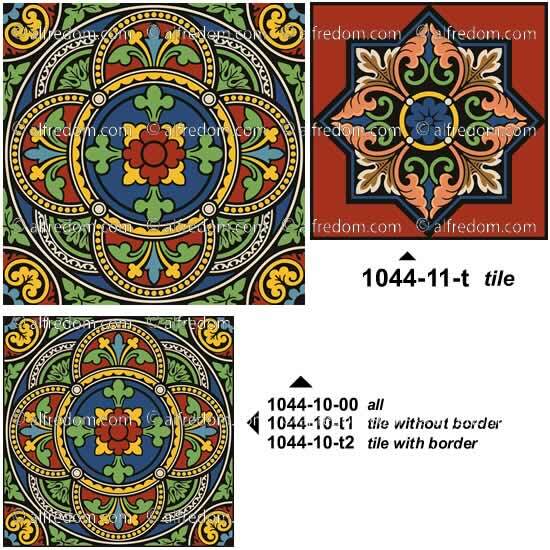 #411 - From Paradise and the Peri. 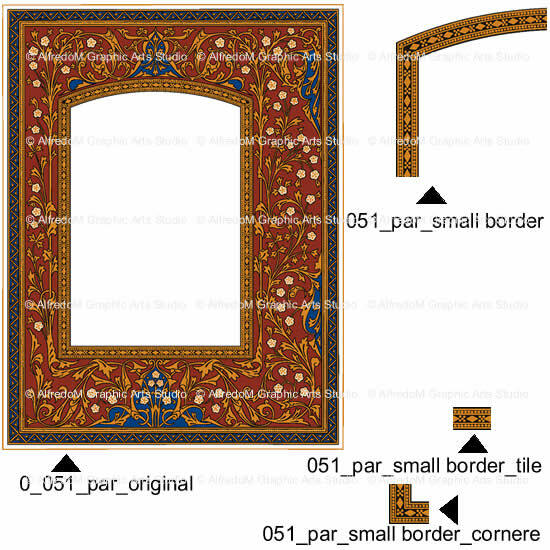 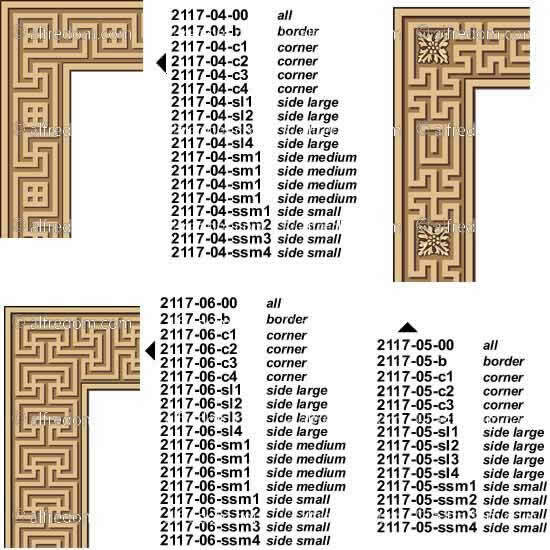 All the borders; small borders, borders tiles, backgrounds, etc. 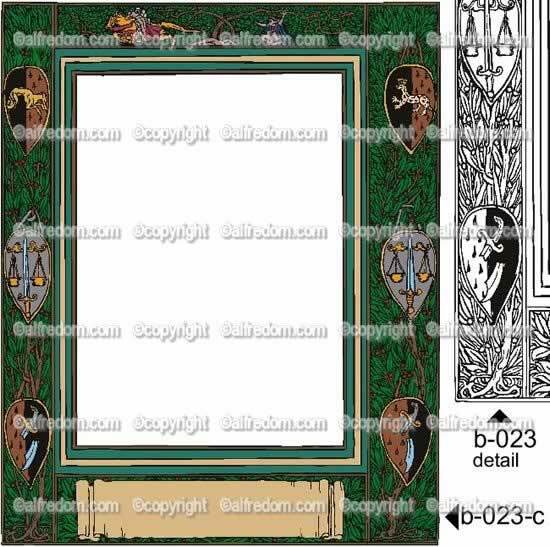 #420 - All the 36 borders and 271 graphic elements. 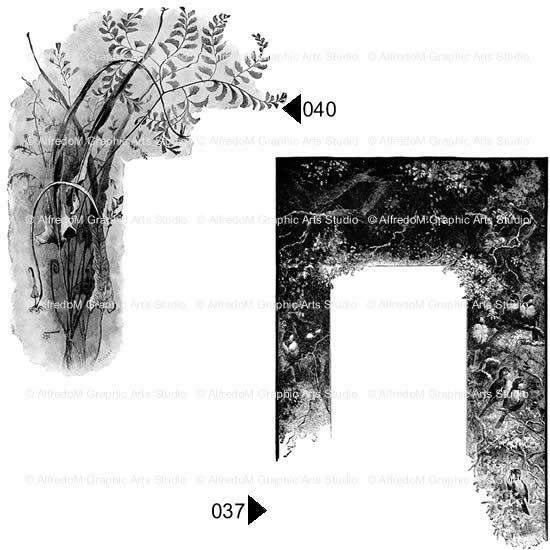 Background images. 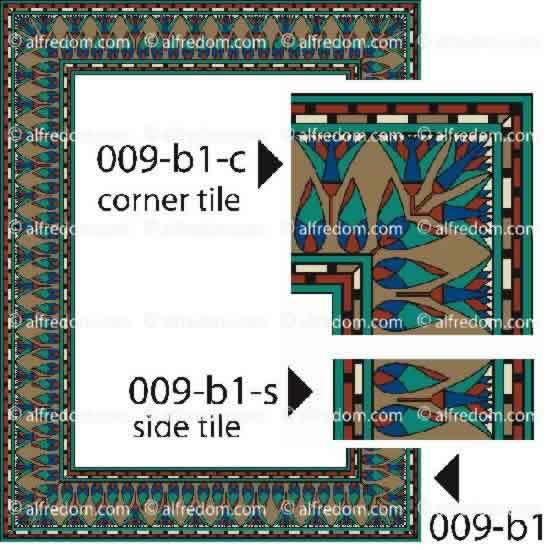 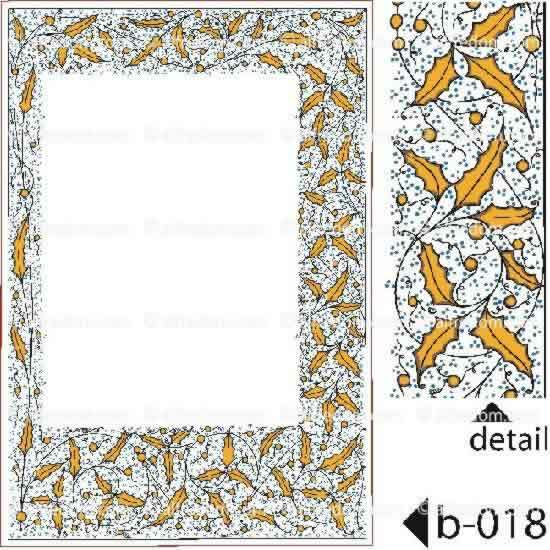 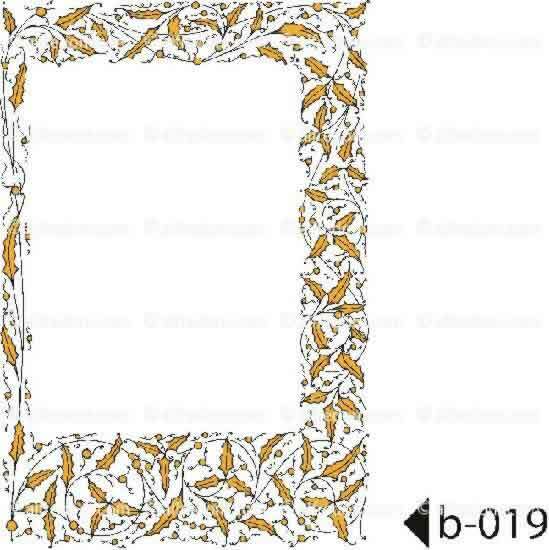 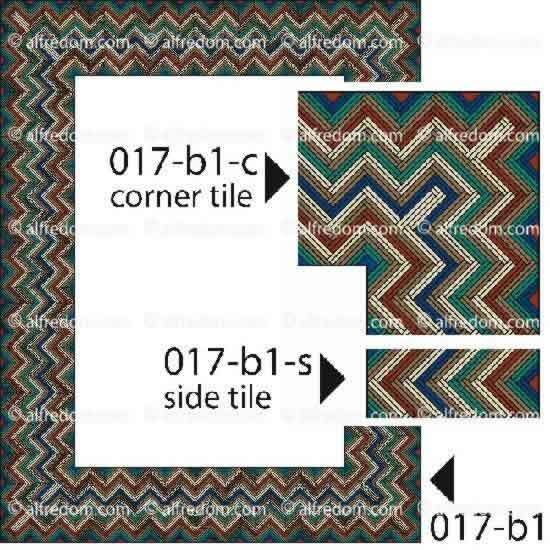 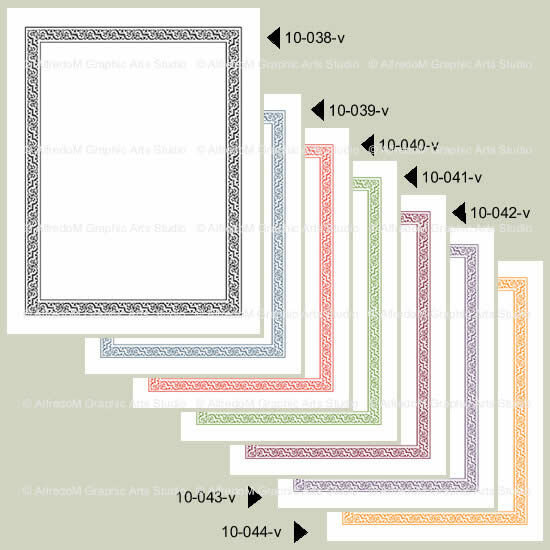 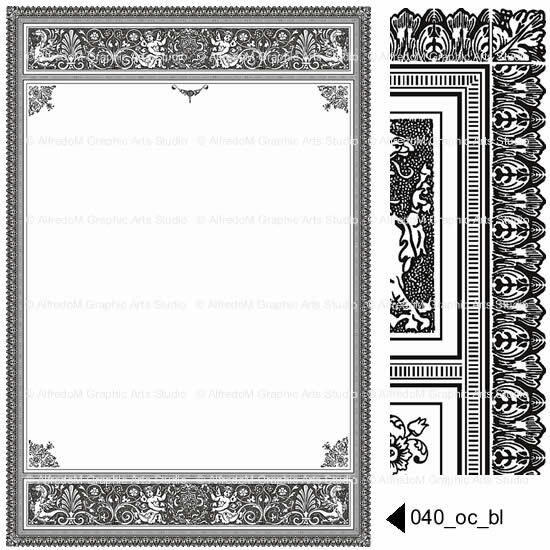 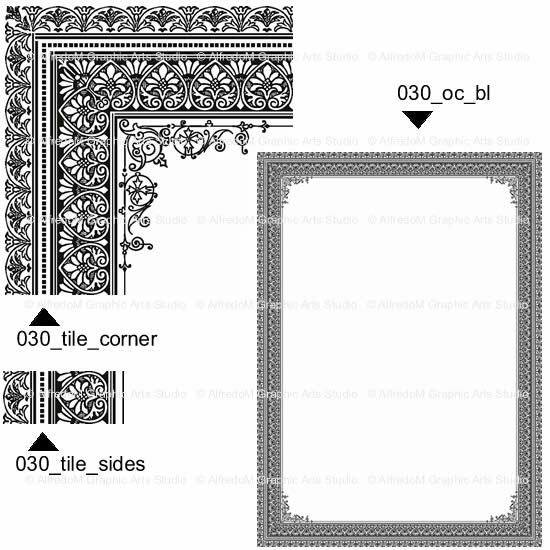 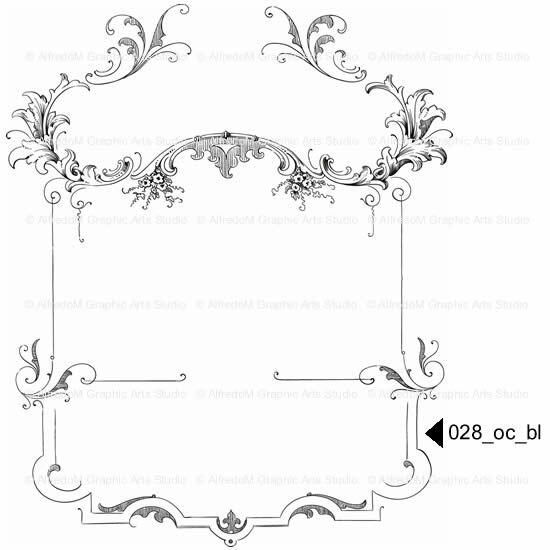 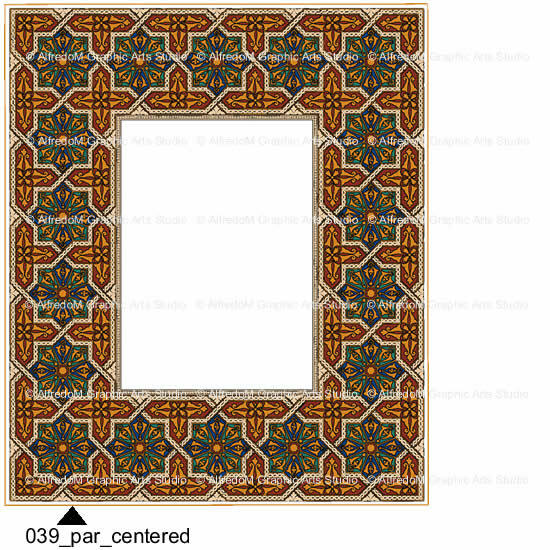 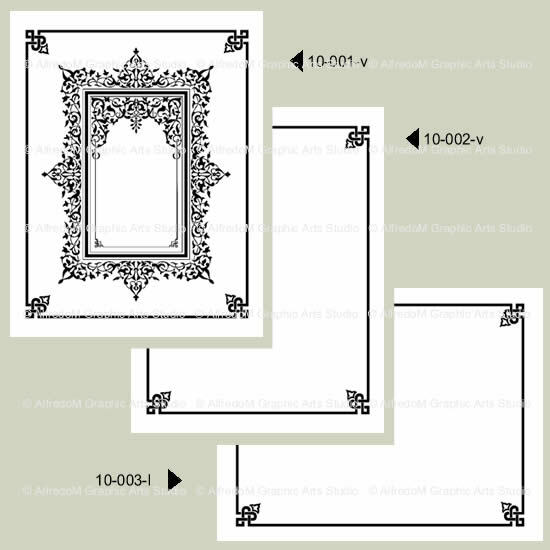 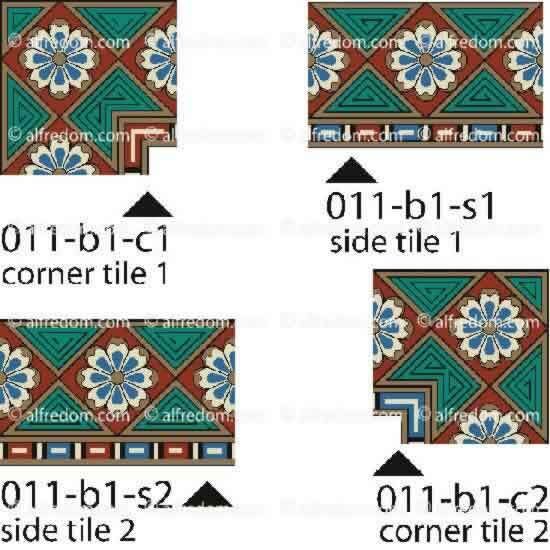 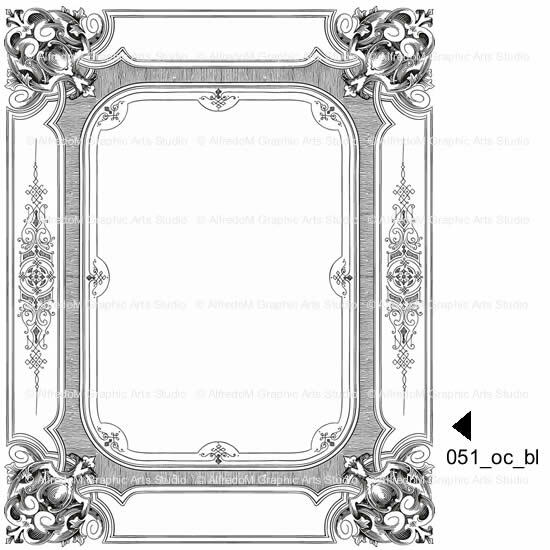 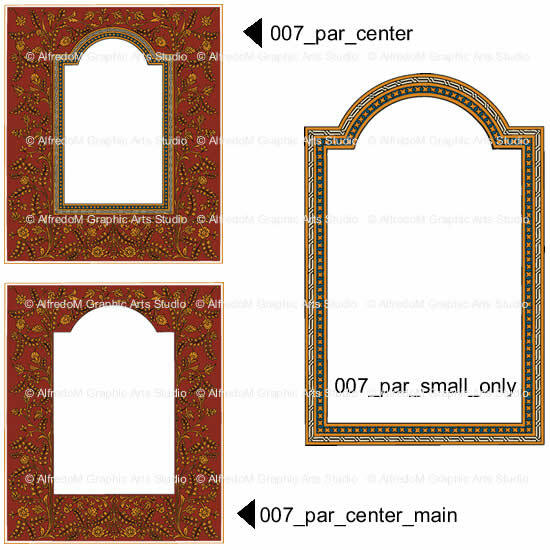 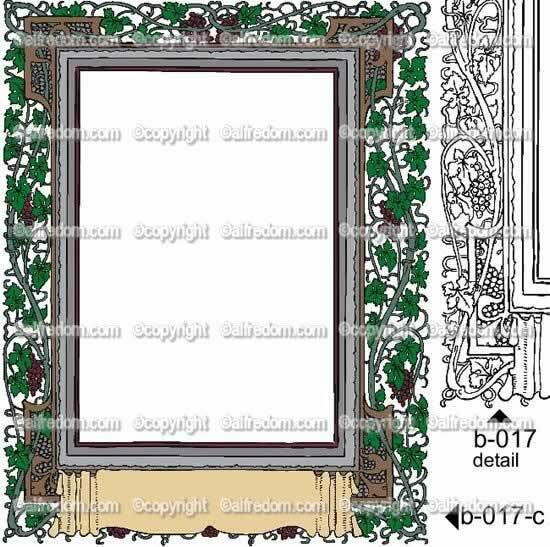 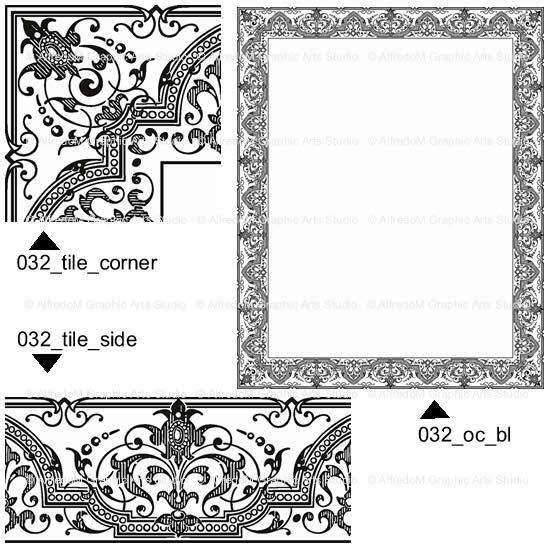 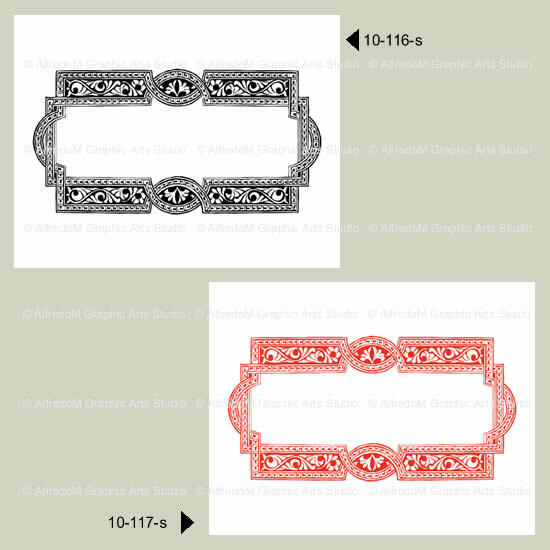 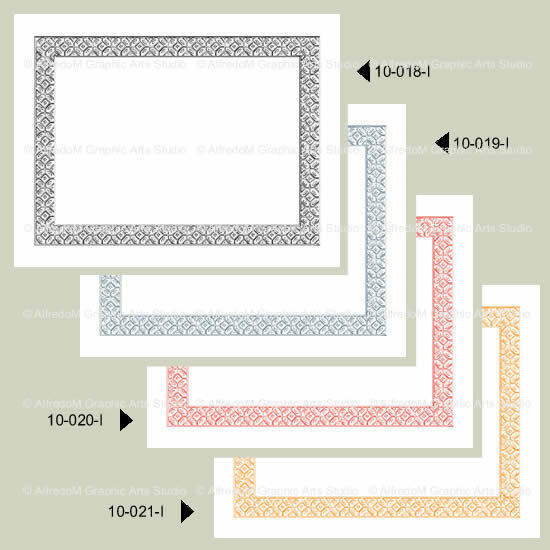 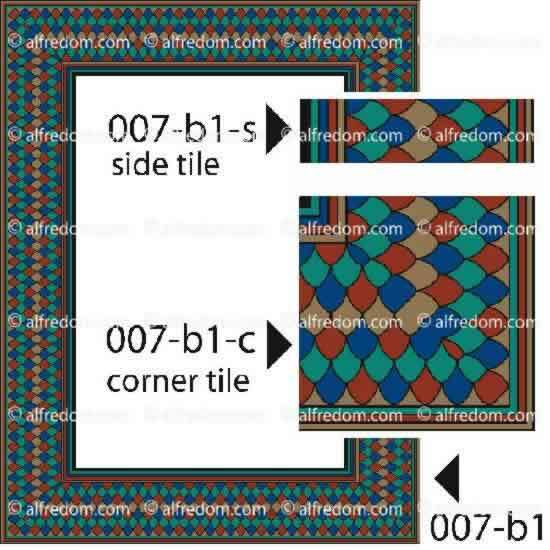 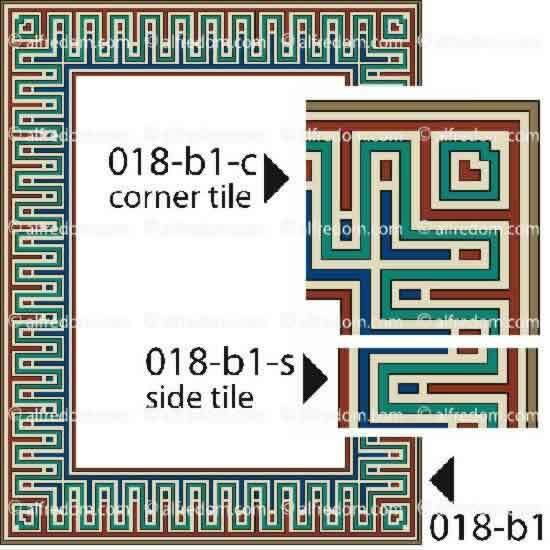 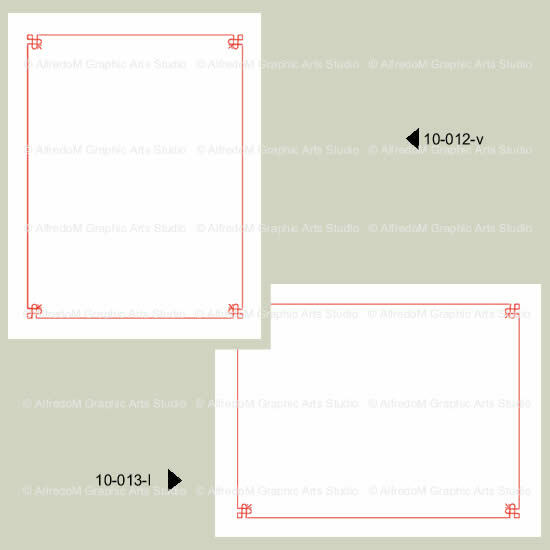 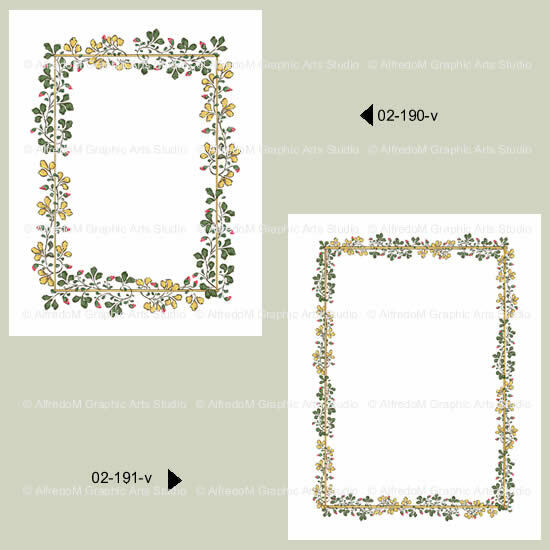 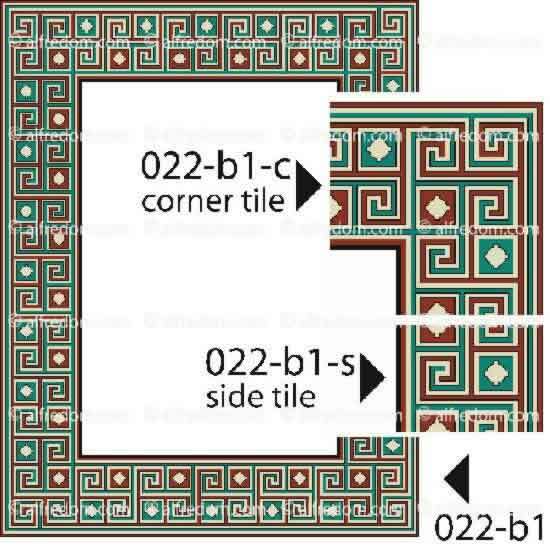 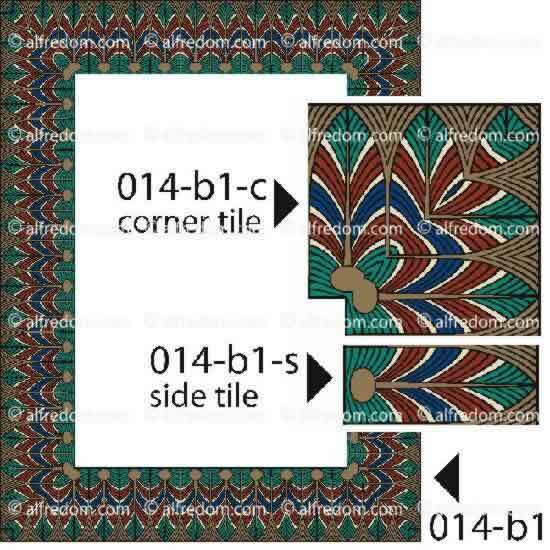 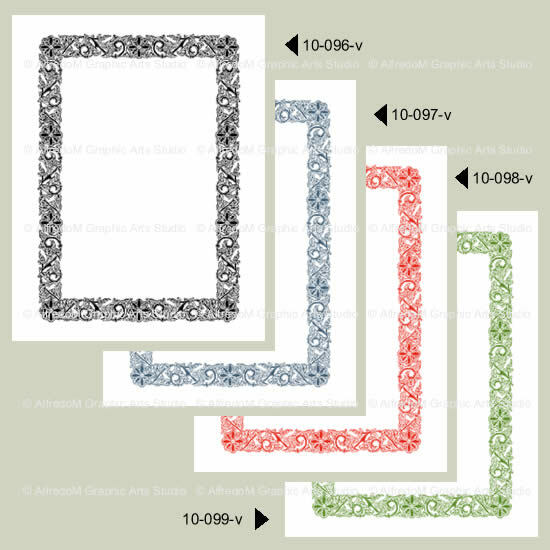 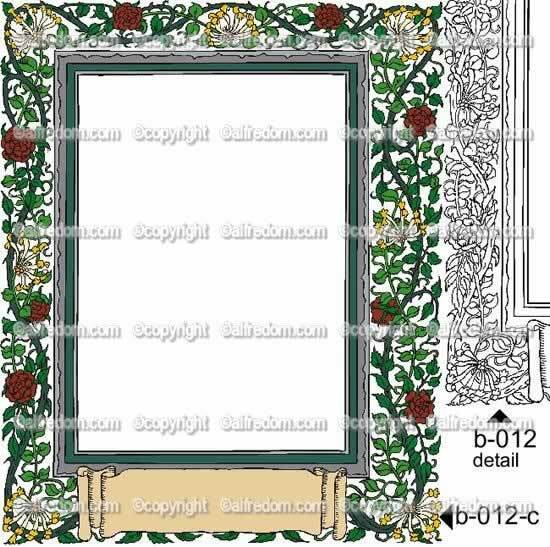 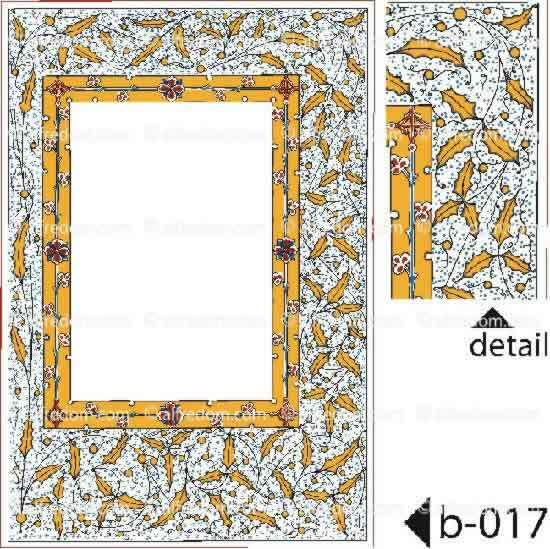 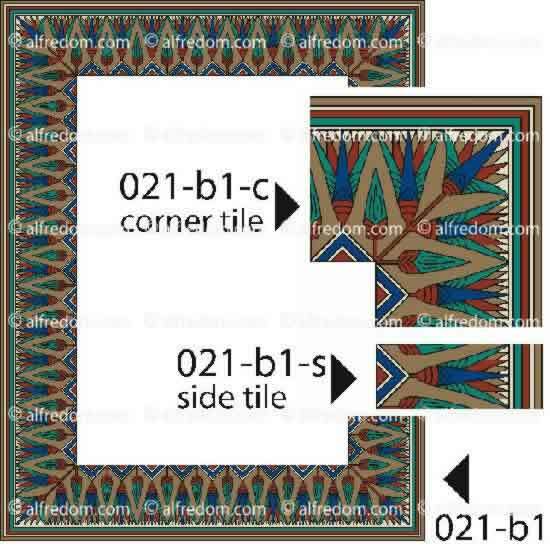 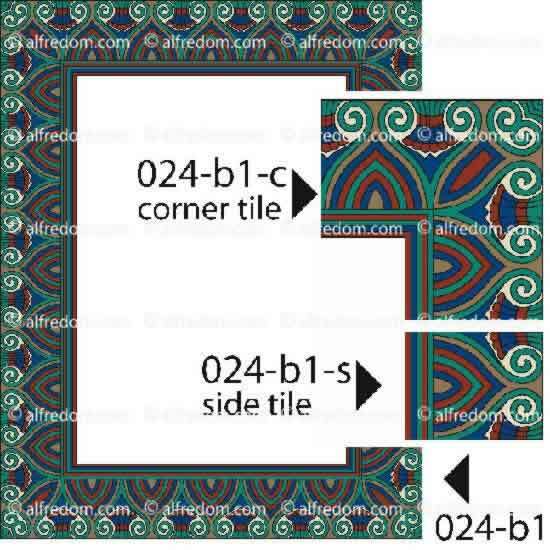 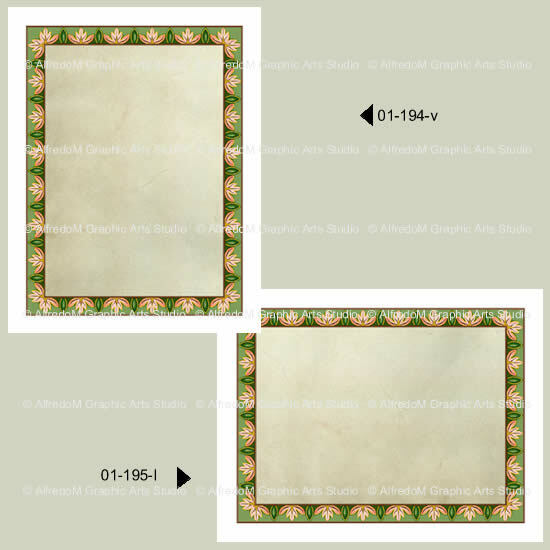 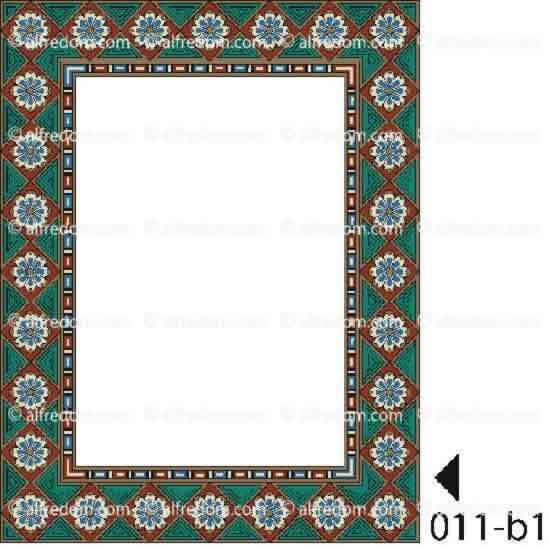 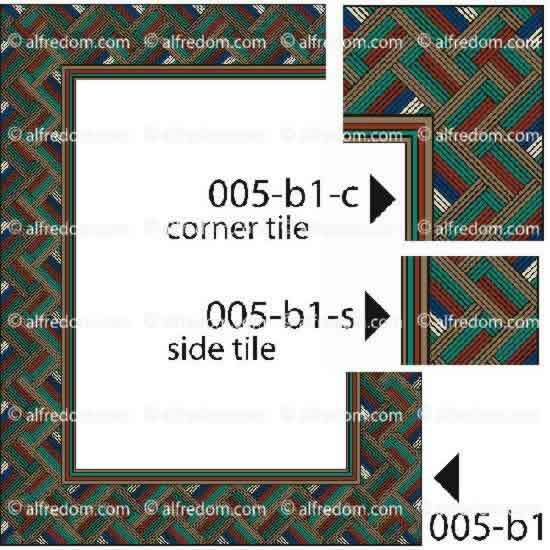 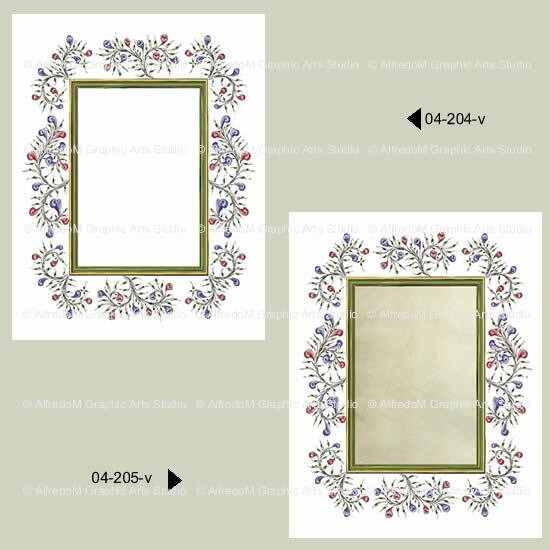 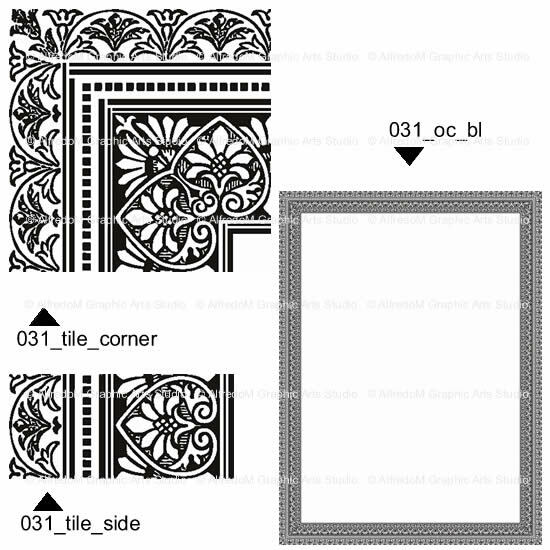 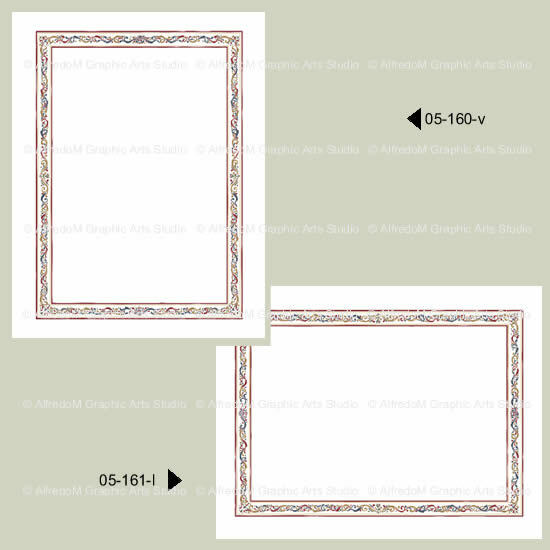 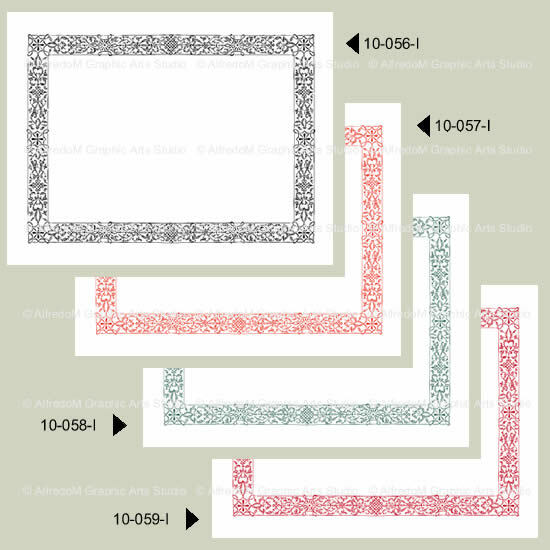 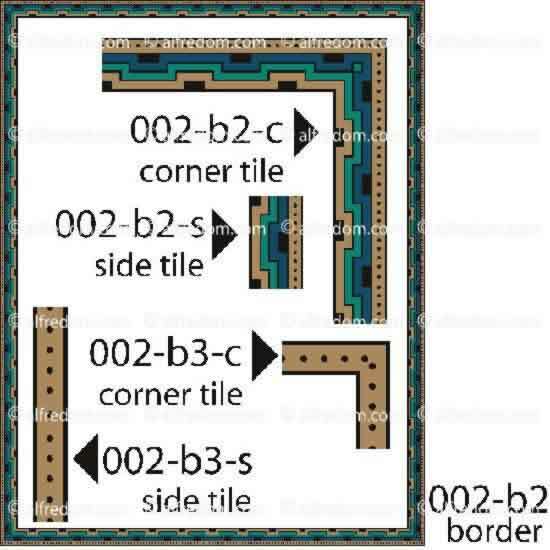 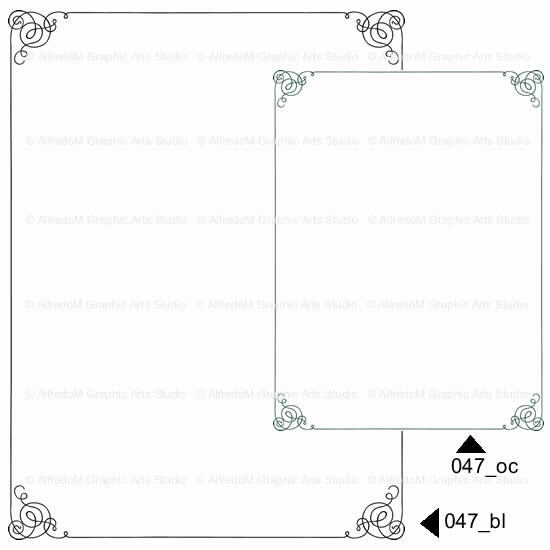 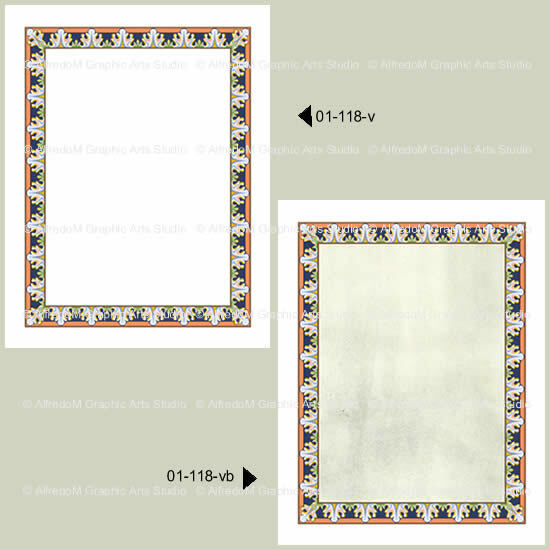 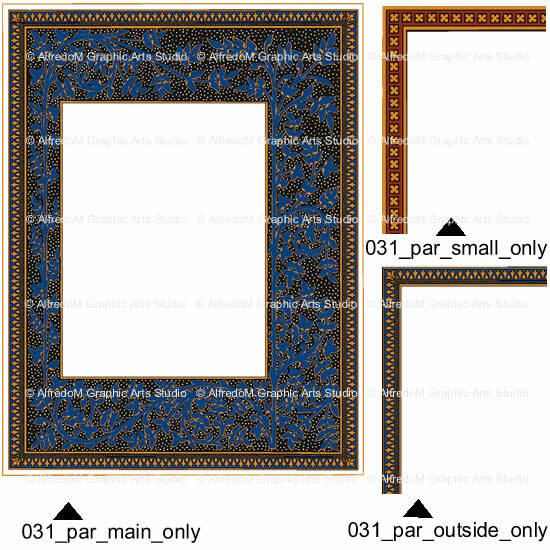 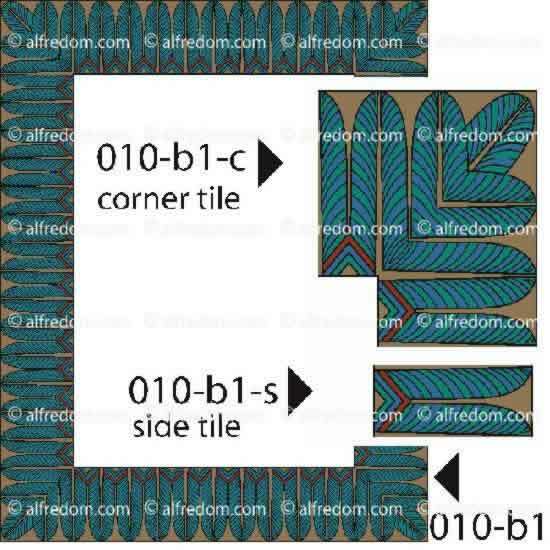 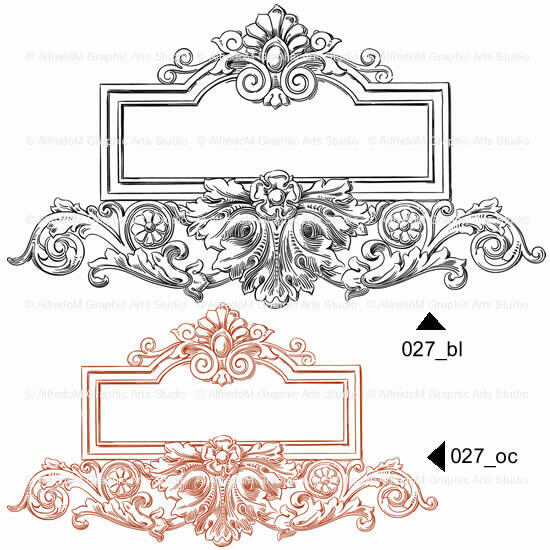 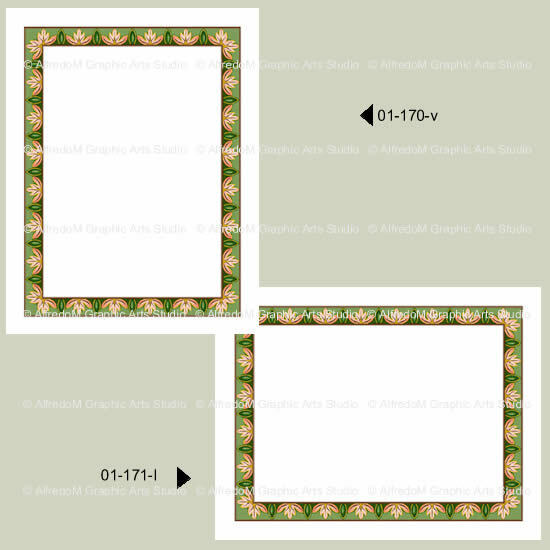 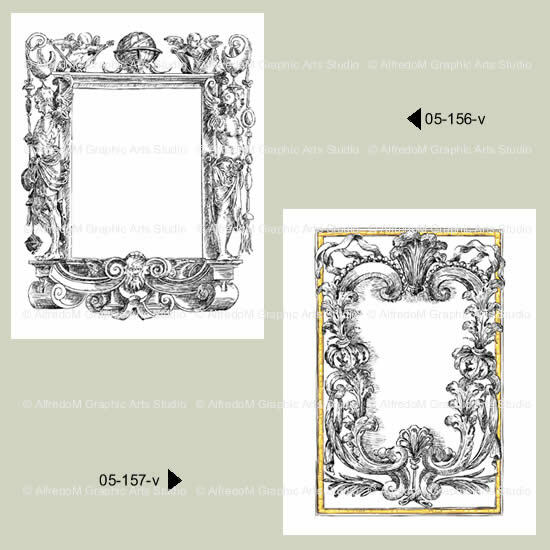 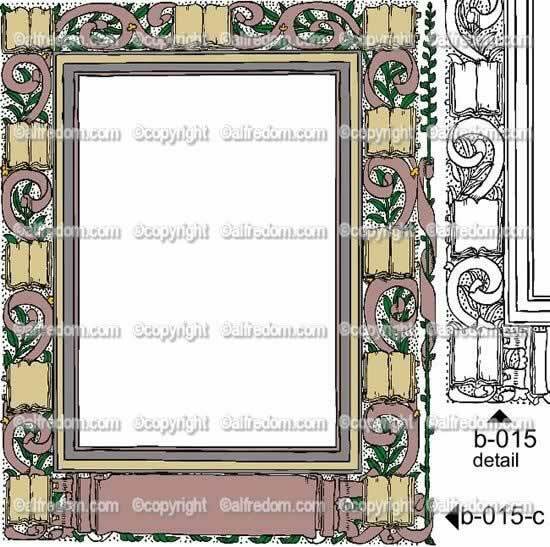 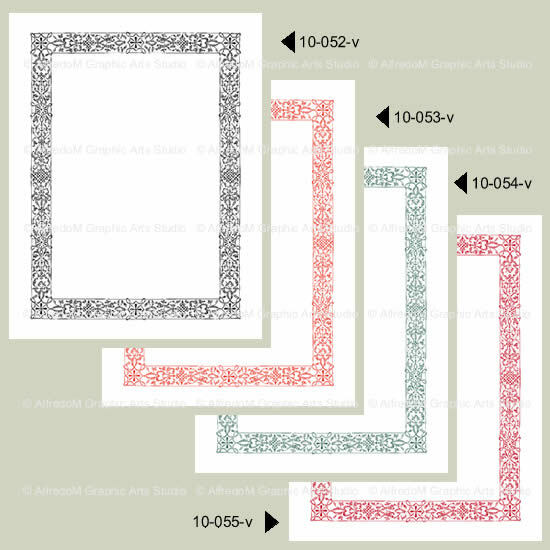 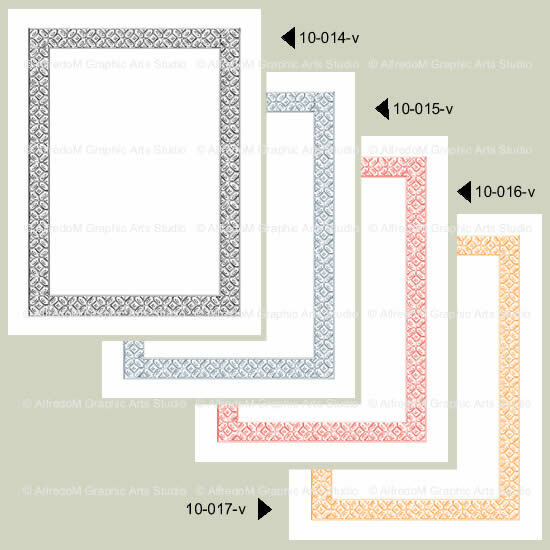 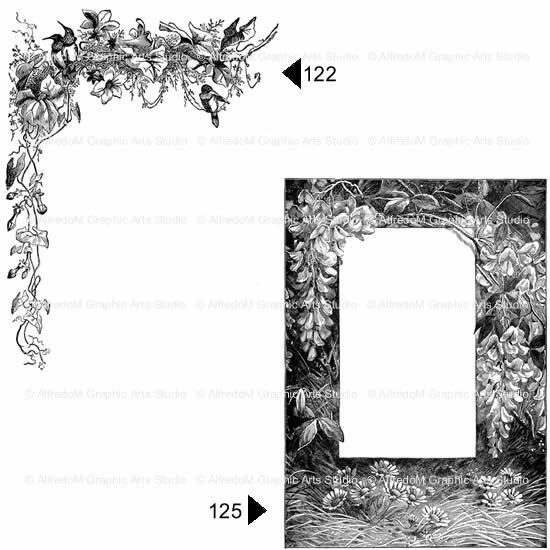 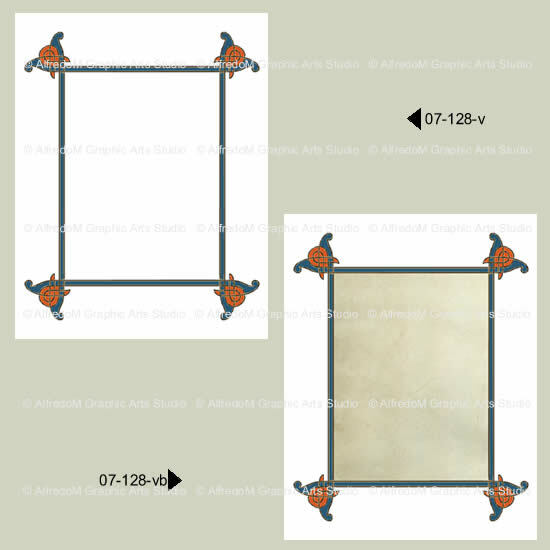 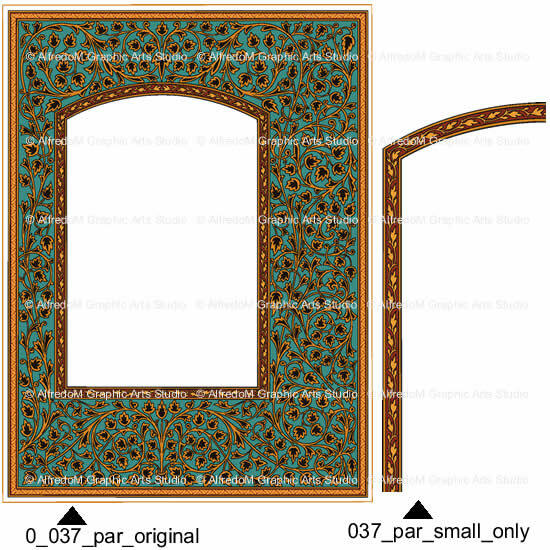 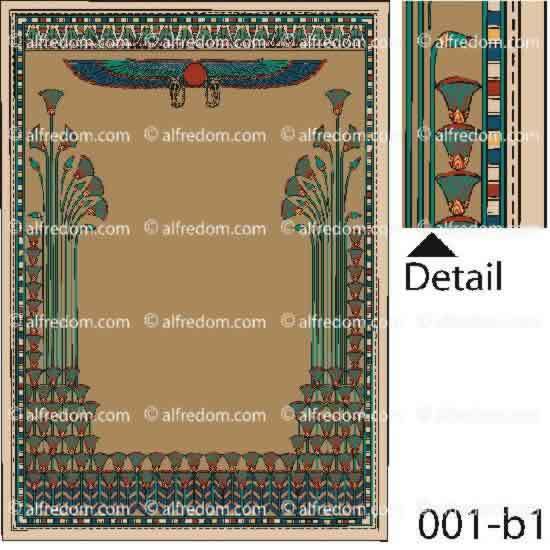 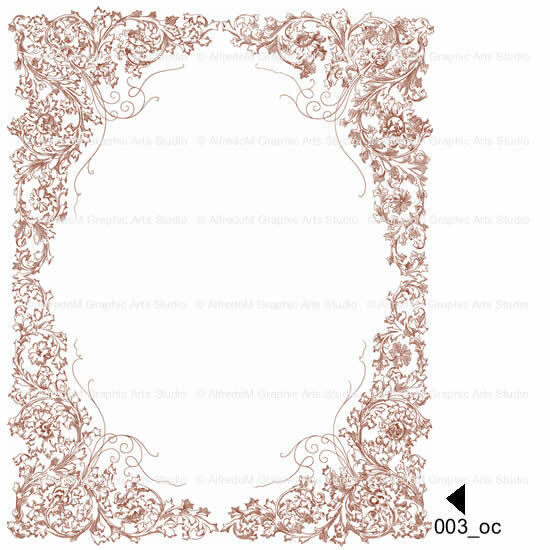 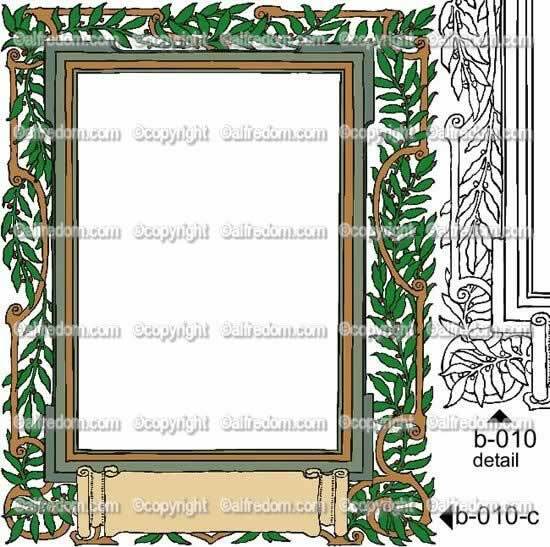 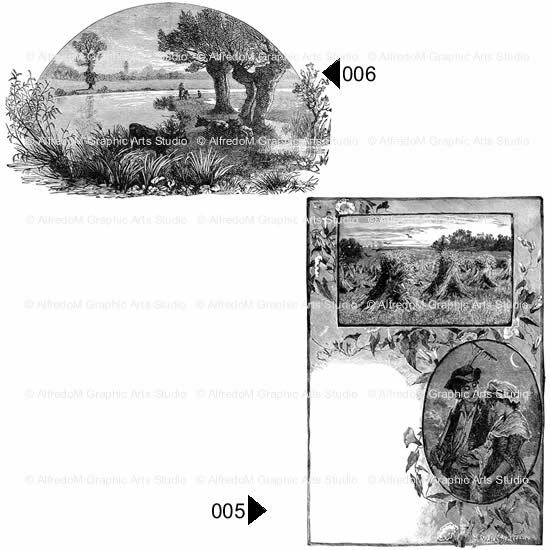 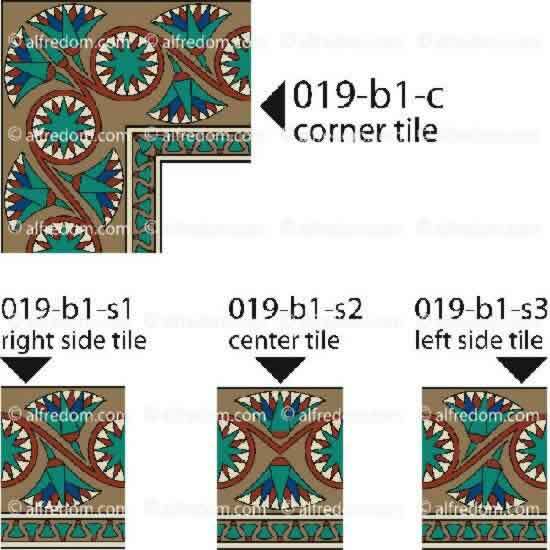 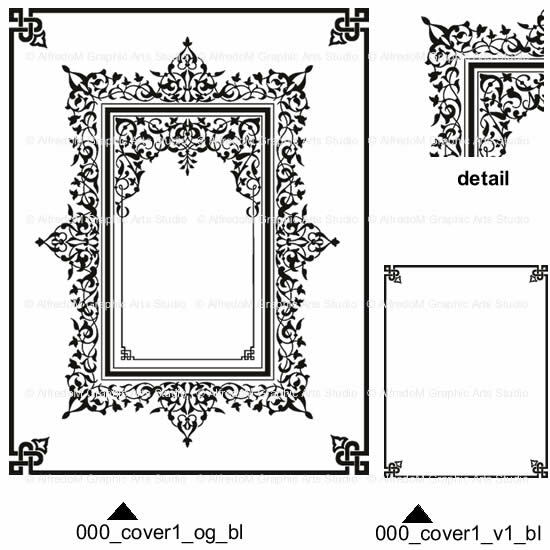 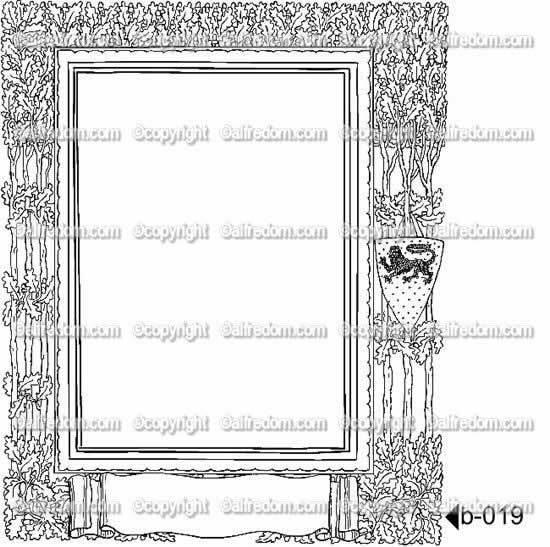 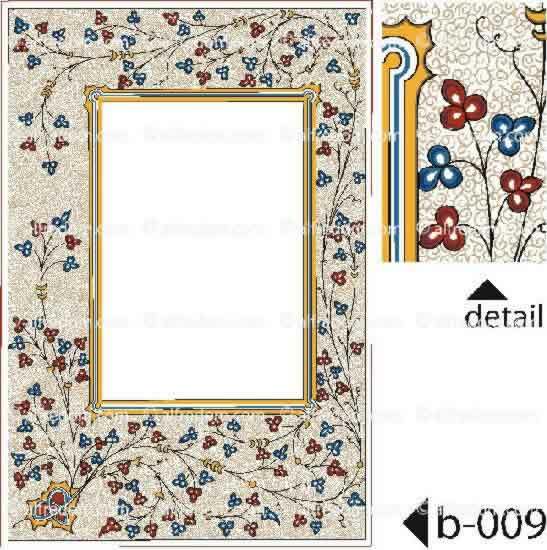 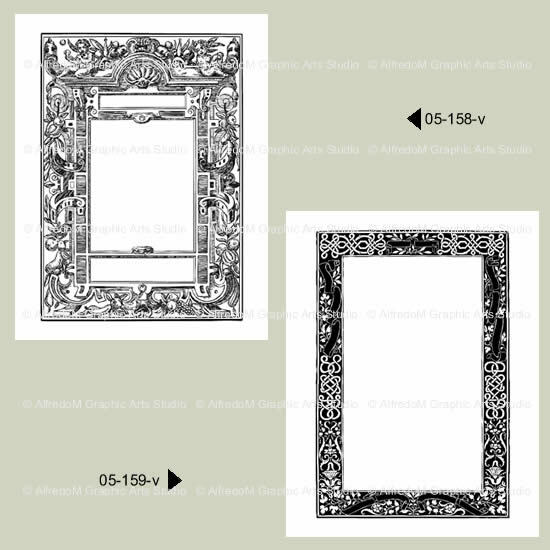 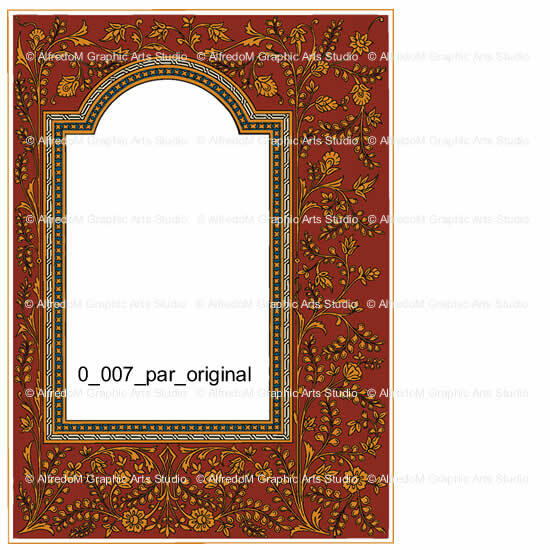 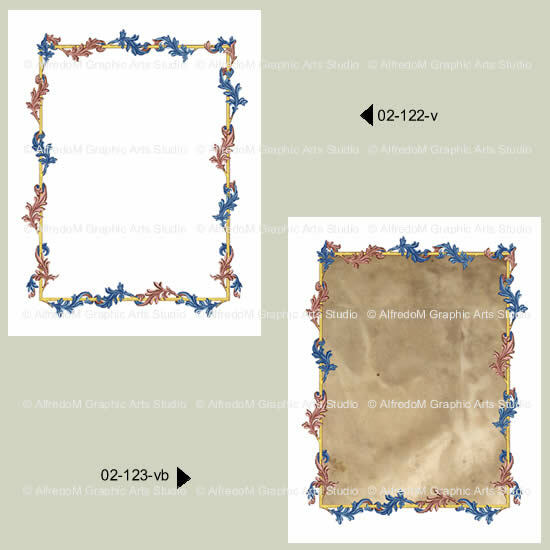 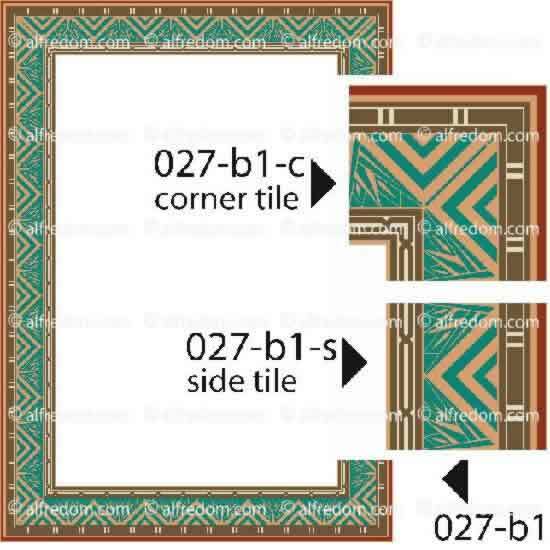 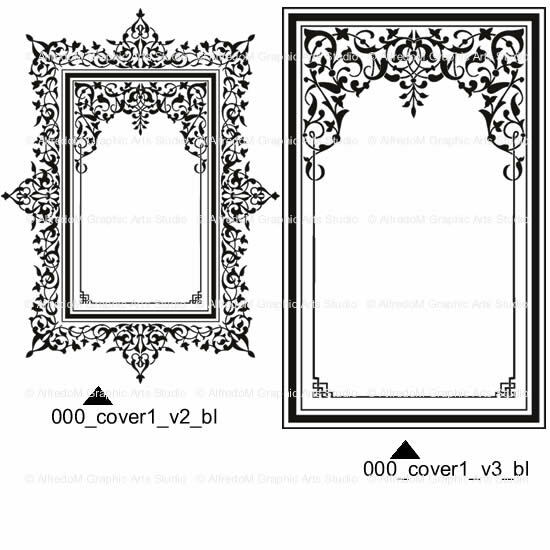 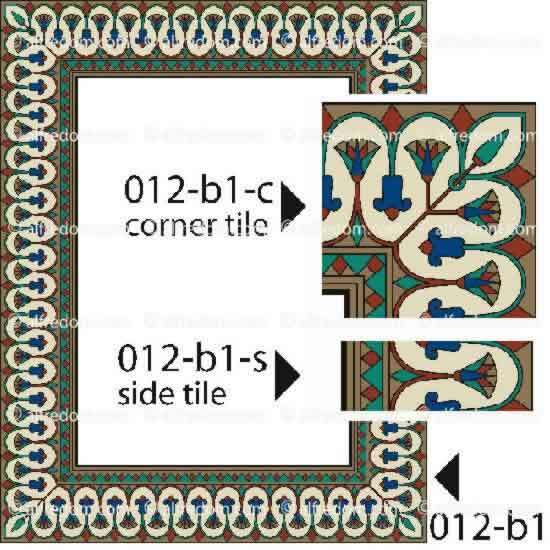 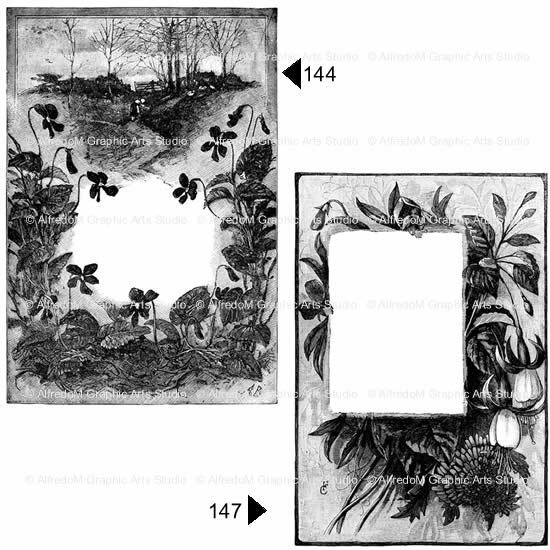 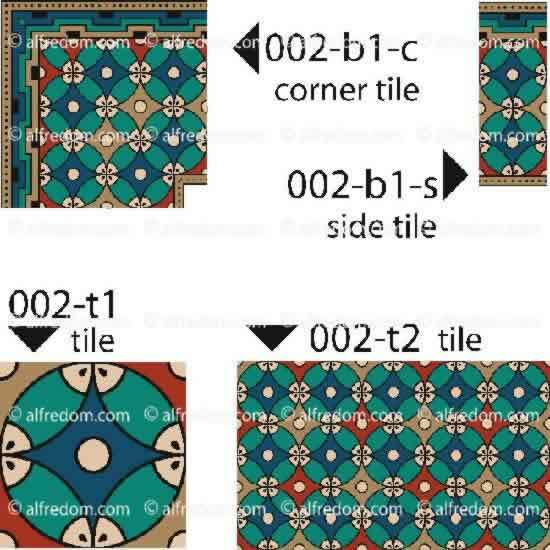 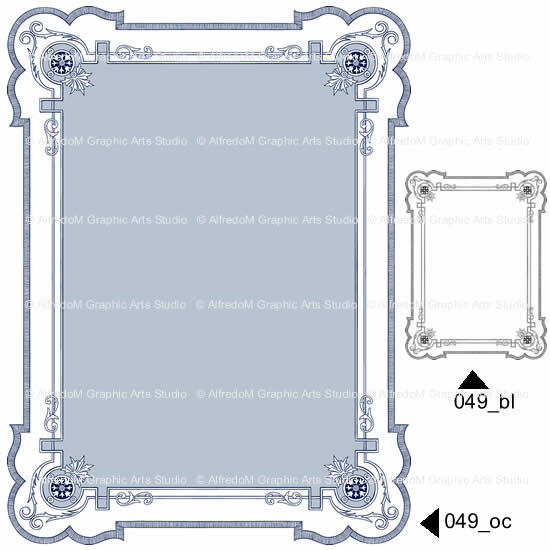 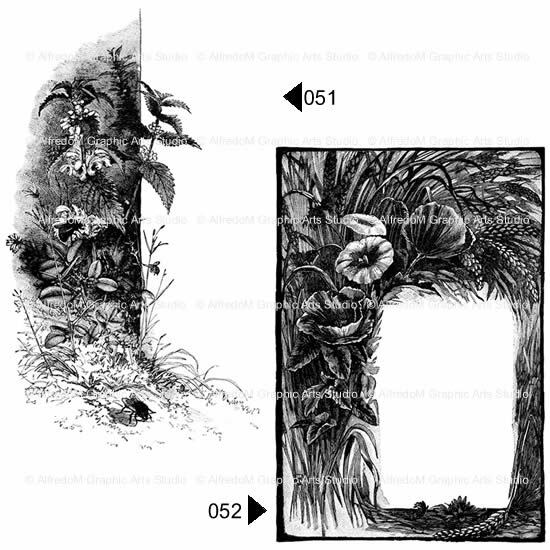 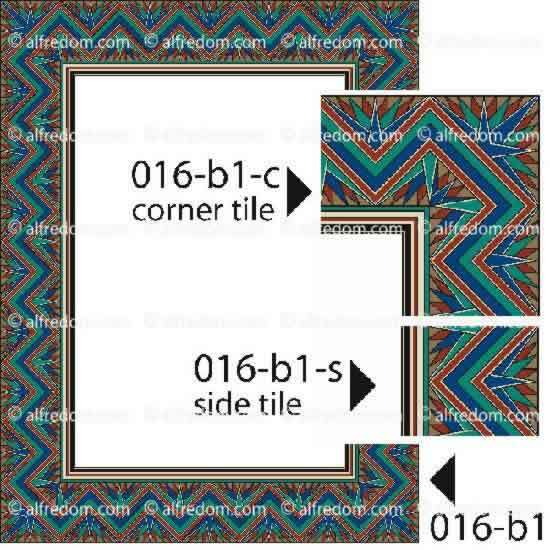 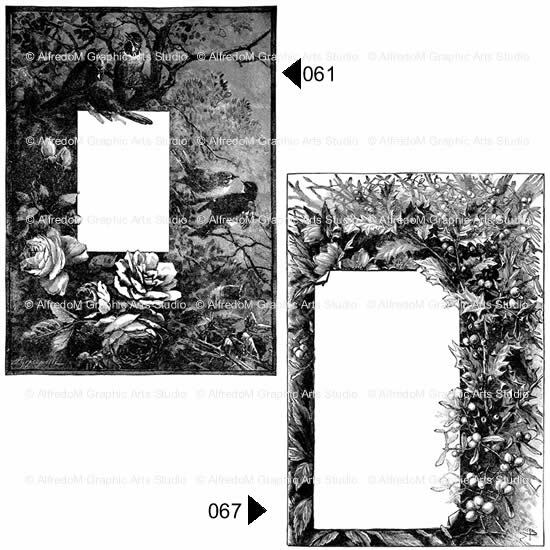 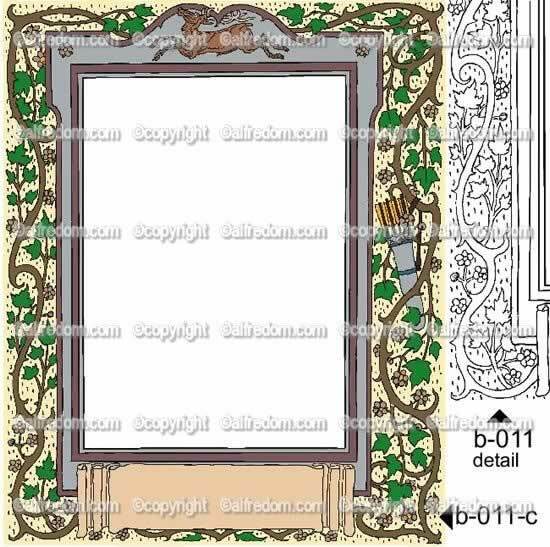 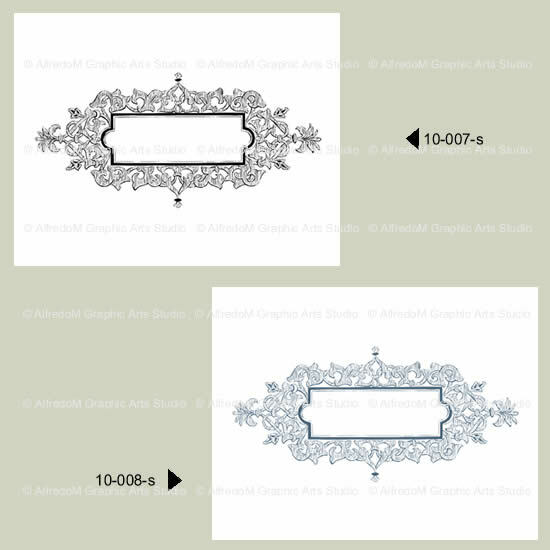 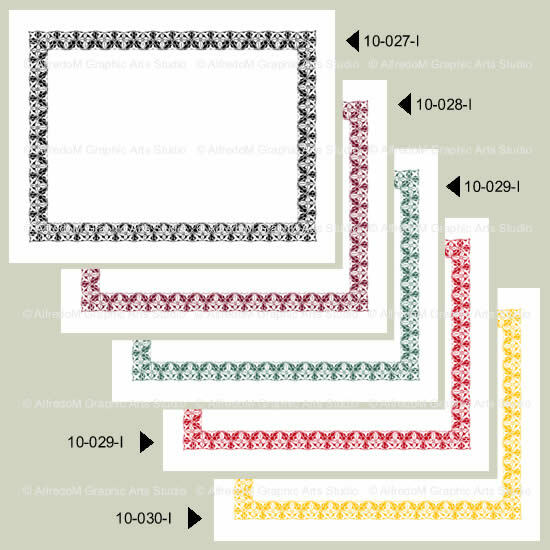 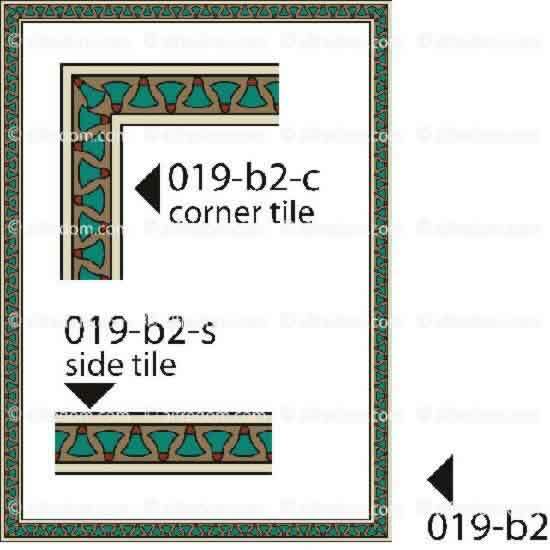 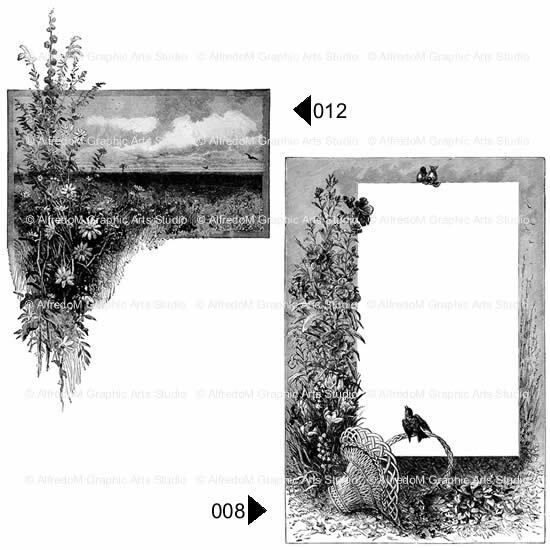 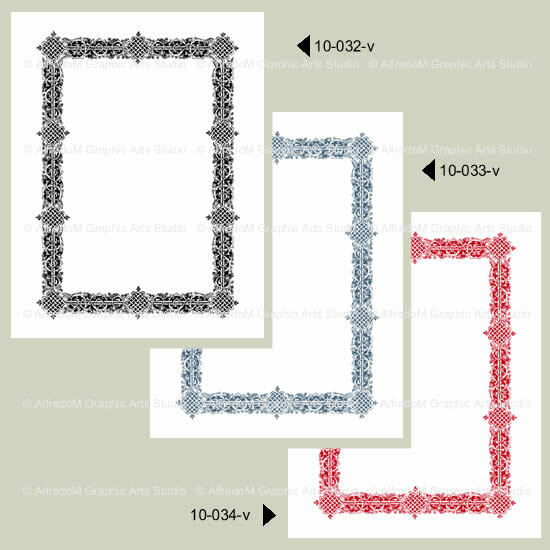 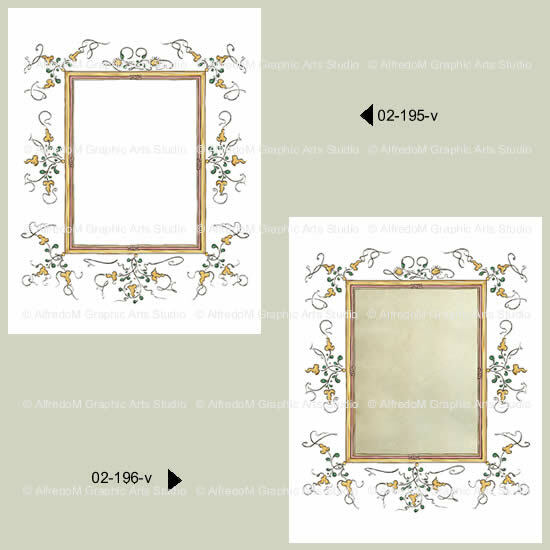 #421 - Al the borders, corners and side tiles, decorative elements. 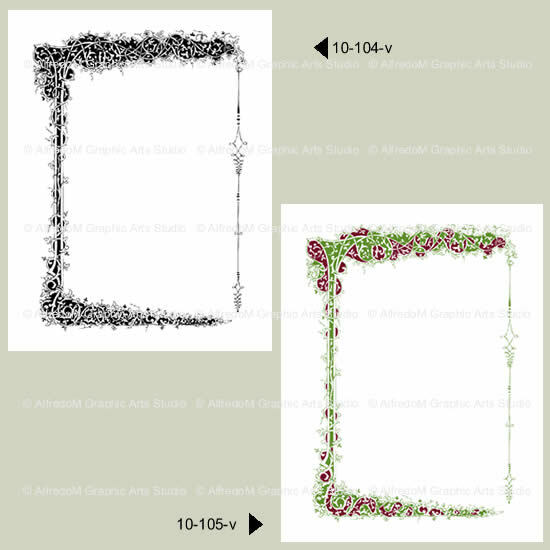 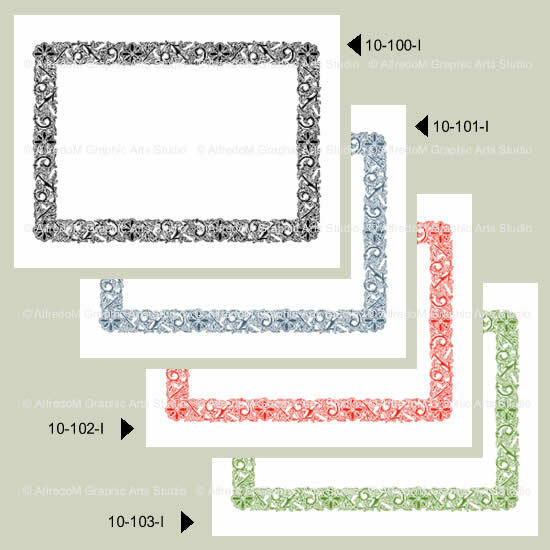 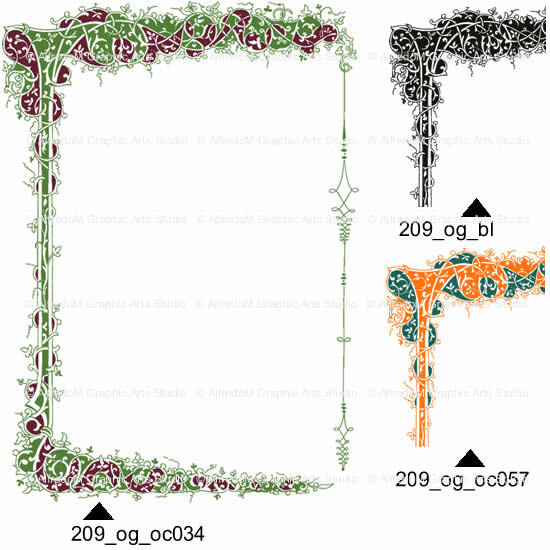 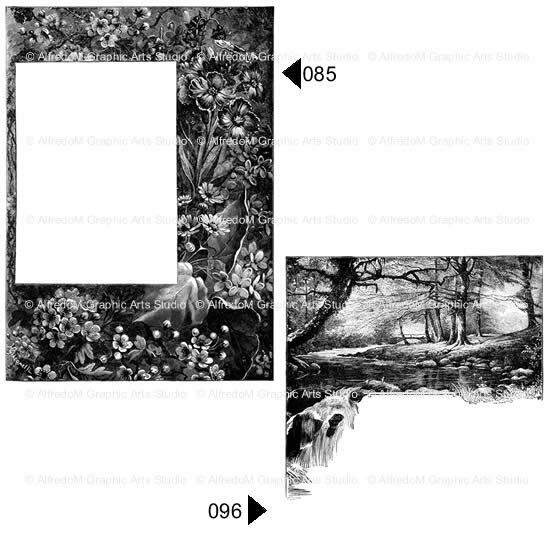 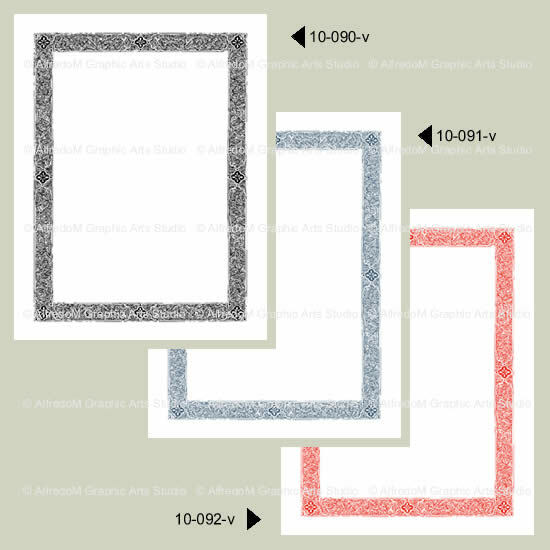 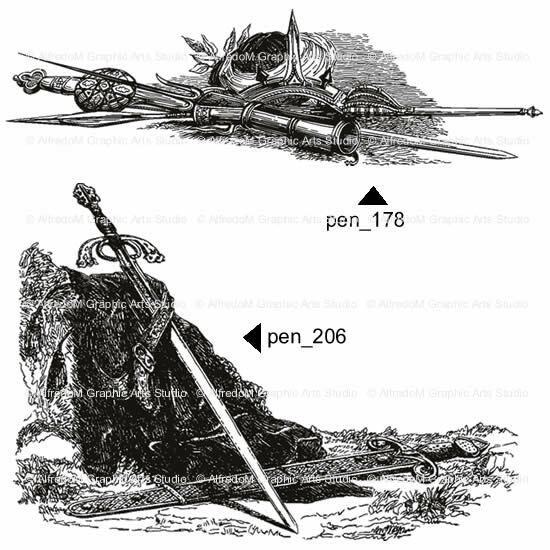 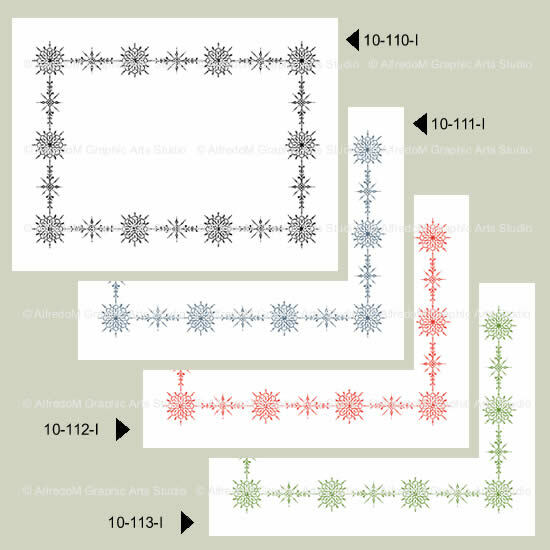 109 graphic files. 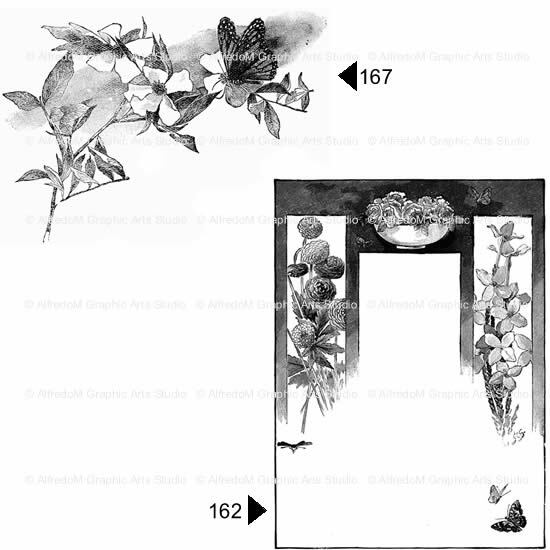 Background images. 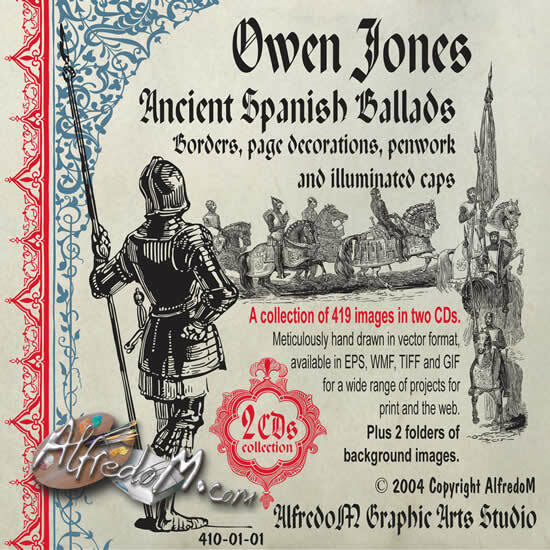 #J1407 - All the 4 Owen Jones volumes at reduced price. 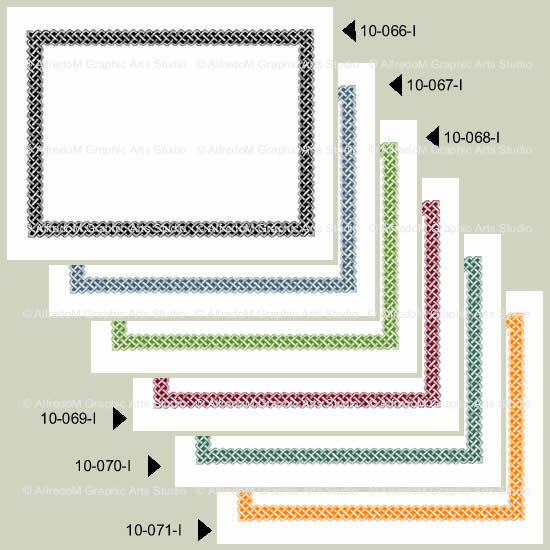 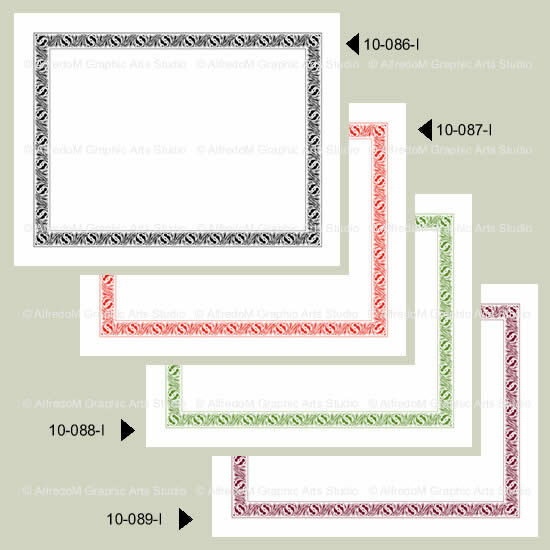 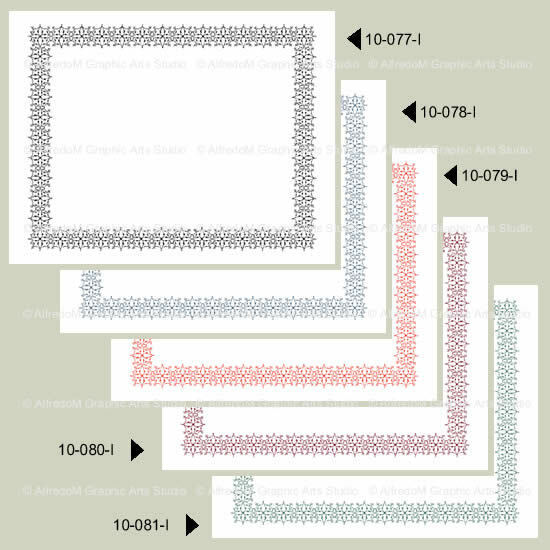 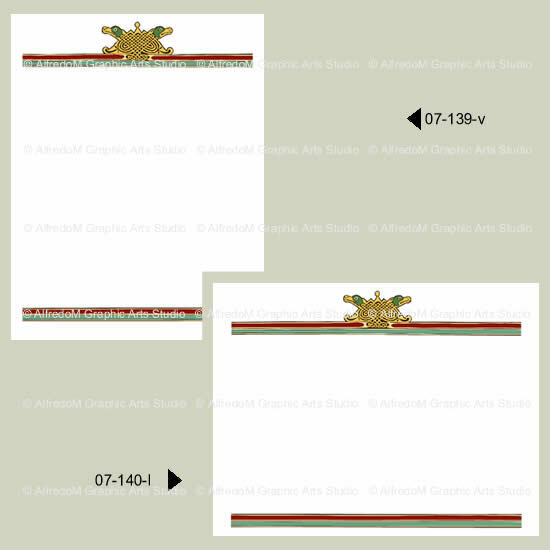 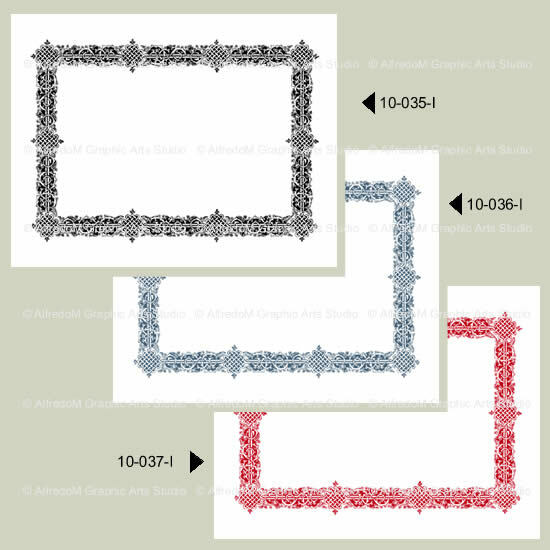 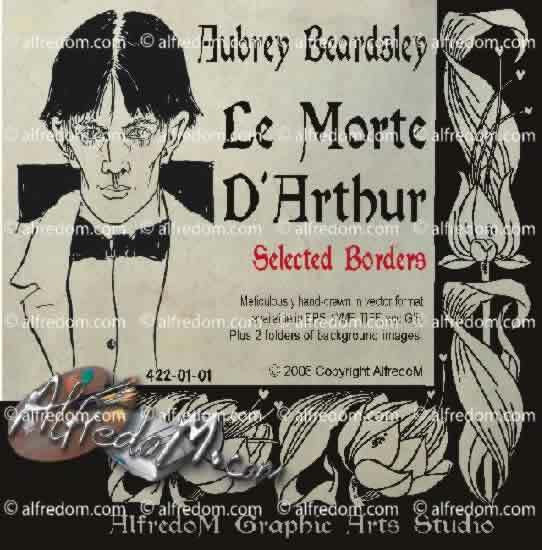 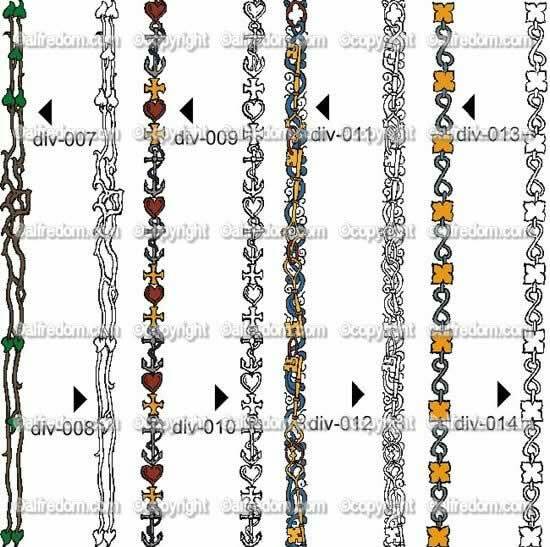 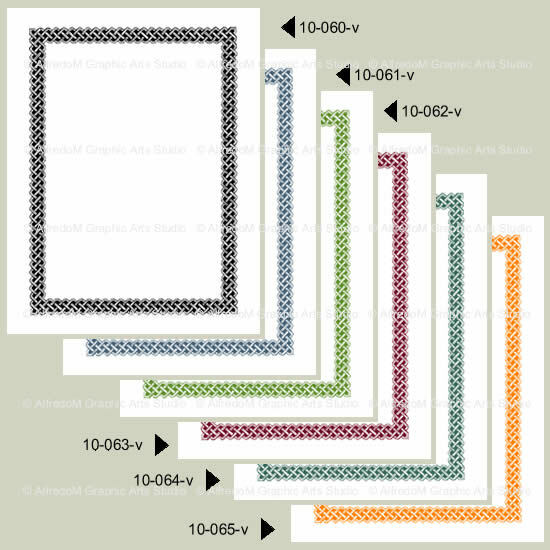 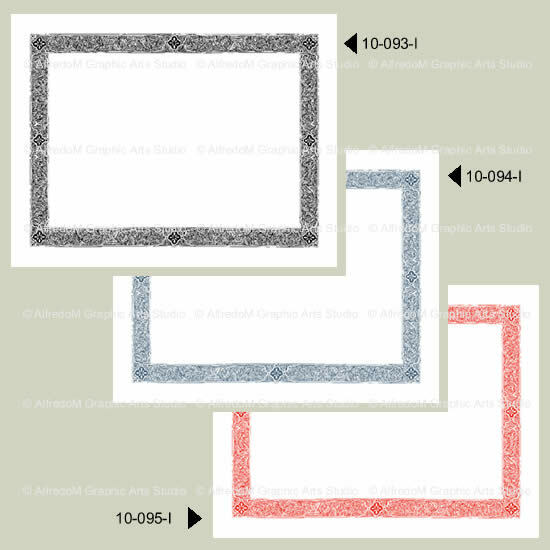 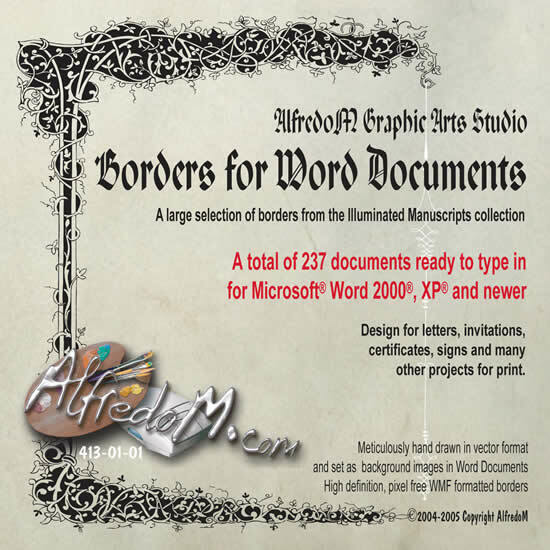 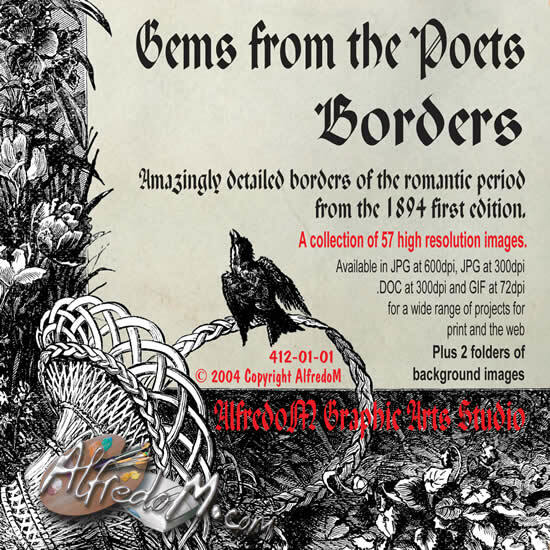 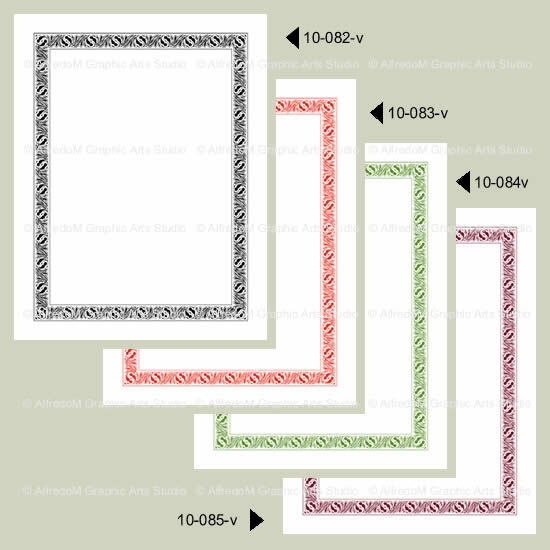 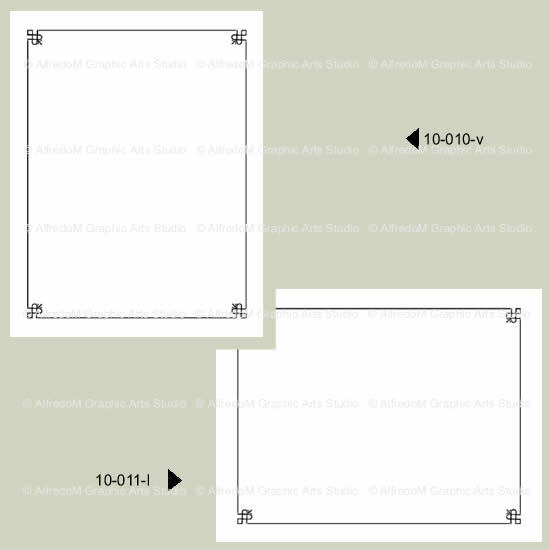 #413 - A very large selection of borders from many of our published CDs preformatted as Word documents files, backgrounds. 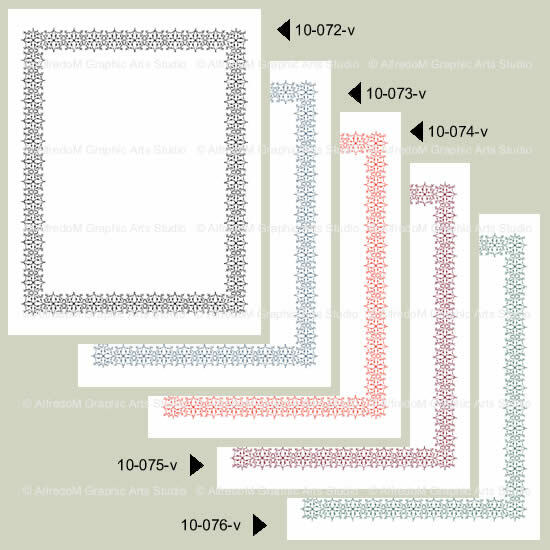 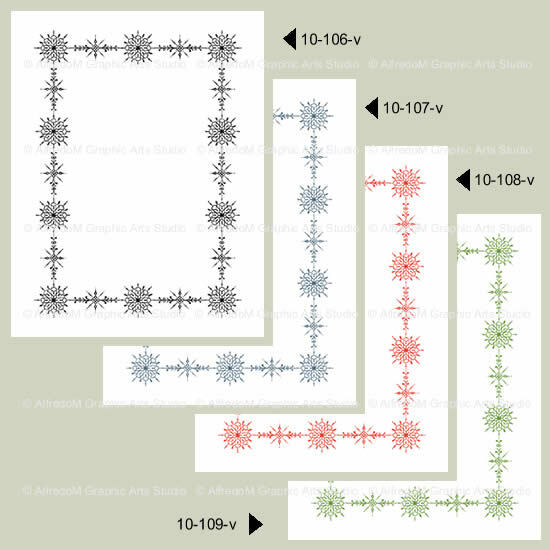 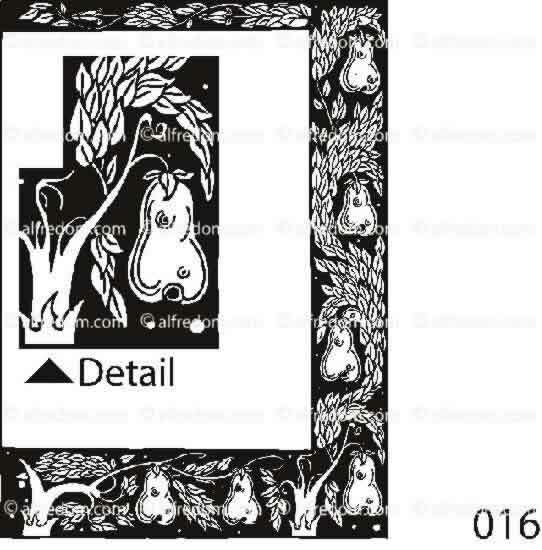 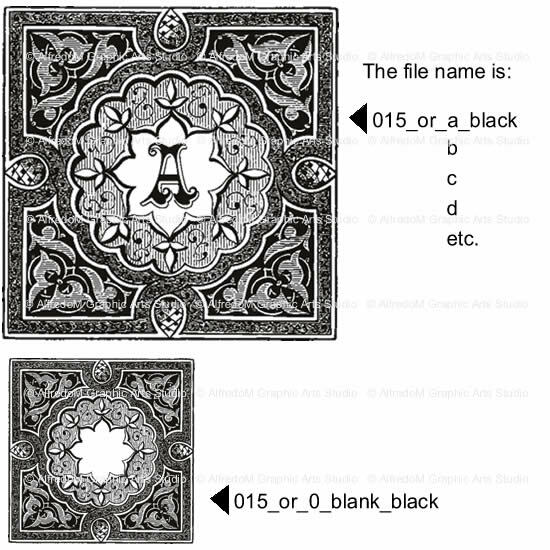 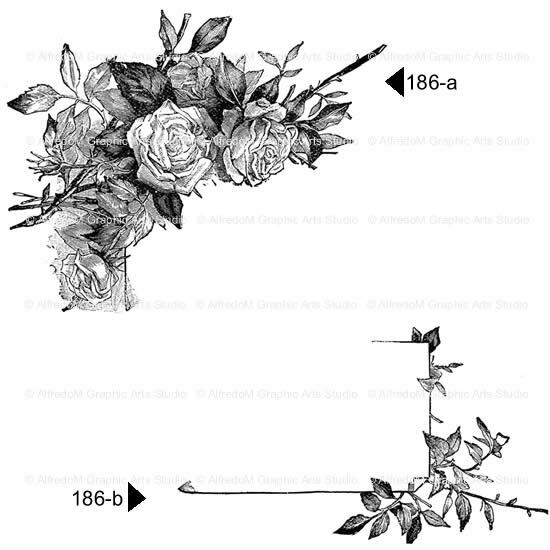 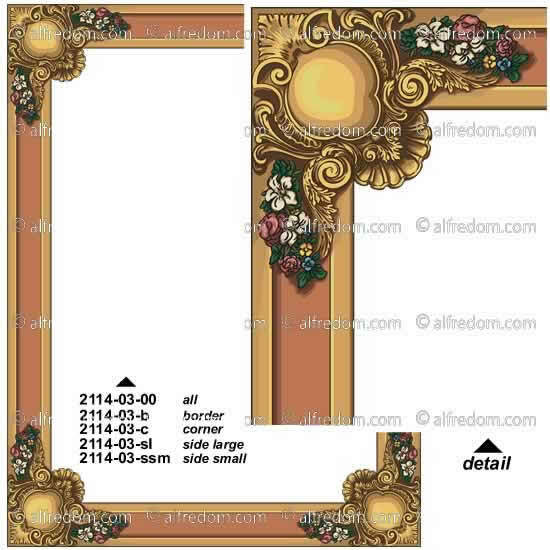 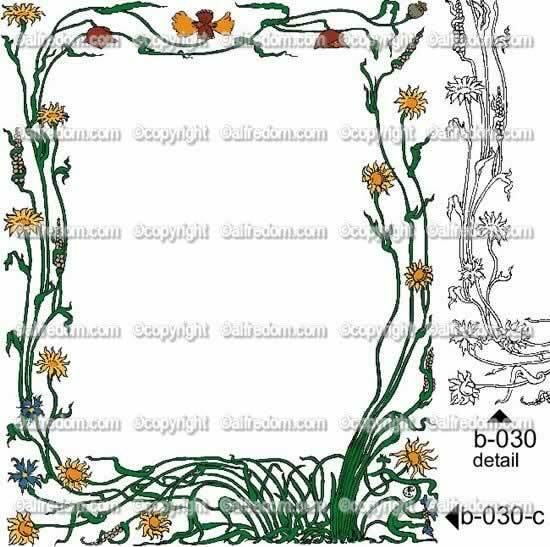 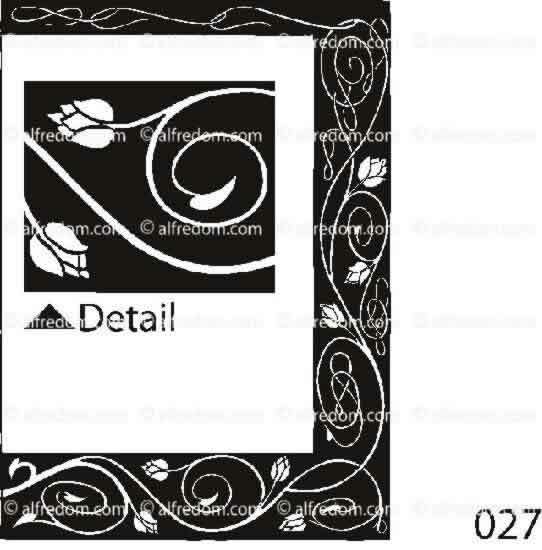 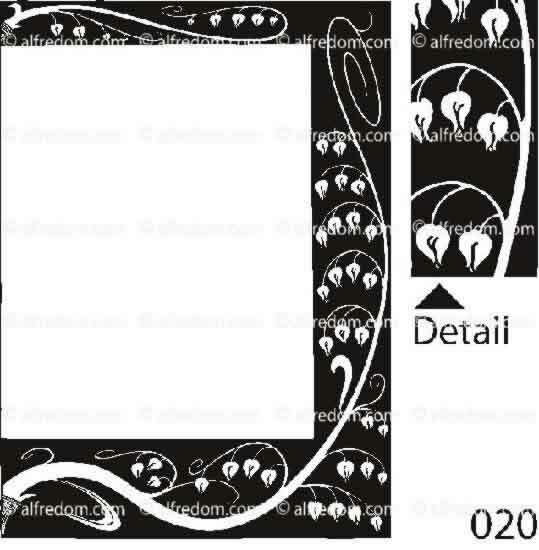 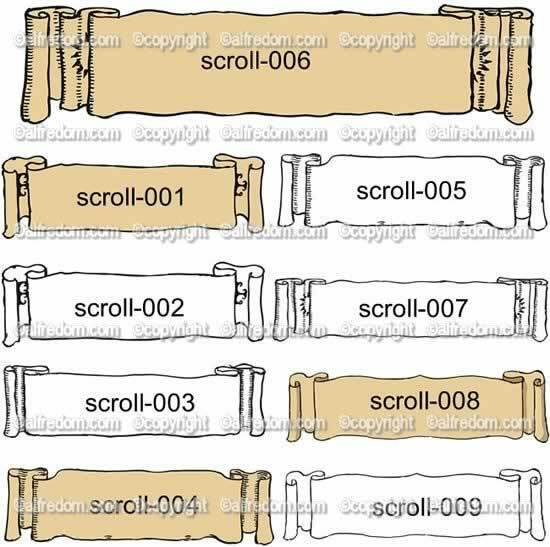 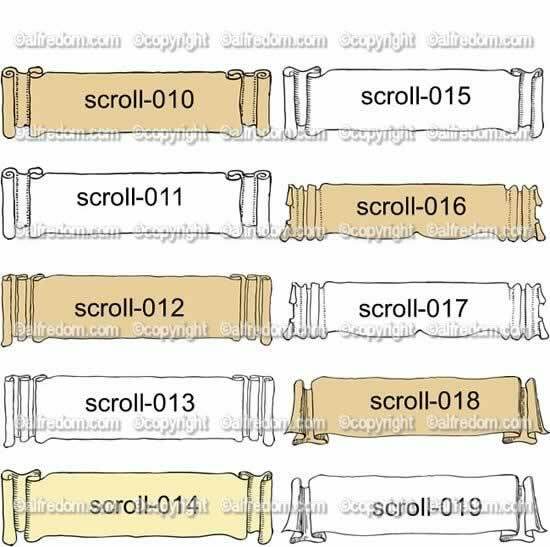 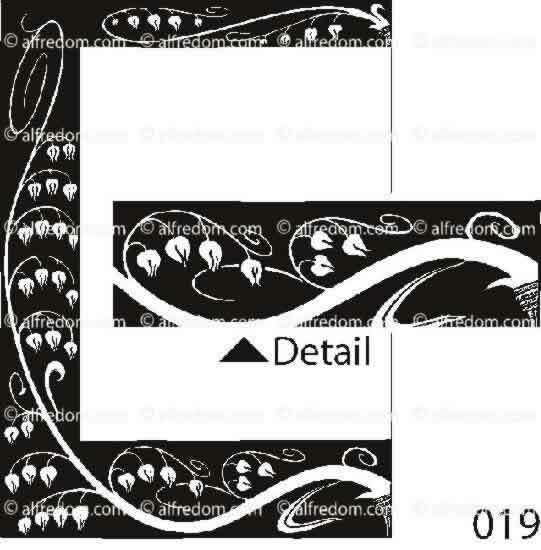 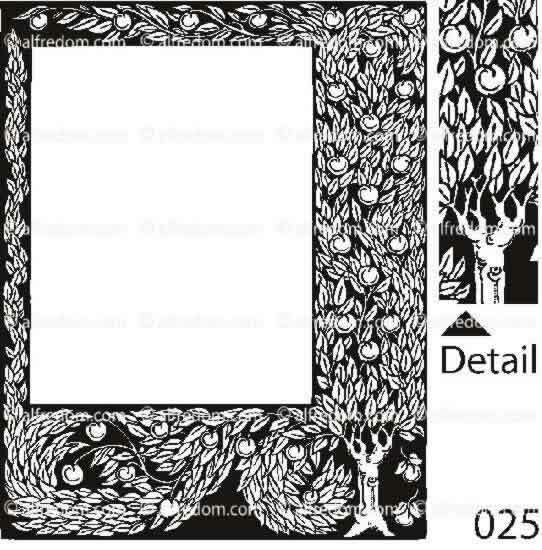 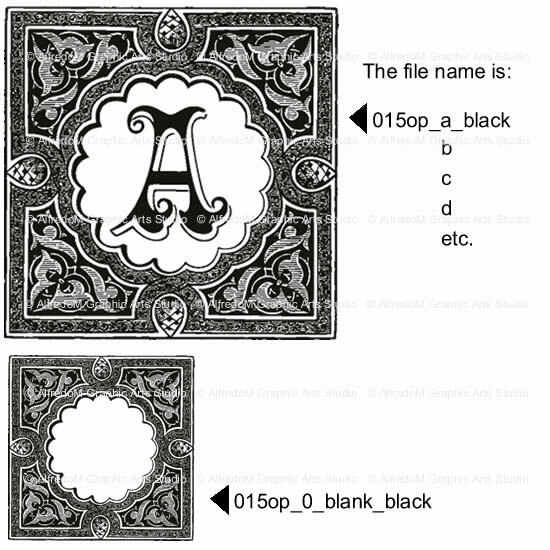 Great for invitations,certificates, newsletters, cards, etc. 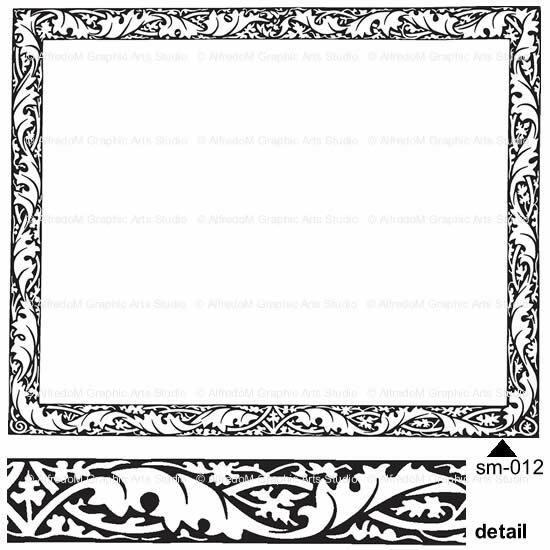 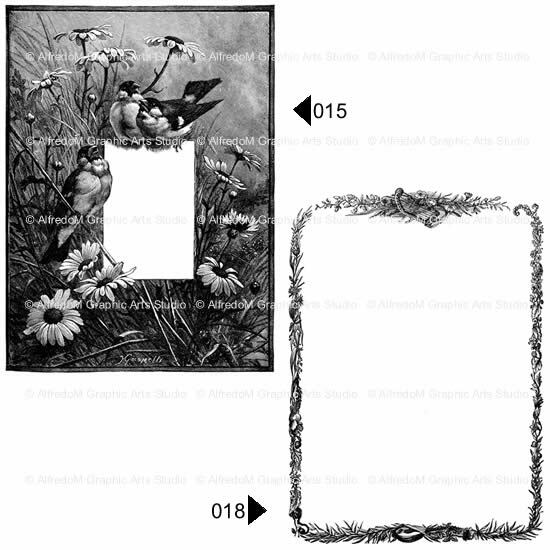 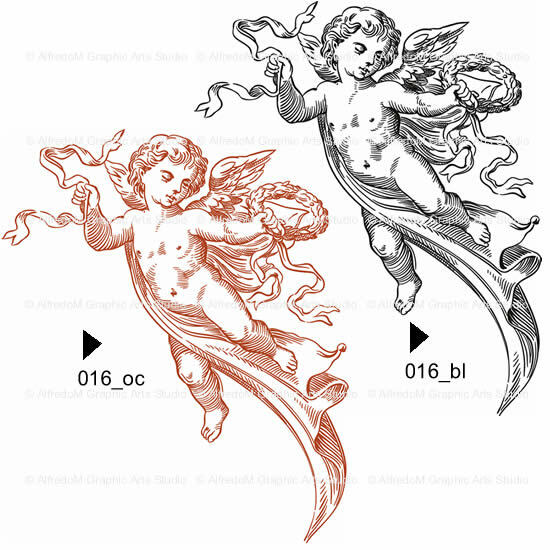 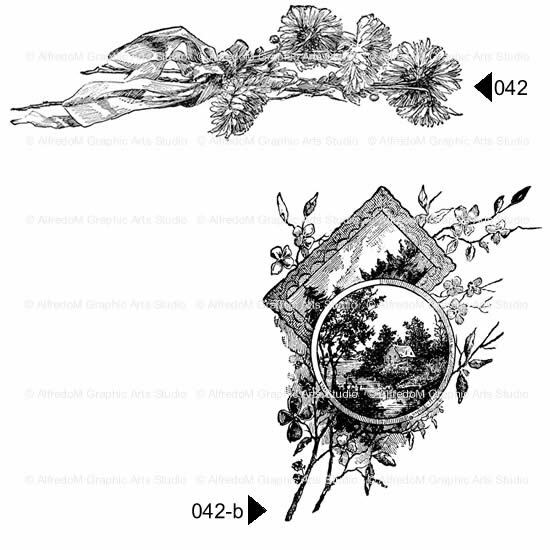 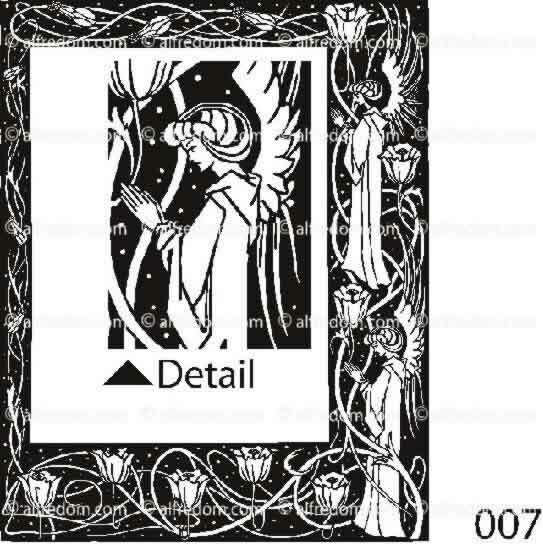 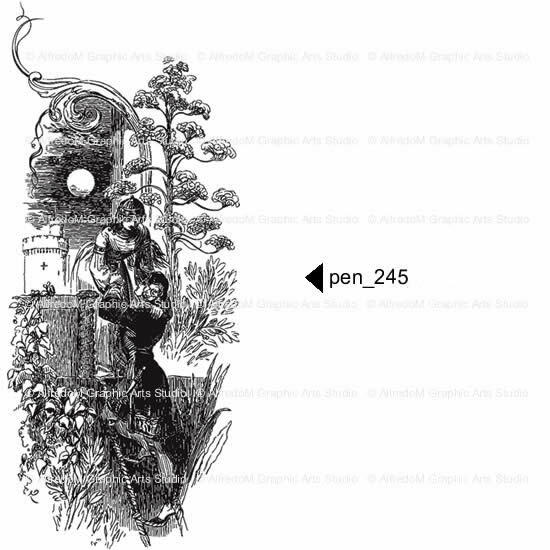 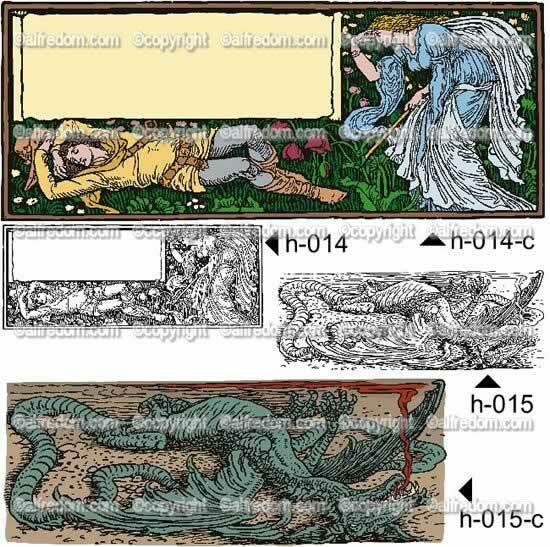 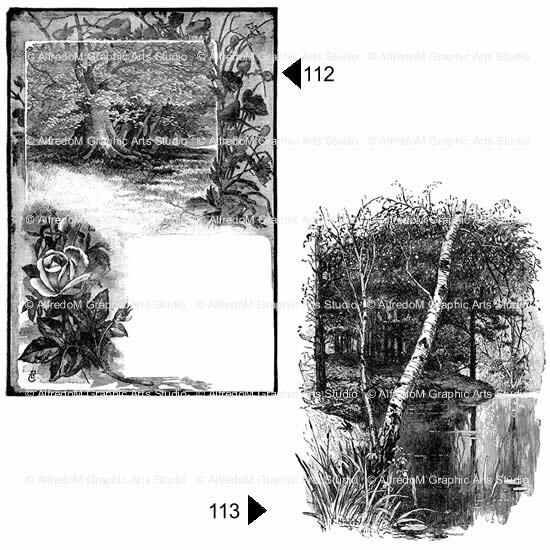 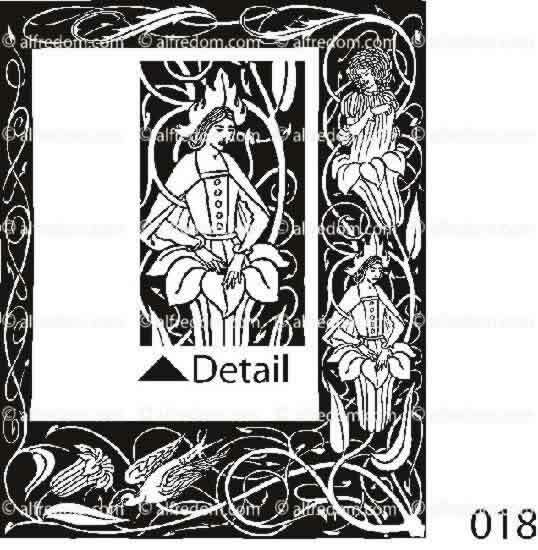 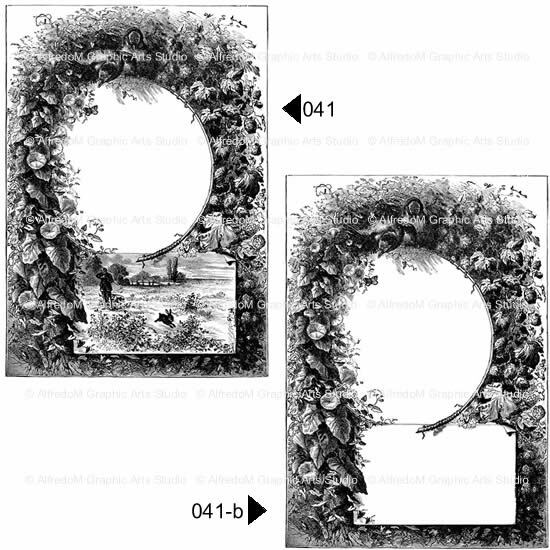 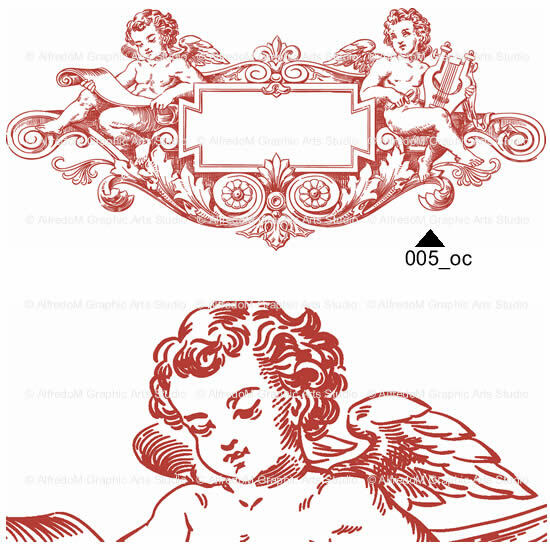 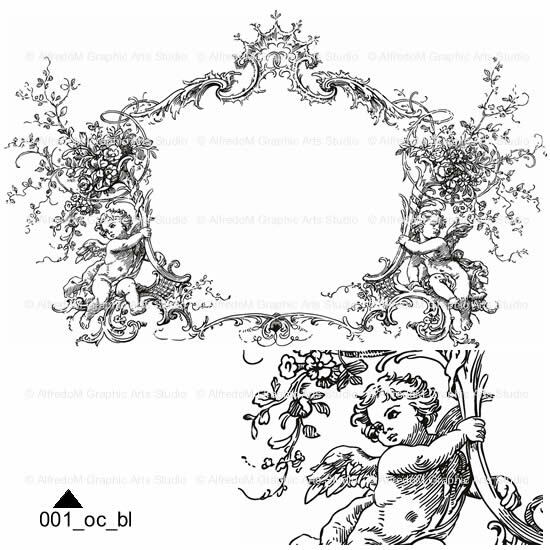 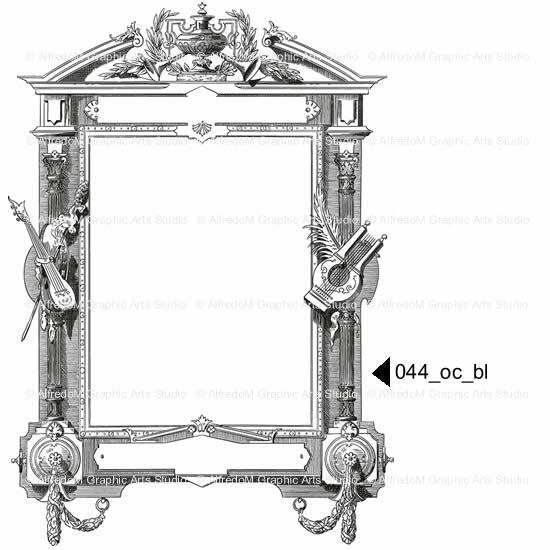 #412 - A romantic collection of poetry and invitations borders from the Victorian period, also available as preformatted Word processor documents, backgrounds.